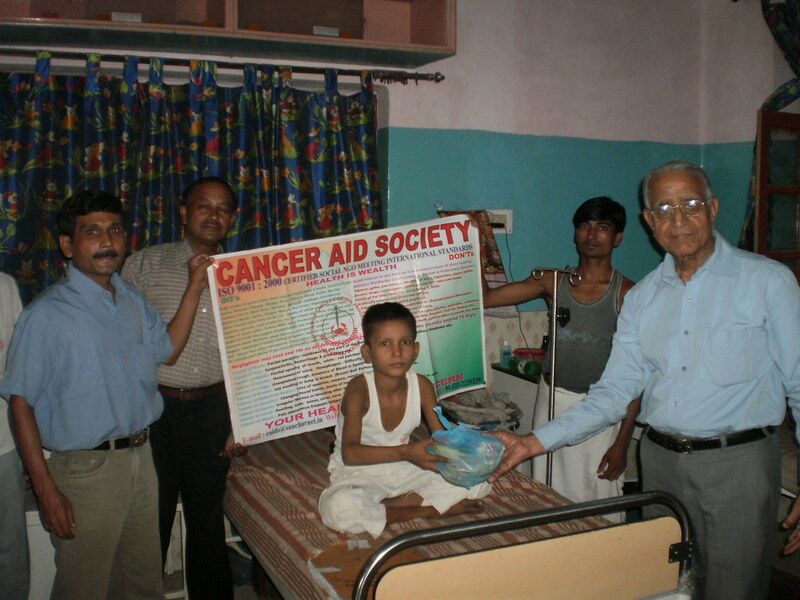 Will and action by an Individual / Corporate under Corporate Social Responsibility – kindles a ray of hope every dawn amidst this darkness. 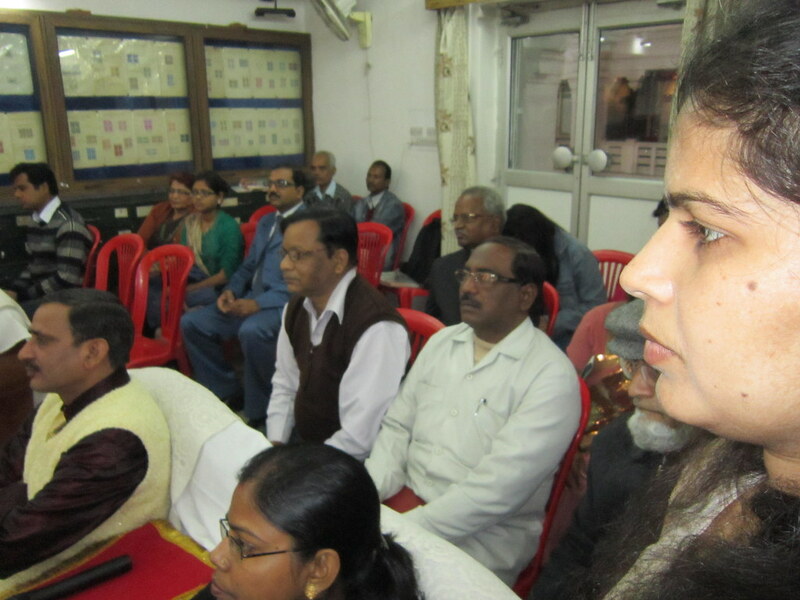 We need to synergize our joint efforts. 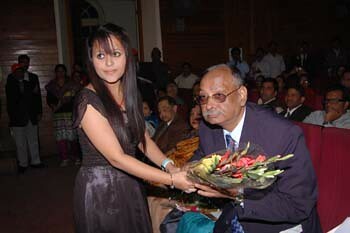 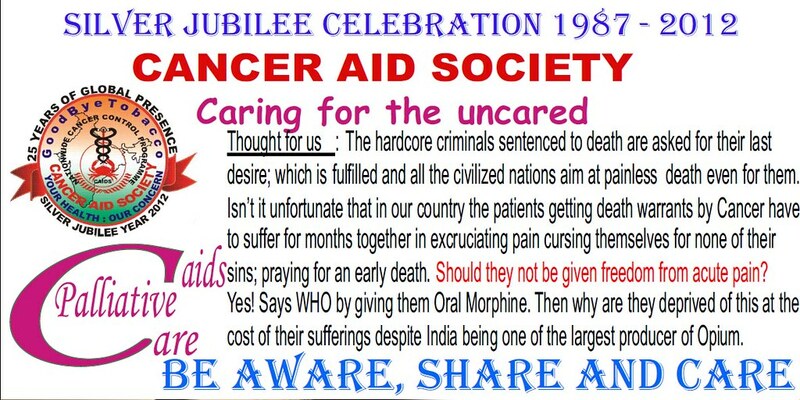 In such a scenario what ever little is contributed by one and all is vital for Cancer Control, may it be in any form. 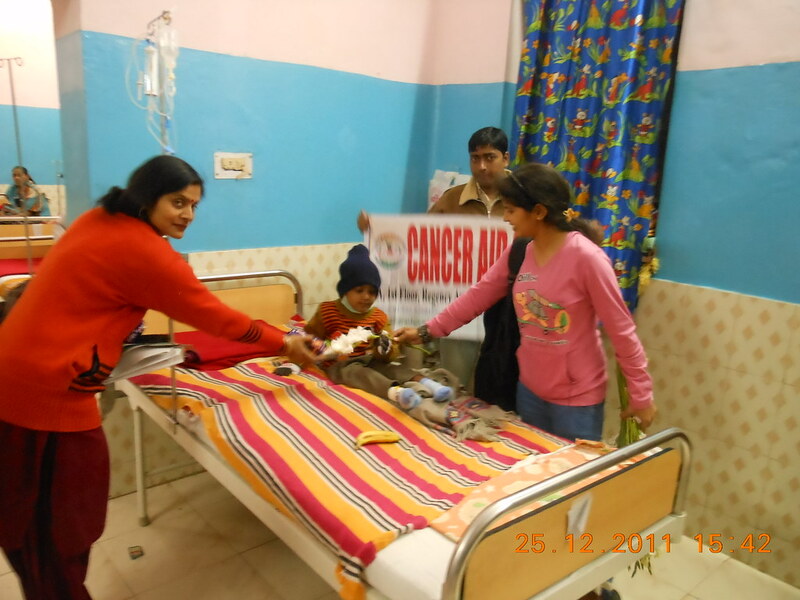 Voluntary donations are our only source of funding; in absence of assistance from Government / others. 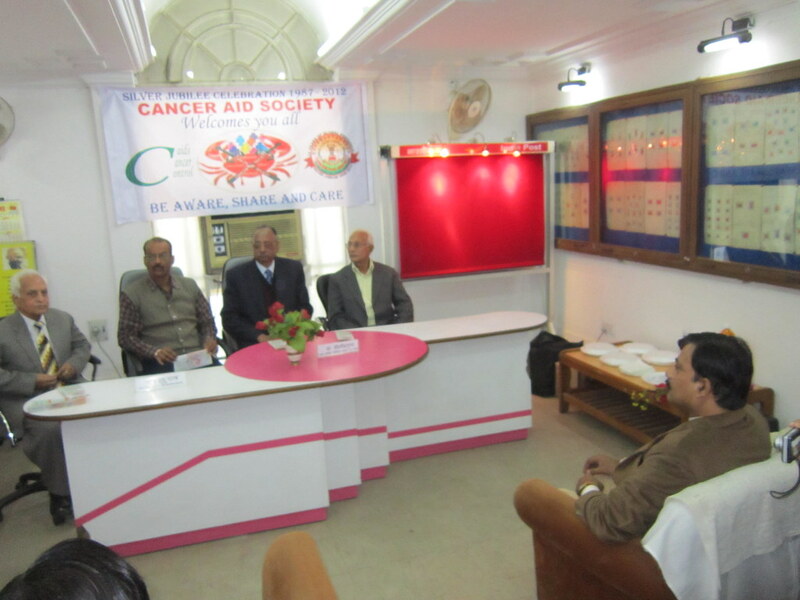 In spite of all hurdles we have the credit of being the only organization working within the community at National Level for the prevention of Cancer and other Non Communicable Diseases. 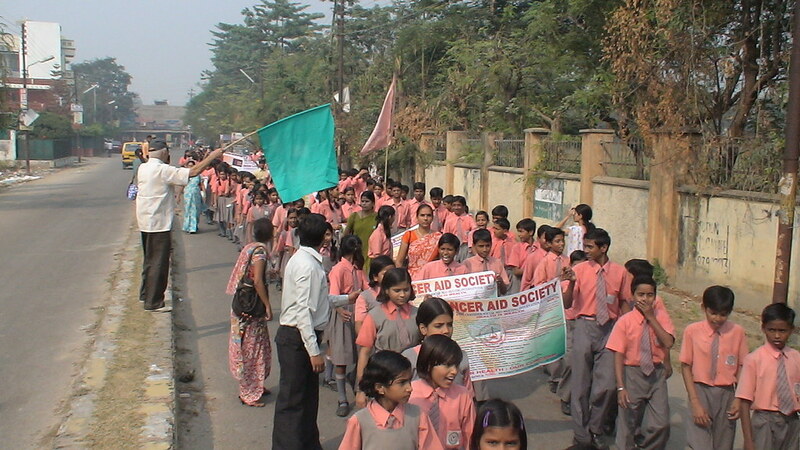 We have a mammoth task but the resources are meager. 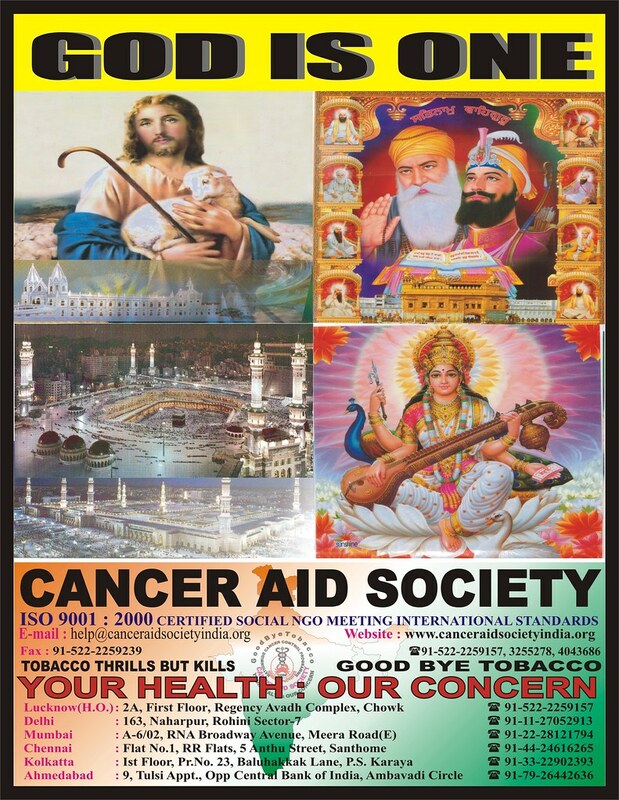 We need generous donations, blessings and everlasting cooperation so as to strengthen our hands in the fight against Cancer which attacks mankind like a terrorist. 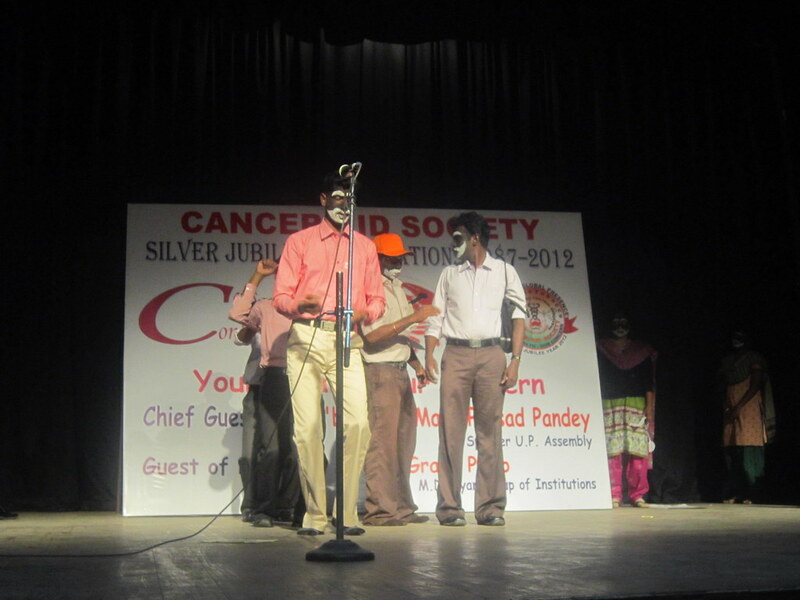 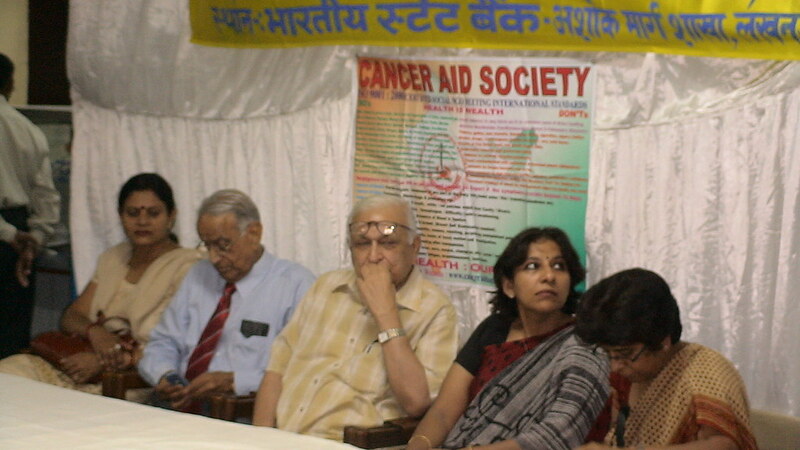 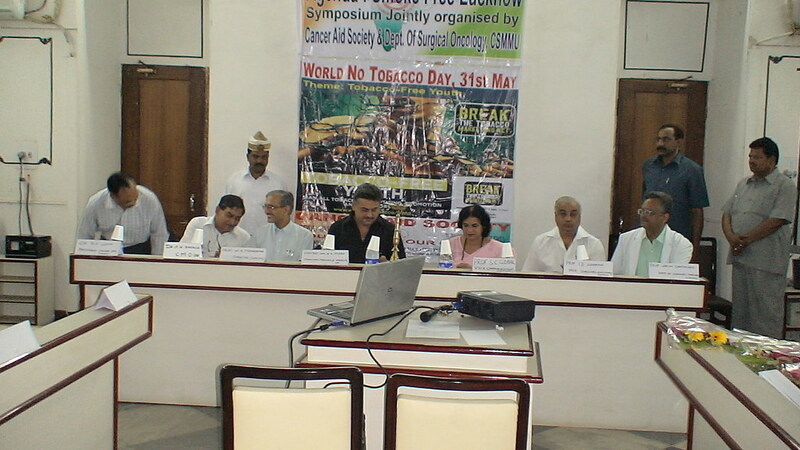 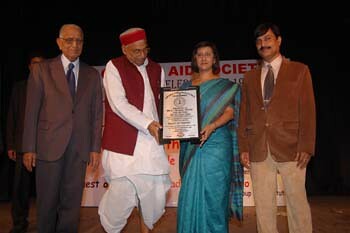 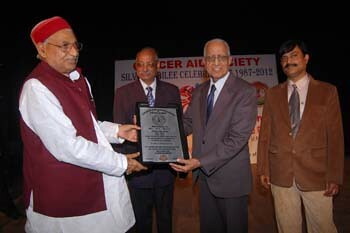 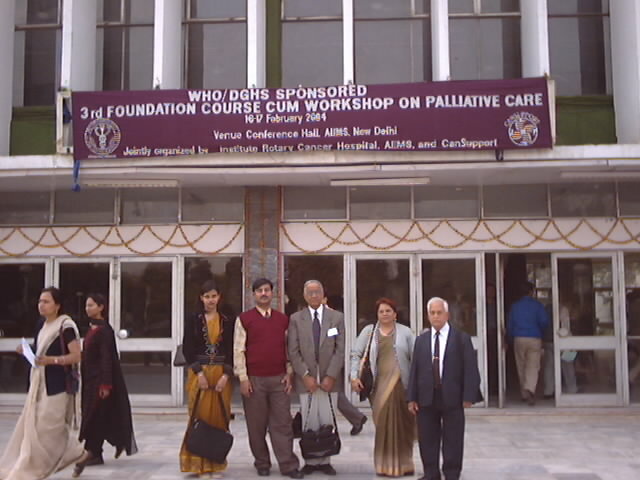 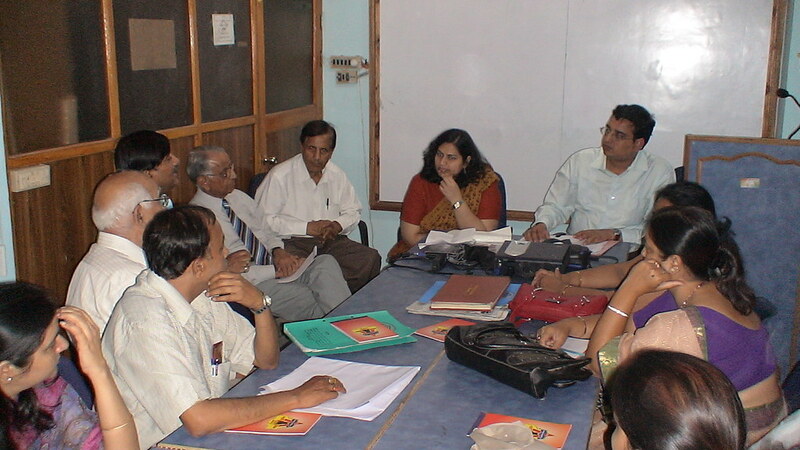 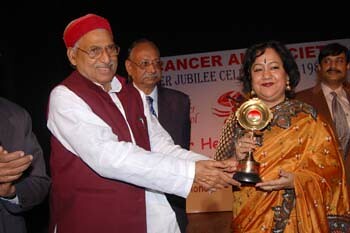 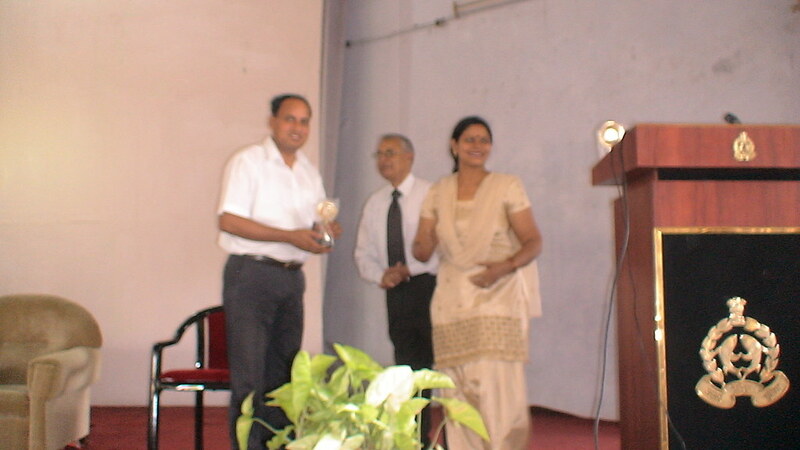 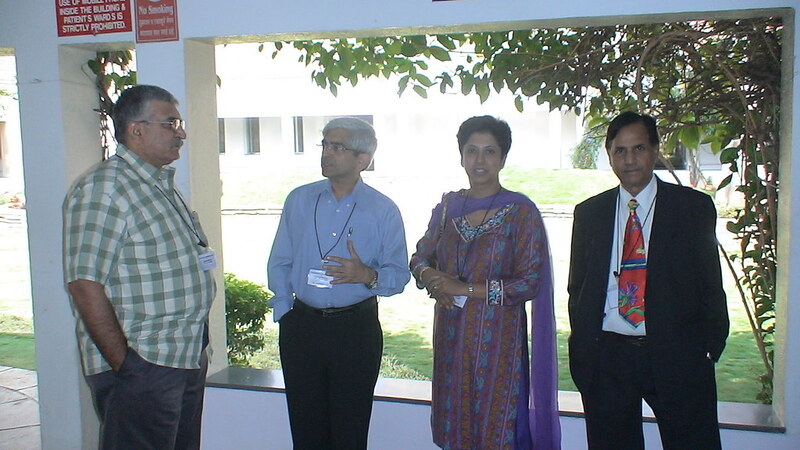 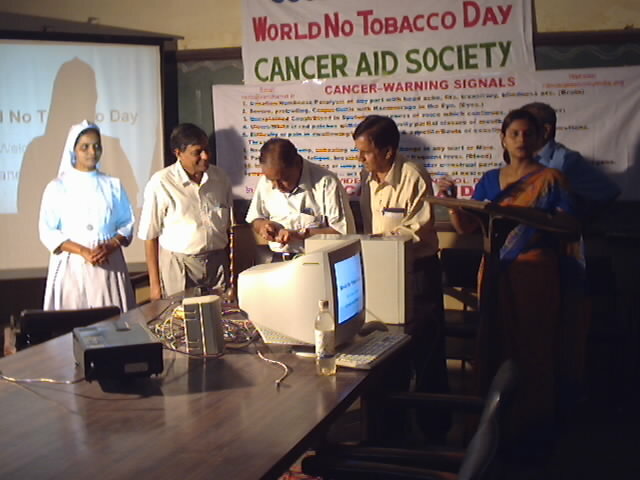 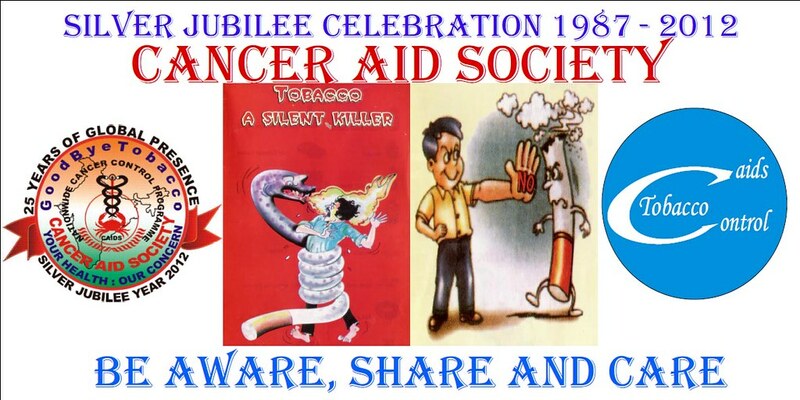 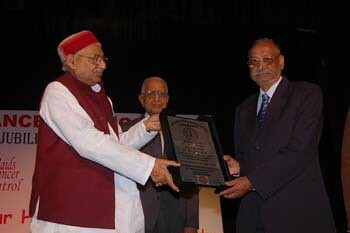 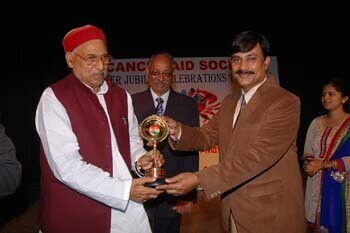 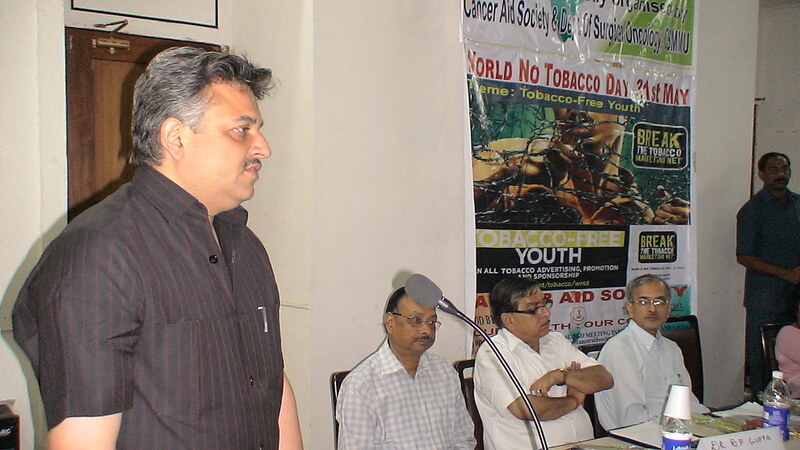 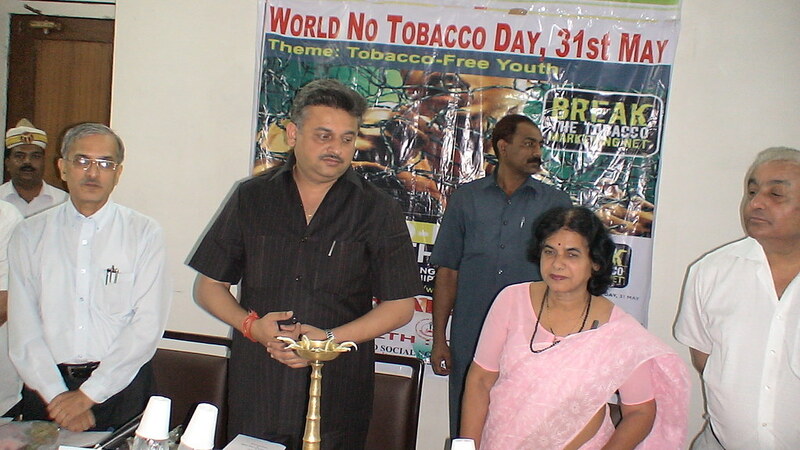 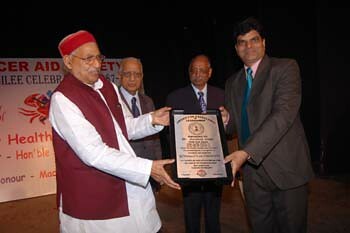 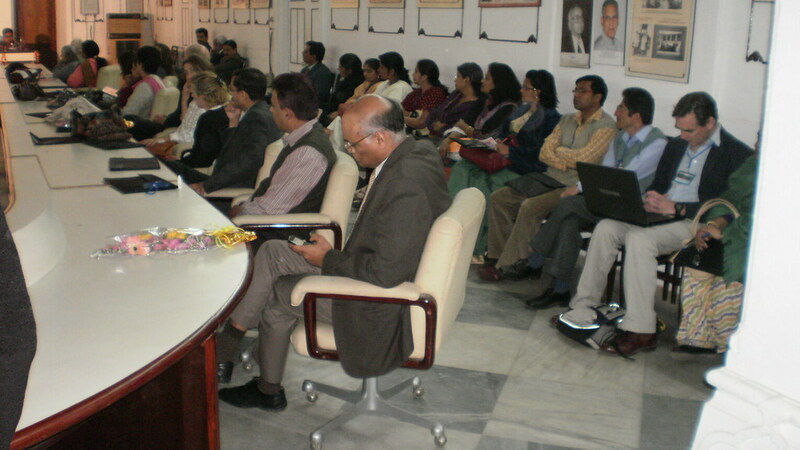 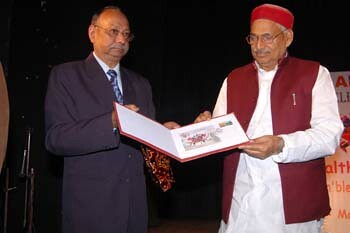 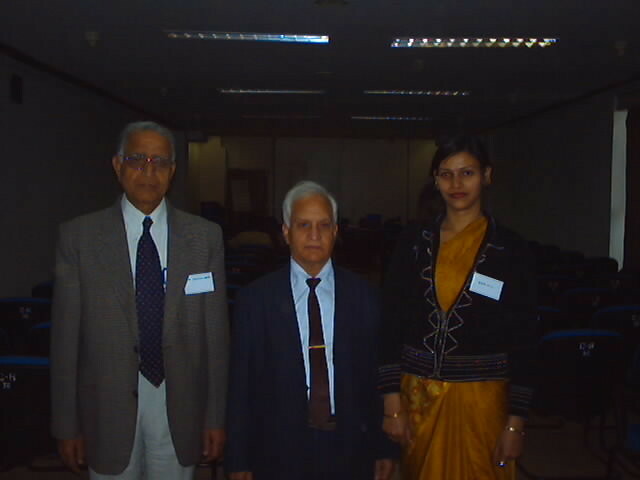 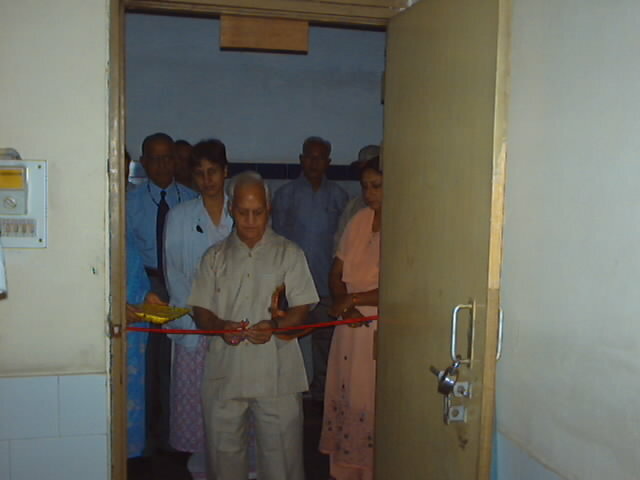 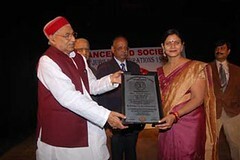 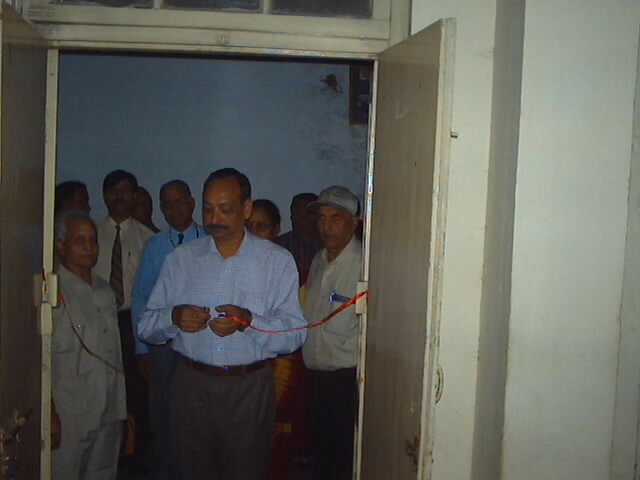 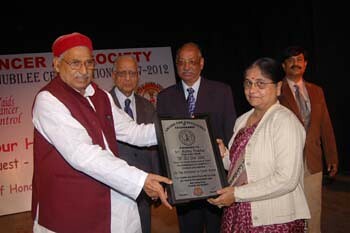 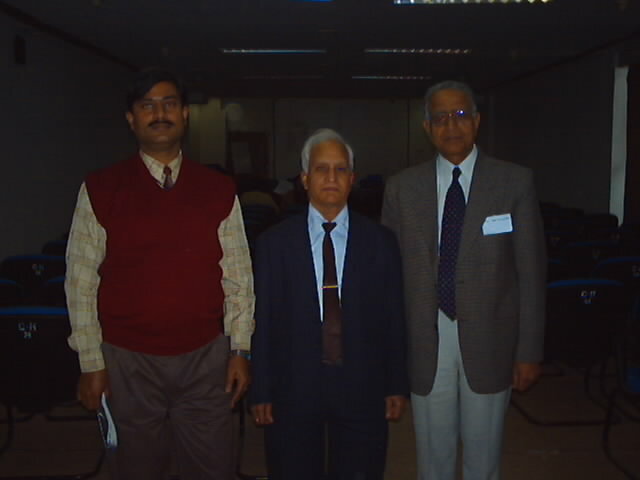 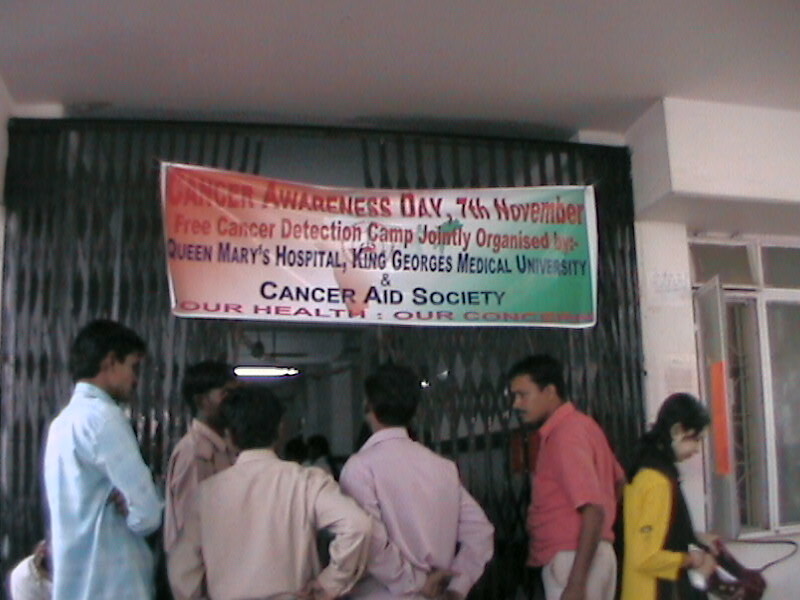 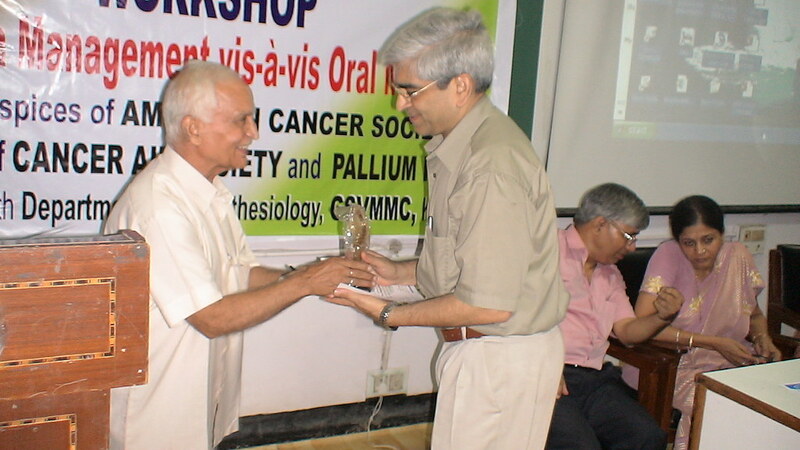 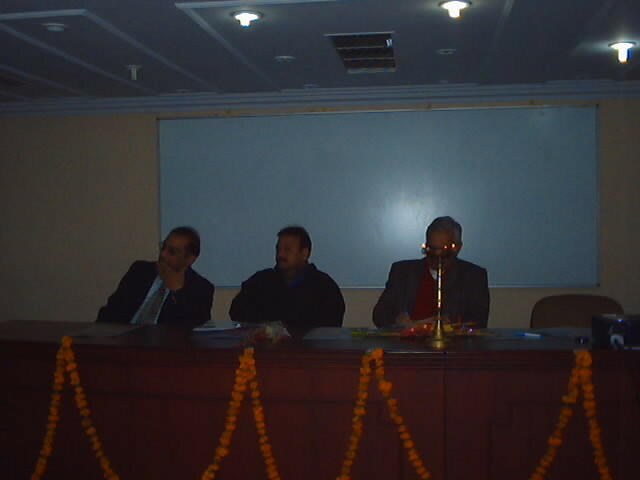 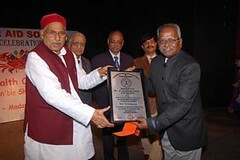 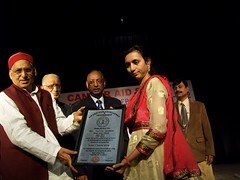 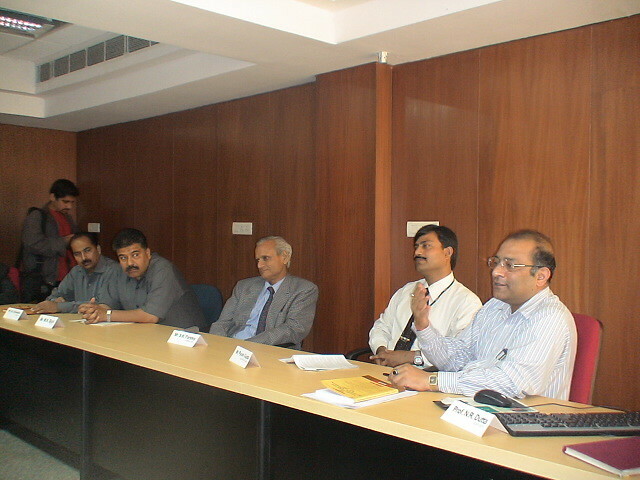 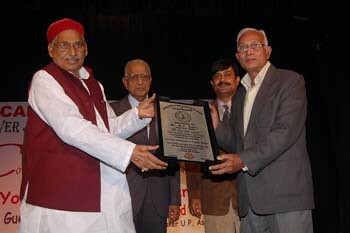 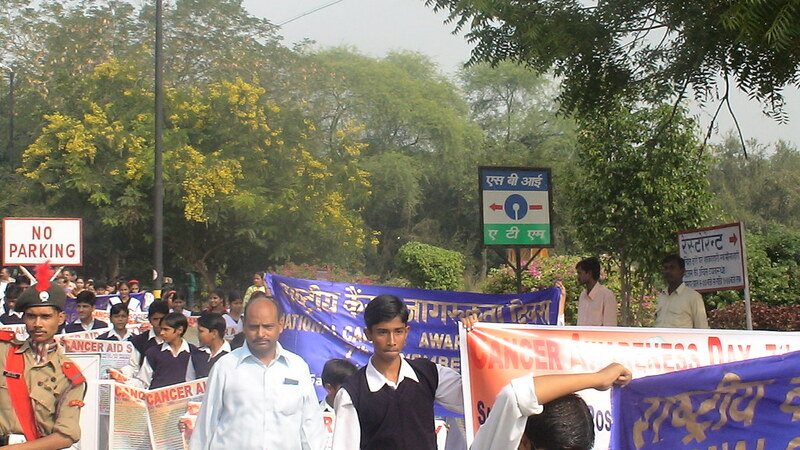 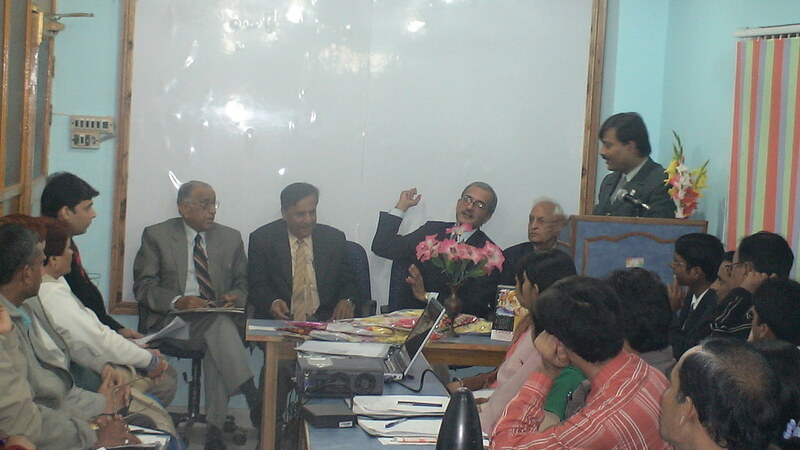 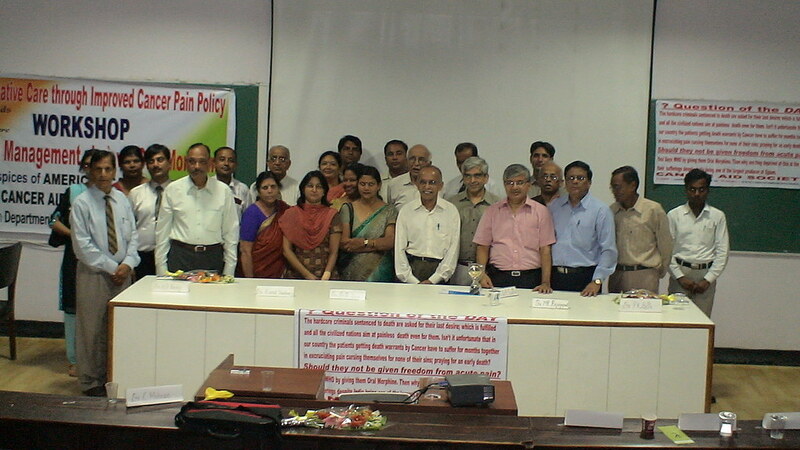 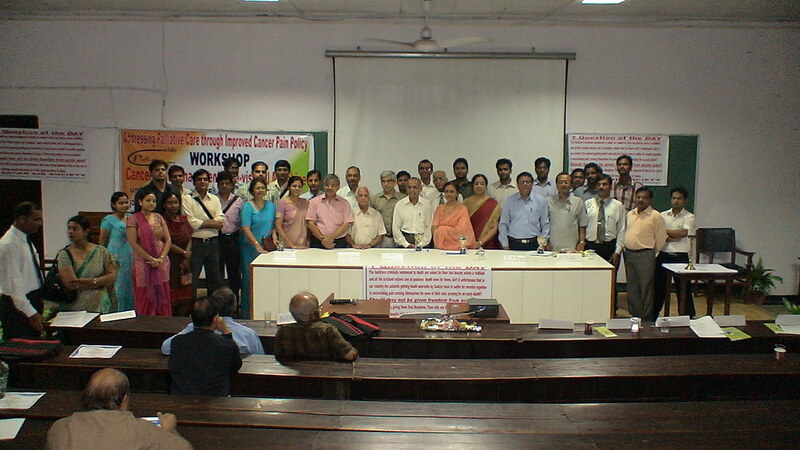 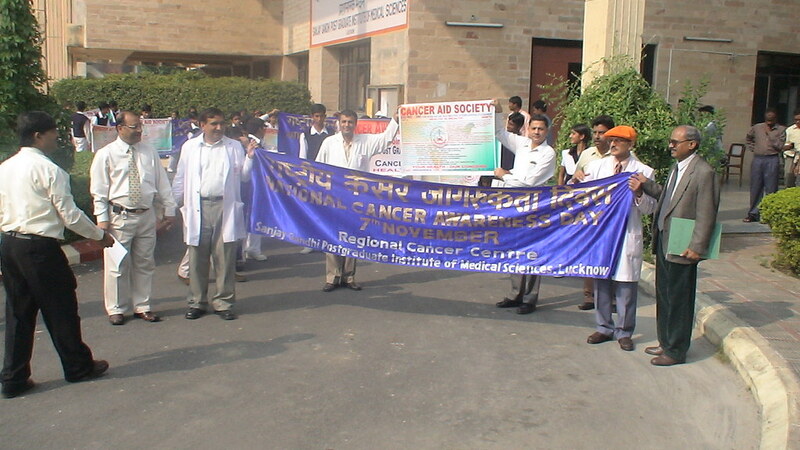 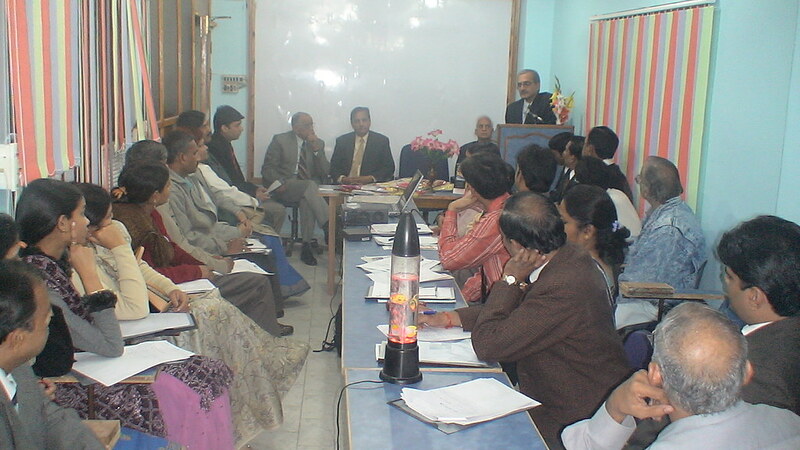 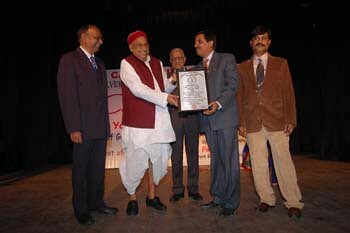 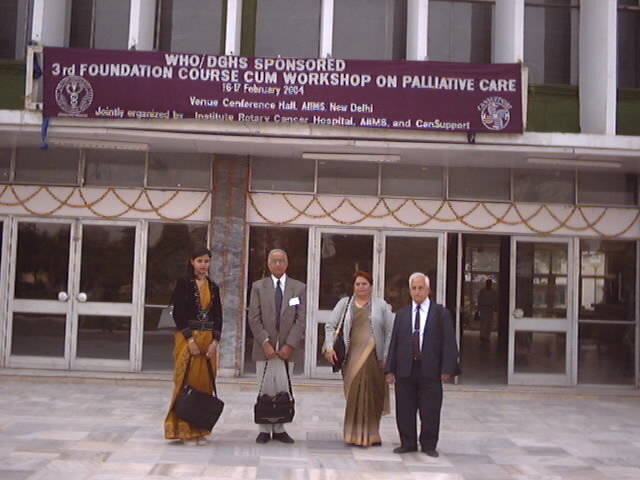 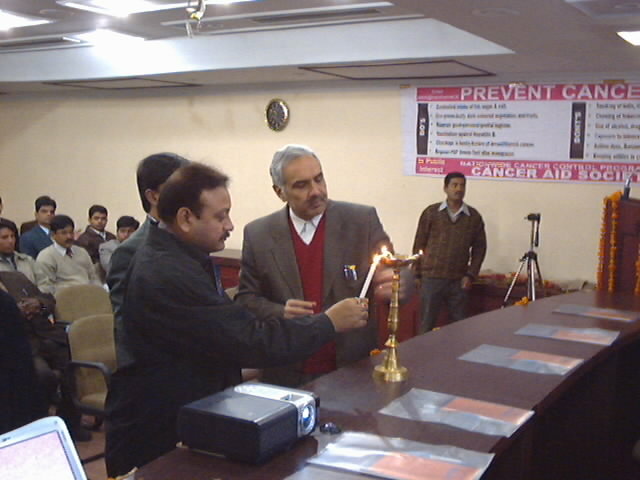 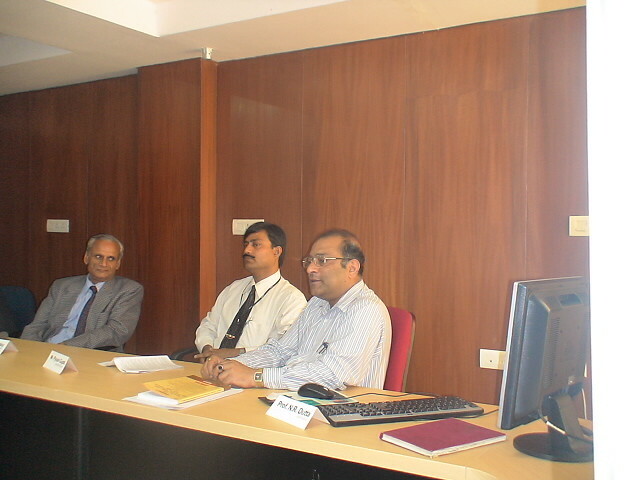 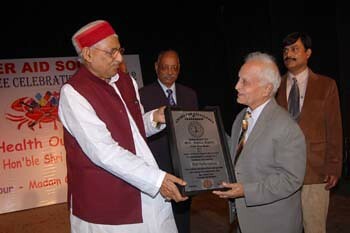 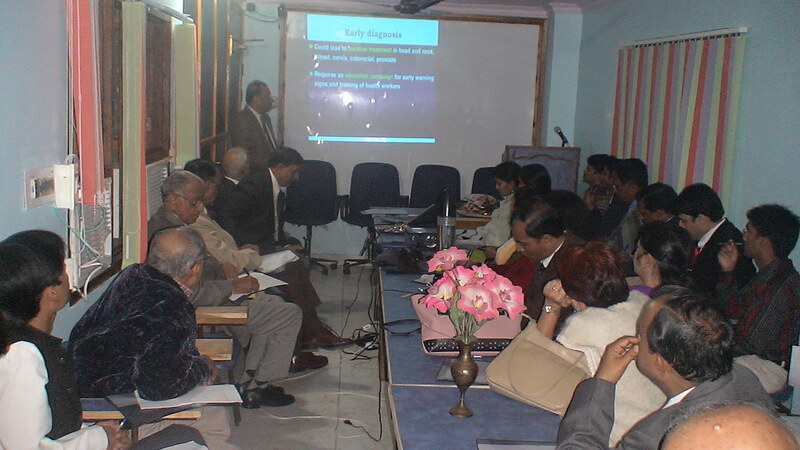 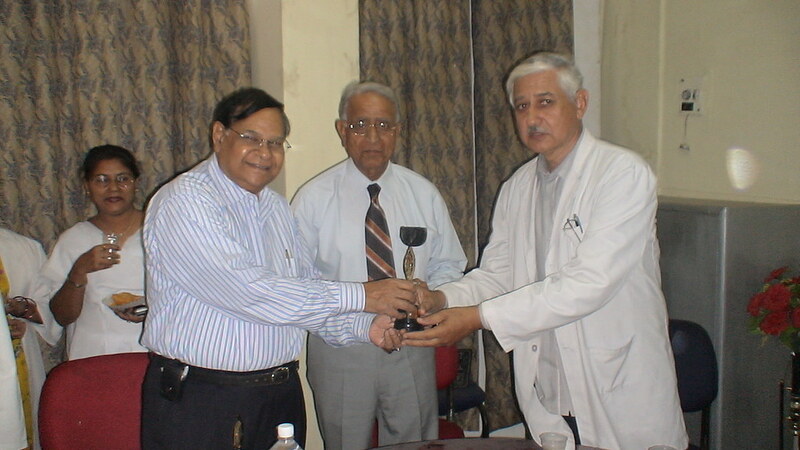 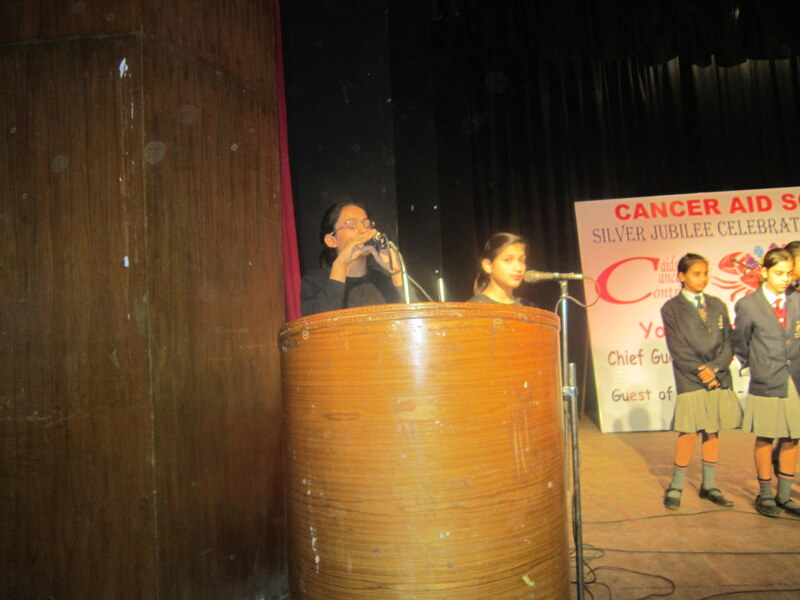 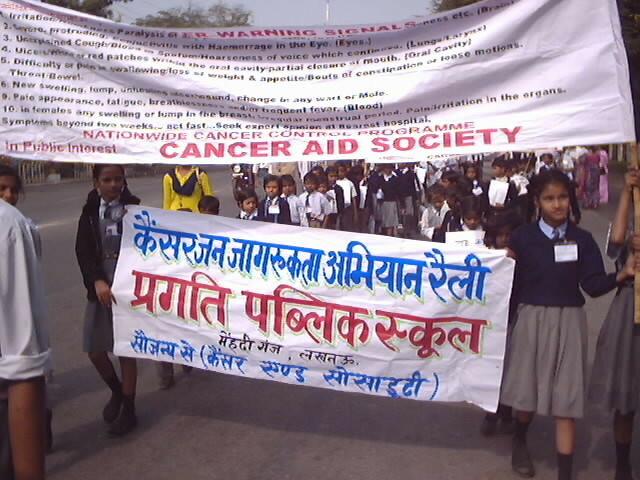 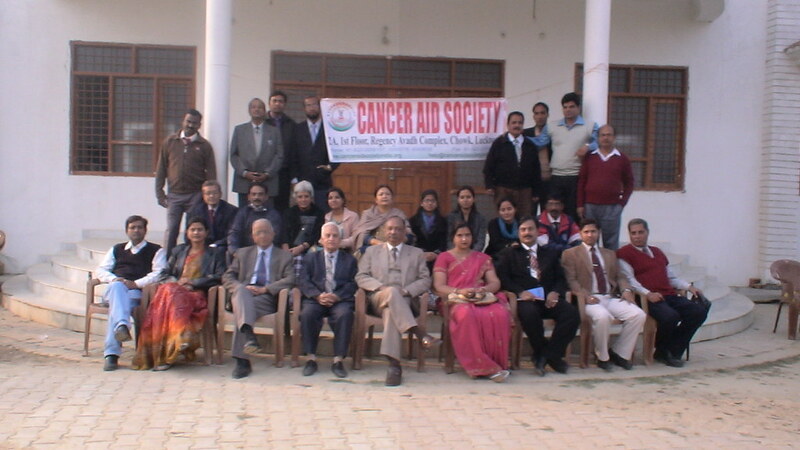 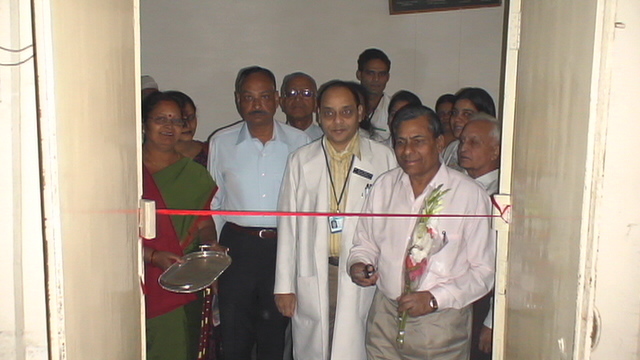 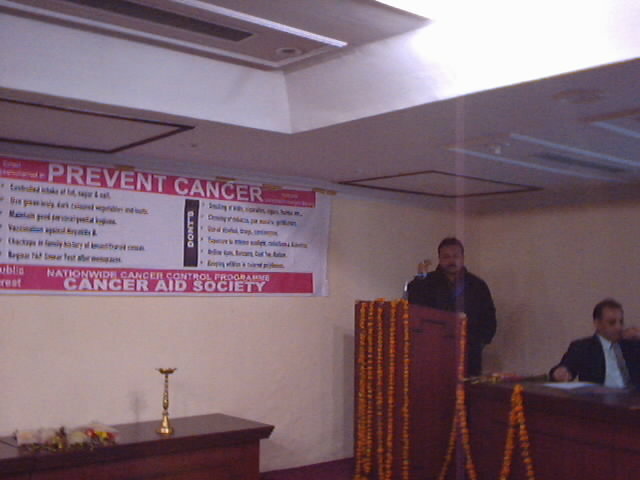 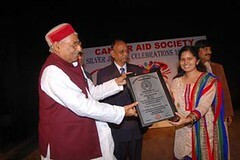 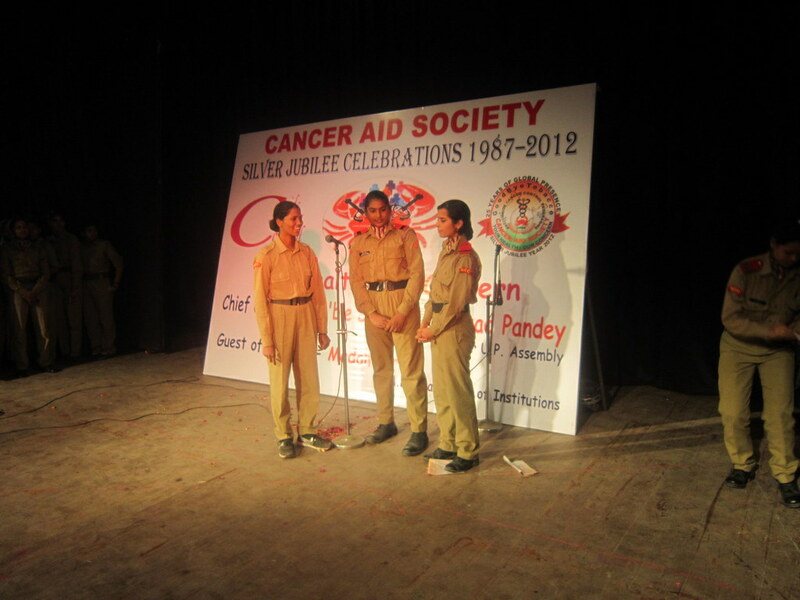 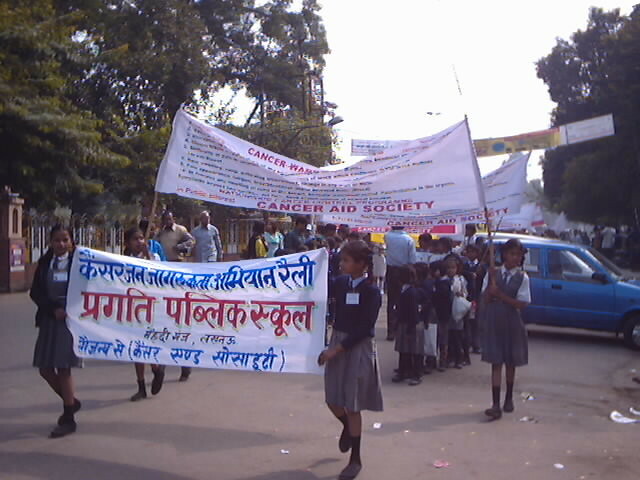 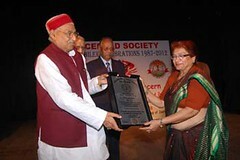 Cancer Aid Society, is an ISO 9001 NGO in Special Consultative Status with the United Nations Economic and Social Council and Member of World Health Organisation’s Global Coordination Mechanism on Non Communicable Diseases duly registered under Societies Act, Income Tax Act & FCRA working Internationally in fight against Tobacco, Cancer integrated with NCDs along with Palliative Care & Advocacy. 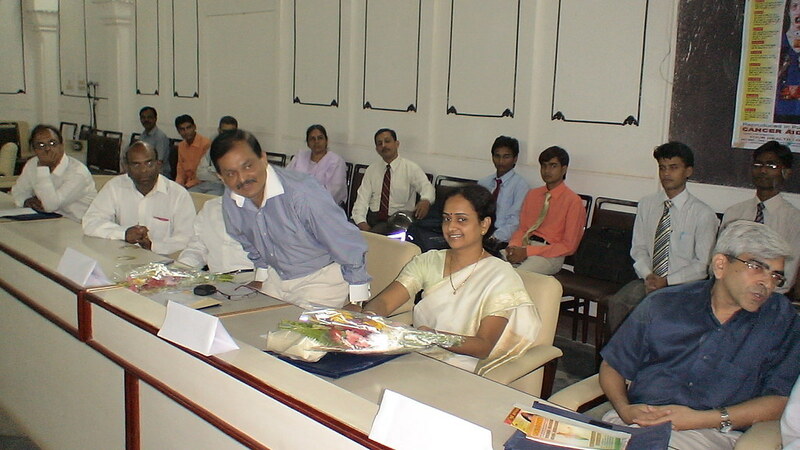 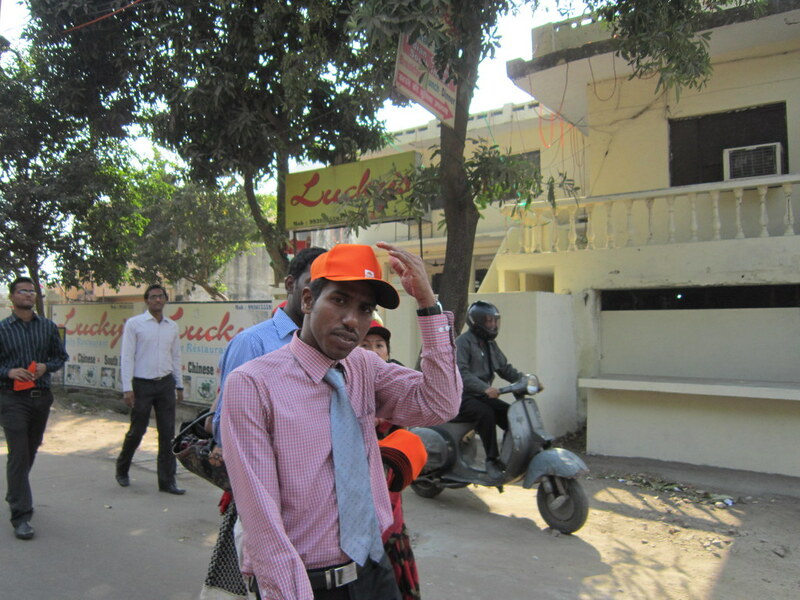 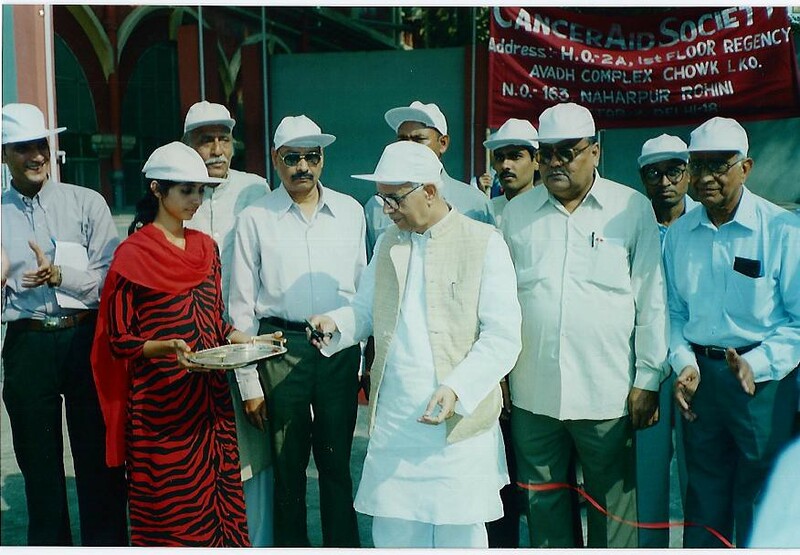 Under Nationwide Cancer Control Program we established Offices across India in Delhi, Mumbai, Chennai, Kolkata, Ahmadabad, Hyderabad, Bangalore and Lucknow. 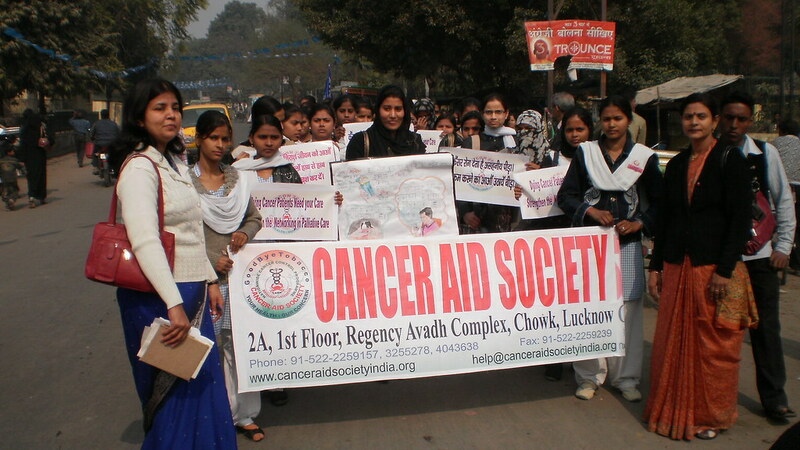 Keeping up with the ages old adage “Prevention is better than cure” we organize community awareness campaigns in thousands of educational institutions mobilising about a million Volunteers every year generating awareness among twenty million of people all over India by organizing public awareness campaigns on the harmful effects of Tobacco including Passive Smoking, Alcohol, Drugs, Obesity, Carcinogens, Pollution of Air, Water & Land along with the benefits of Healthy Lifestyle such as Balanced Diet rich in antioxidants & roughage, Physical Activity/ Exercise, Clean drinking Water, Genital and Personal Hygiene along with early symptoms of Cancer etc. 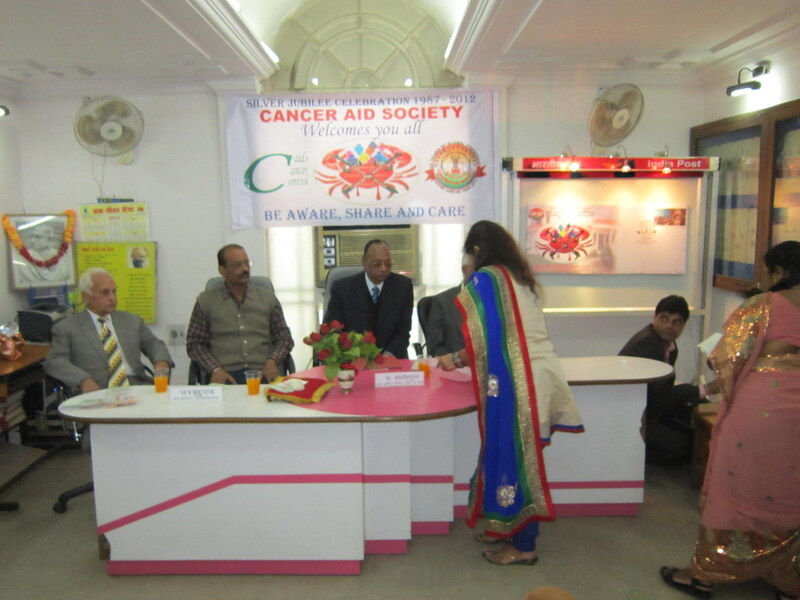 We were adjudged “Best Cancer Awareness NGO/ Program” out of 165 Cancer NGOs at Tata Memorial Hospital Mumbai and received “Best NGO in Health Care” Award. 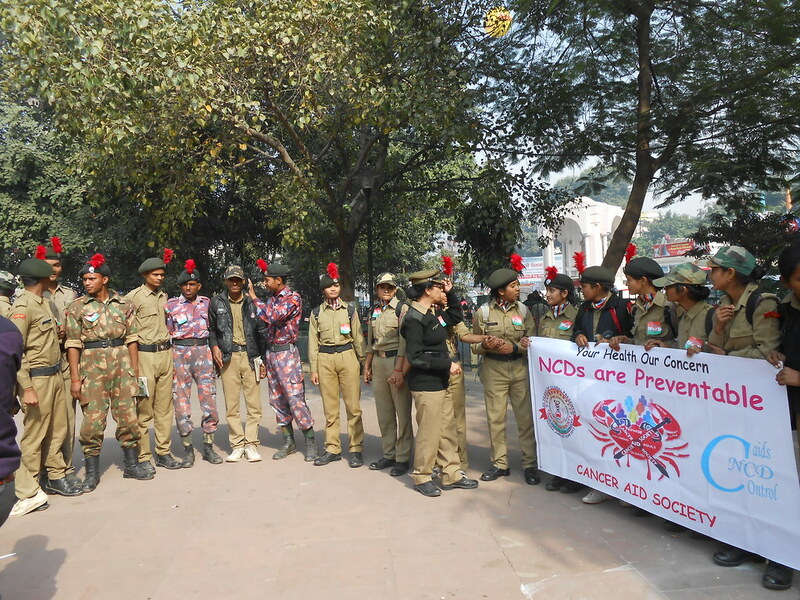 We declared 8th December as NCD Awareness Day to integrate all the Non Communicable Diseases and Instituted INR 100,000/- Rupee International Awards for the residents of SAARC Countries on Palliative Care, Tobacco Control & Cancer and NCD Control. 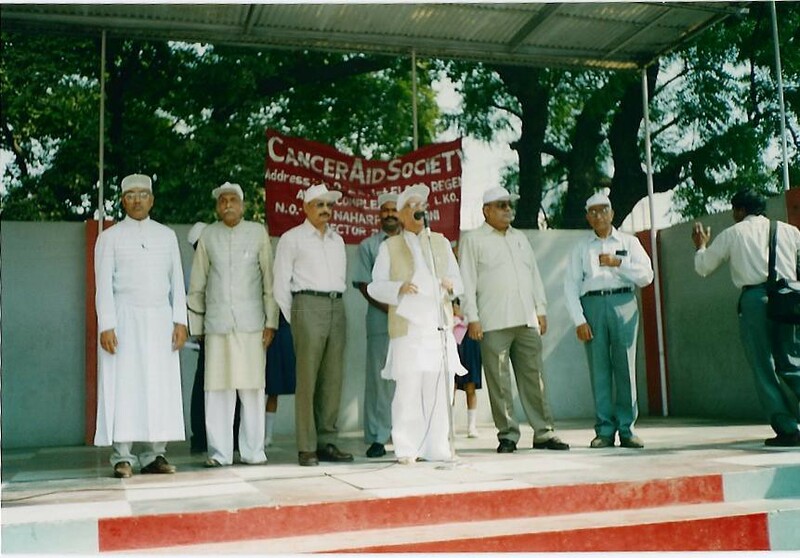 With an Eagle’s Eye our Vision of eighties resulted in the incorporation of Cancer Aid Society on 8th of December 1987 at Lucknow. 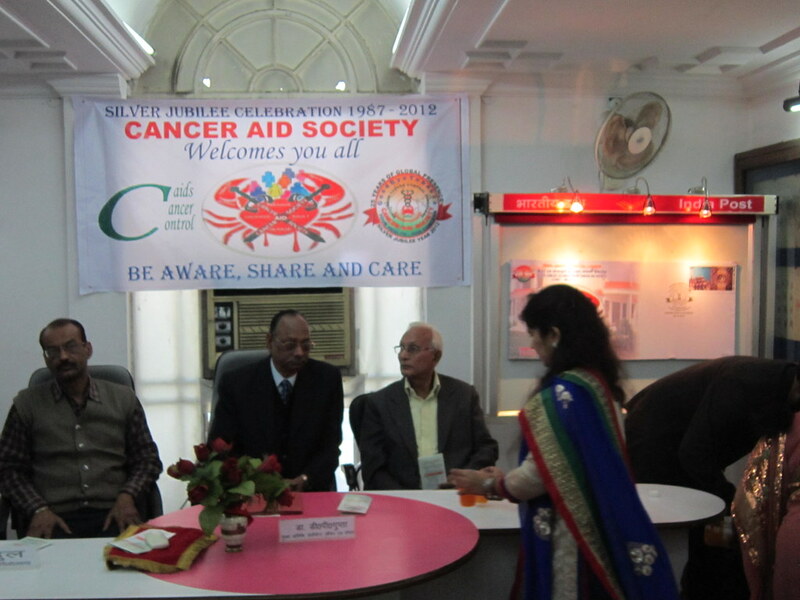 Founders of the Cancer Aid Society perceived the threats early and initiated the fight against cancer without financial assistance from any external agency unfurling series of events internationally. 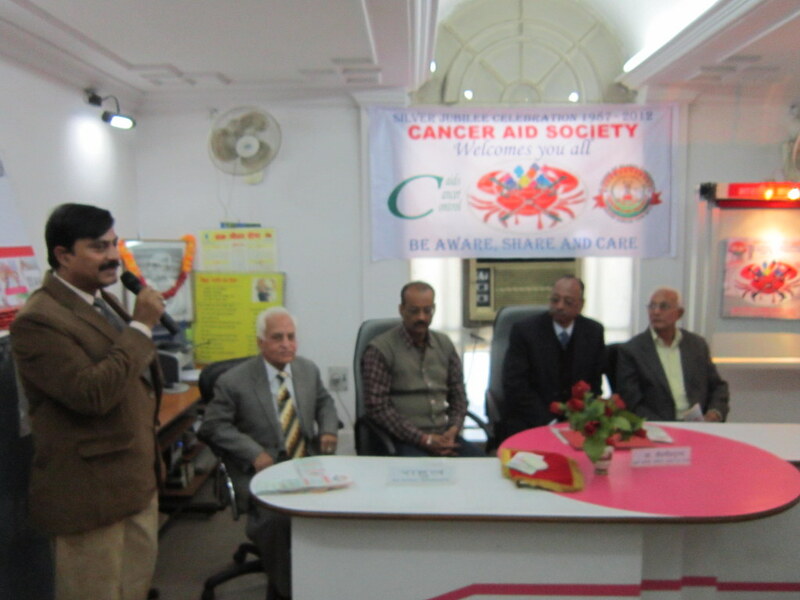 Since last three decades Cancer Aid Society is engaged in fight against Cancer and other Non-Communicable Diseases which are killing 70% people globally. 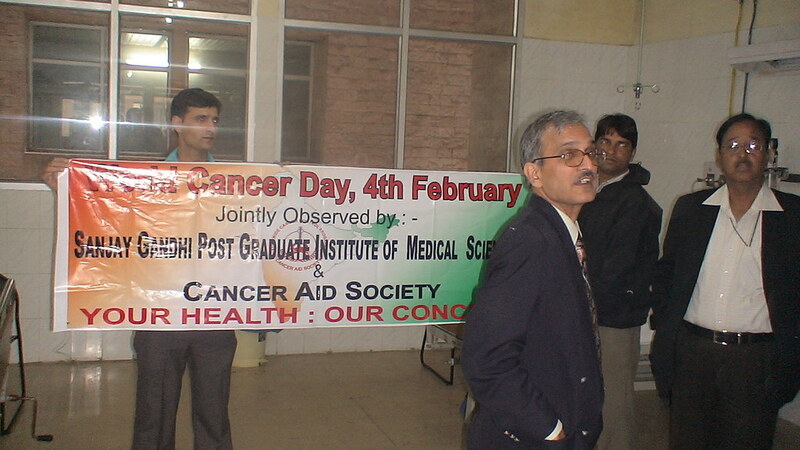 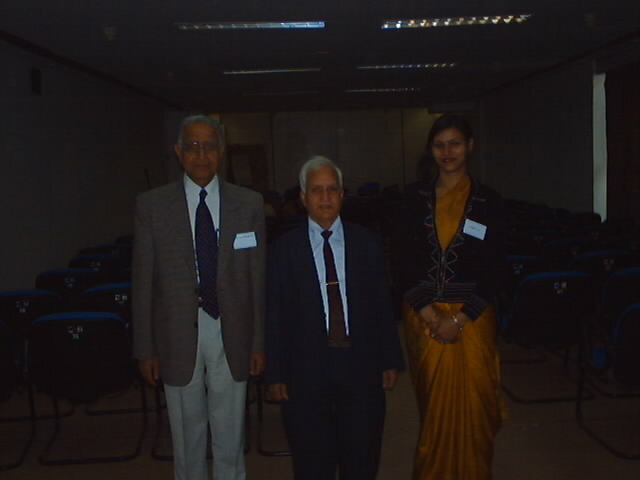 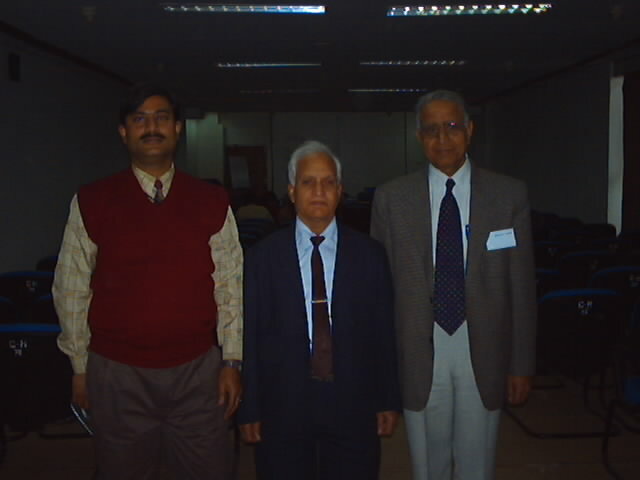 Our foresight got reflected in National Cancer Control Programme of WHO in 1995, on 4th of February 2000 (World Cancer Day) under Charter of Paris. 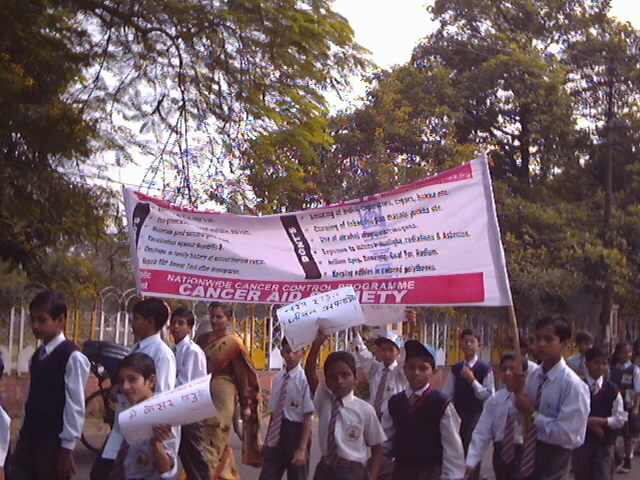 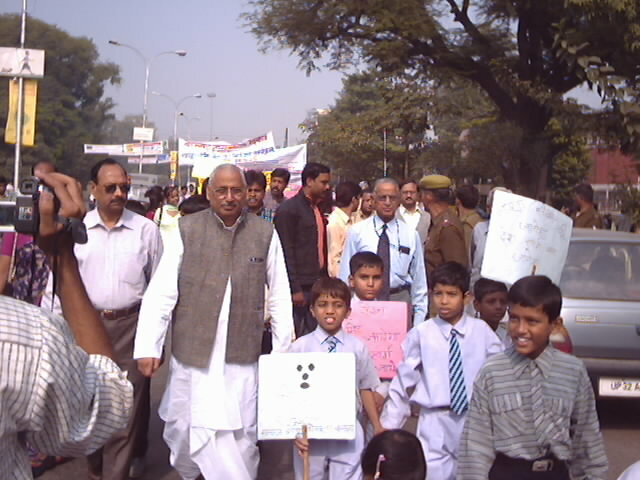 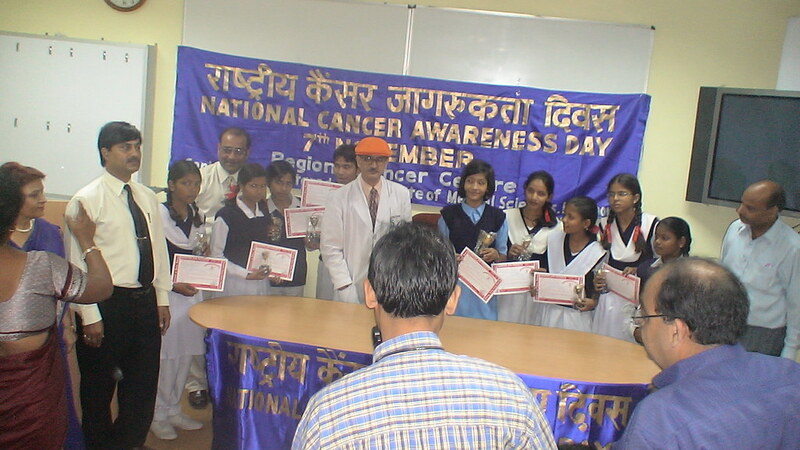 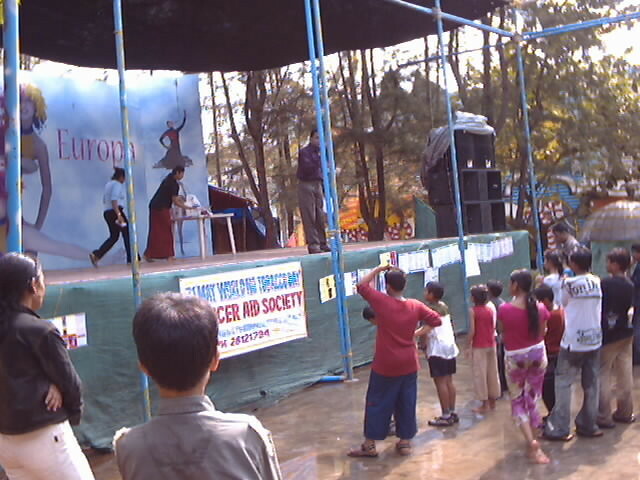 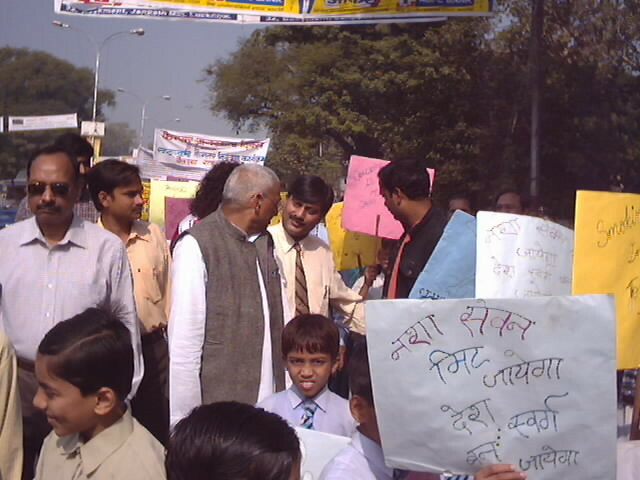 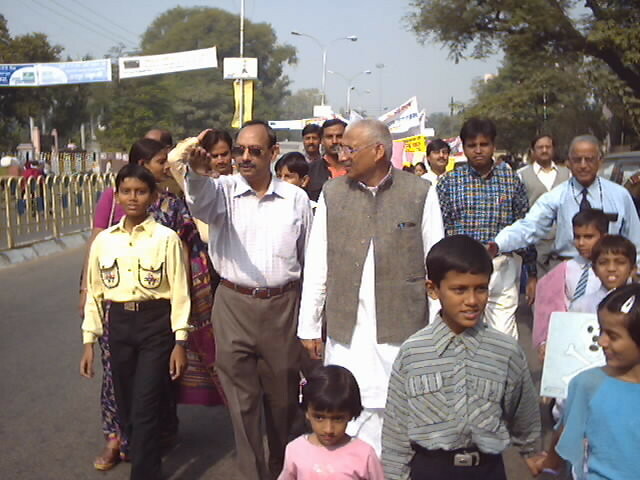 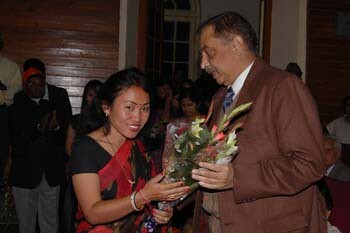 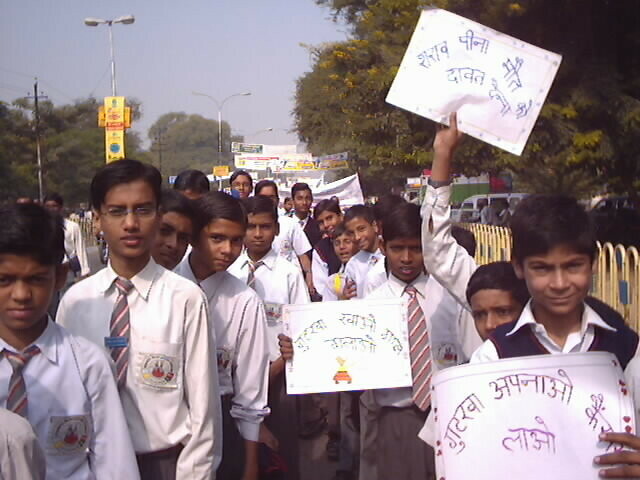 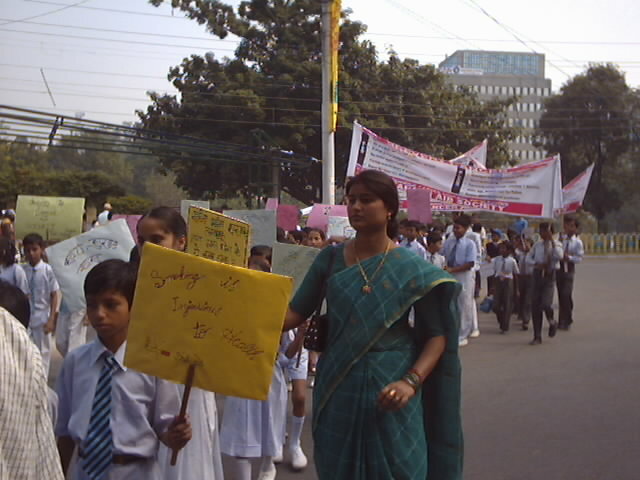 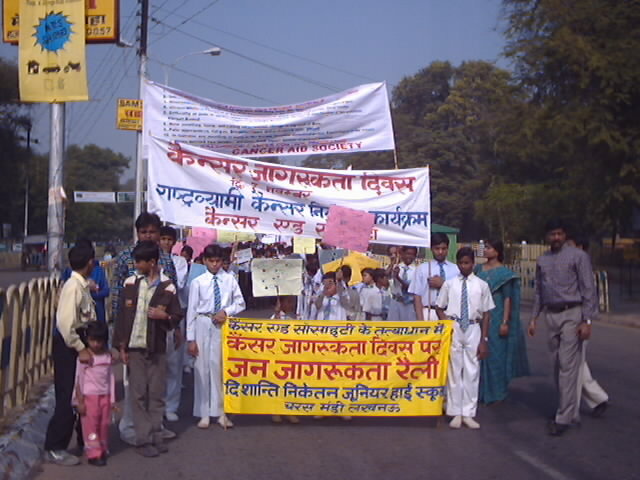 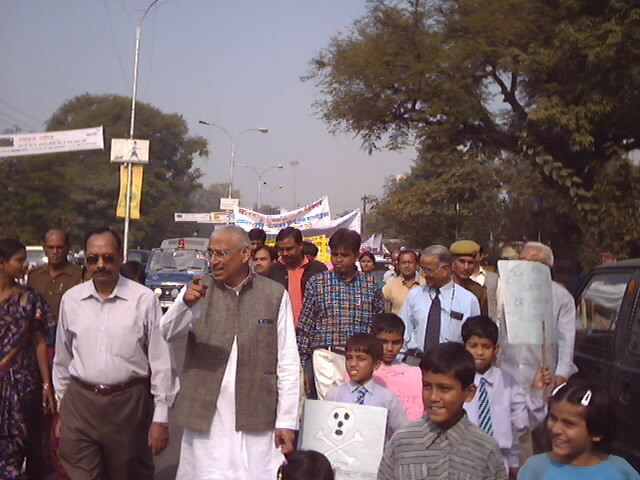 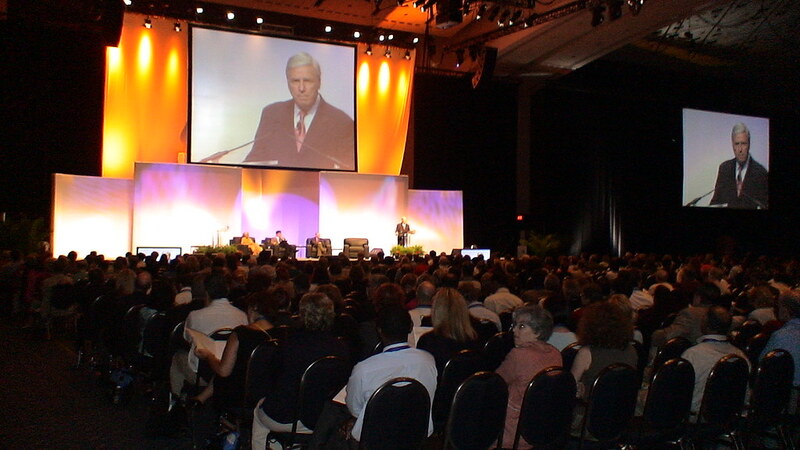 In 2007 UICC launched World Cancer Campaign themed “Today’s Children, tomorrow’s world” in line with our philosophy practiced since 1987 for Prevention & Control of Cancer under our Nationwide Cancer Control Program thereby inculcating healthy lifestyle and grooming our future generation when they are most vulnerable as well as receptive and in the process of developing habits. 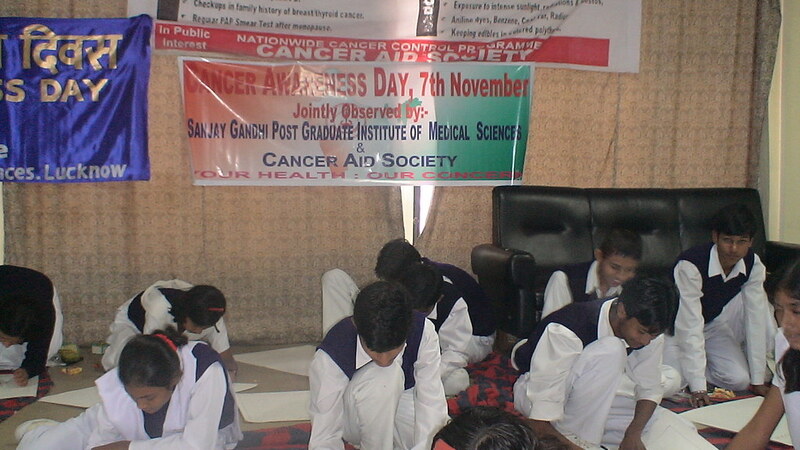 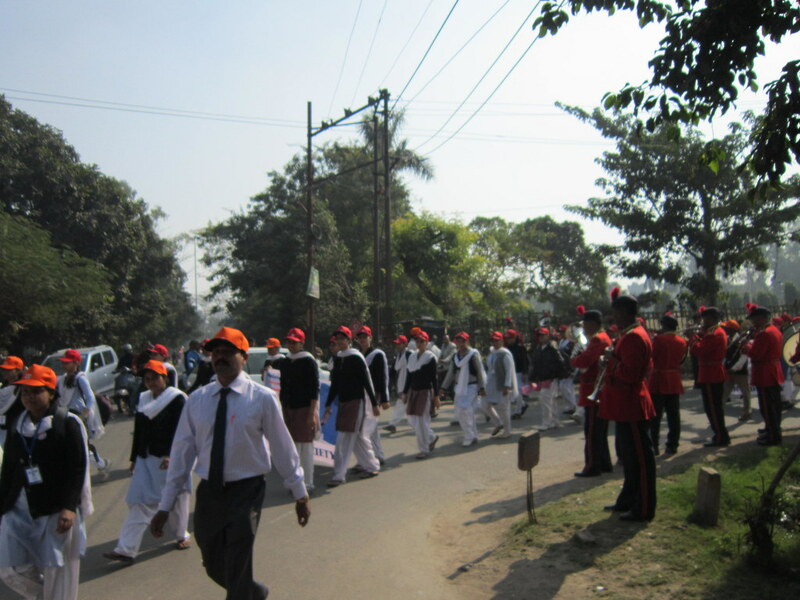 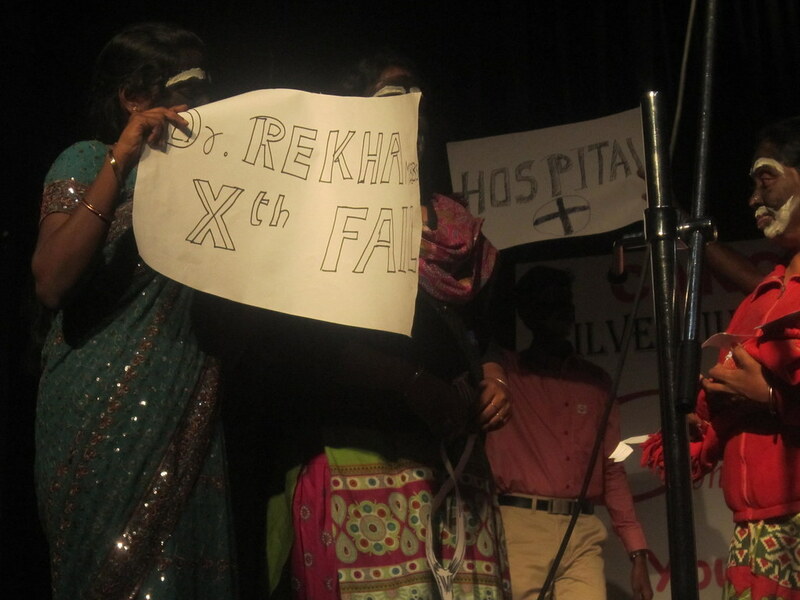 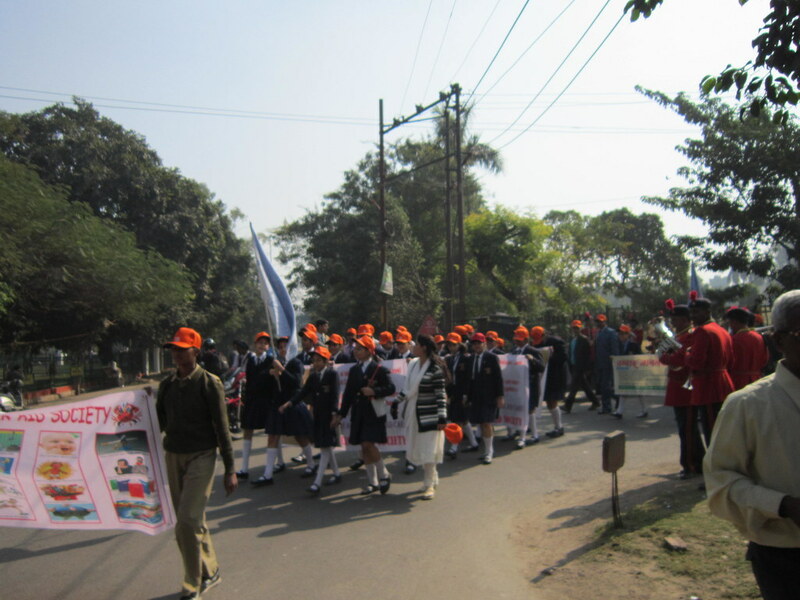 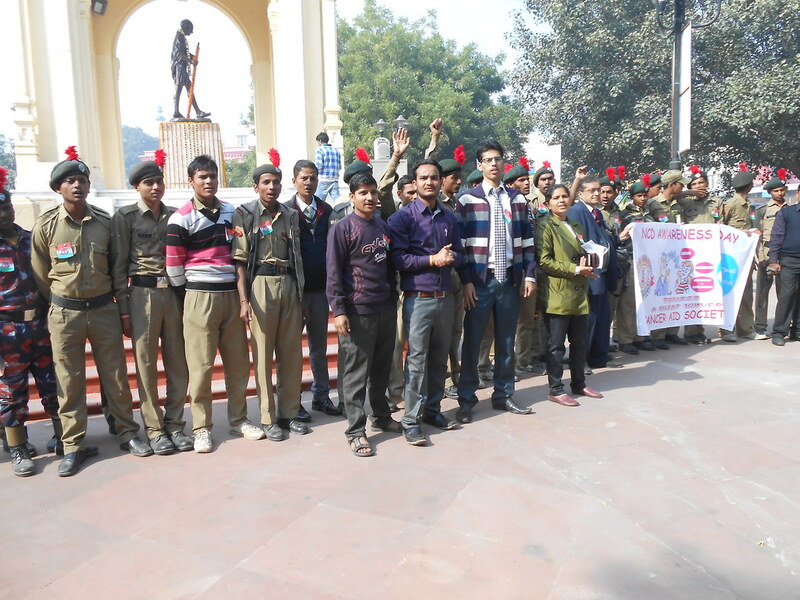 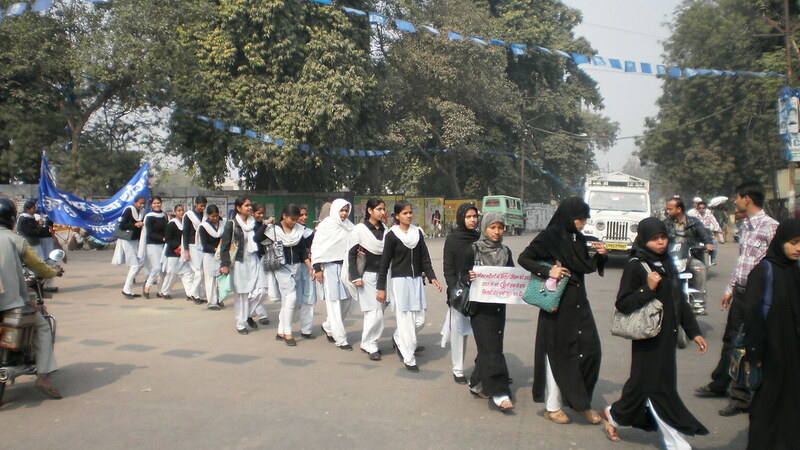 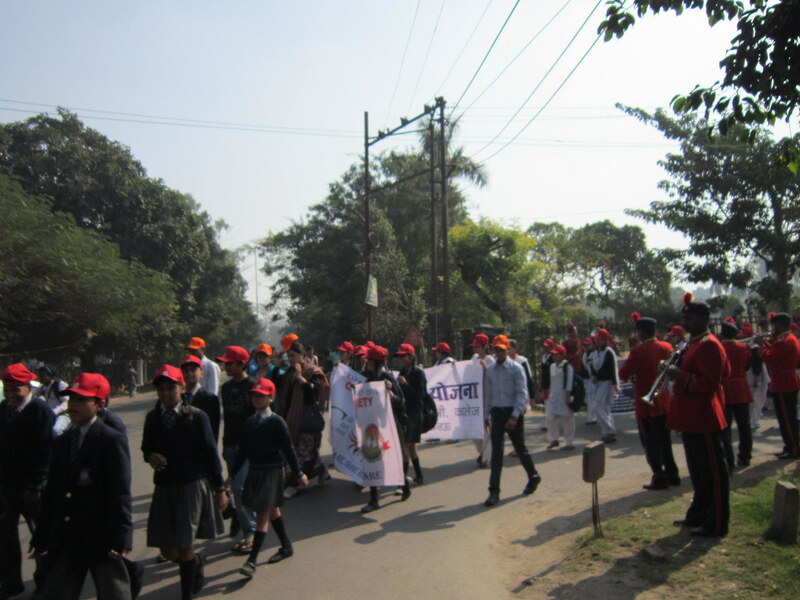 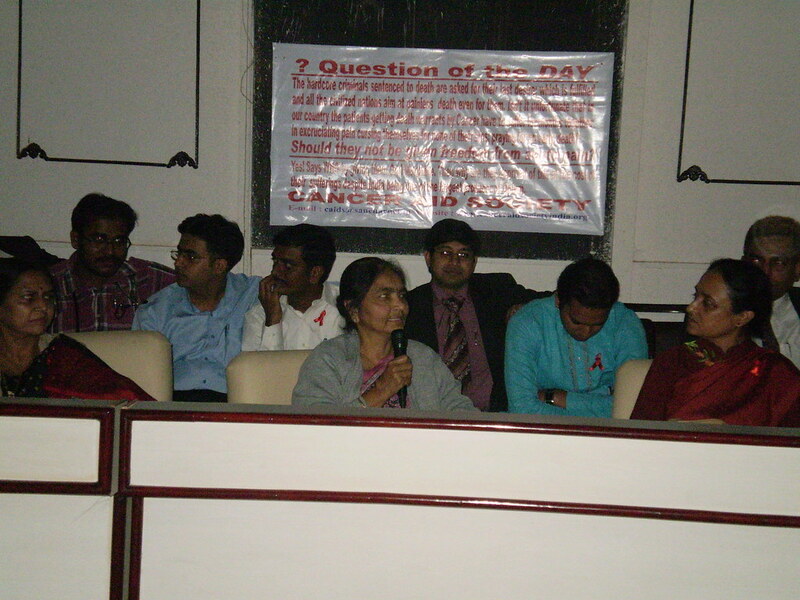 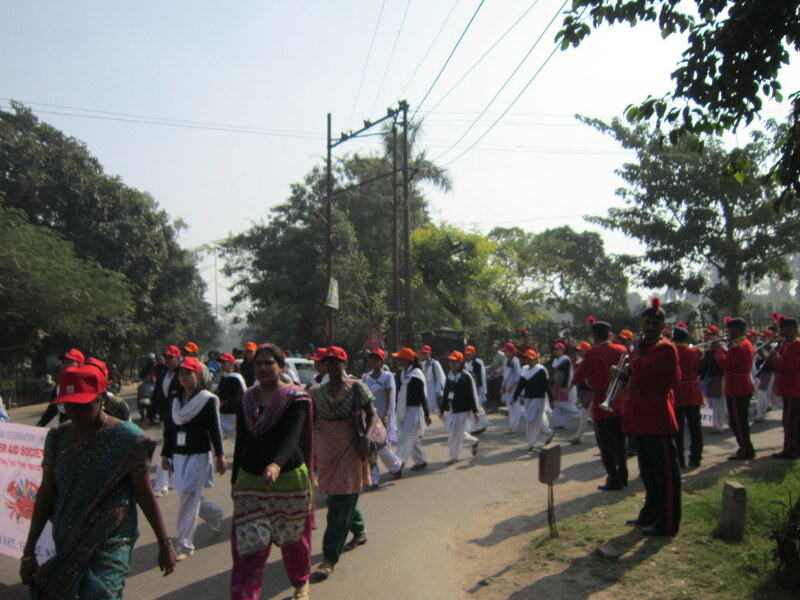 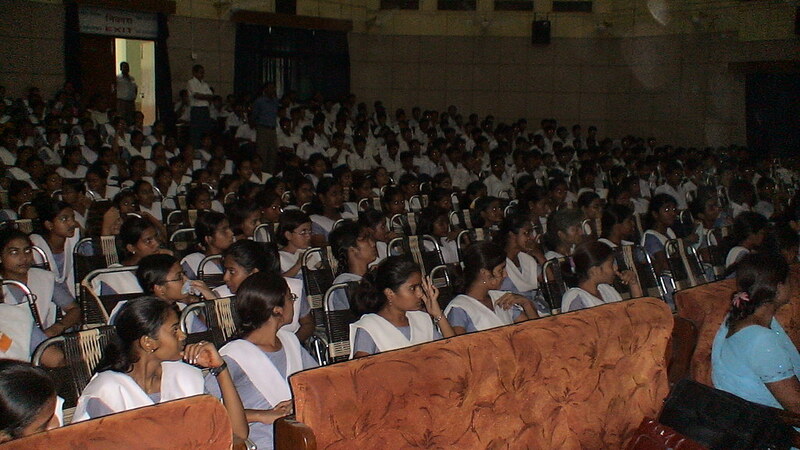 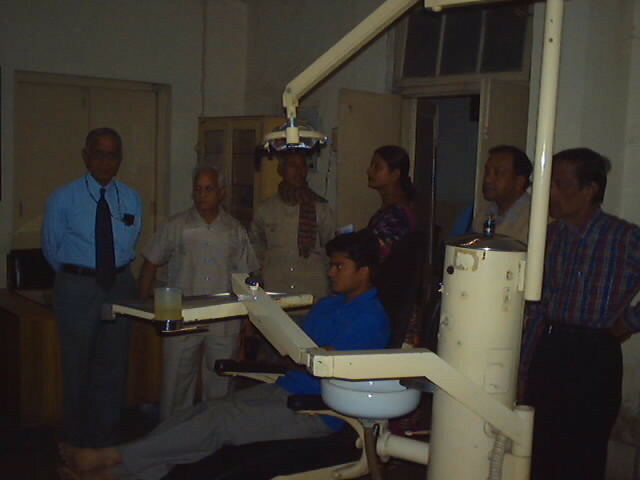 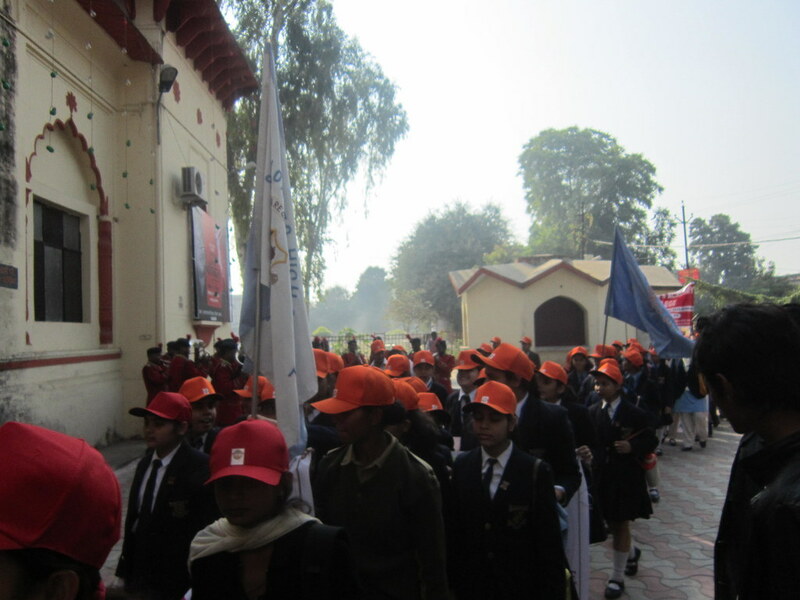 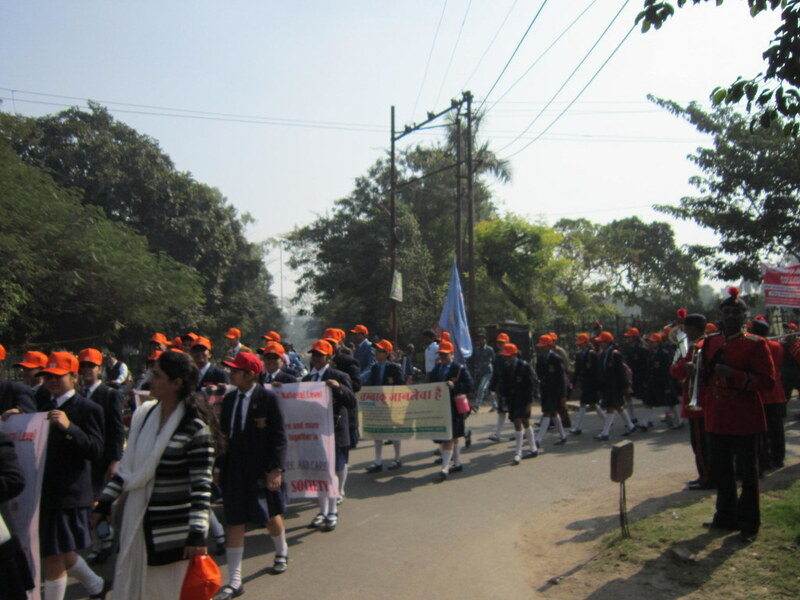 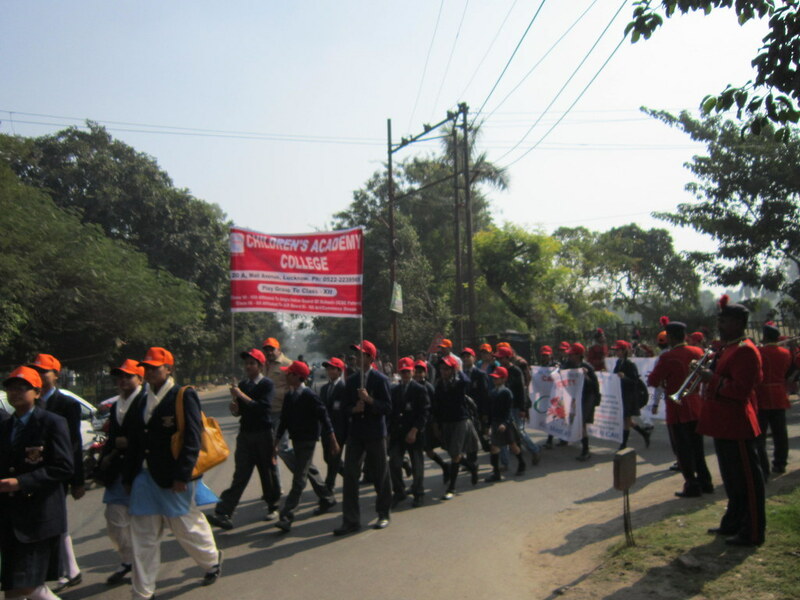 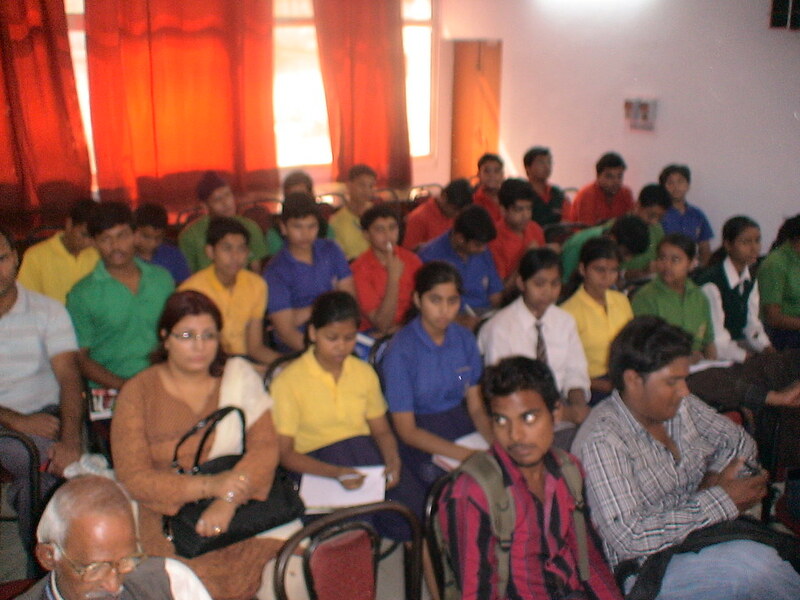 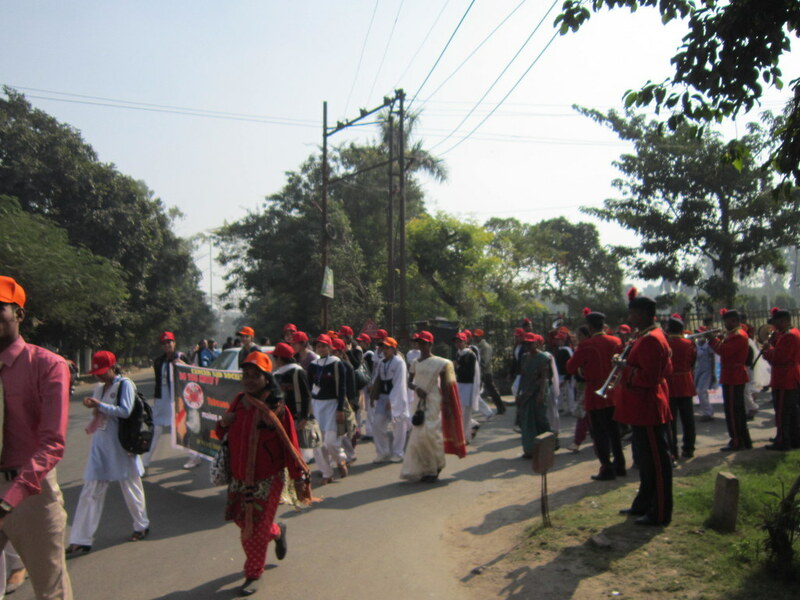 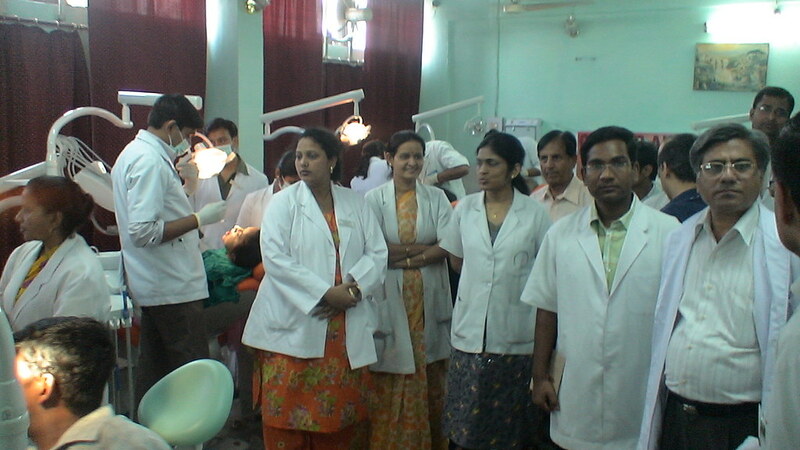 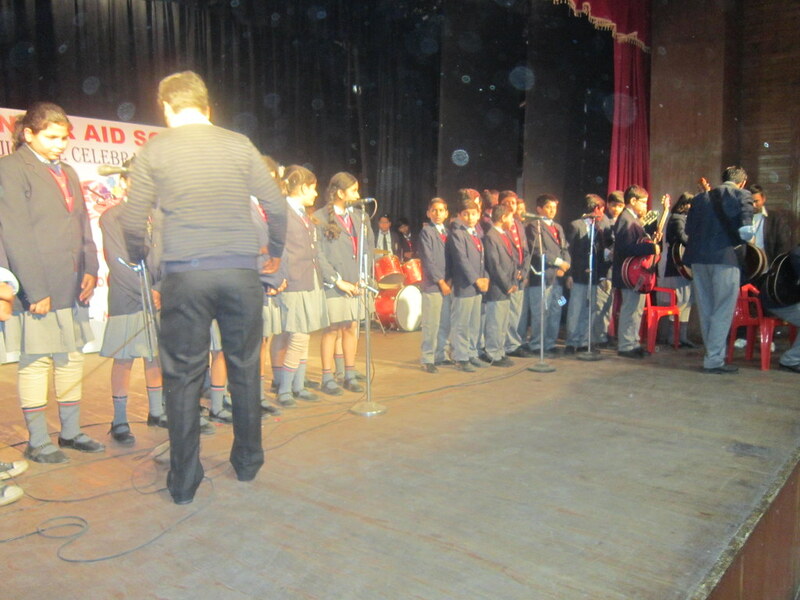 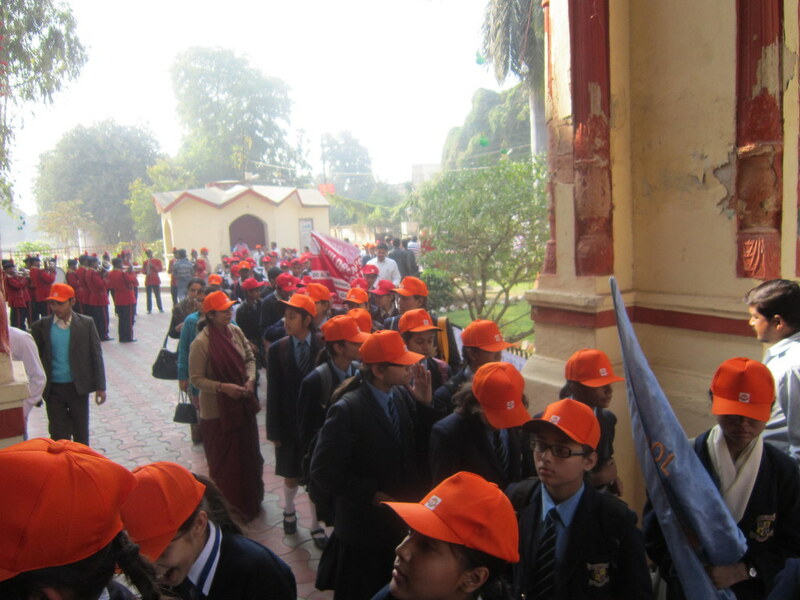 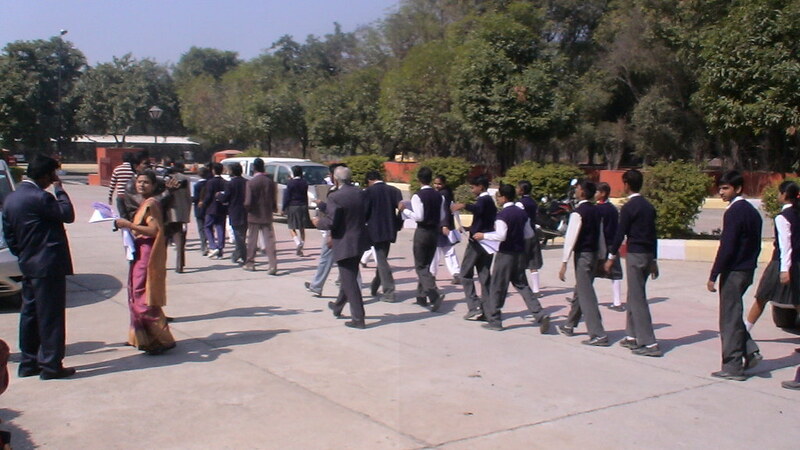 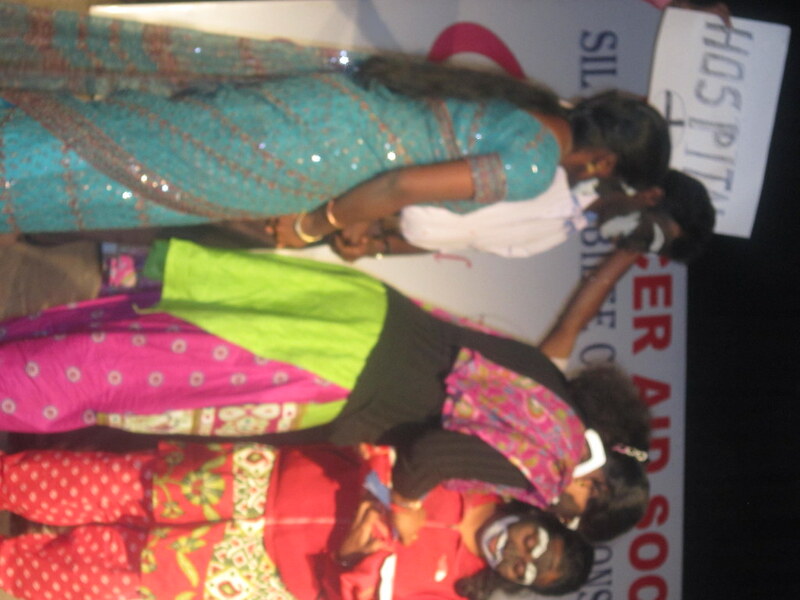 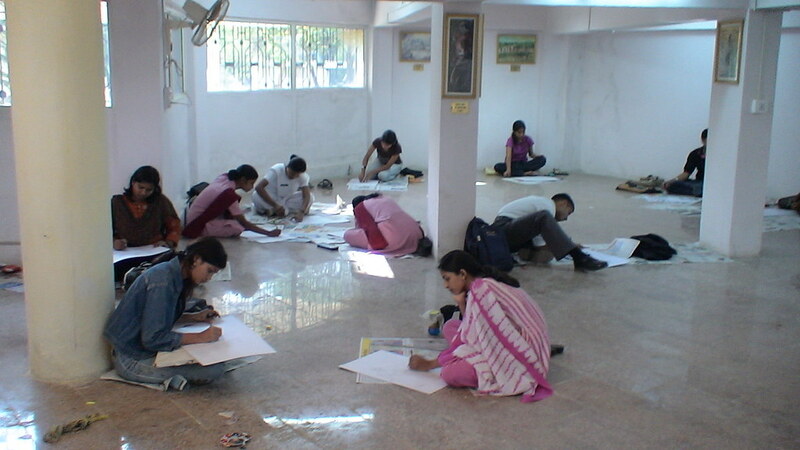 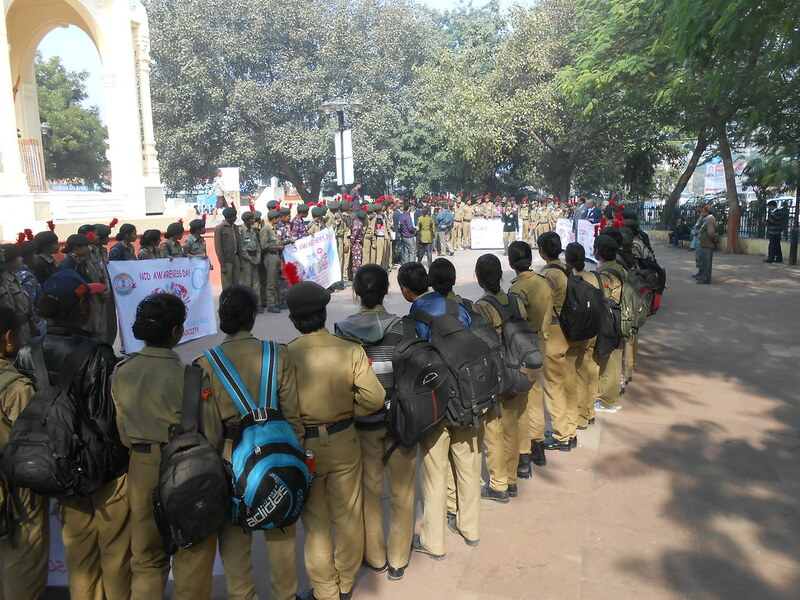 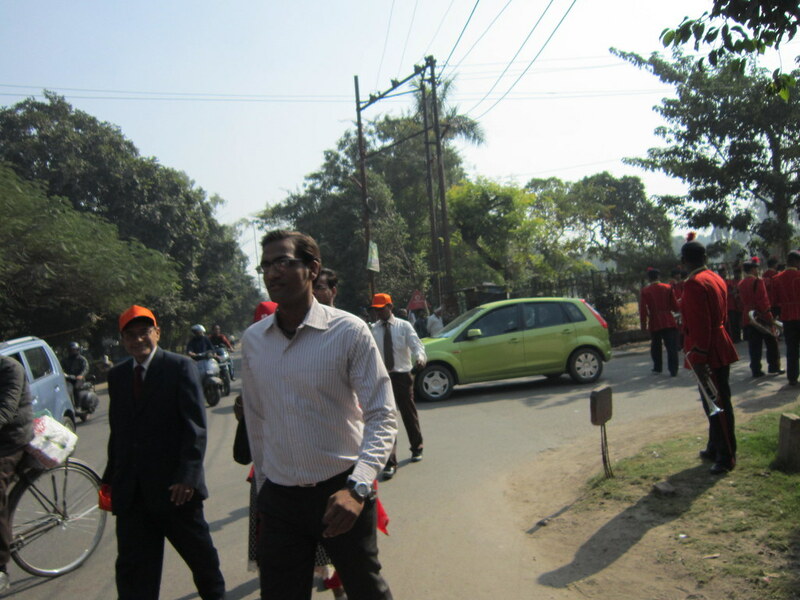 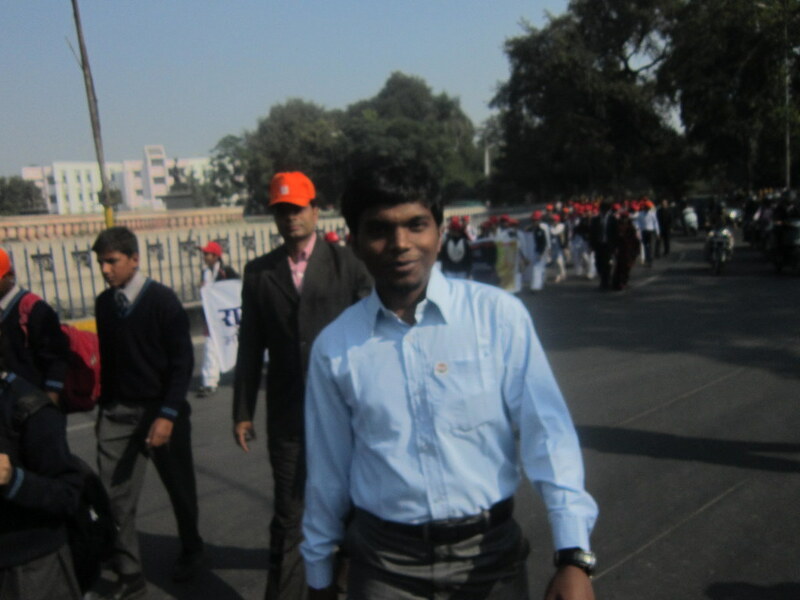 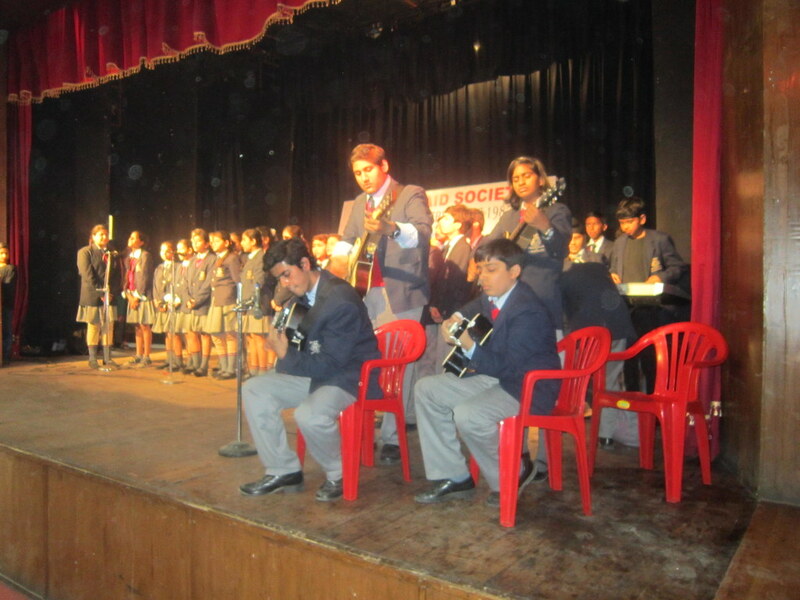 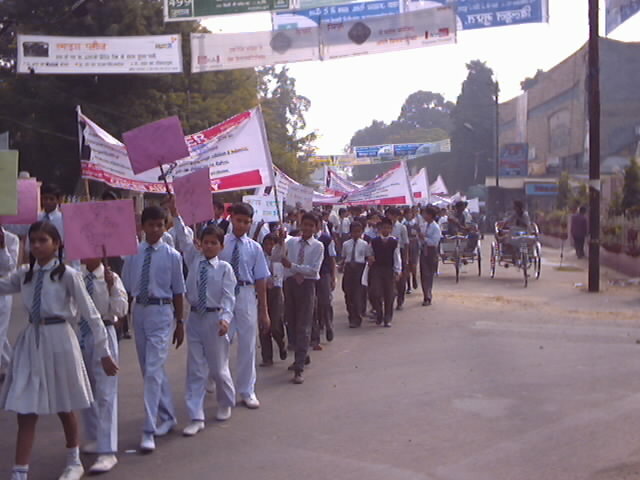 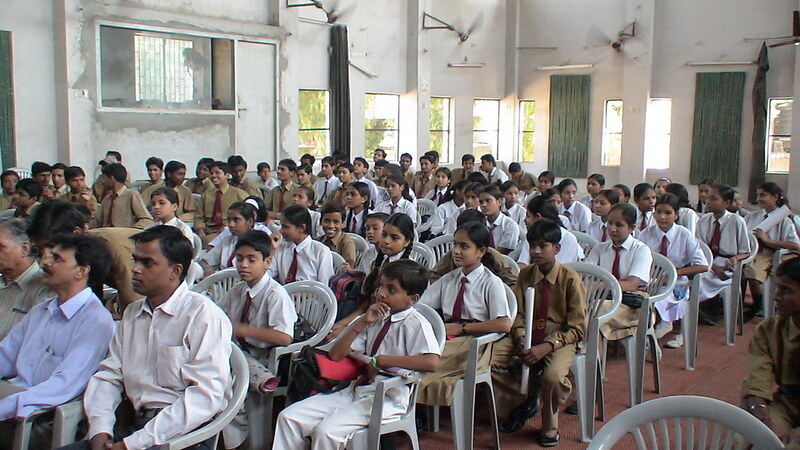 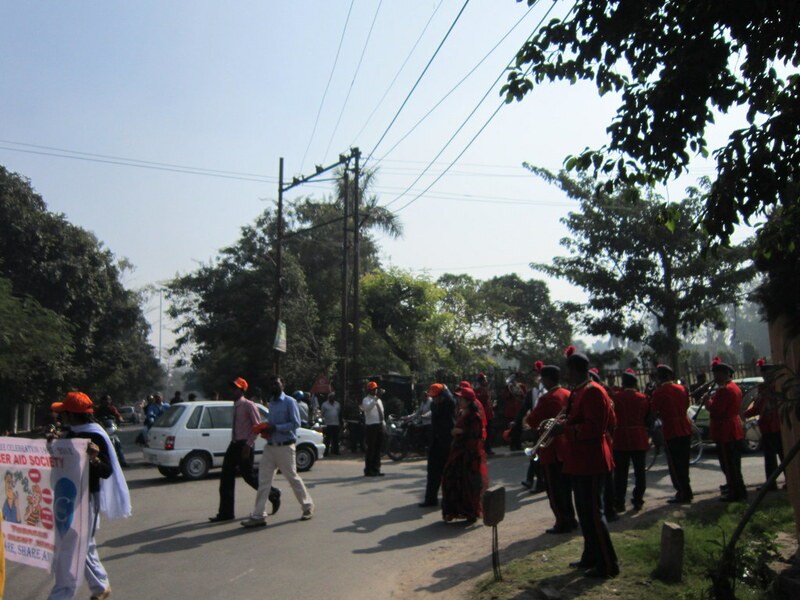 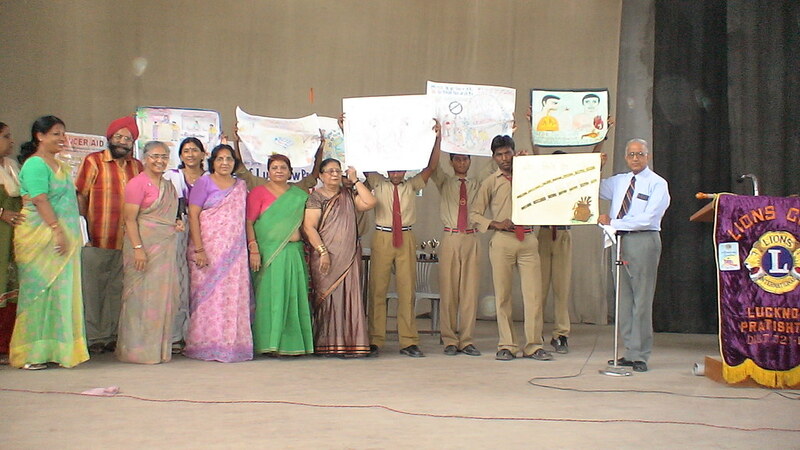 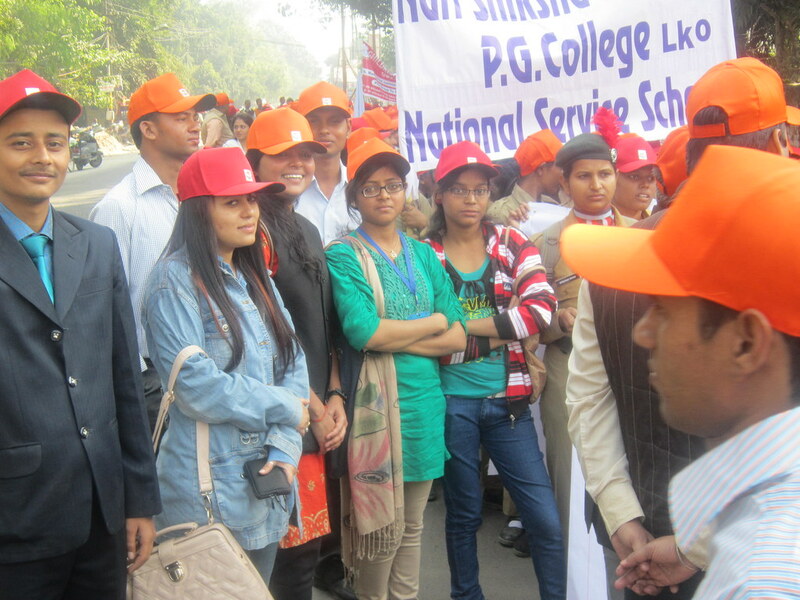 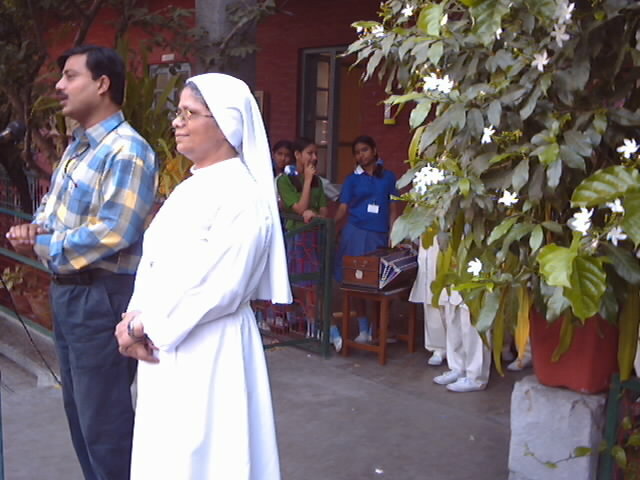 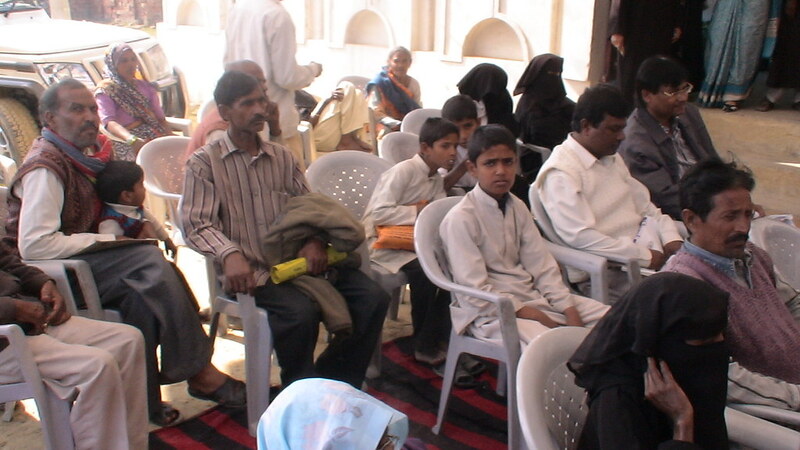 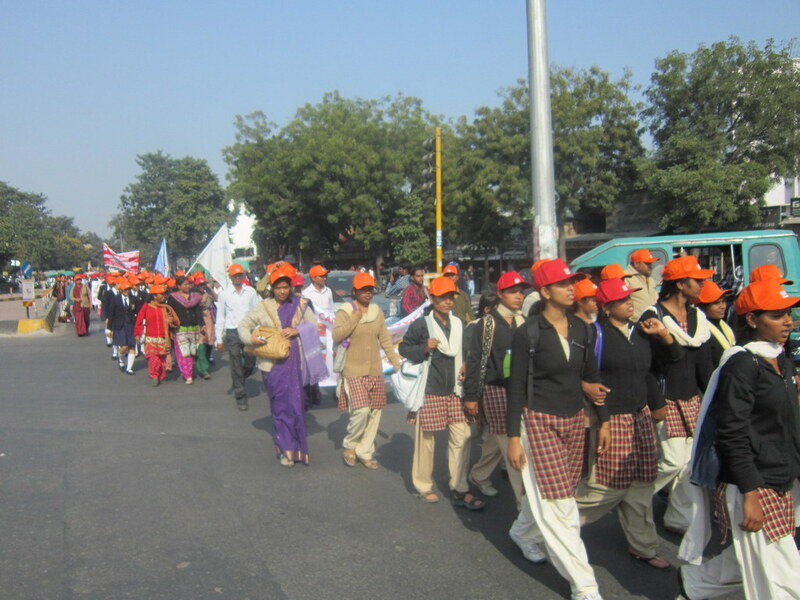 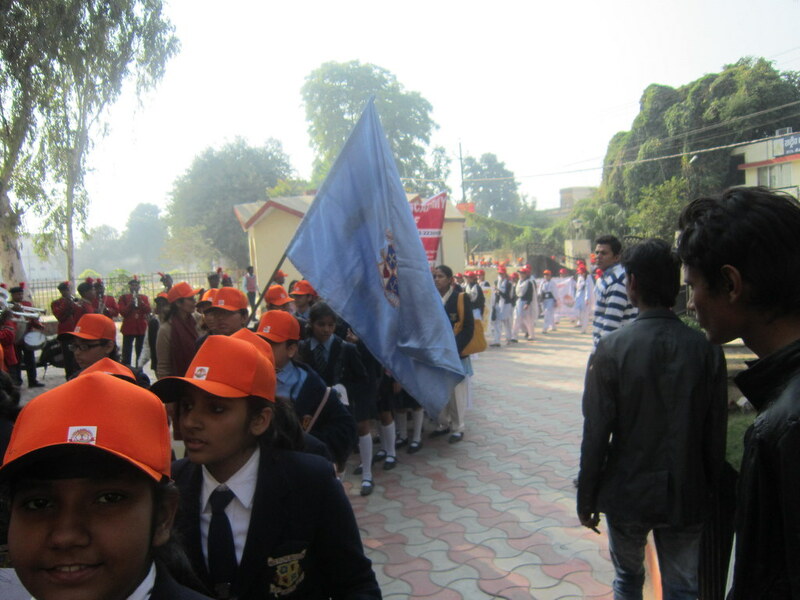 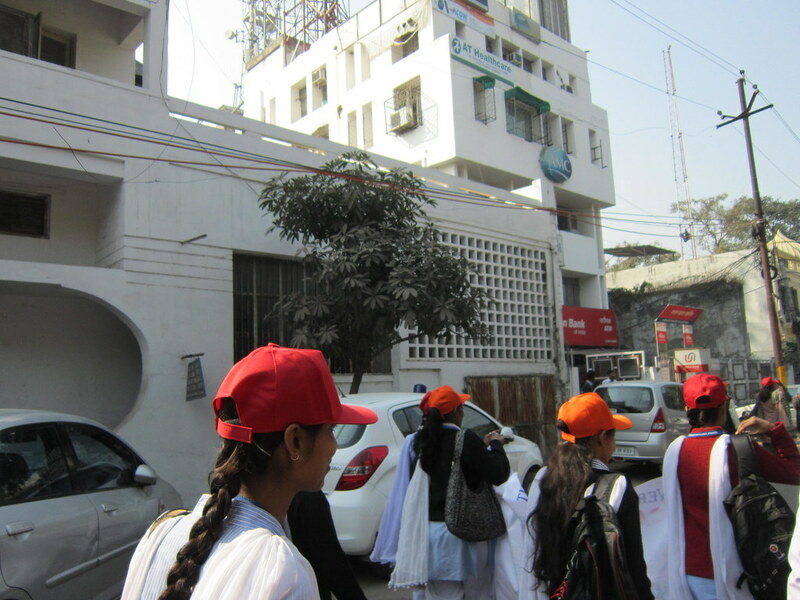 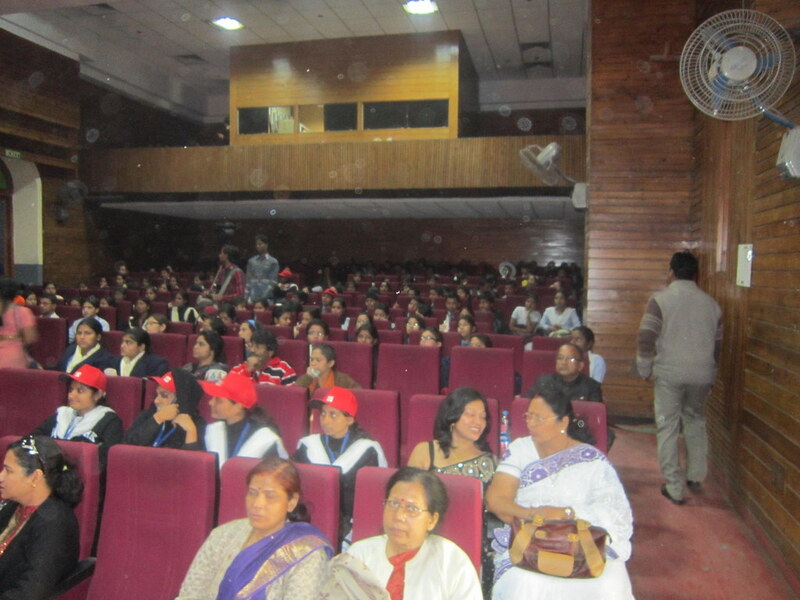 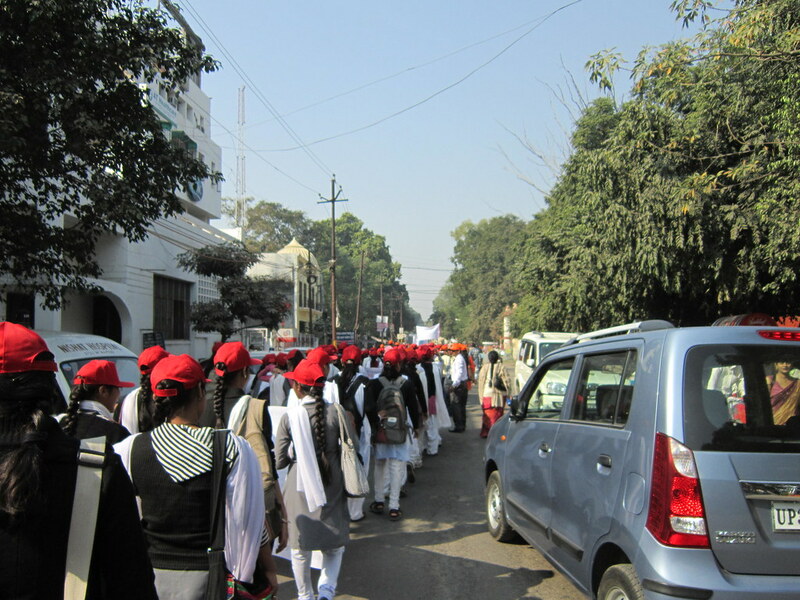 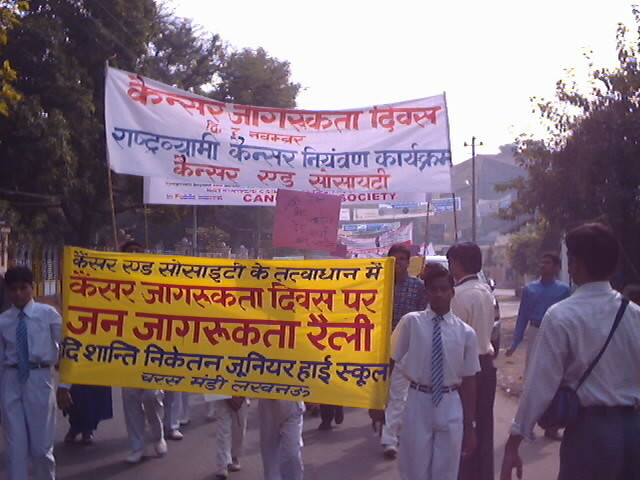 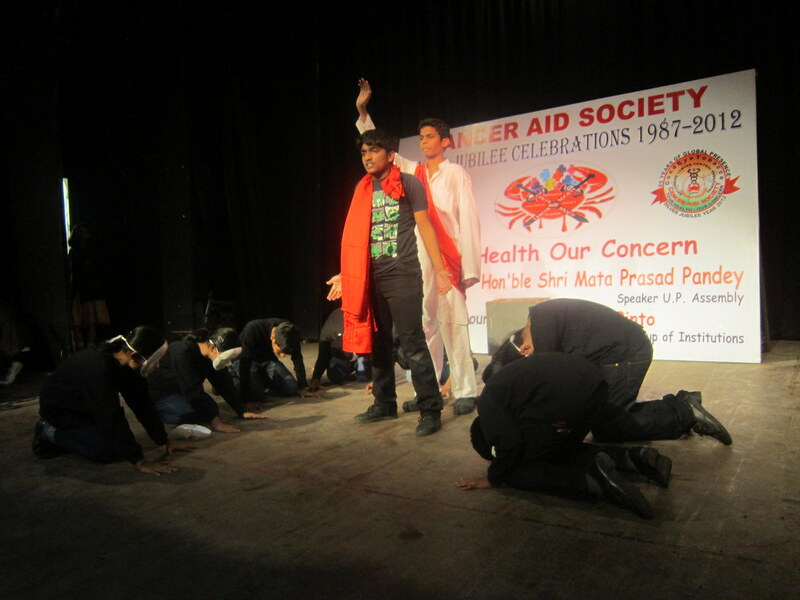 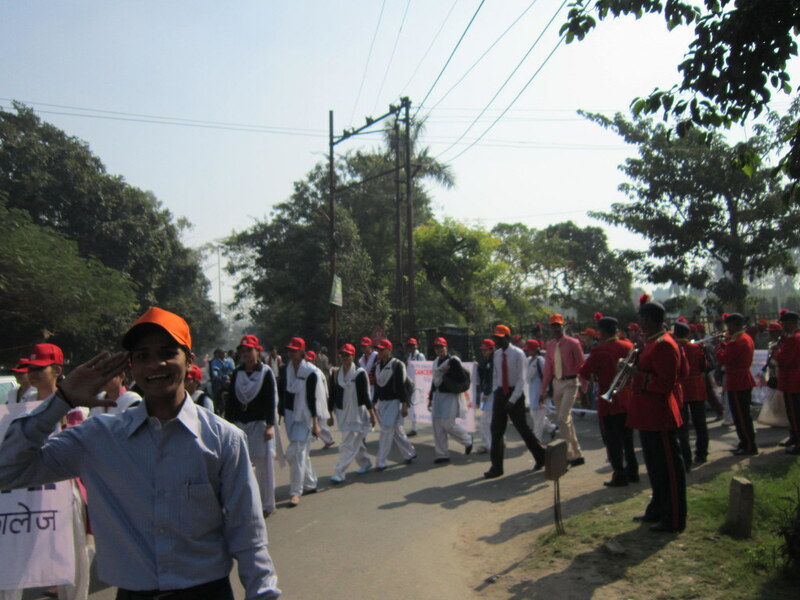 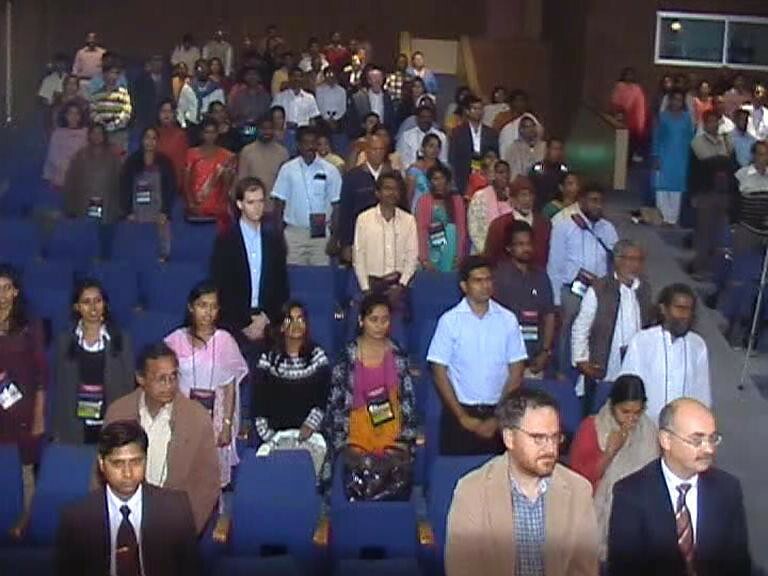 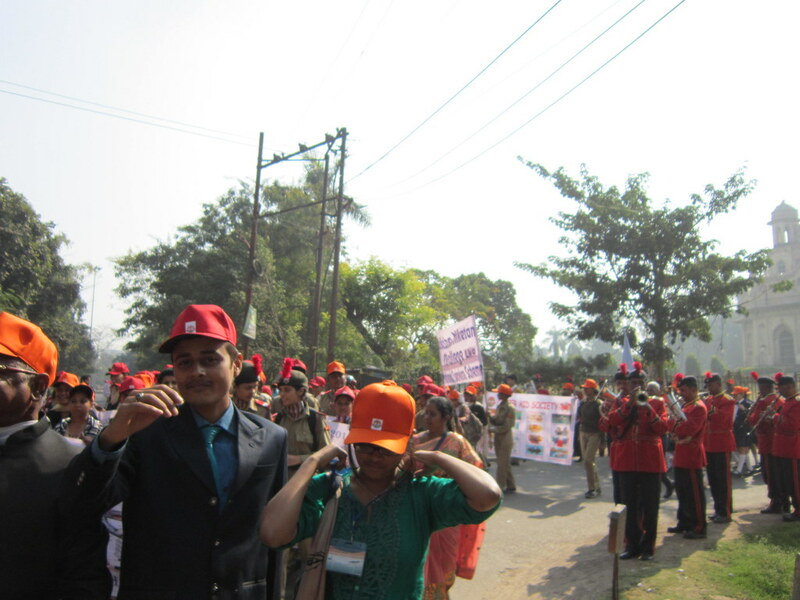 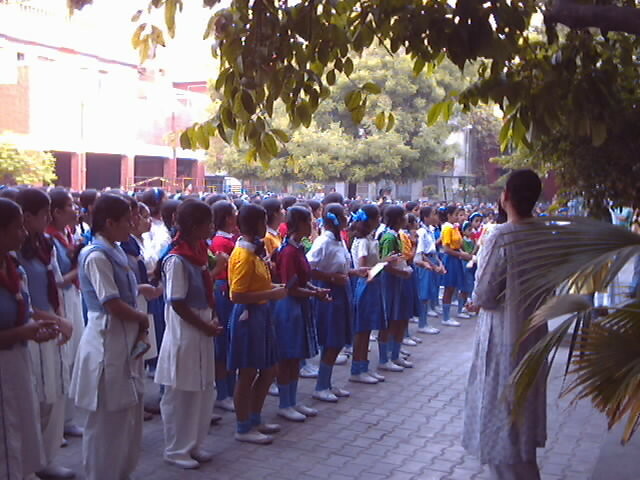 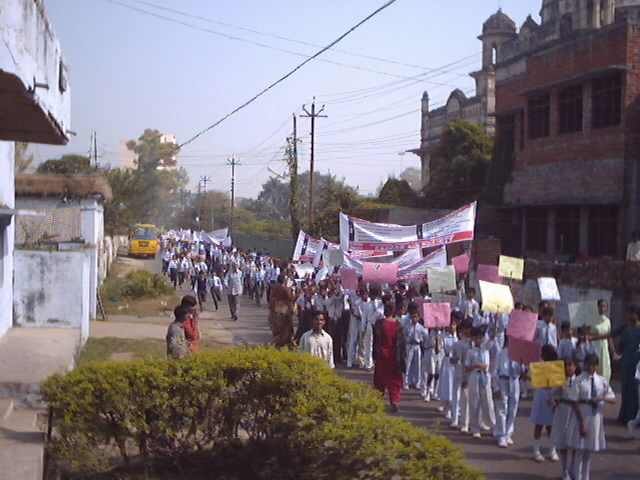 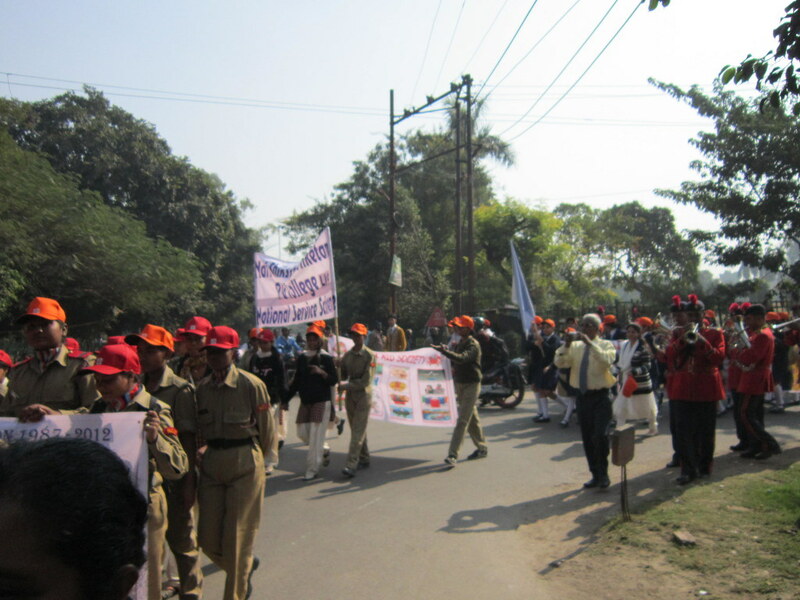 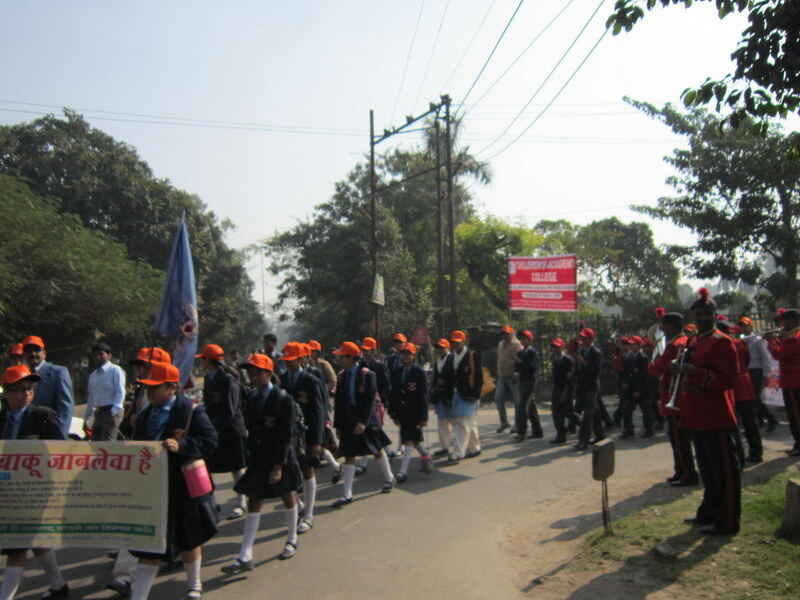 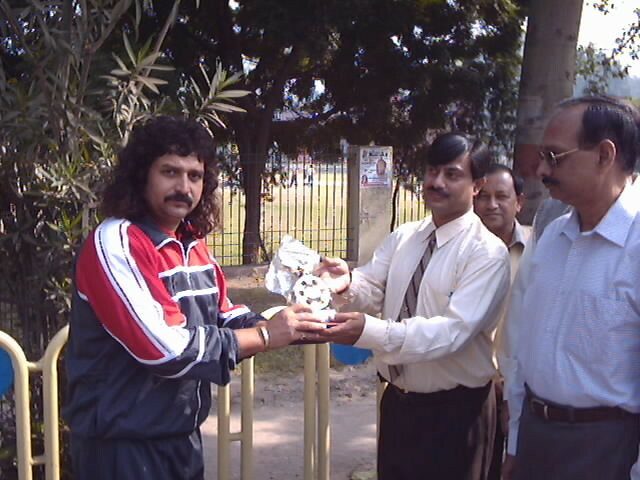 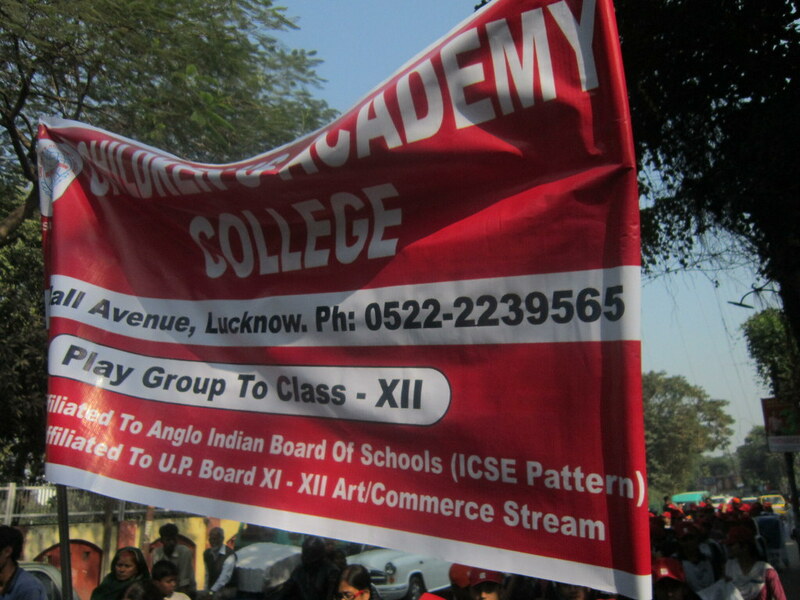 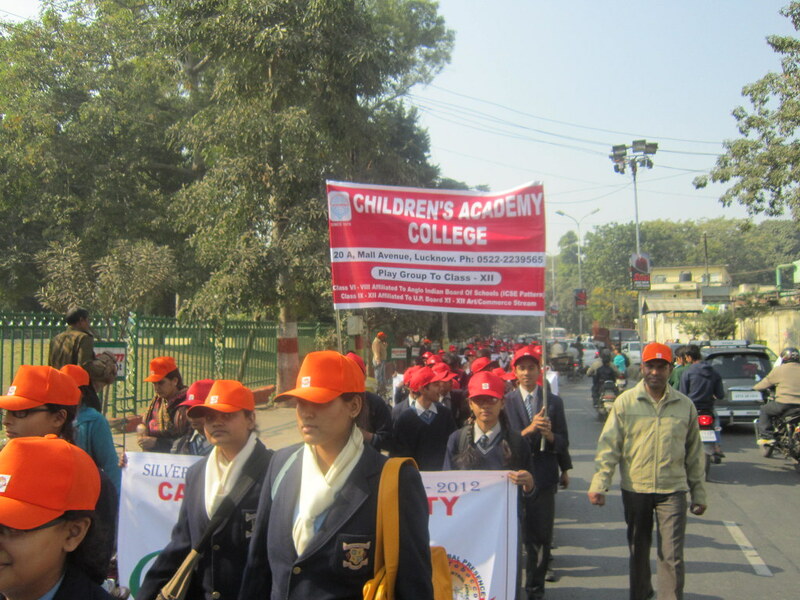 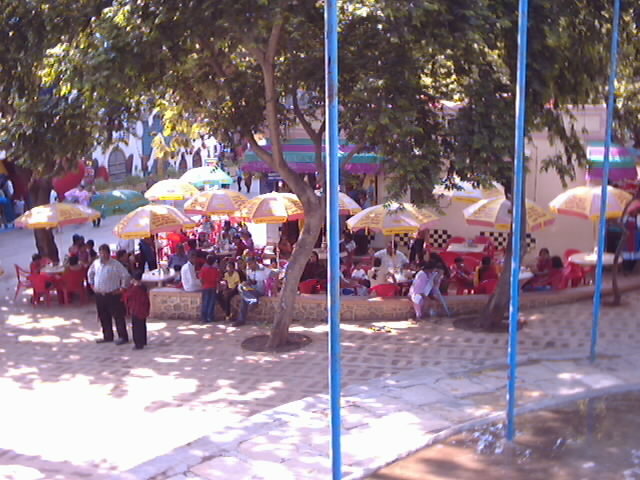 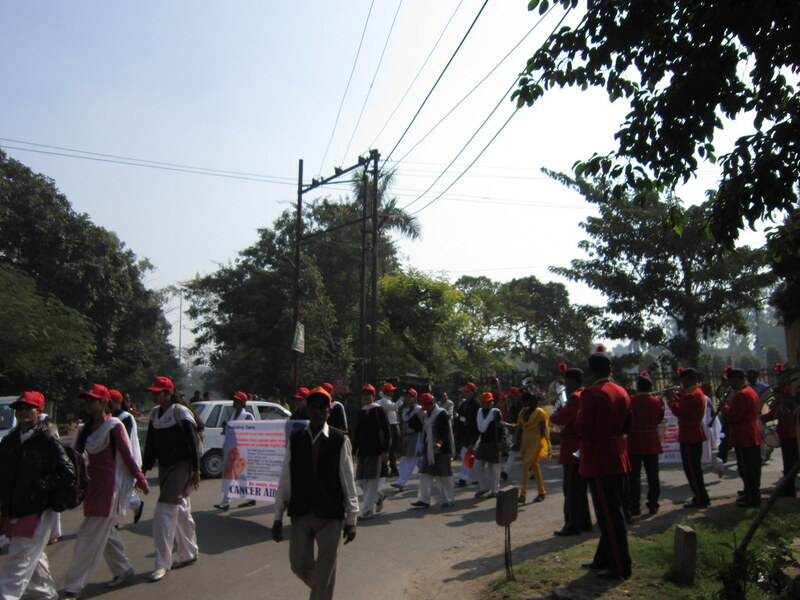 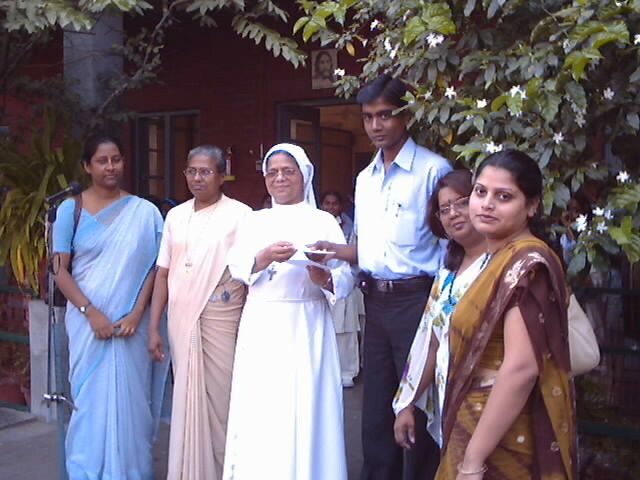 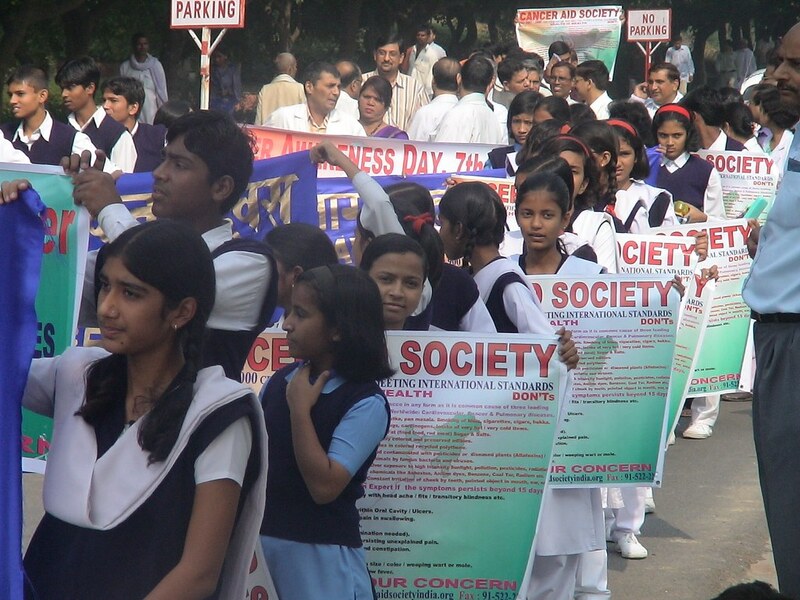 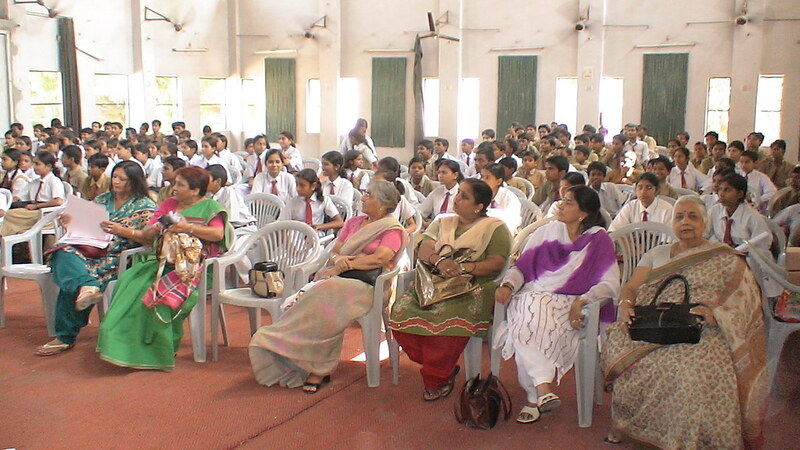 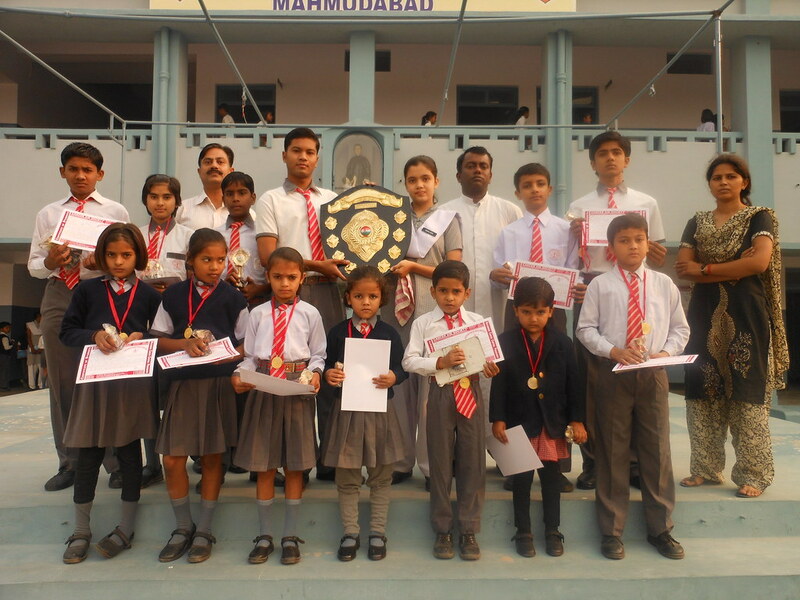 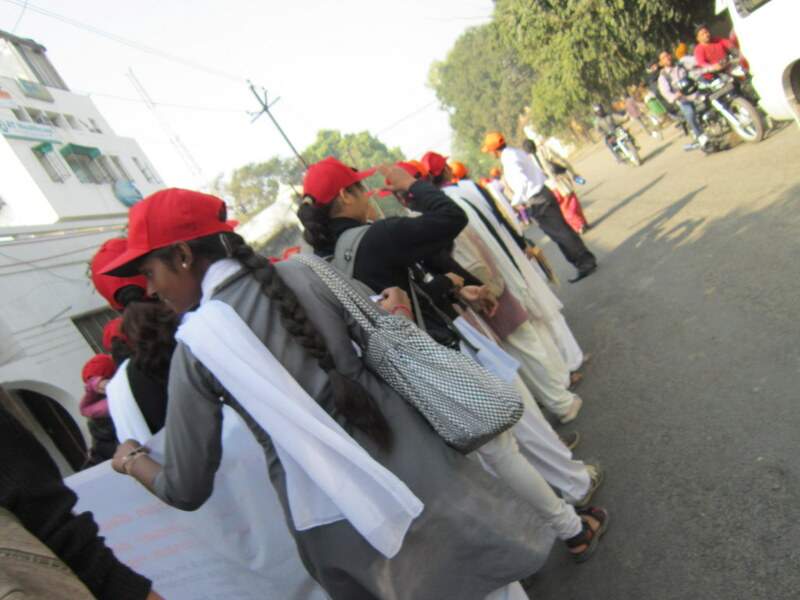 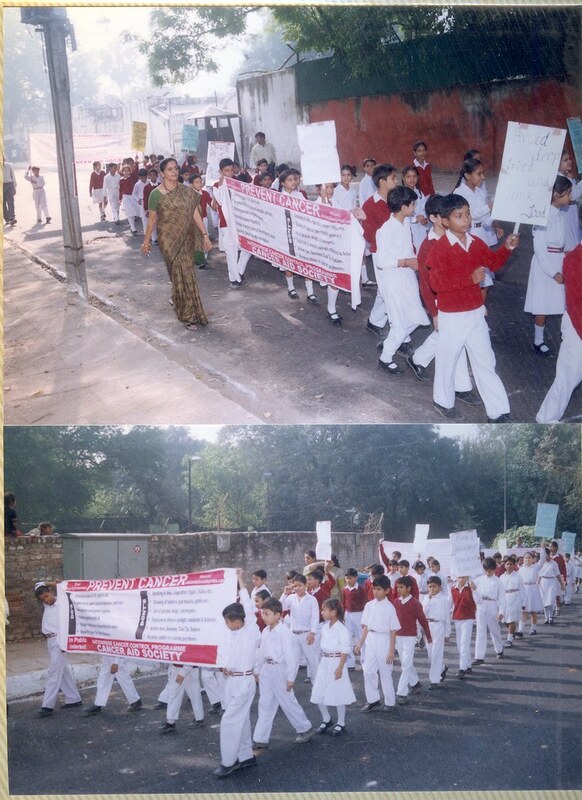 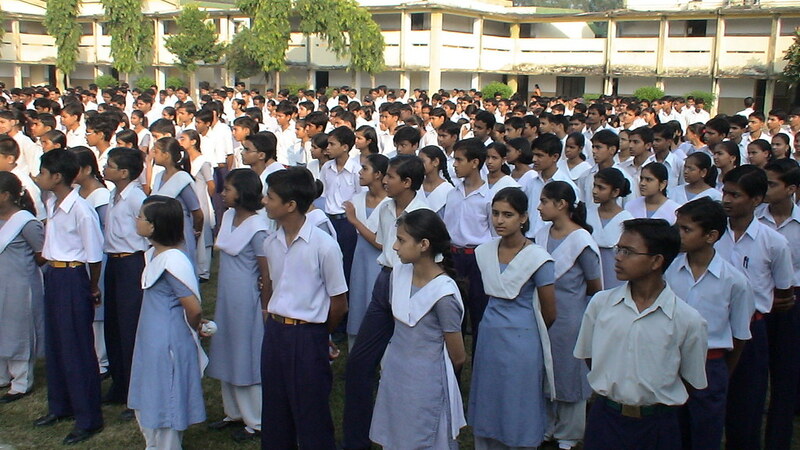 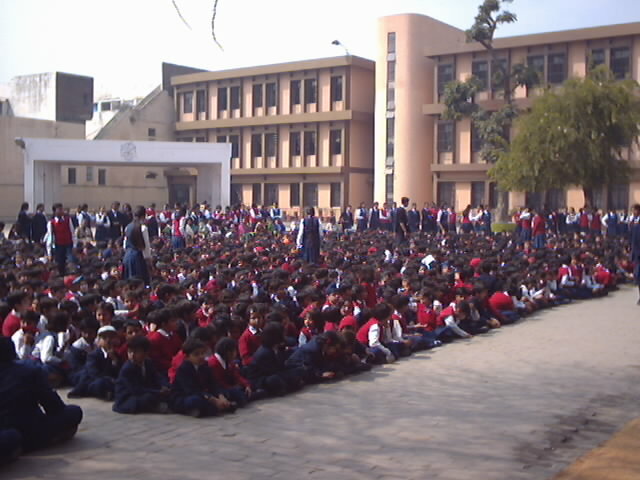 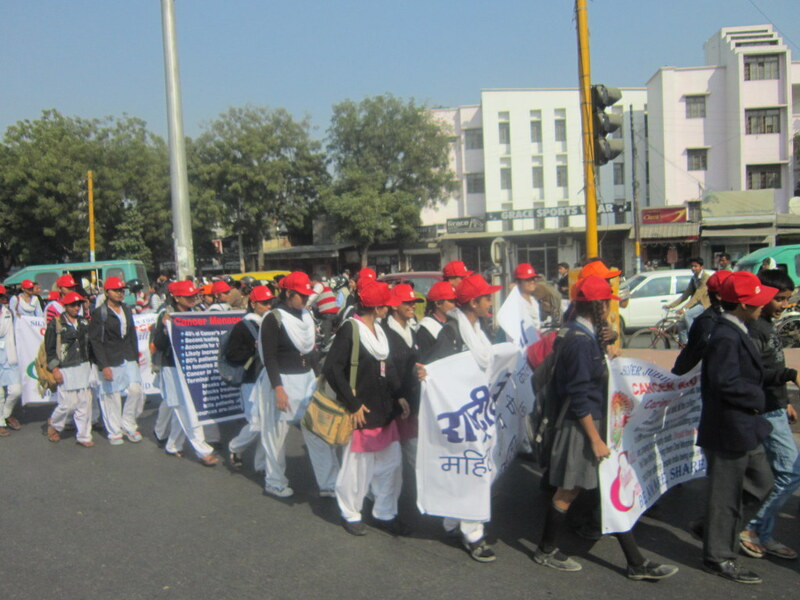 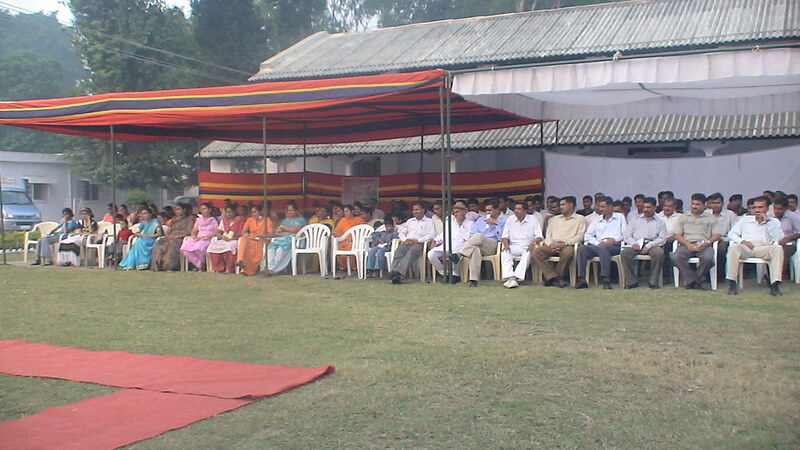 Students generate awareness among the community multiplying awareness manifold improving their overall health. 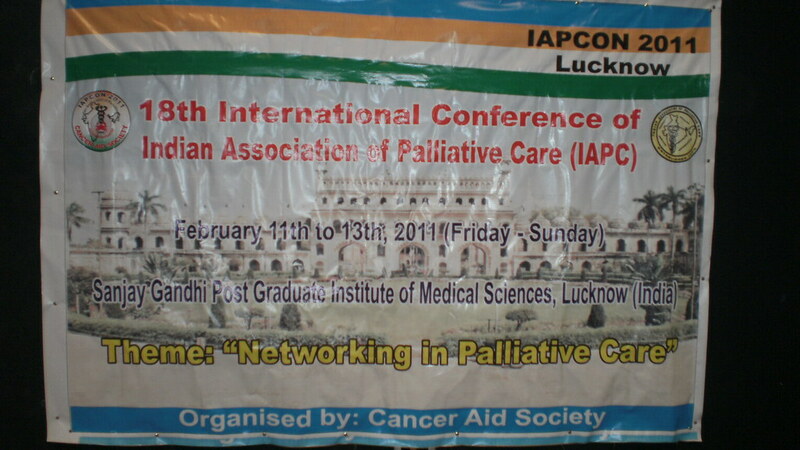 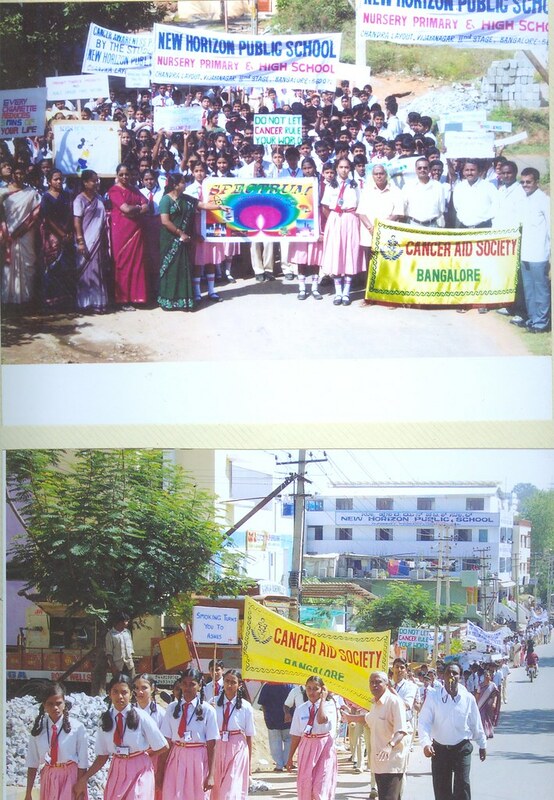 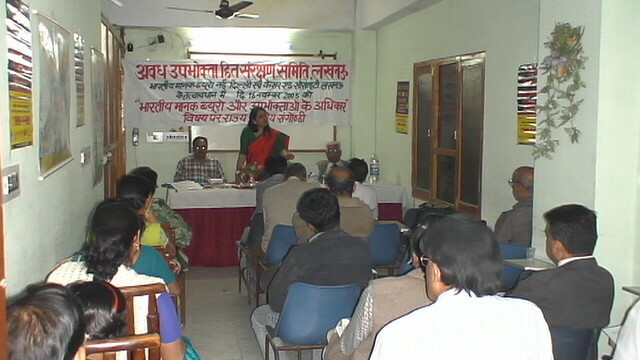 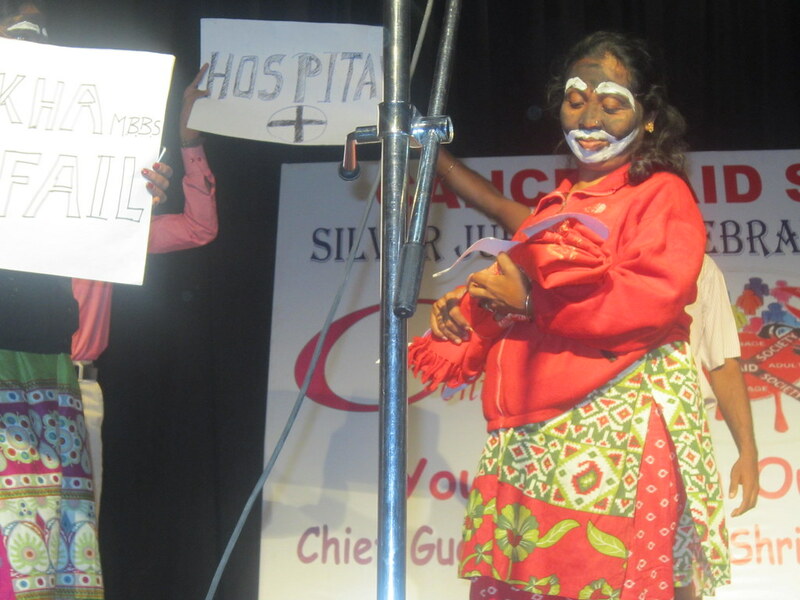 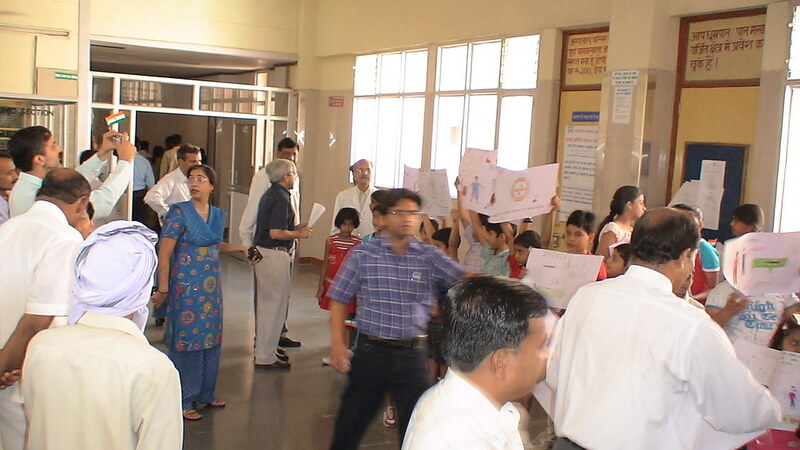 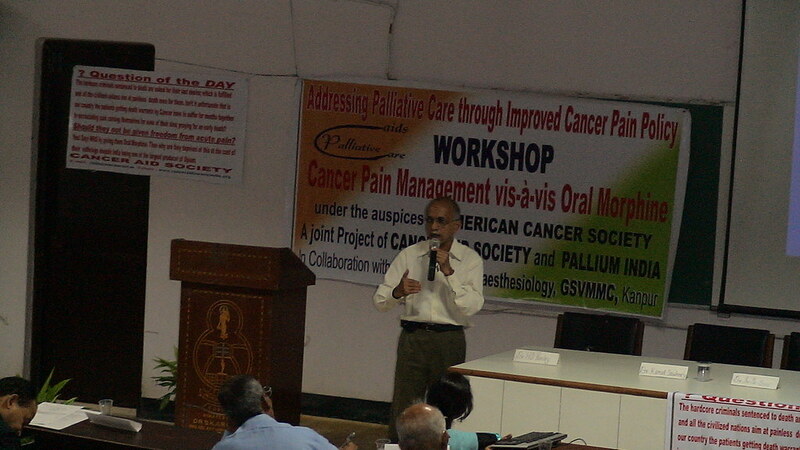 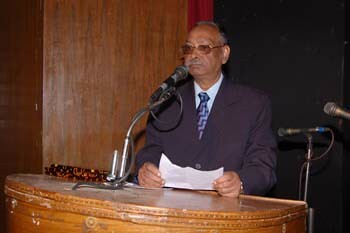 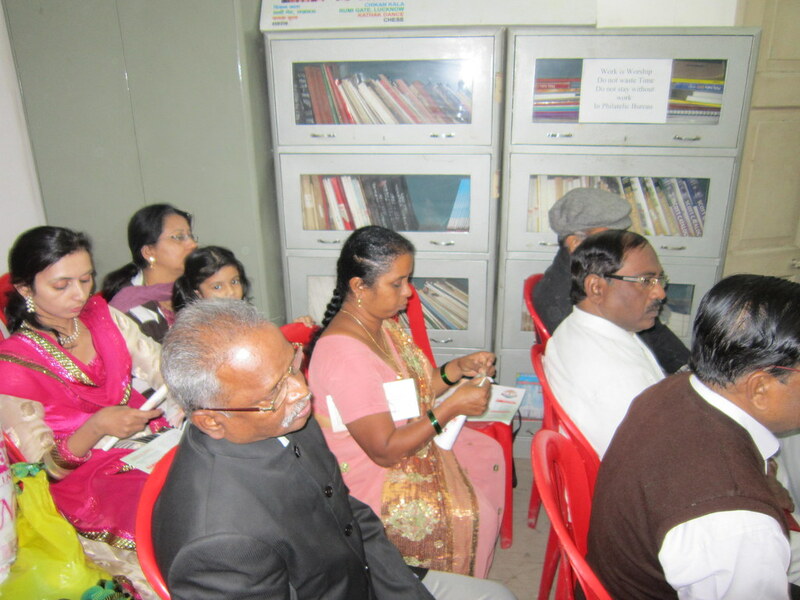 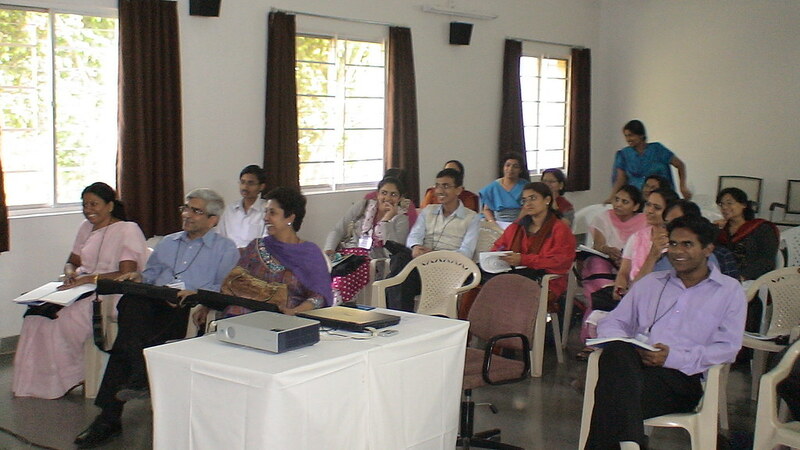 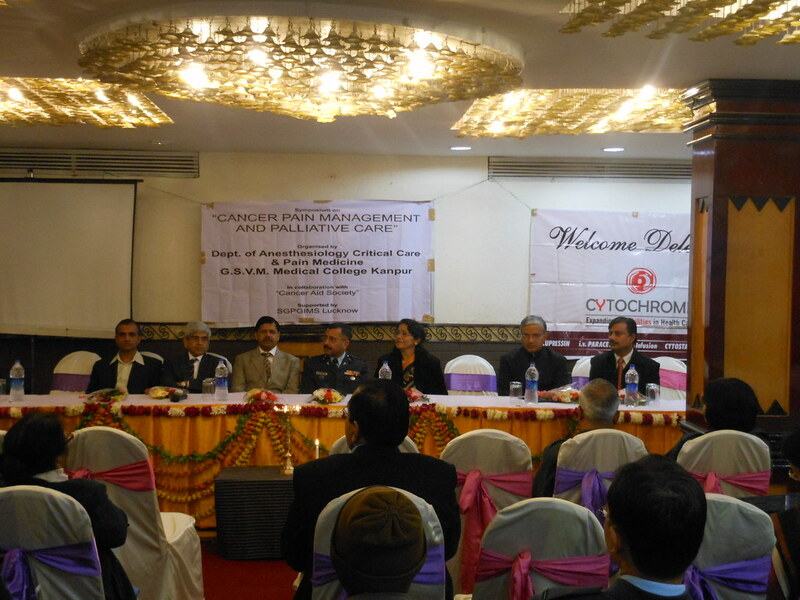 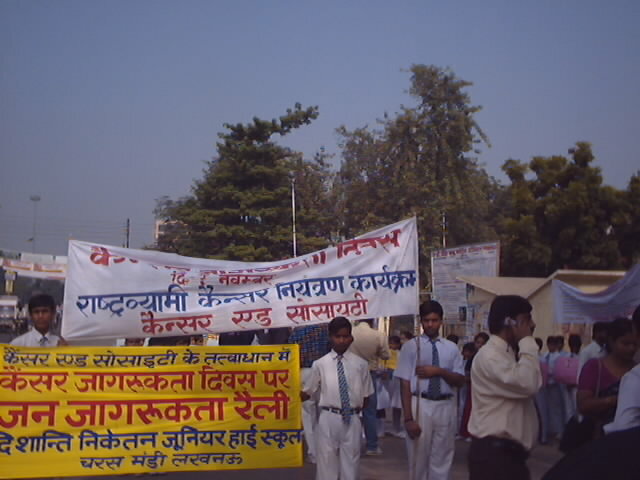 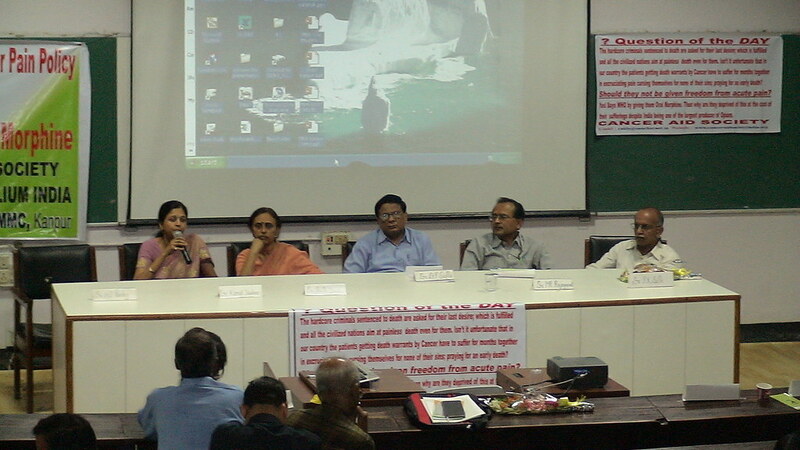 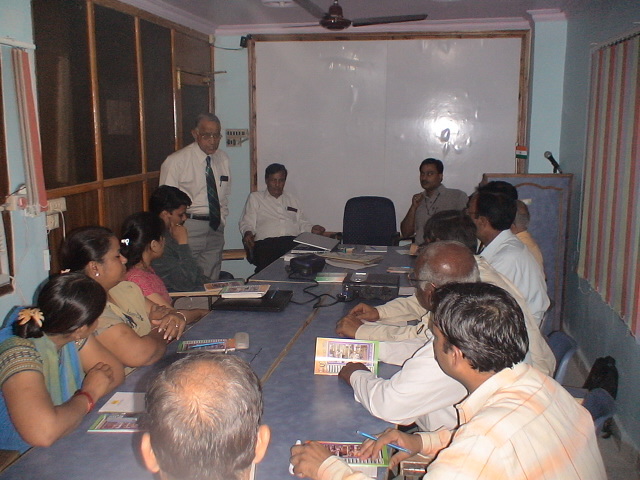 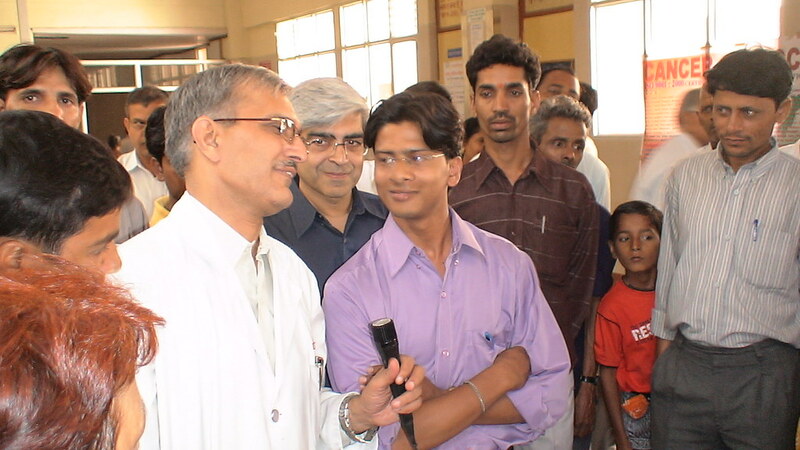 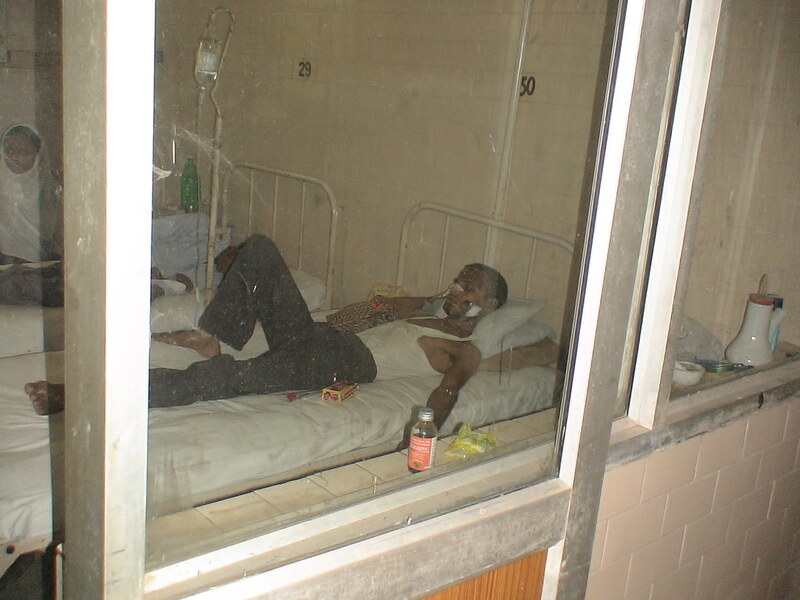 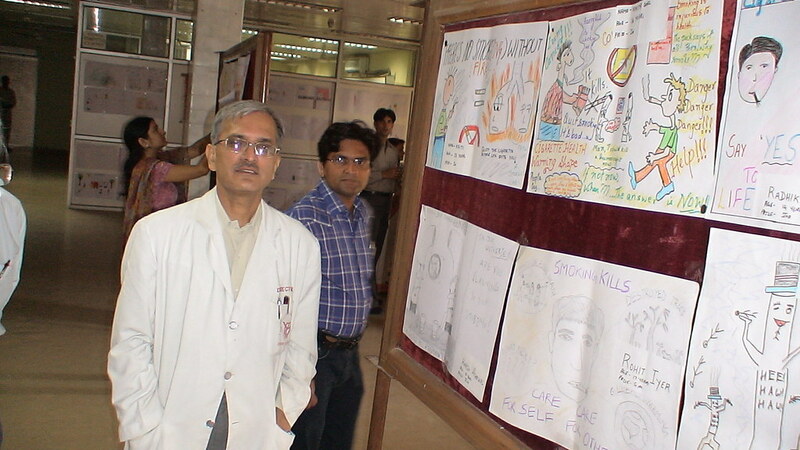 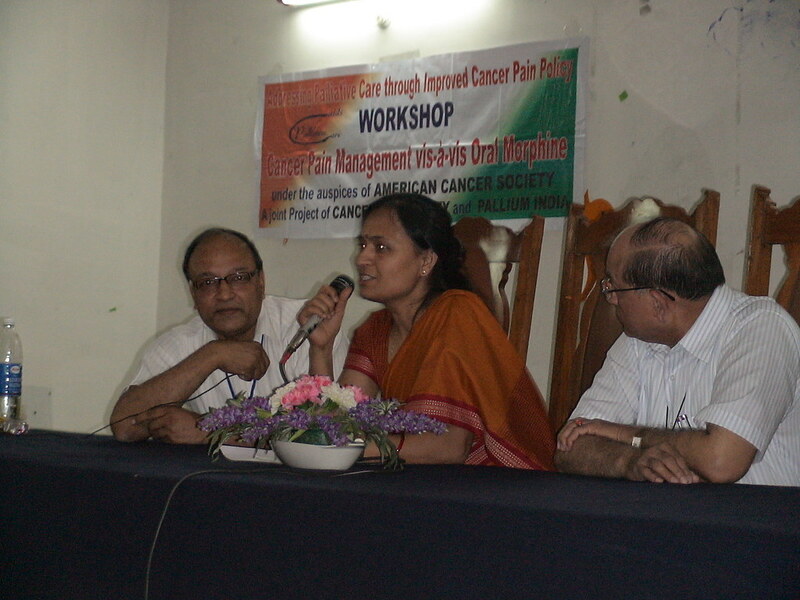 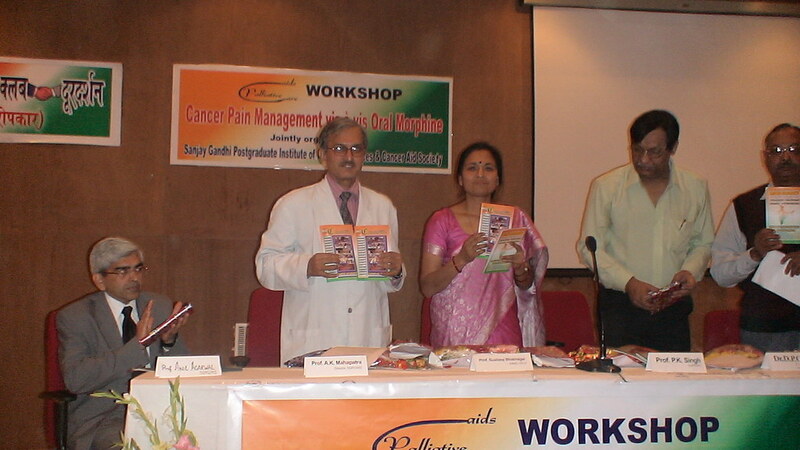 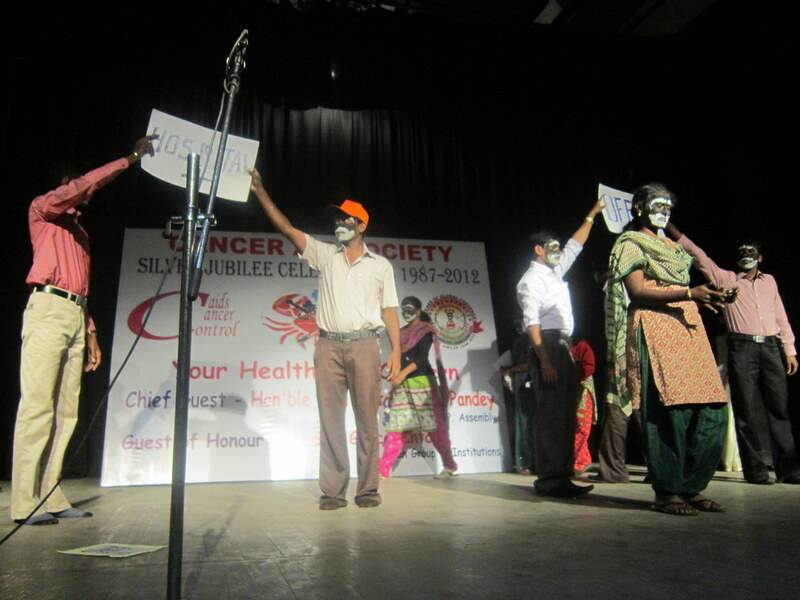 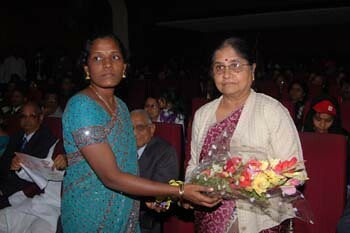 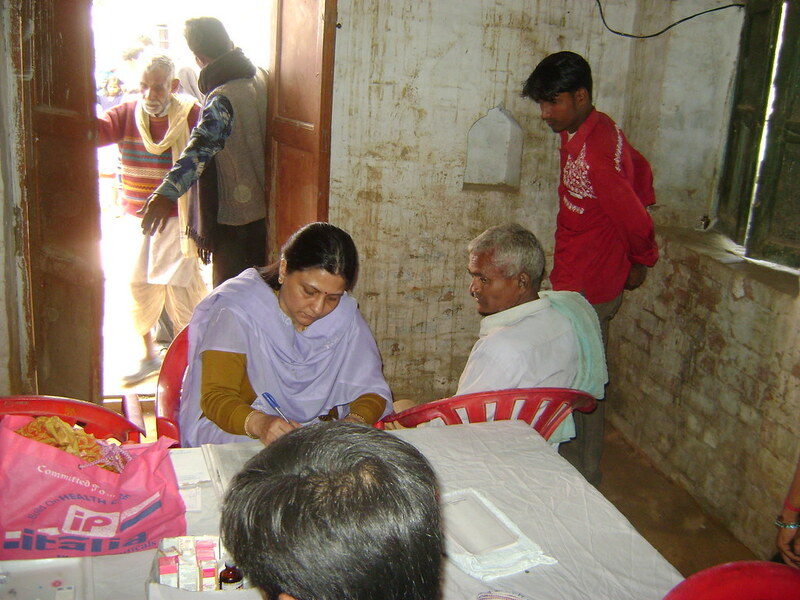 Presently 80% cancer patients reach the doctors in the incurable stages where we lose precious human lives as well as resources leading to financial breakdown of families which can be prevented through health education by pamphlets published in 12 Indian Languages apart along with pictorial illustrations through one-to-one contact, thus generating a high level awareness among the large section of population reducing mortality caused by tobacco, non communicable diseases (Heart Attacks, Respiratory and Diabetics) and early symptoms of Cancer when it is curable at lesser costs specifically Cancer which is the Second leading cause of Death World Wide. 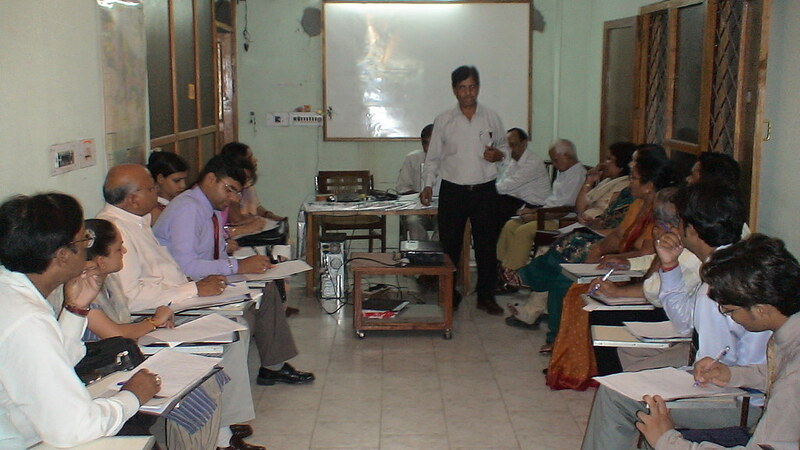 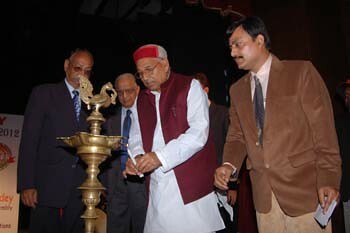 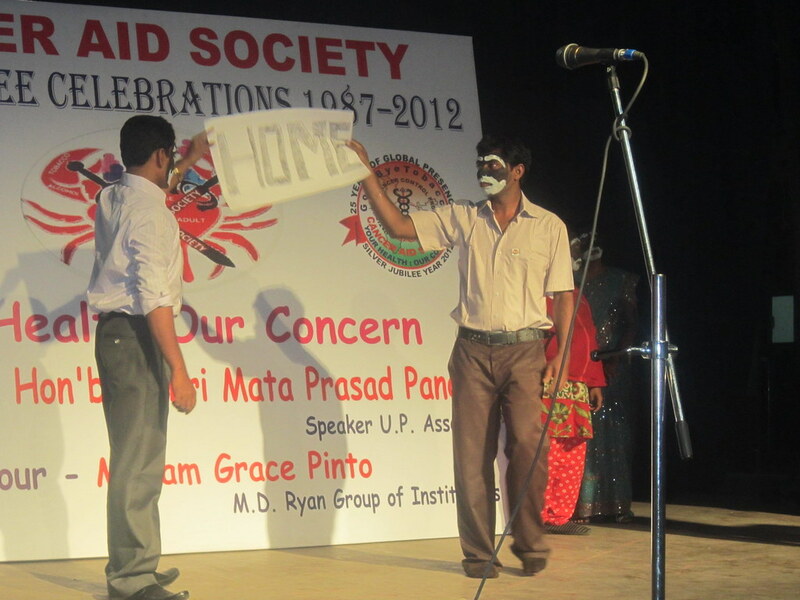 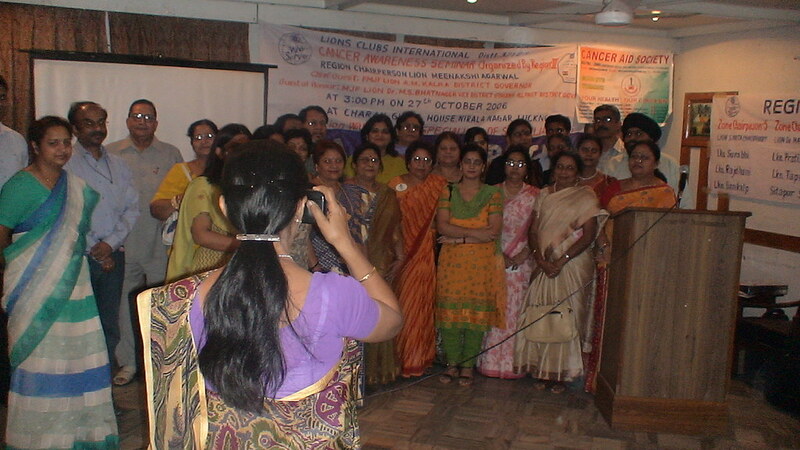 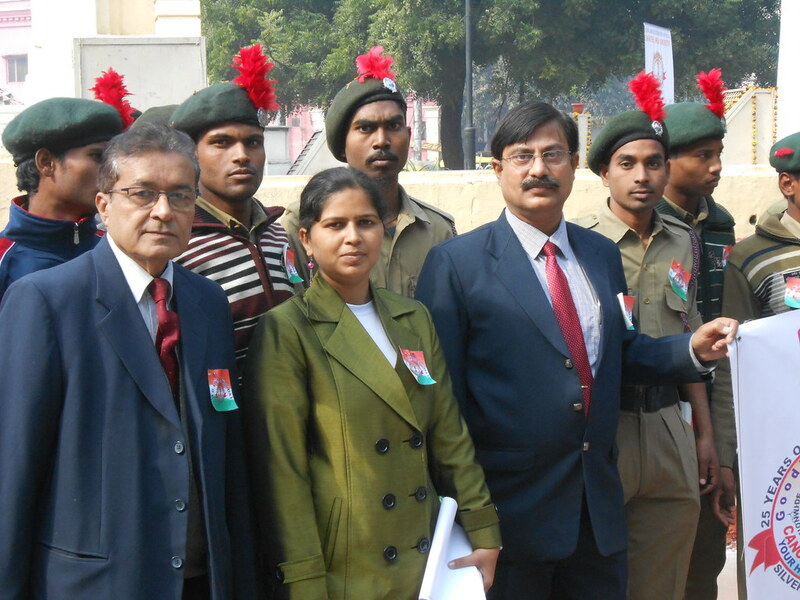 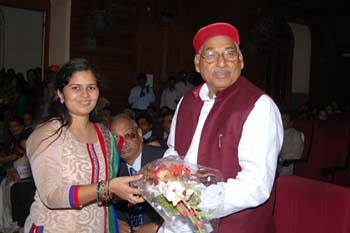 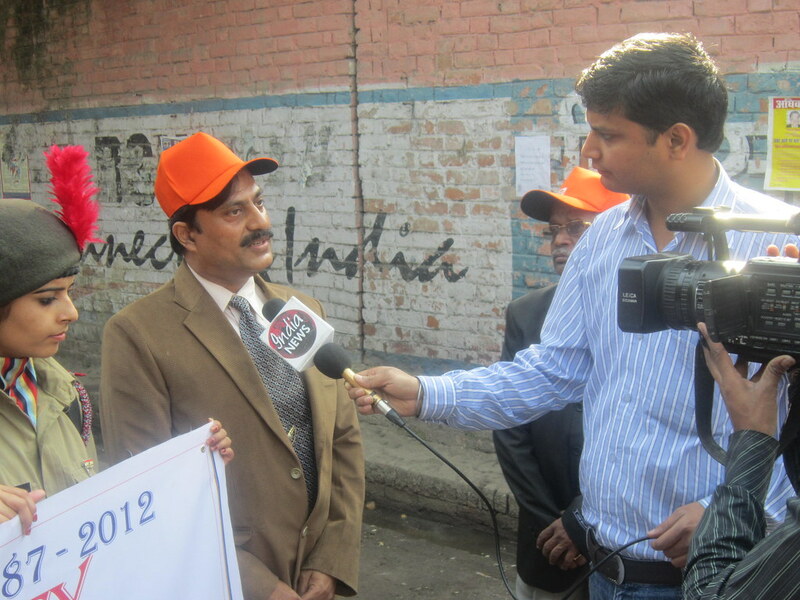 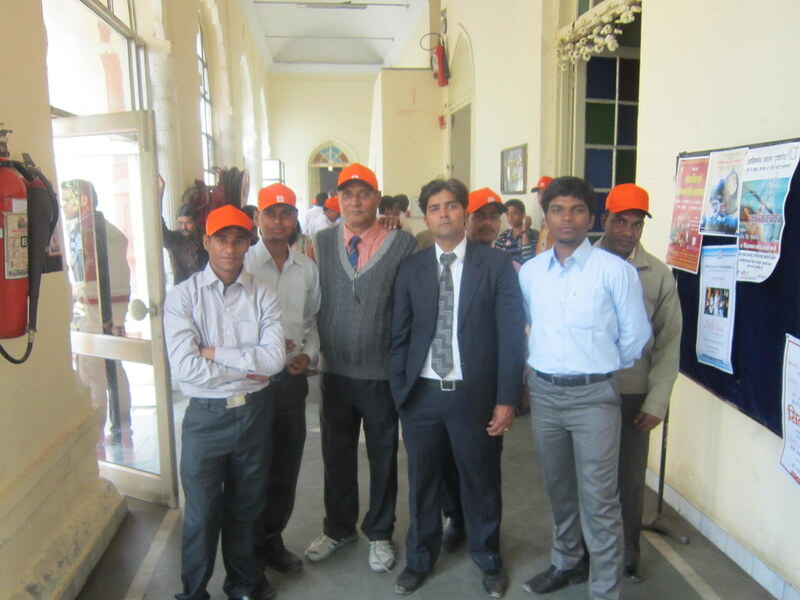 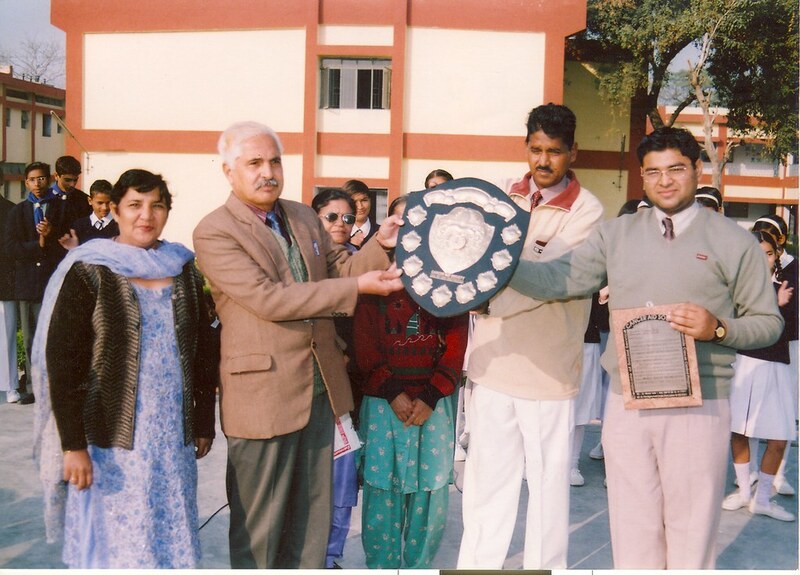 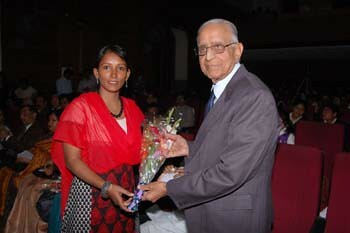 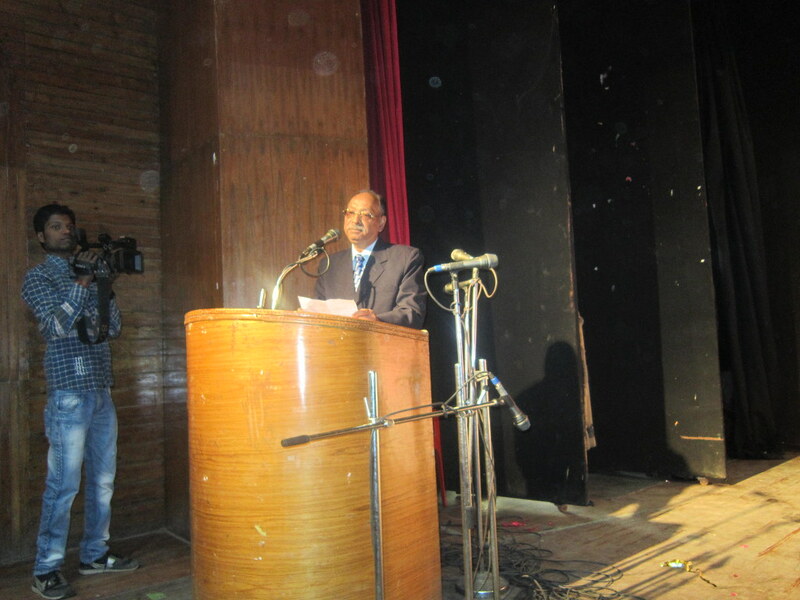 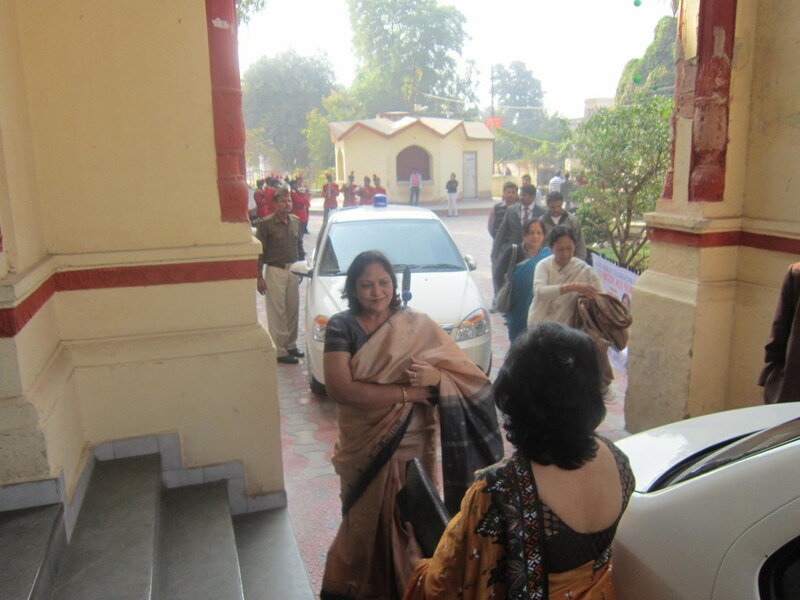 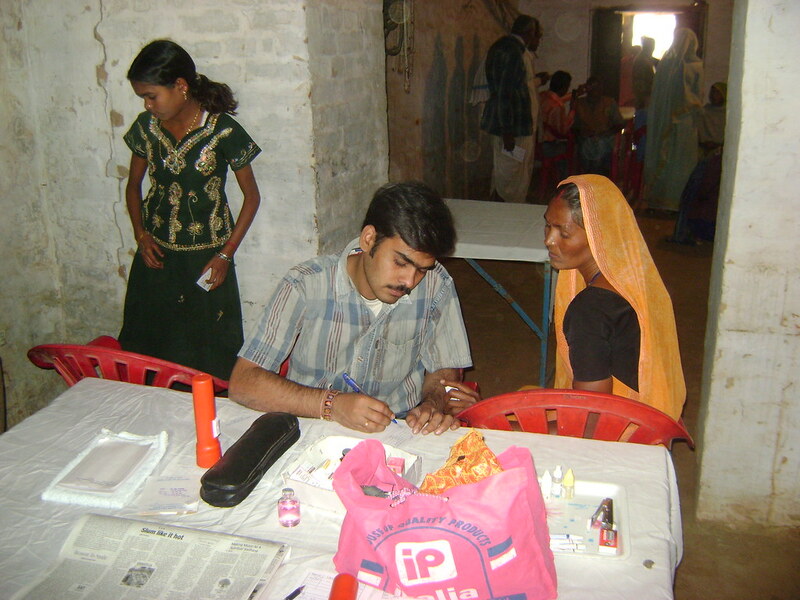 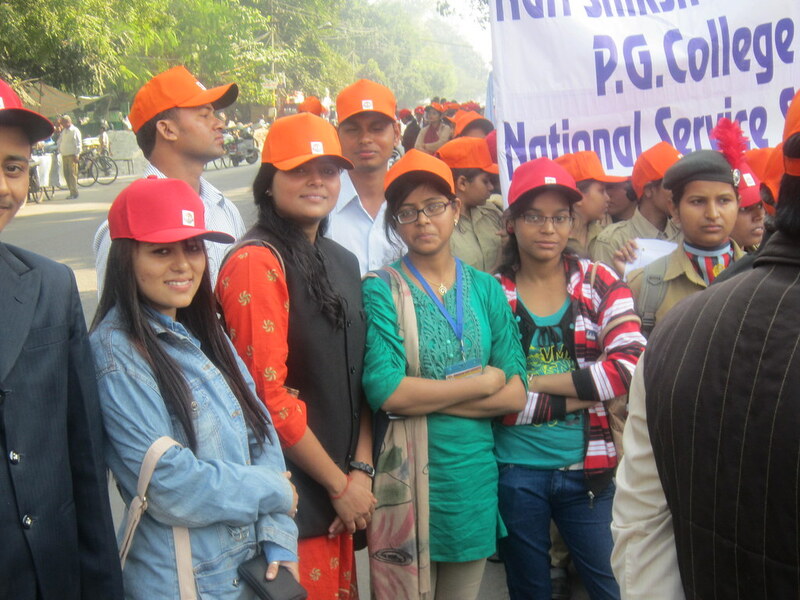 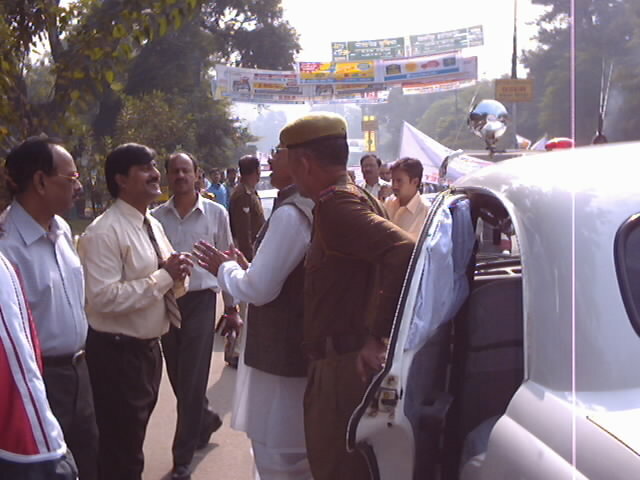 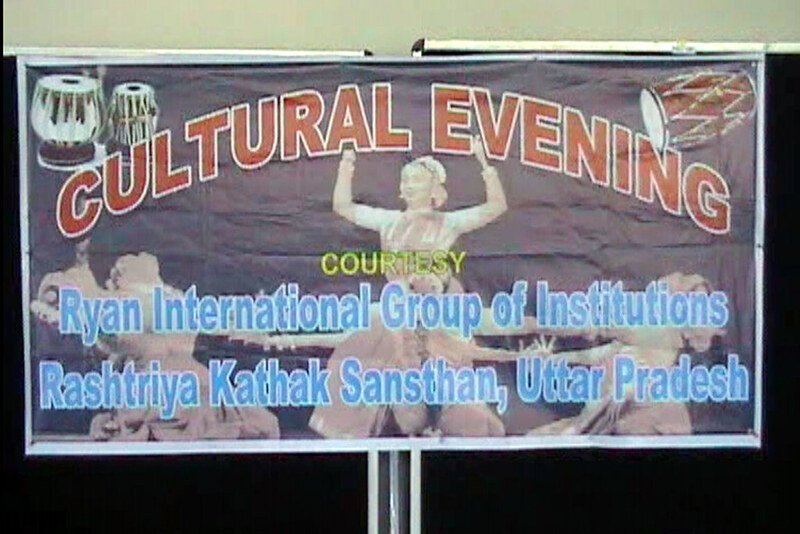 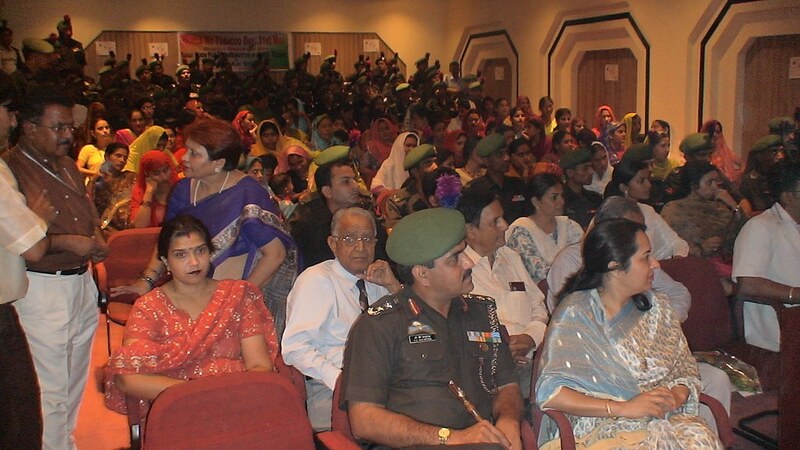 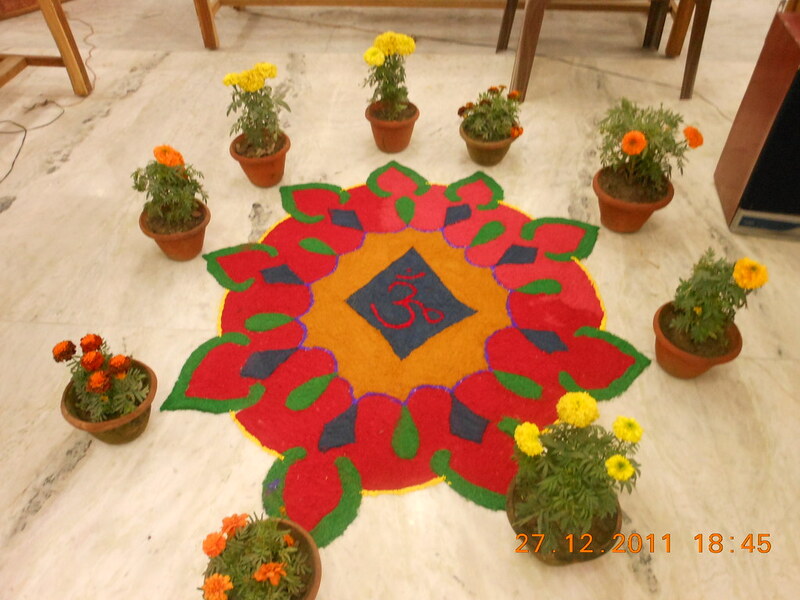 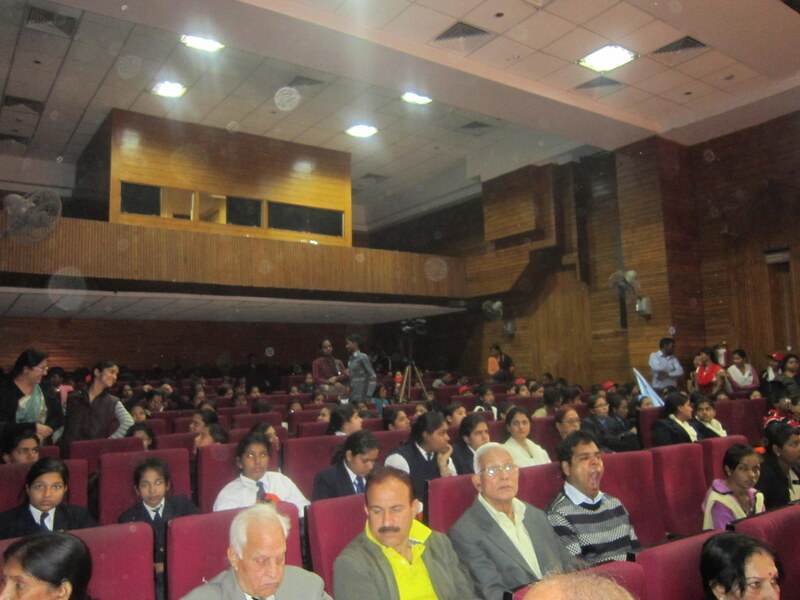 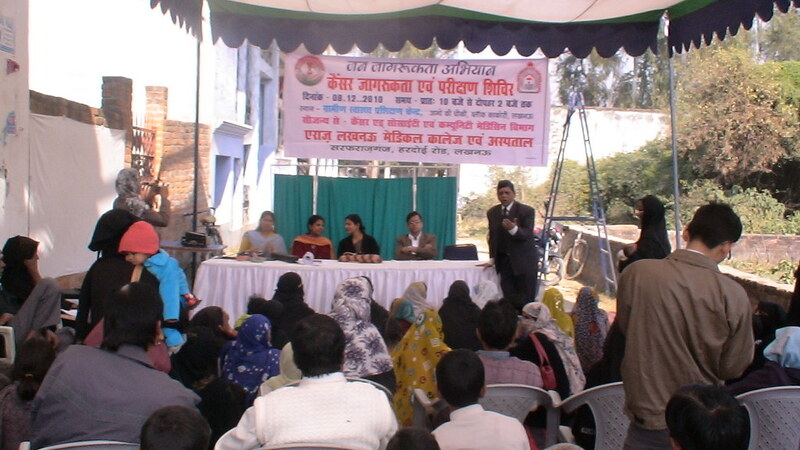 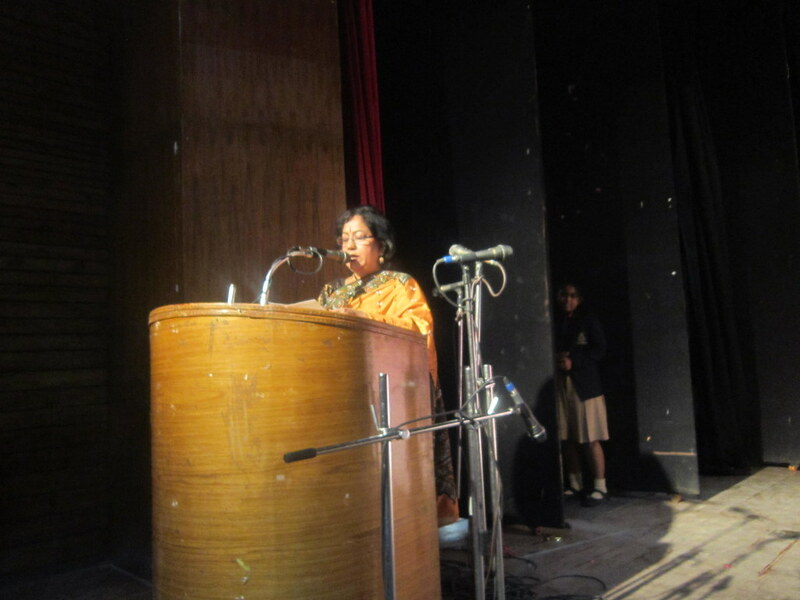 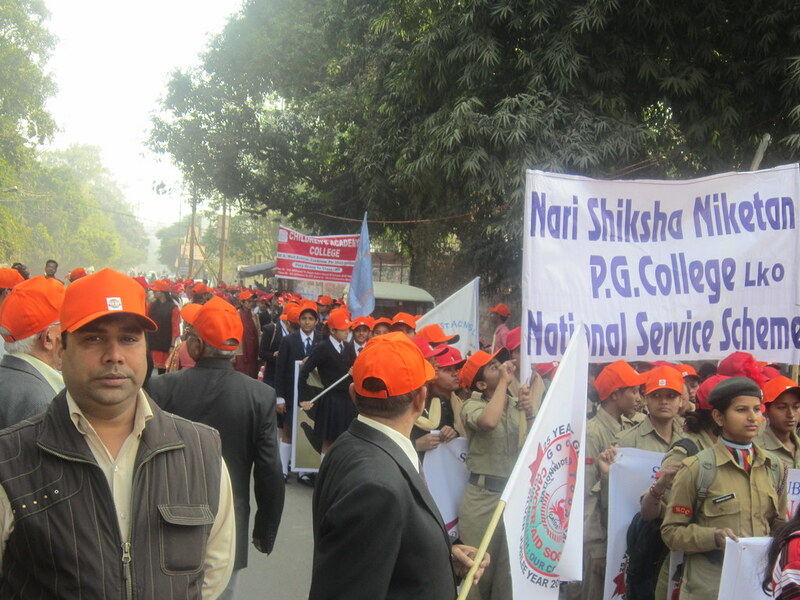 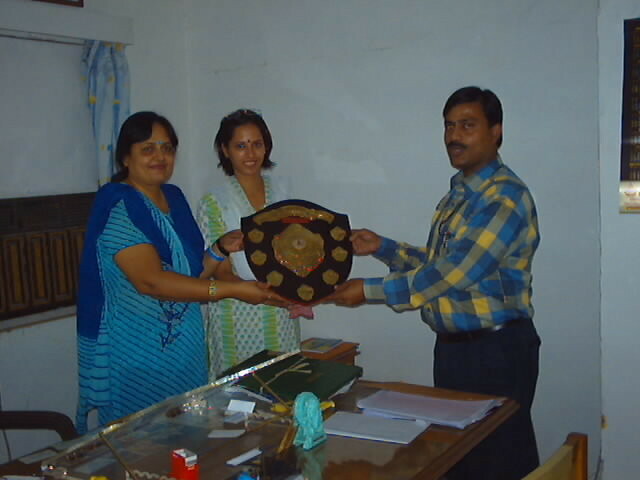 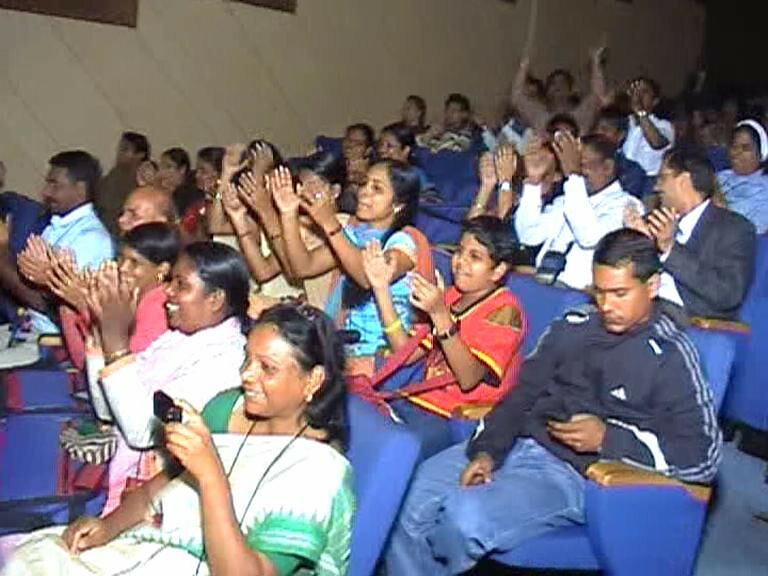 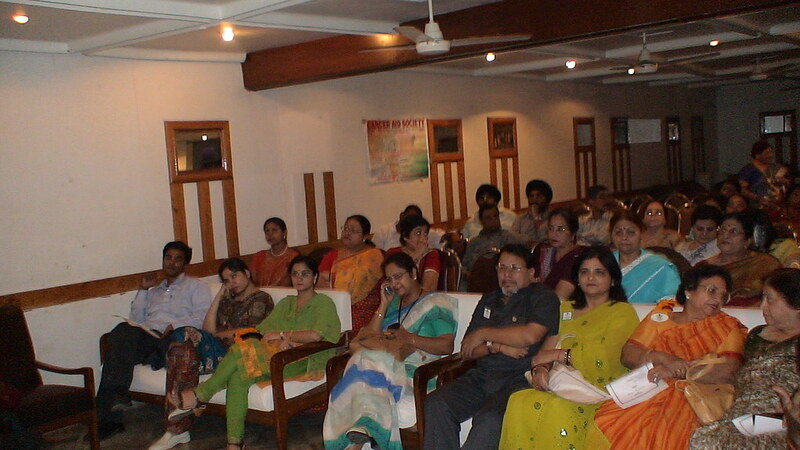 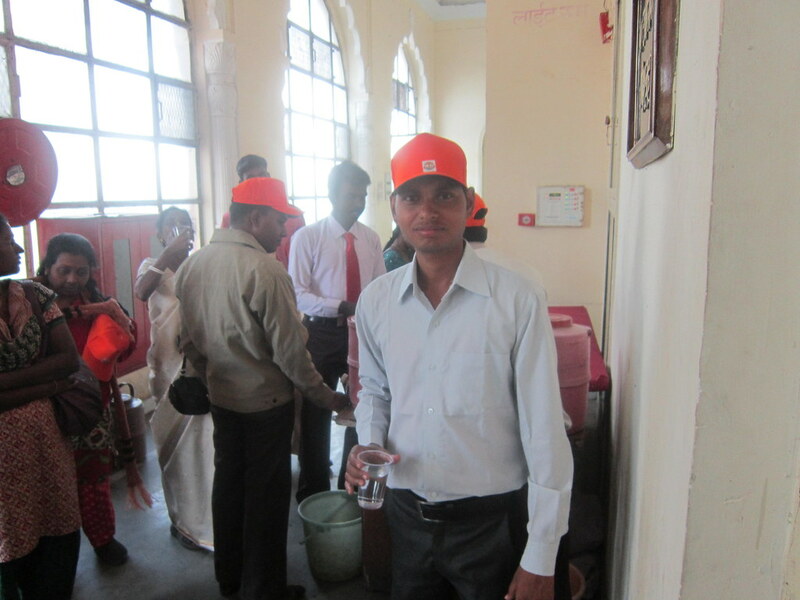 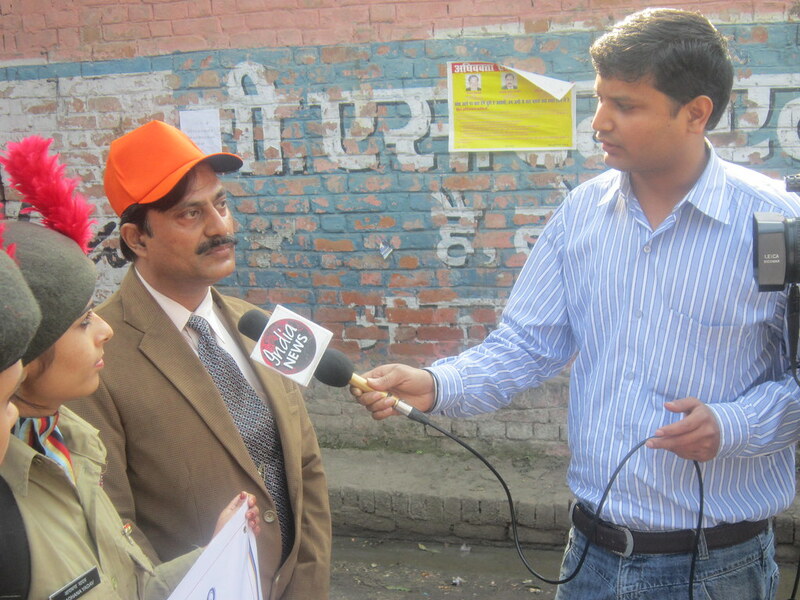 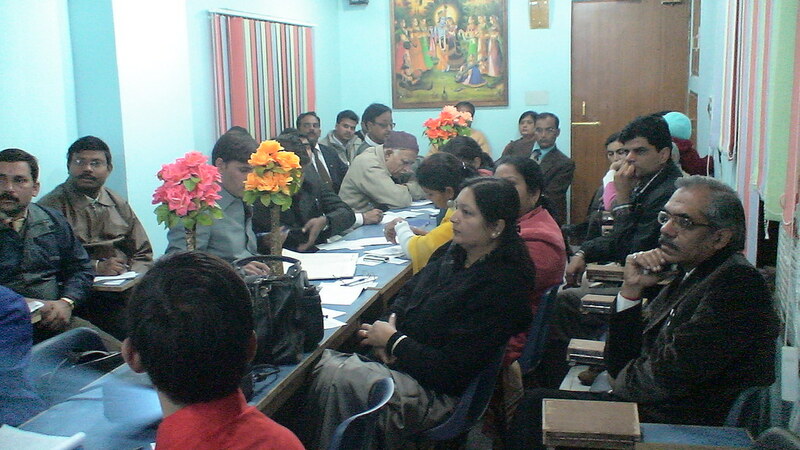 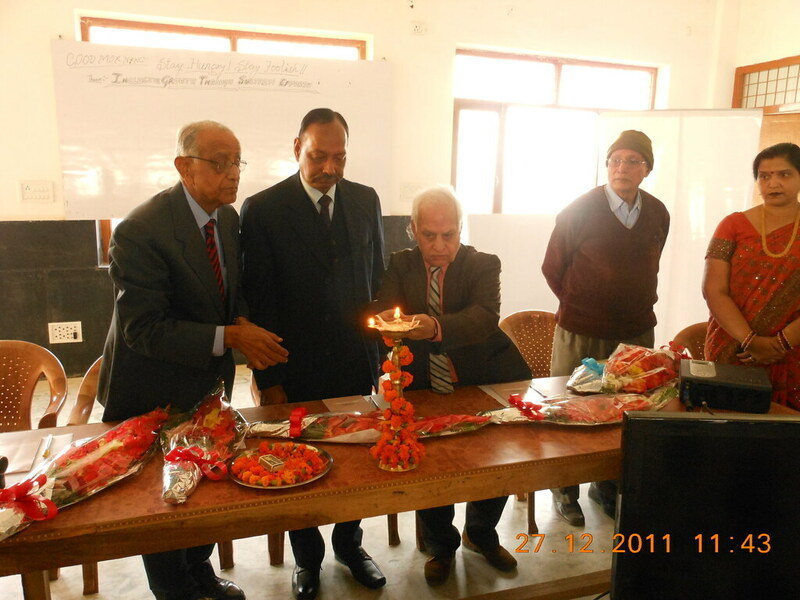 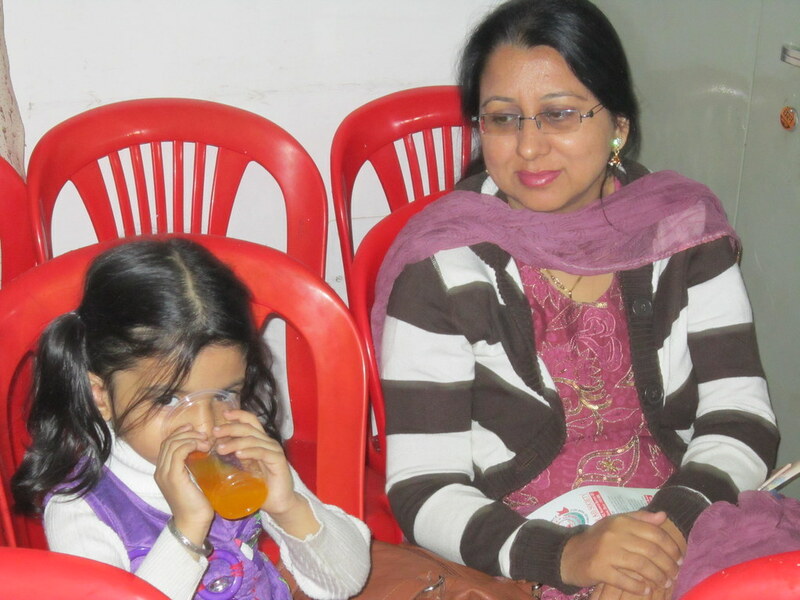 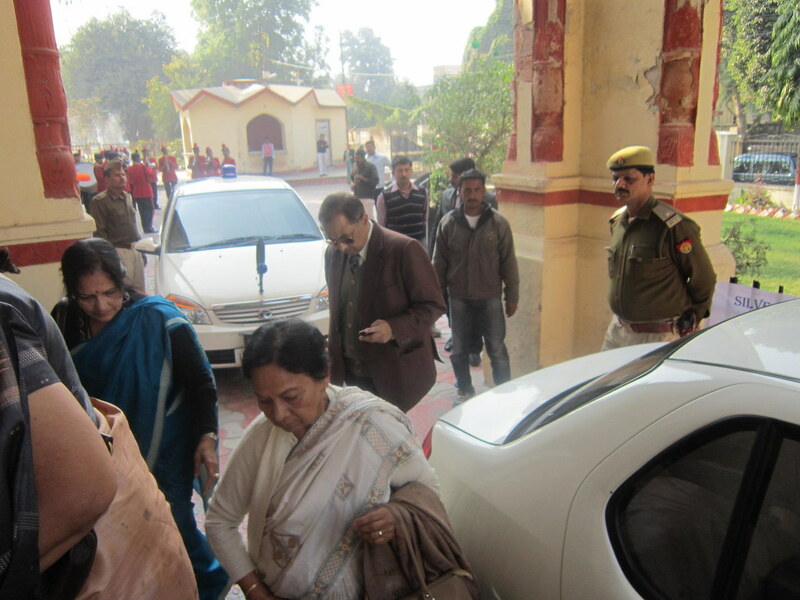 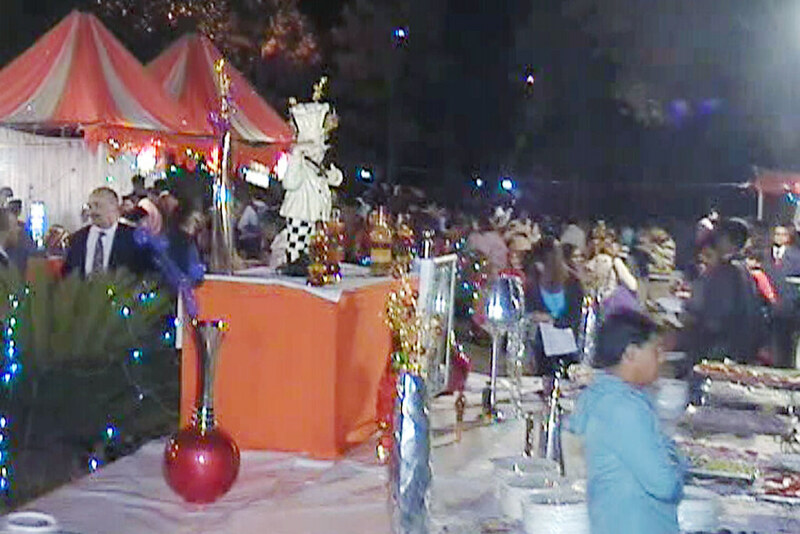 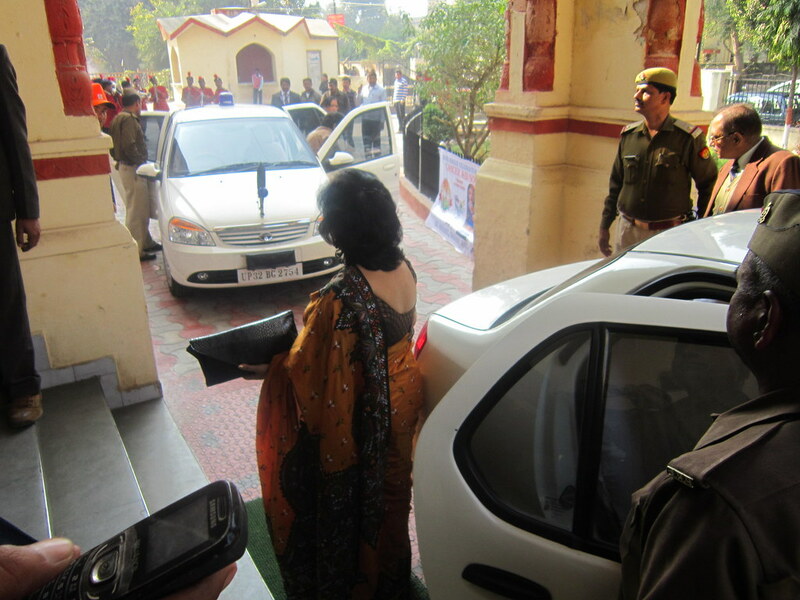 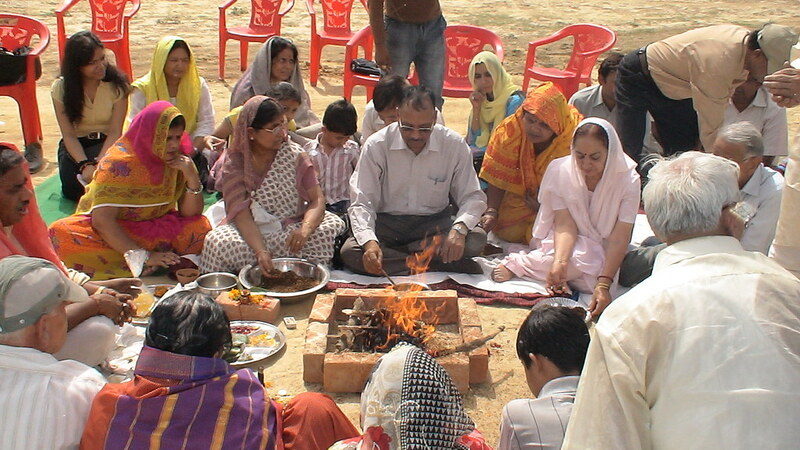 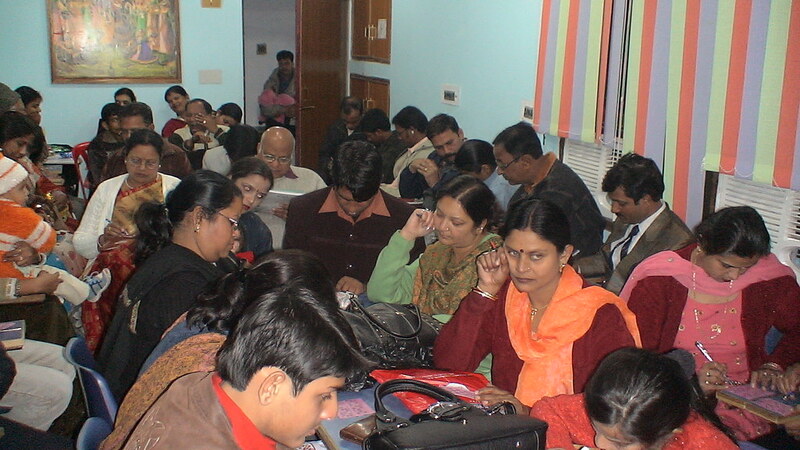 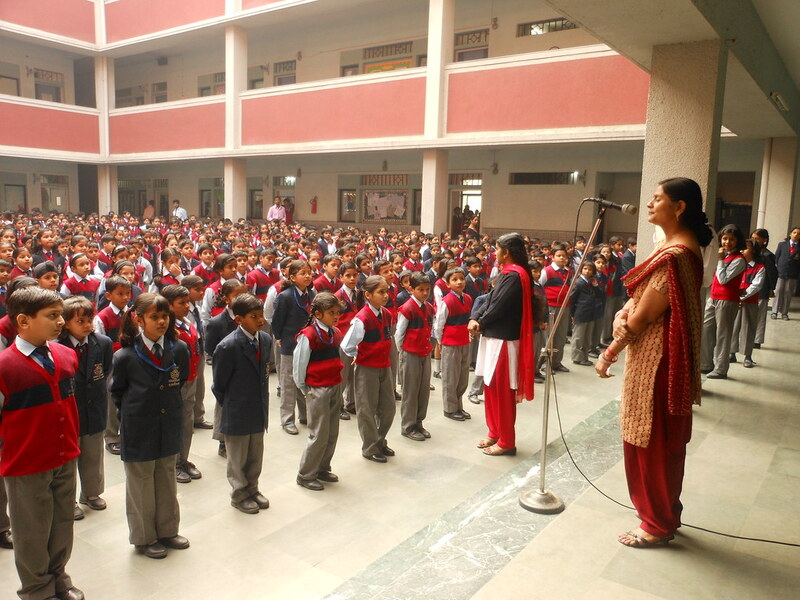 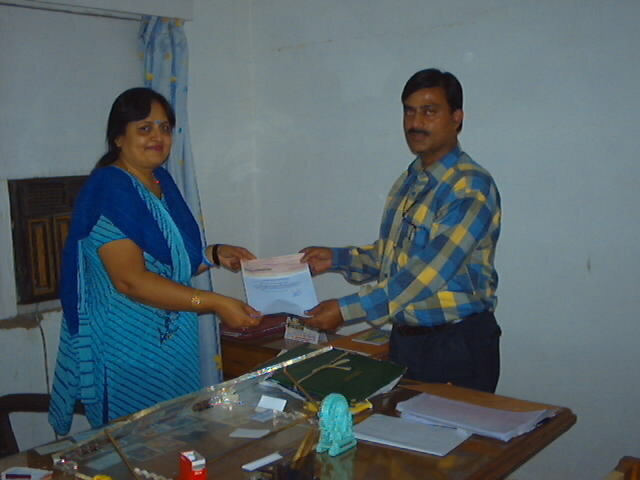 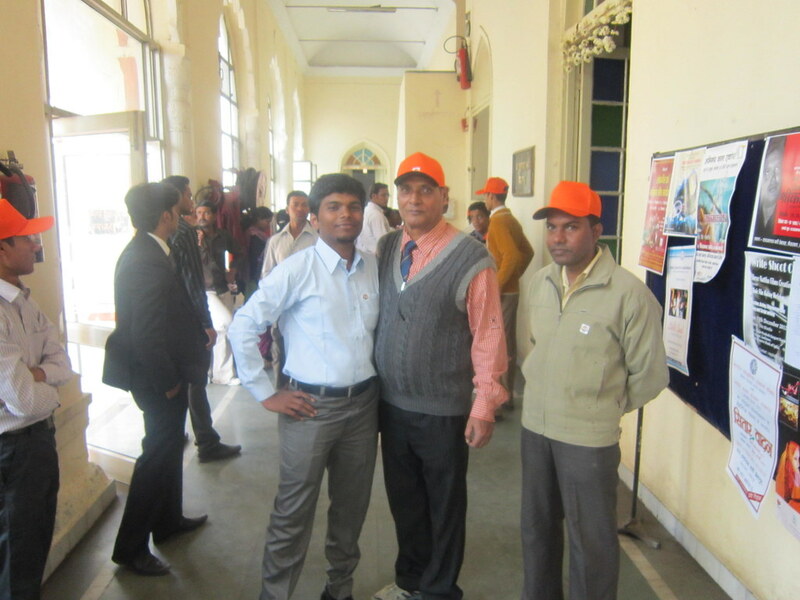 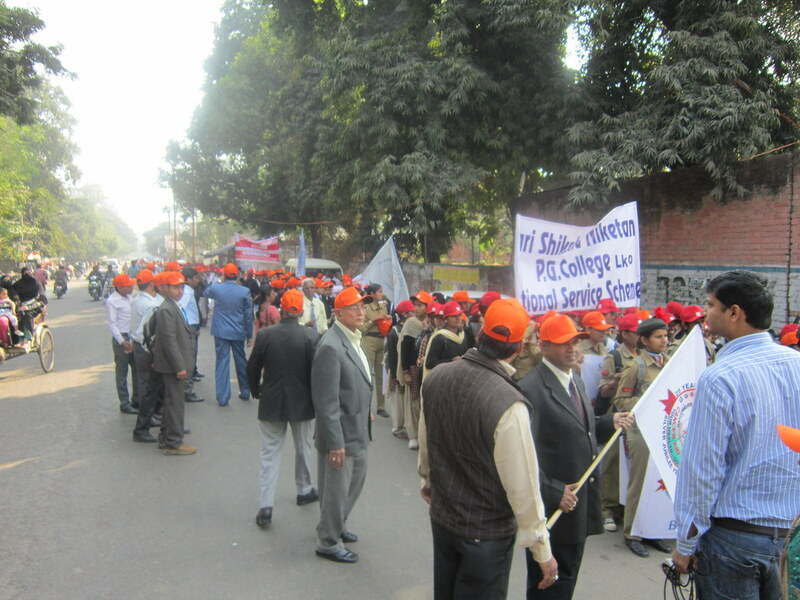 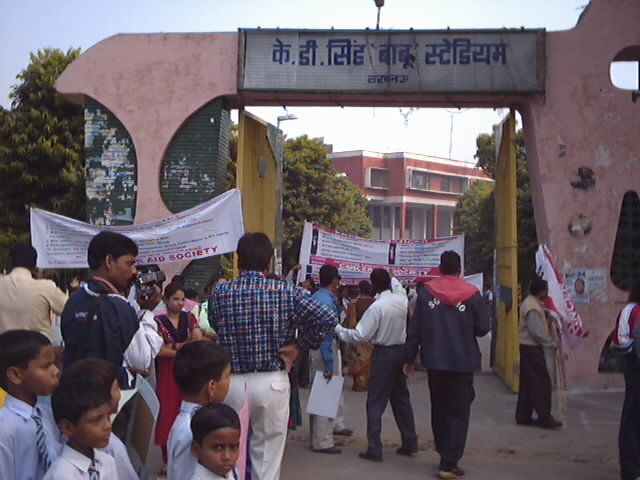 These Programs are organized by our Social Workers every year in thousands of Institutions throughout the Country in the States of U.P., Uttaranchal, M.P., Delhi, H.P., Haryana, Rajasthan, Punjab, Maharashtra, Gujarat, Andhra Pradesh, Karnataka, Tamil Nadu, Kerala, Chattisgarh, Orissa, Bihar, Jharkhand, Sikkim, Assam, Meghalaya, Arunachal Pradesh, West Bengal, Tripura, Mizoram, Andaman & Nicobar covering lakhs of students and through them millions of people. 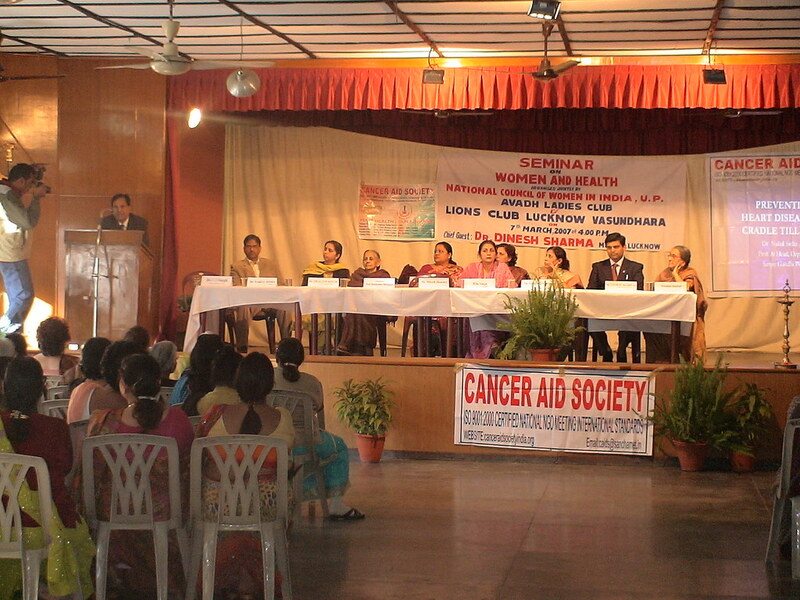 The World Cancer Declaration – 2008 was endorsed by the World Cancer Congress at Geneva in 2008 which included our President Dr. DP Gupta. 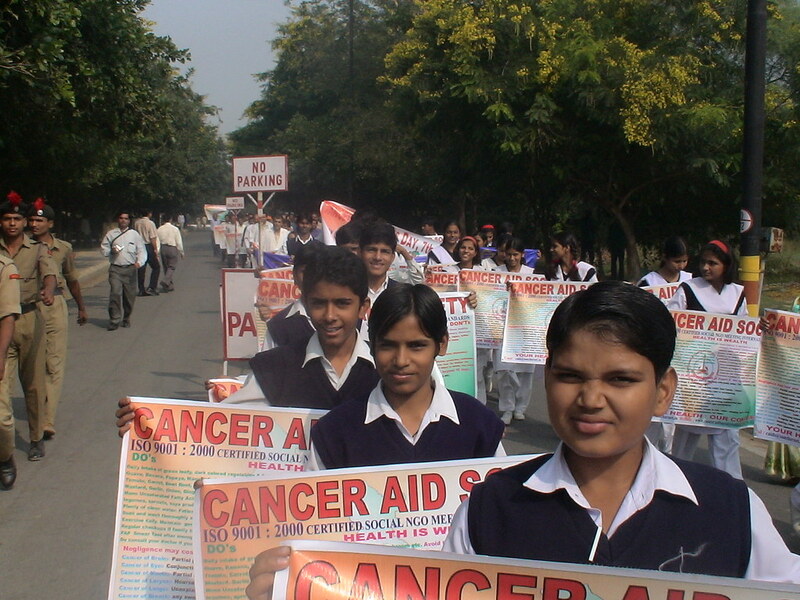 This document describes achievable targets by the year 2020 “to slow and ultimately reverse the growth in deaths from Cancer by committing to the targets …”. 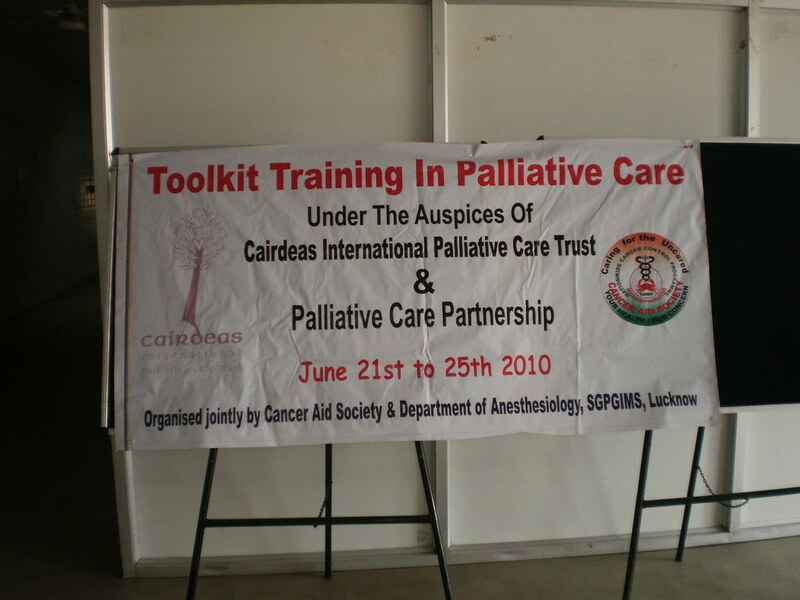 In September 2011, we participated in the High Level Meeting for the Prevention and Control of Non Communicable Diseases at United Nations New York where the Governments signed a Political Declaration. 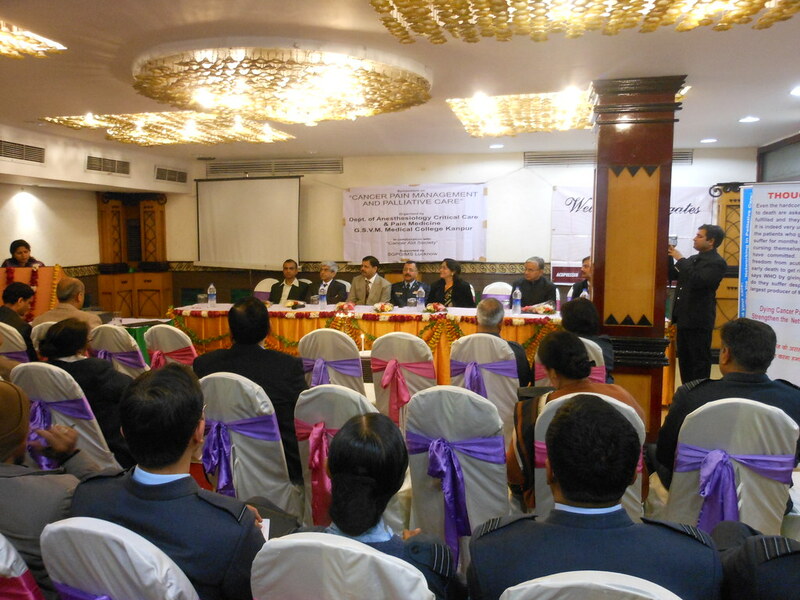 Thereafter we were awarded Special Consultative Status with the United Nations Economic and Social Council in 2012. 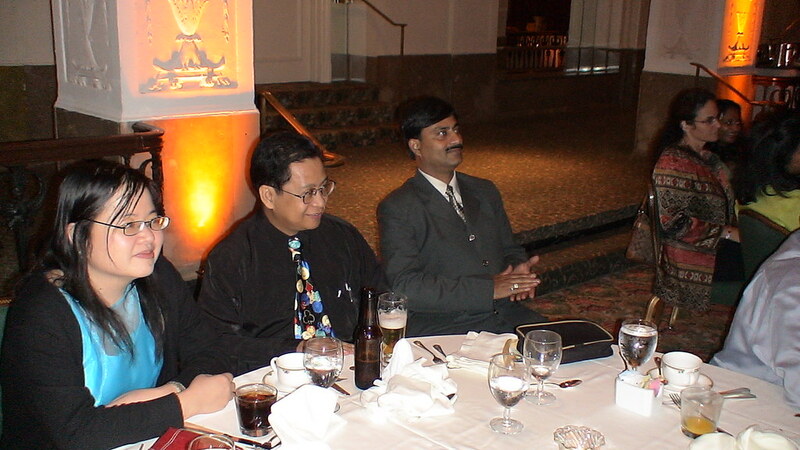 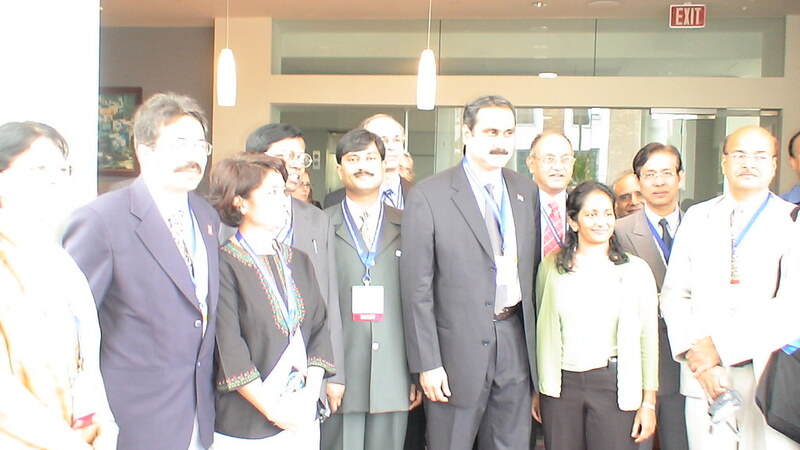 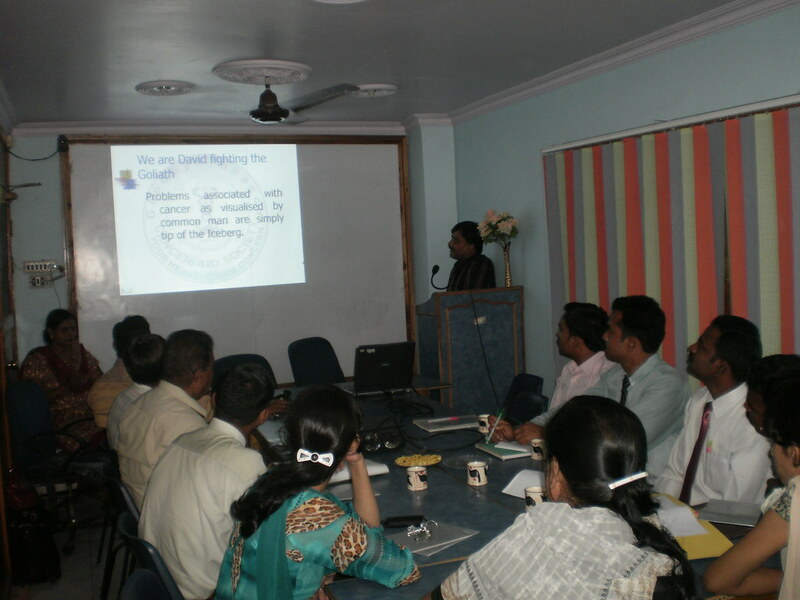 NCD Review Meeting in 2014 at United Nations New York was also attended by us. 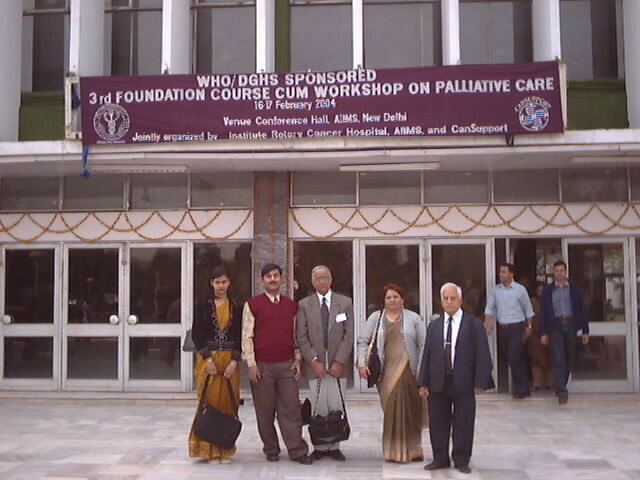 In April & November 2015 we participated in the Dialogues on NCDs at WHO Headquarters Geneva. 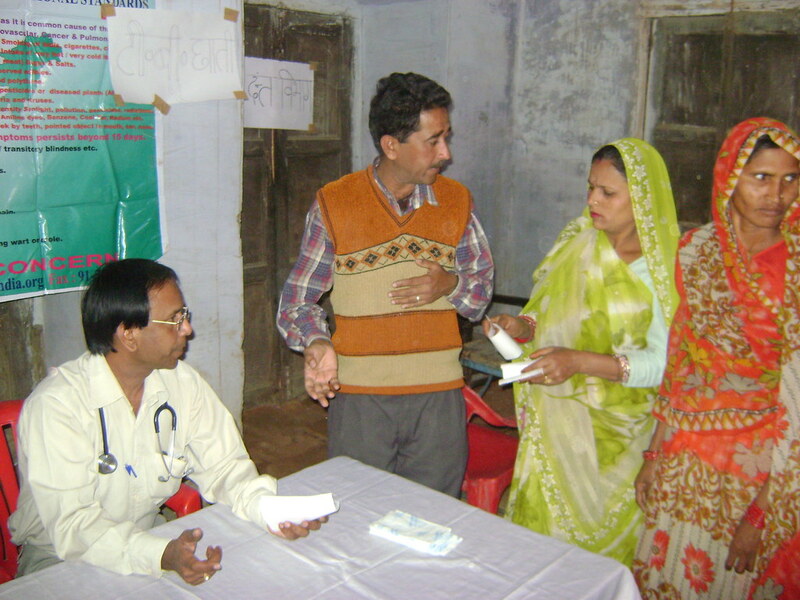 In 2015 United Nations adopted the Sustainable Developments Goals 2030 in which Goal No.3 is “Good Health and Well Being”. 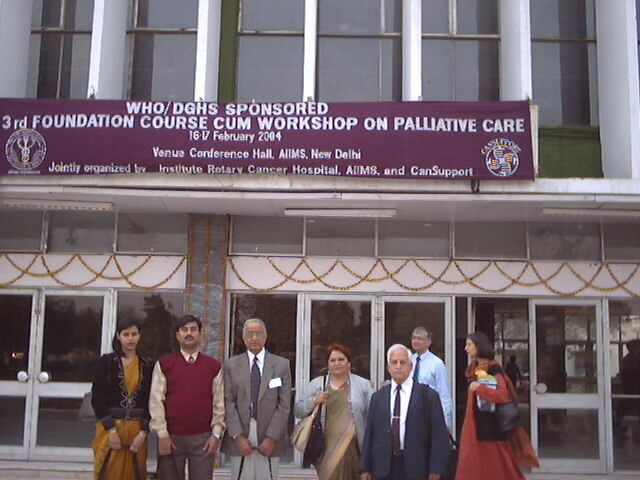 In 2016 & 2017 we participated in WHO Conferences at Mauritius and Uruguay under Global Coordination Mechanism on NCDs apart from several National & International Conferences. 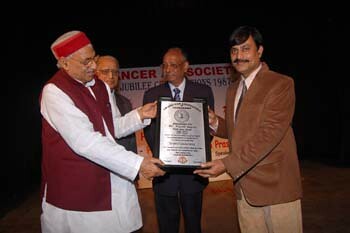 Our Principal Executive Officer Dr. Piyush Gupta is recipient of Jewel of India award and our Director Ms. Neha Tripathi has received the title of “World Young Cancer Leader” by Union for International Cancer Control and has been Chair Abstract Committee of World Cancer Congress 2018 at Malaysia Organised by Union for International Cancer Control. 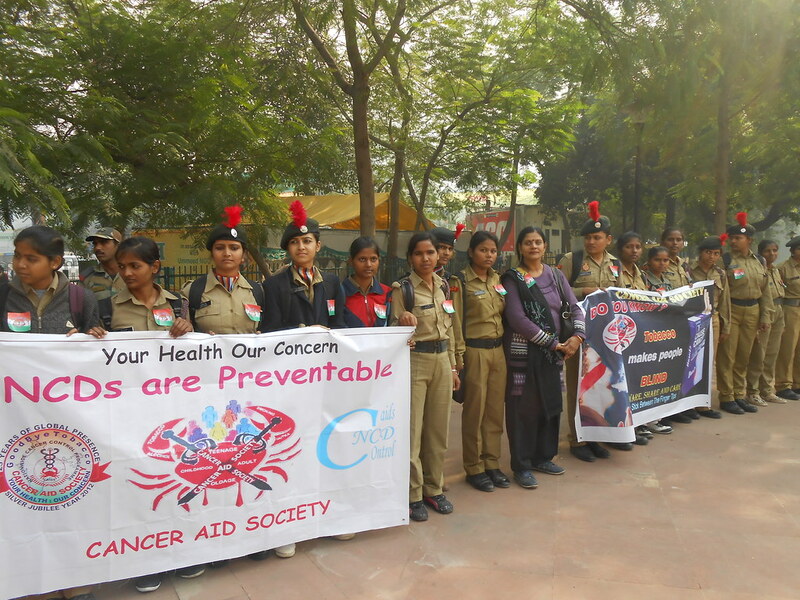 In spite of the imminent threat to the Humanity posed by NCDs; effort is lacking in our Country as well as Globally on their prevention whereas in fact they are basically lifestyle diseases which can be easily avoided. 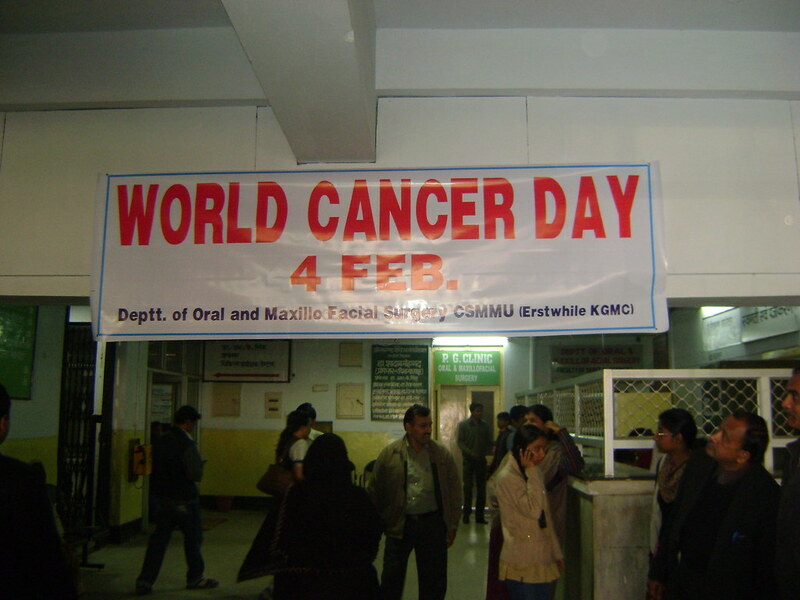 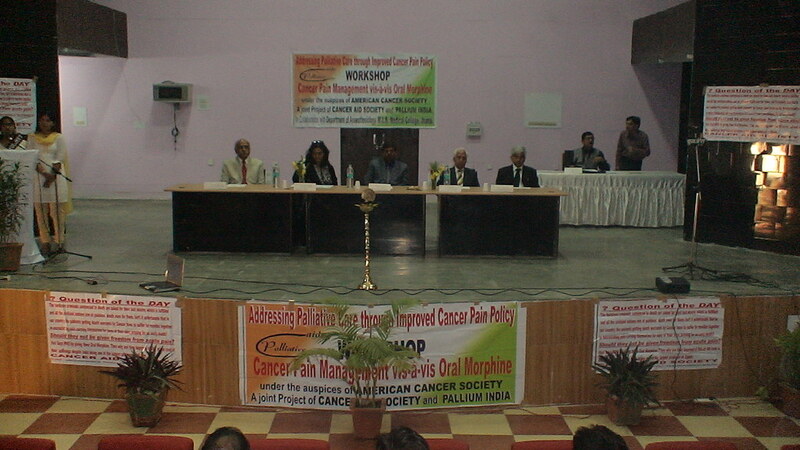 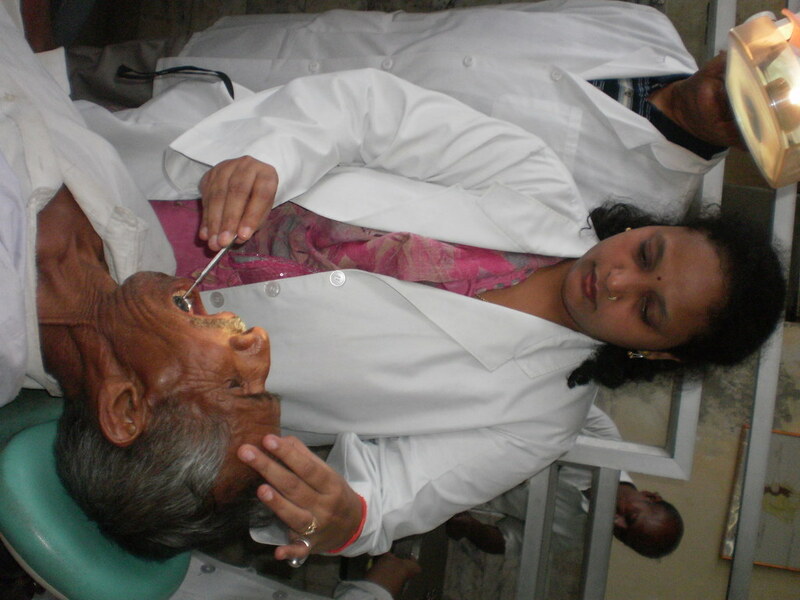 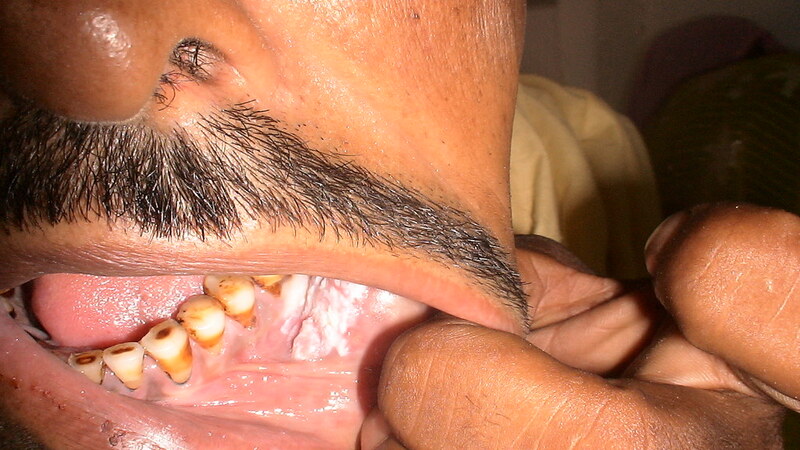 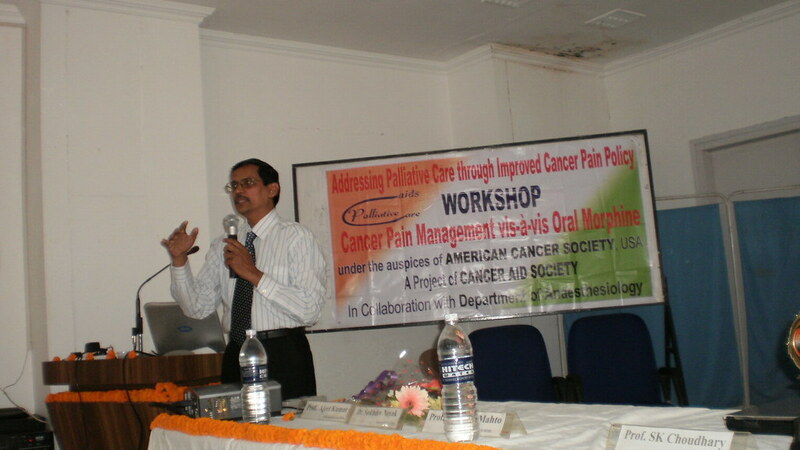 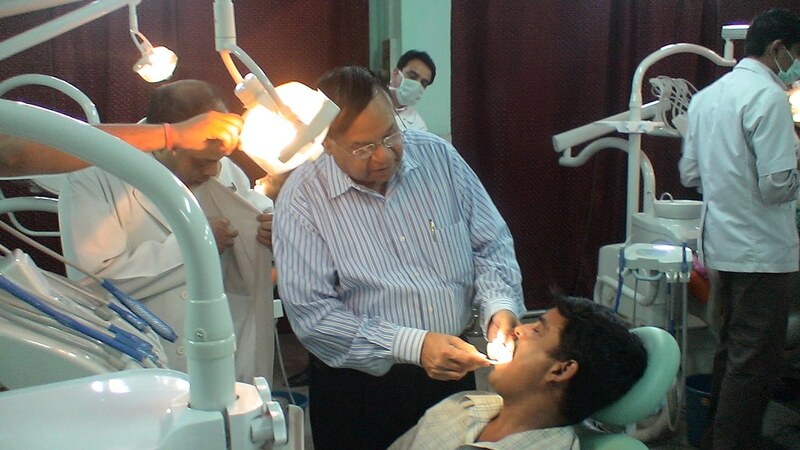 As of know the incidence of Cervix and Breast Cancer are very high among females whereas Oral Cancer leads in Males. 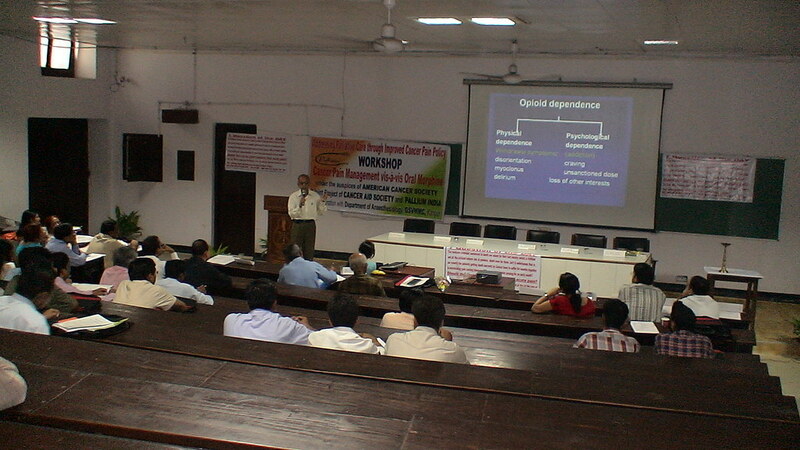 Cardiovascular Diseases, Chronic Respiratory Tract Diseases, Diabetes etc. 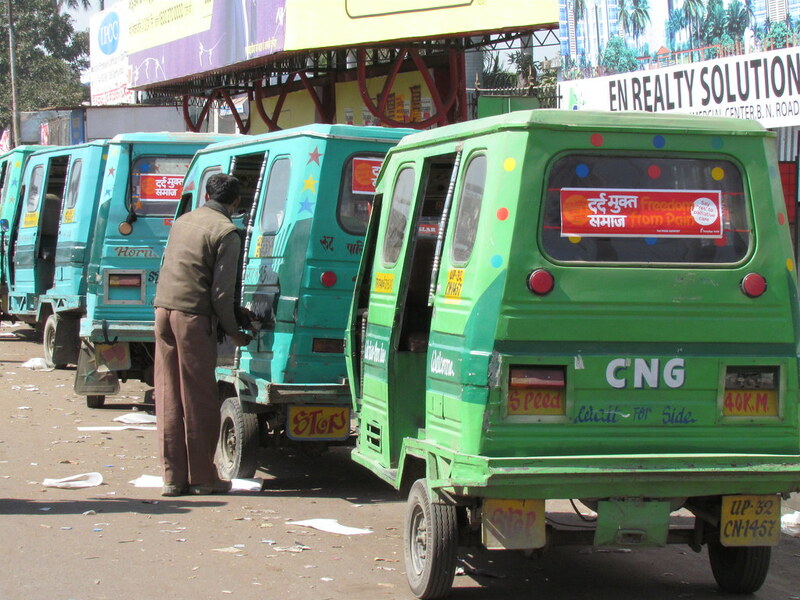 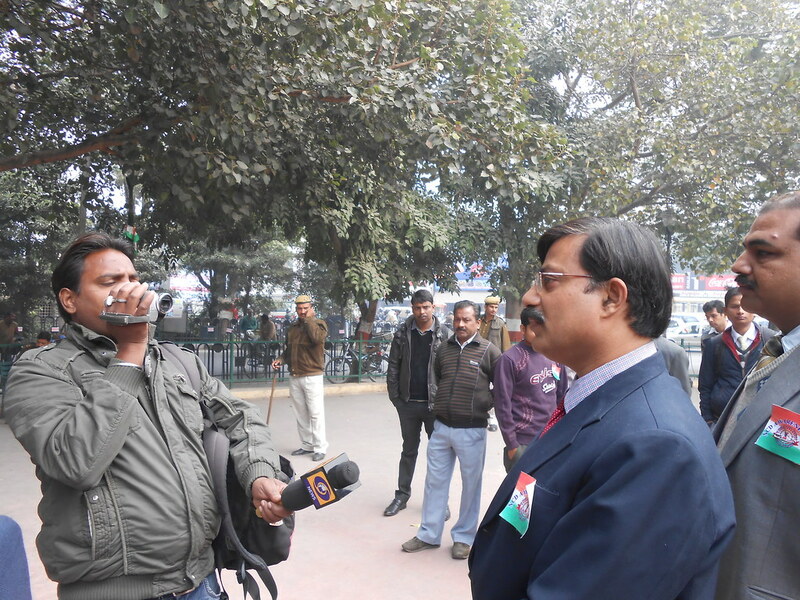 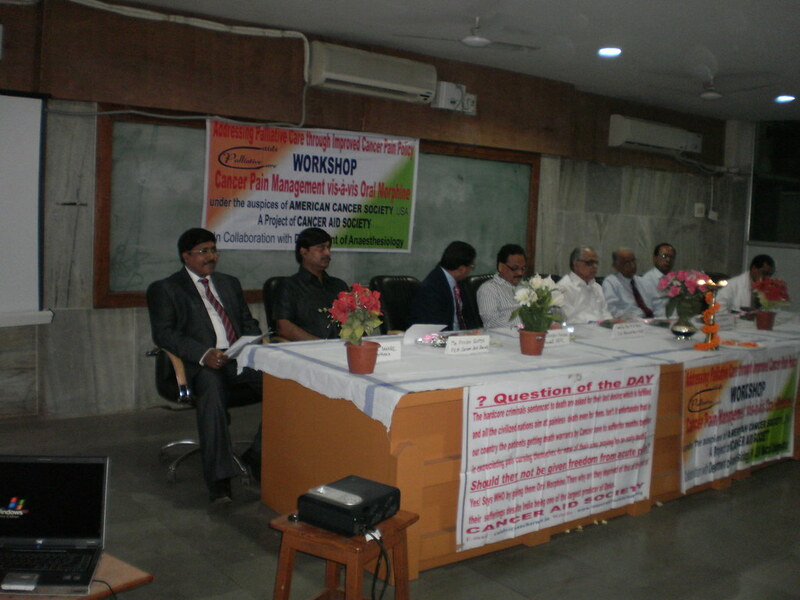 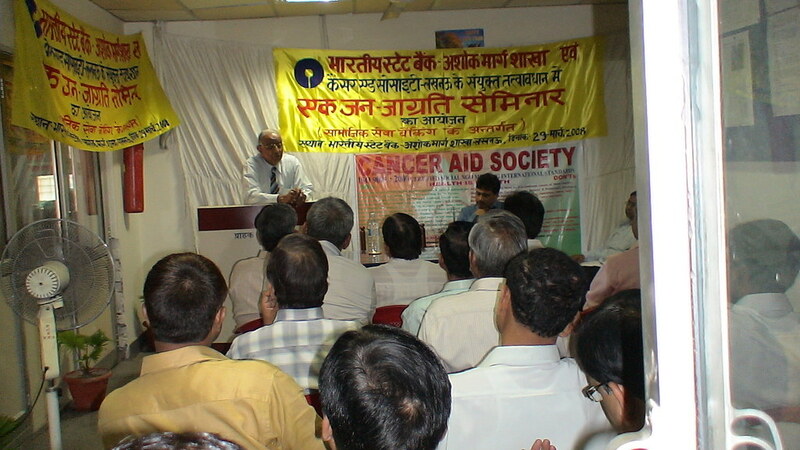 are common to both however efforts are lacking by Government and Non Government Organisations. 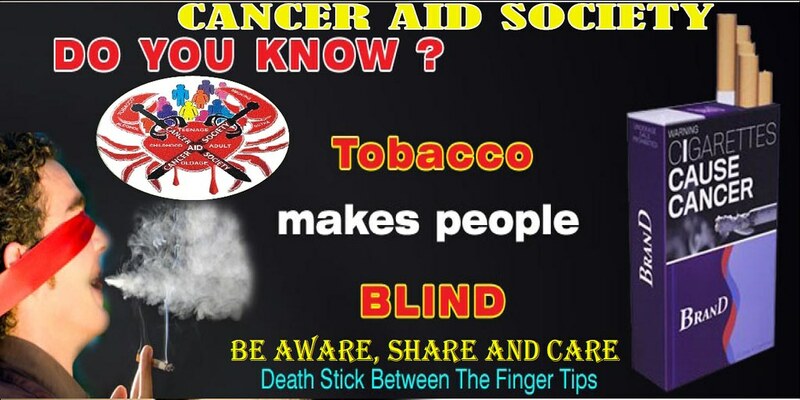 In absence of finances and lack of will power to tackle the imminent threat from NCDs; the situation has become grave as there are no takers to invest on NCDs hence we lack NGOs in fight against Cancer and other Non Communicable Diseases in absence of resources. 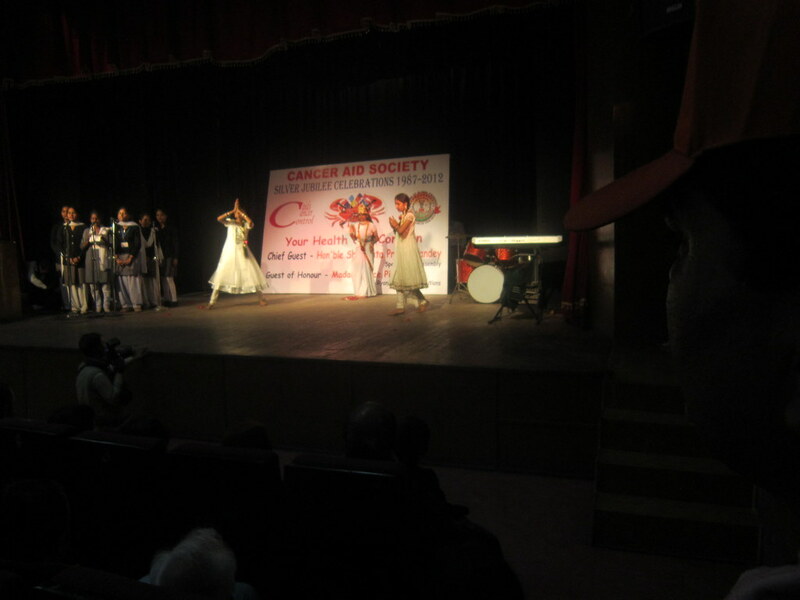 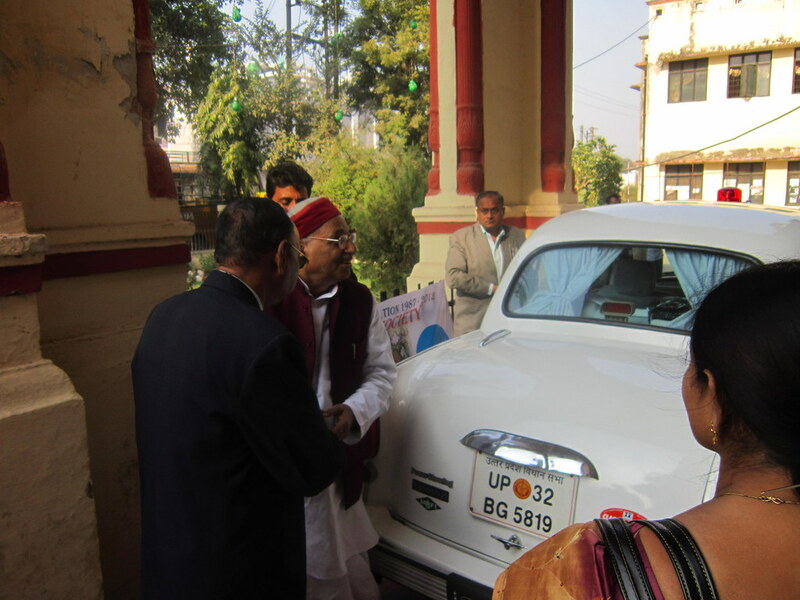 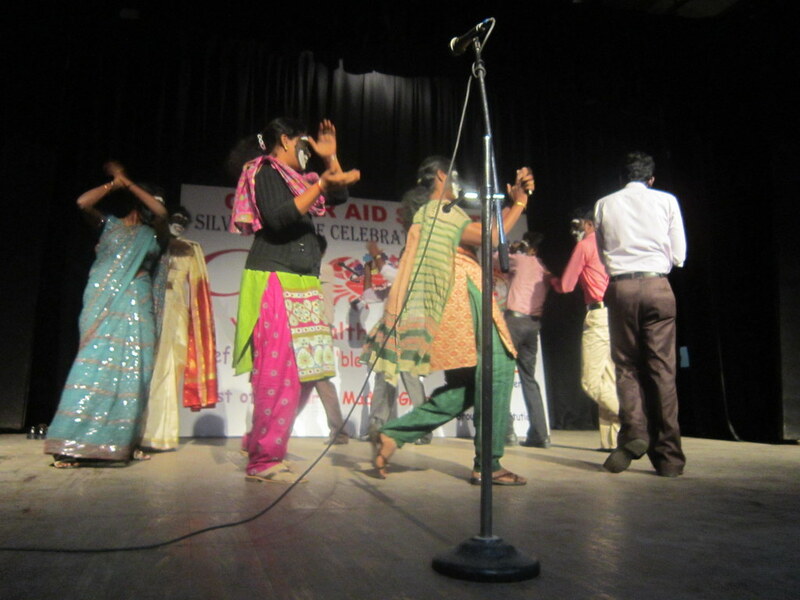 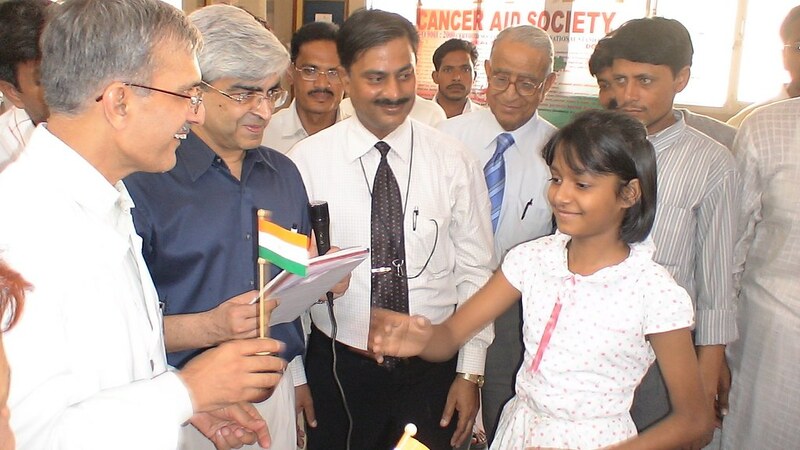 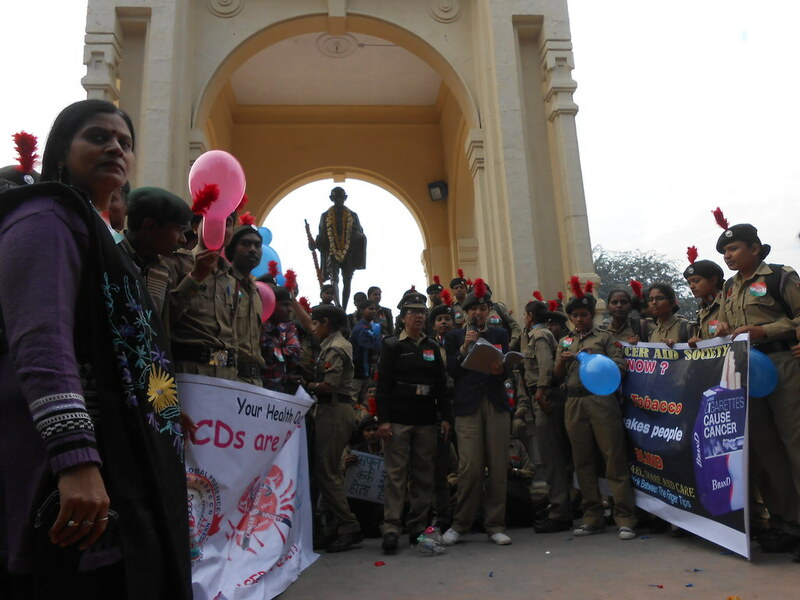 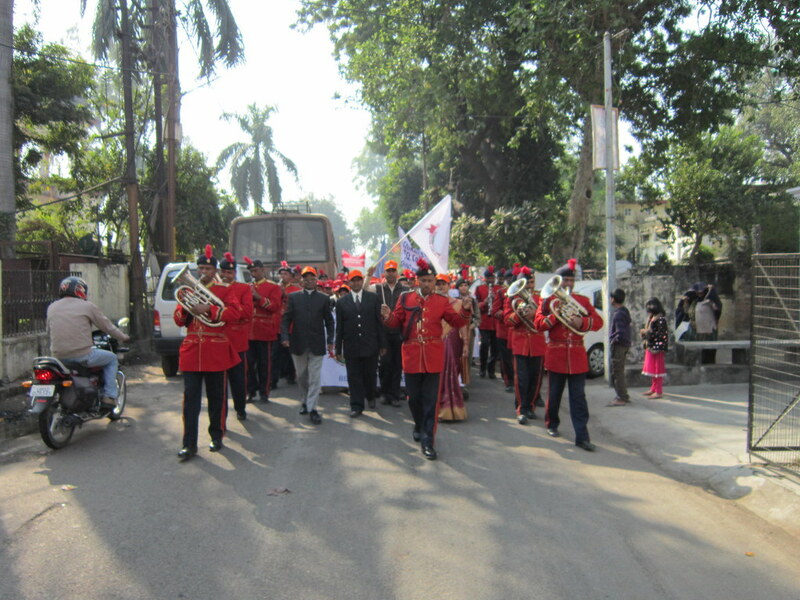 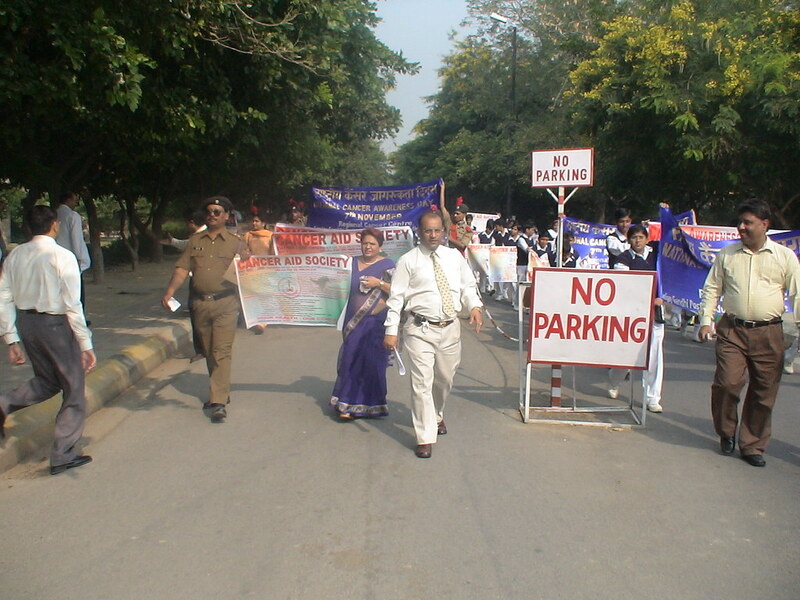 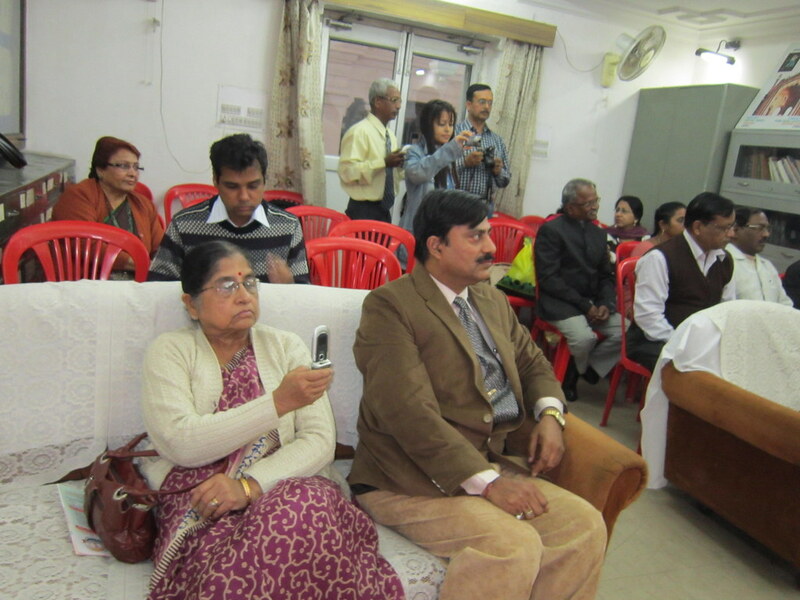 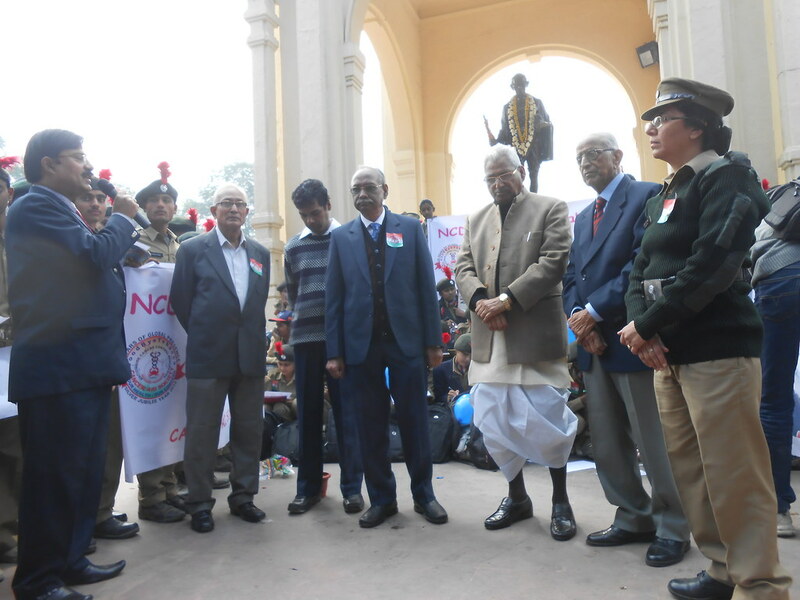 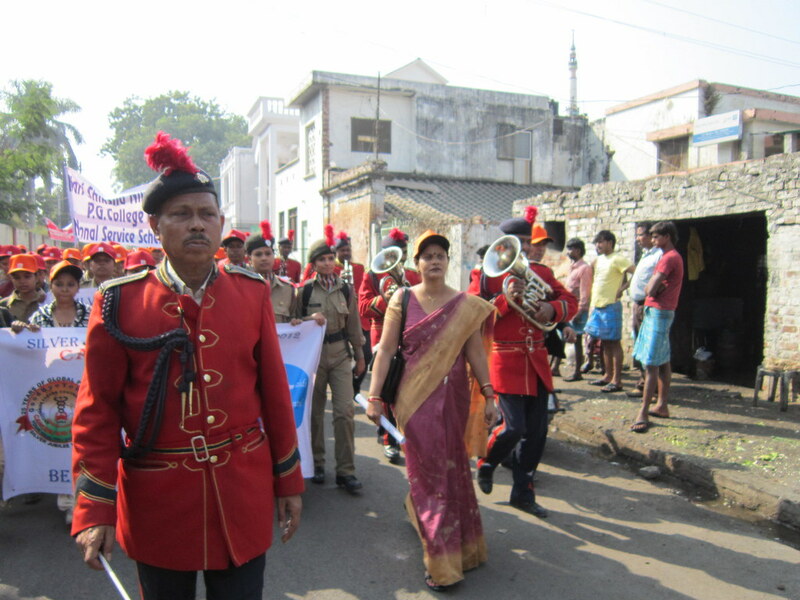 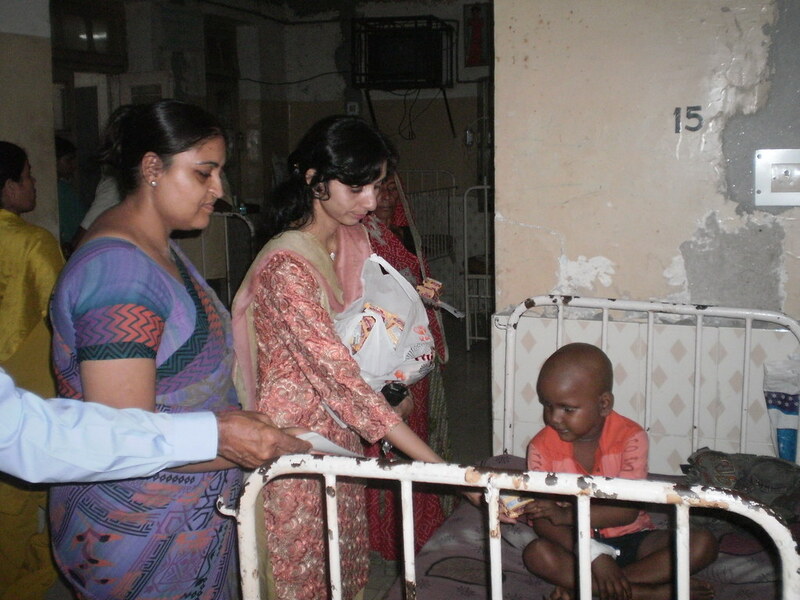 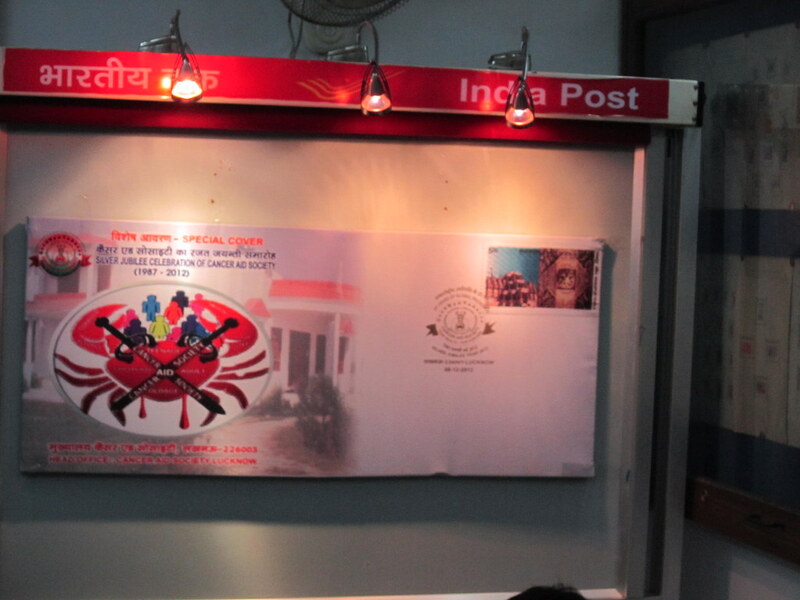 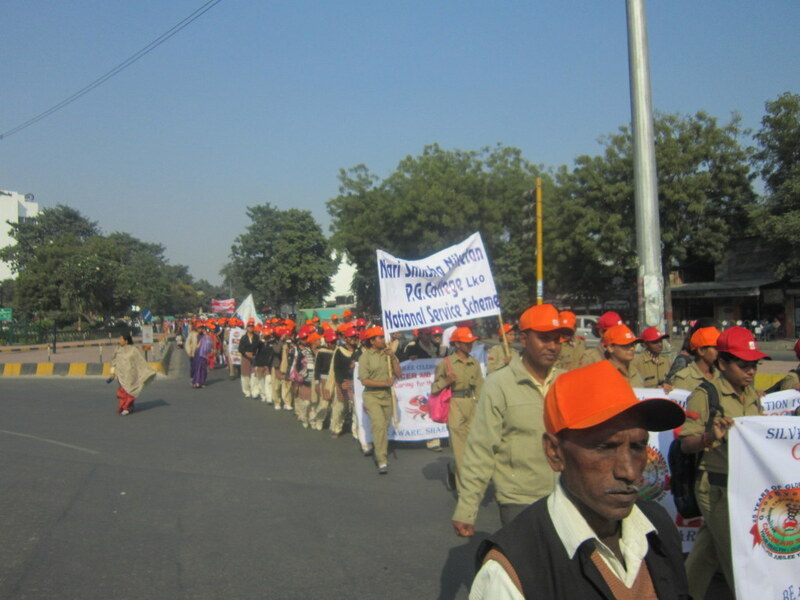 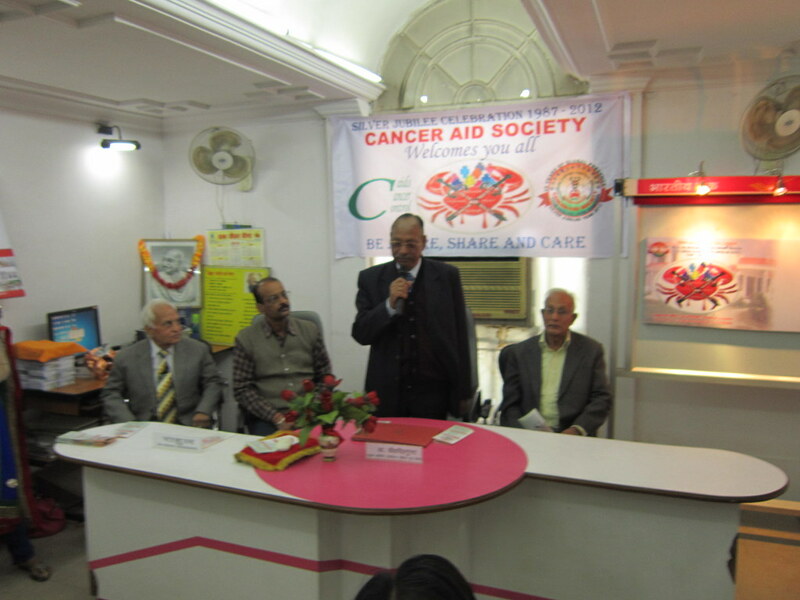 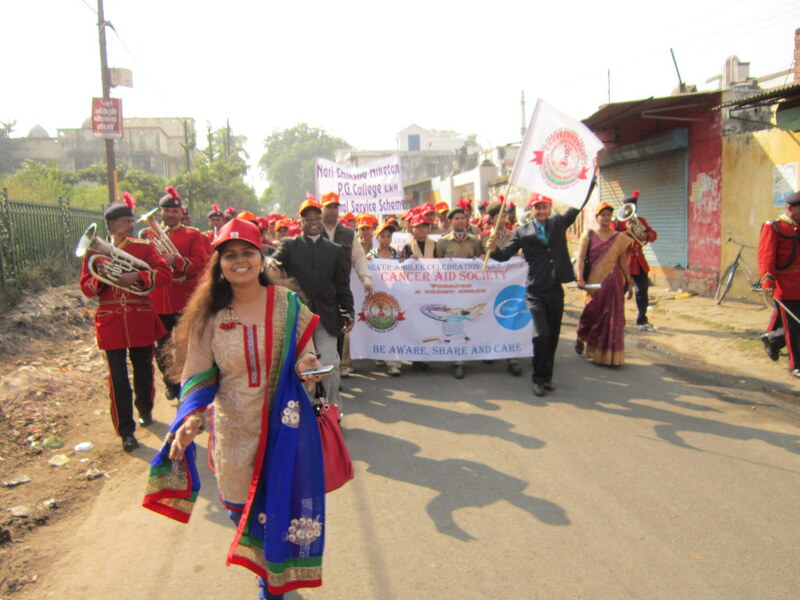 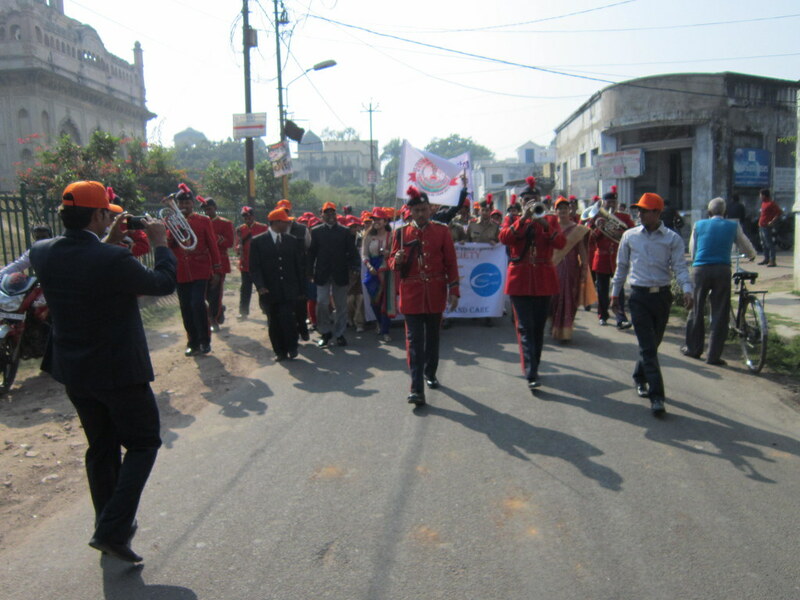 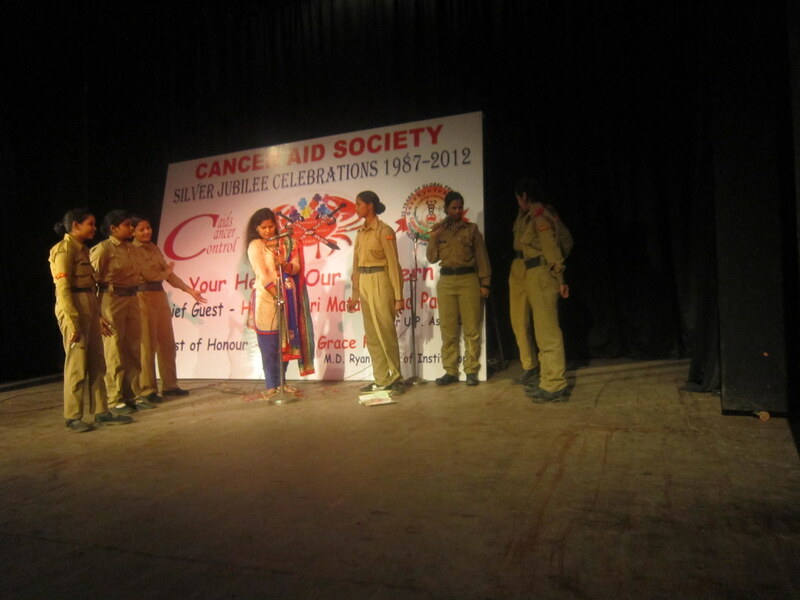 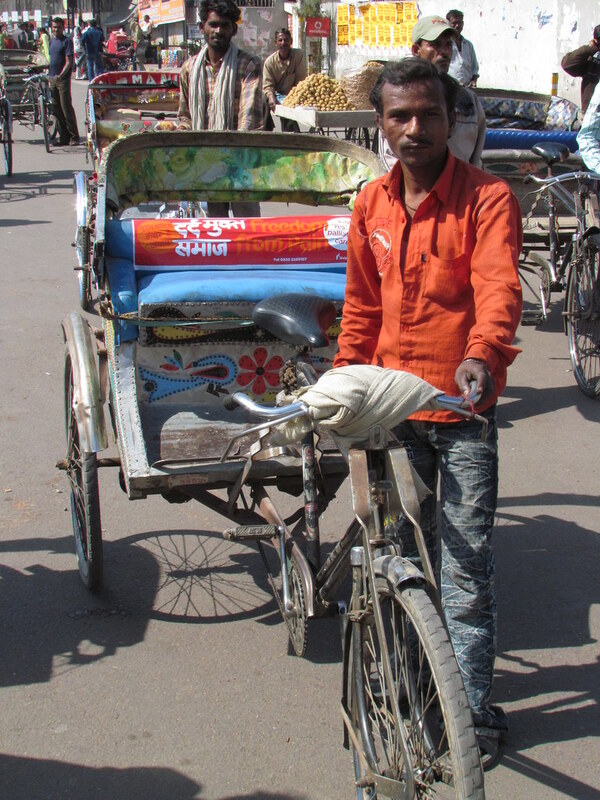 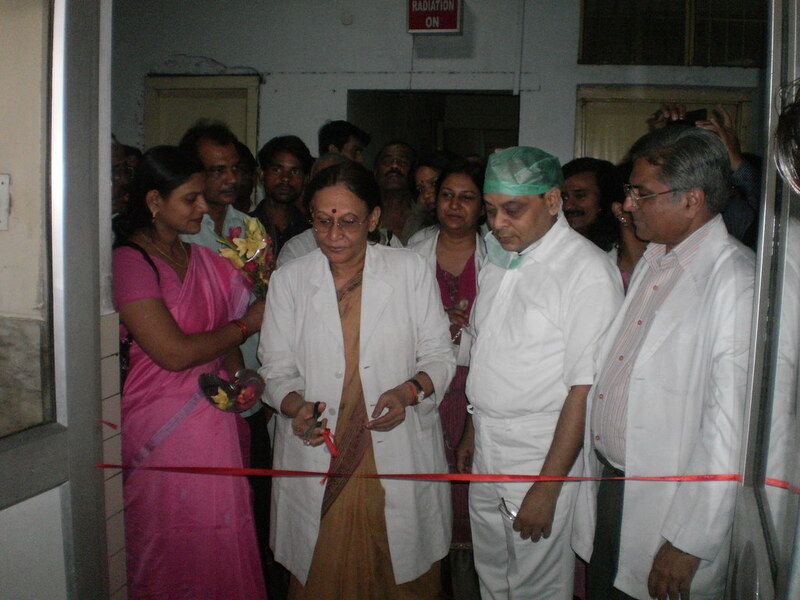 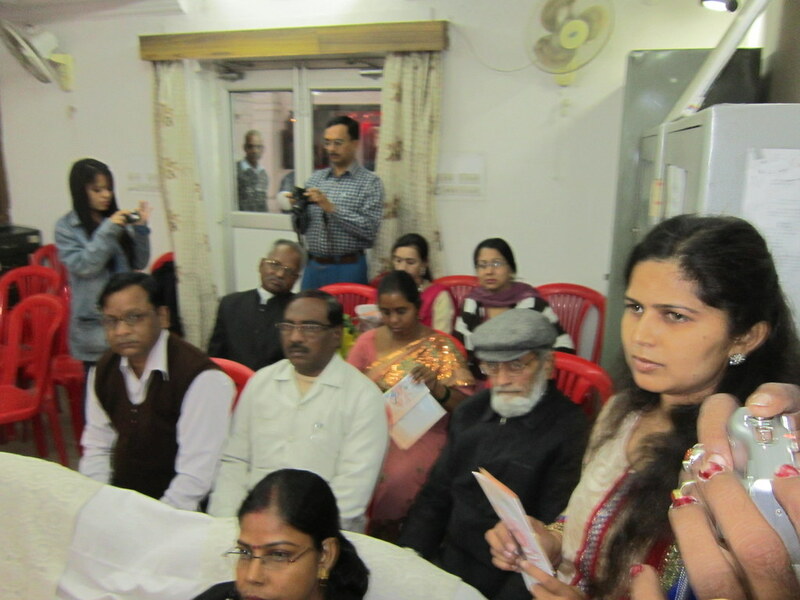 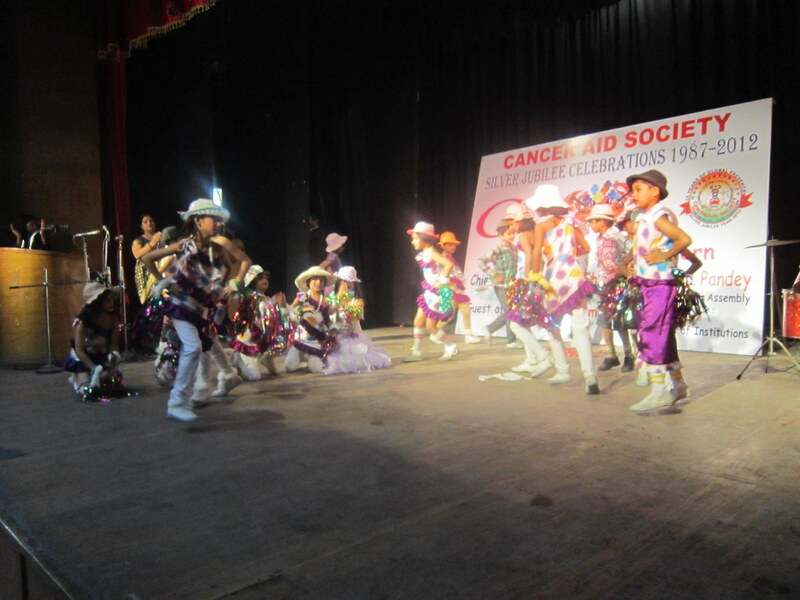 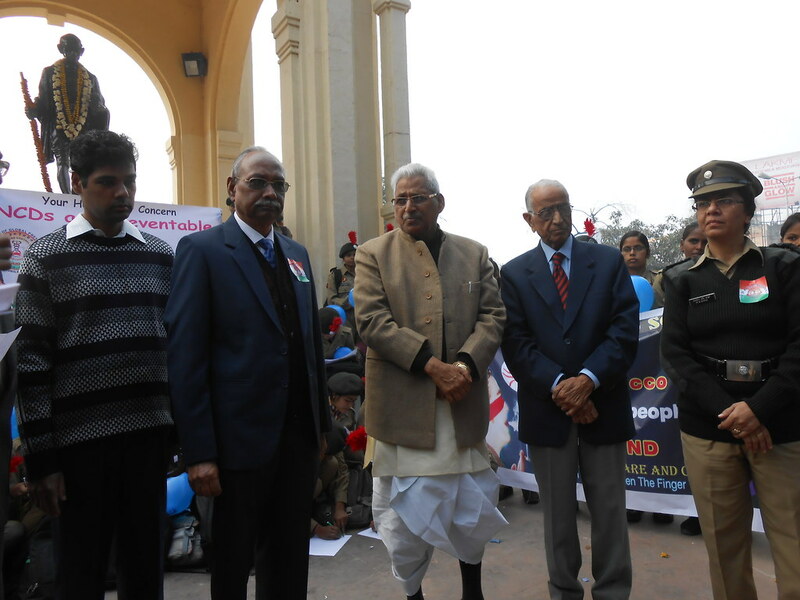 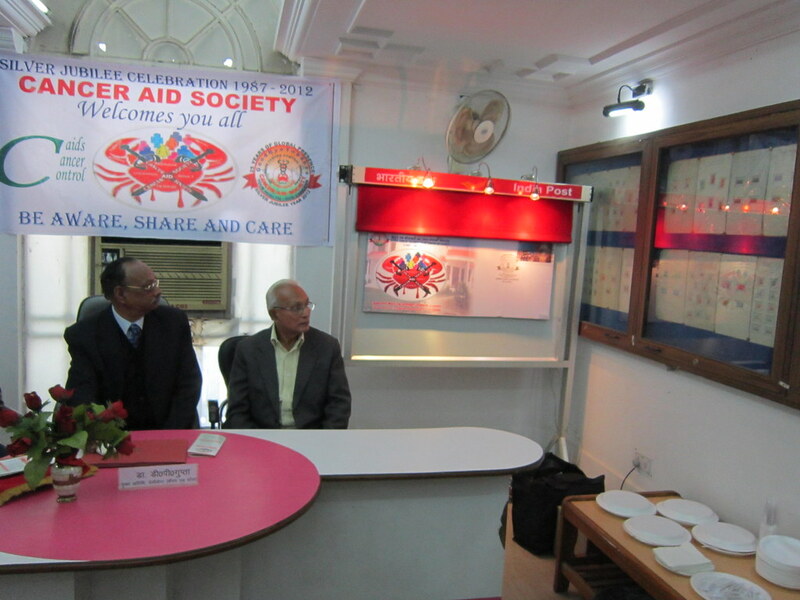 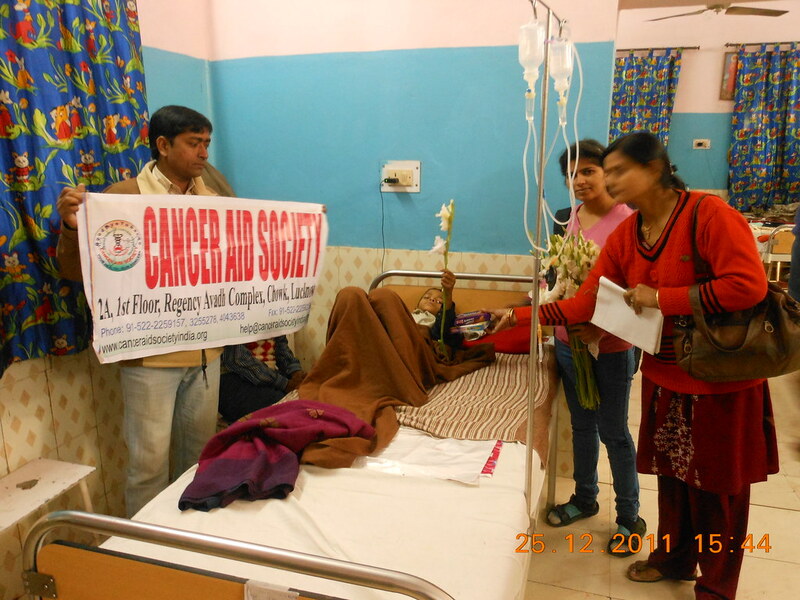 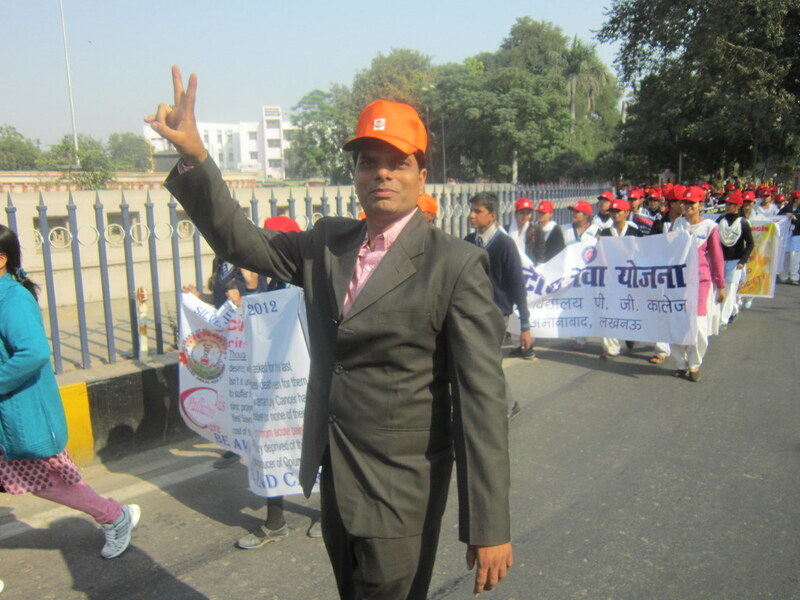 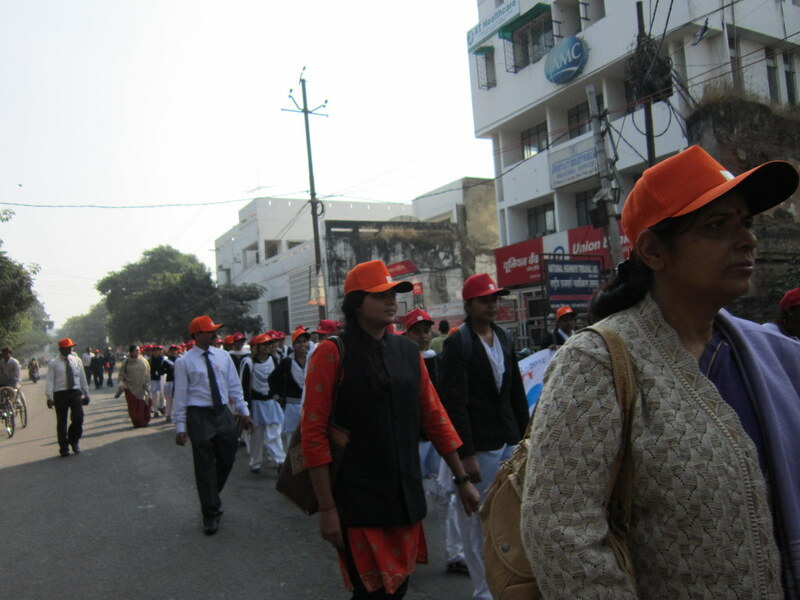 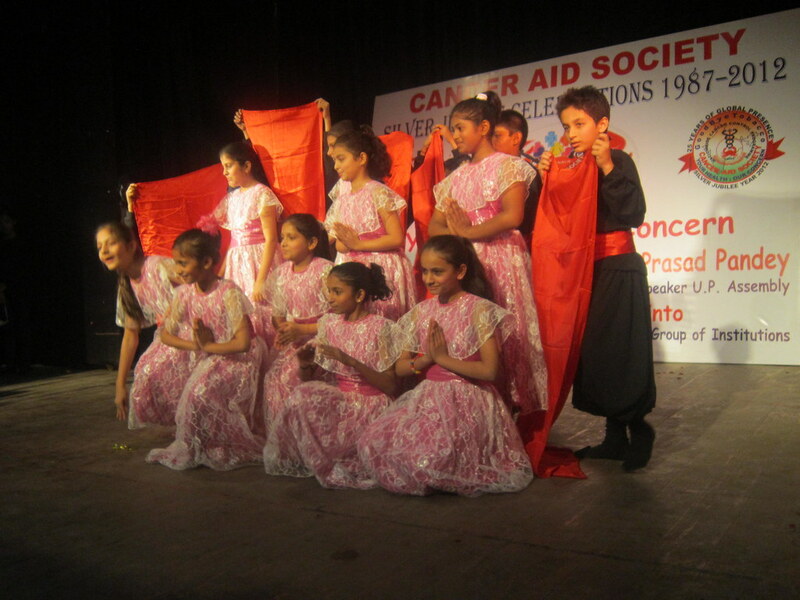 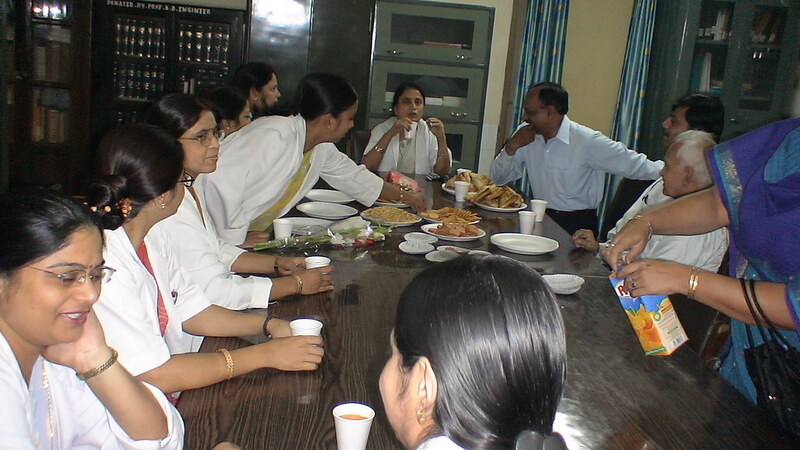 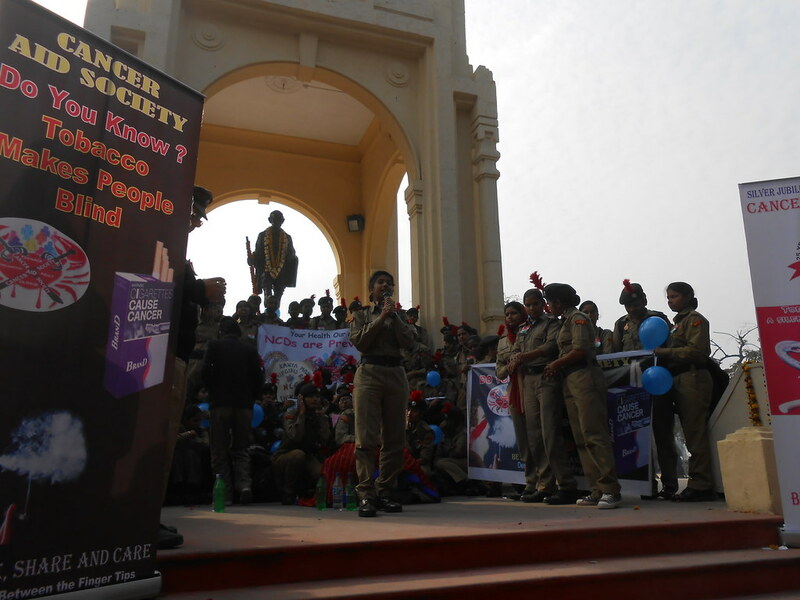 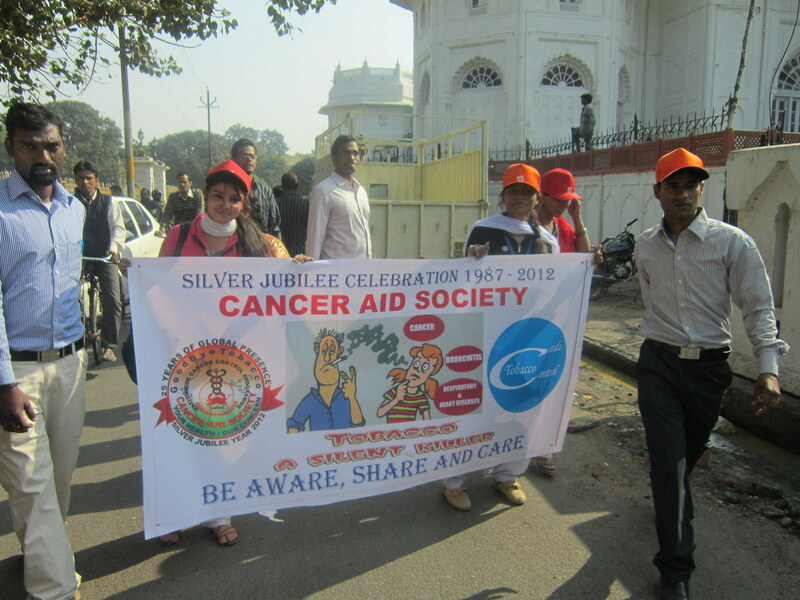 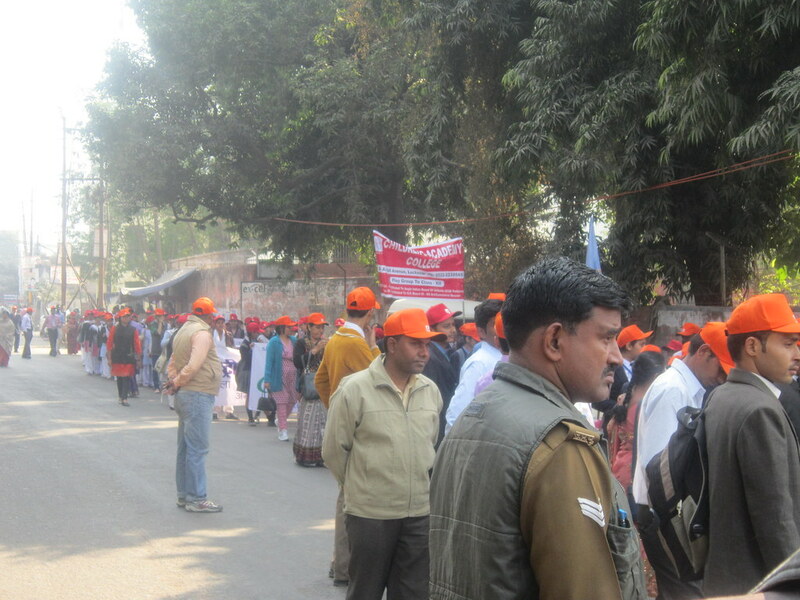 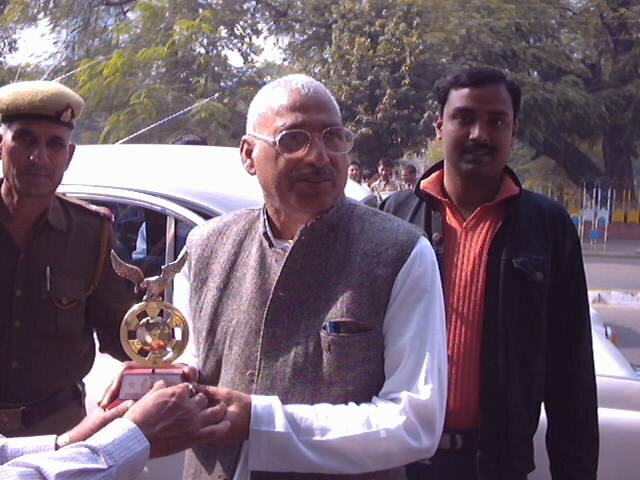 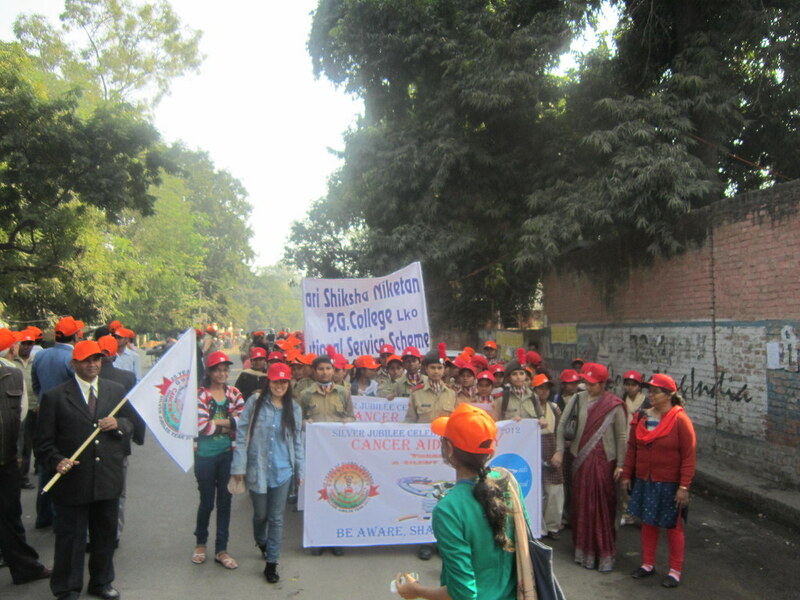 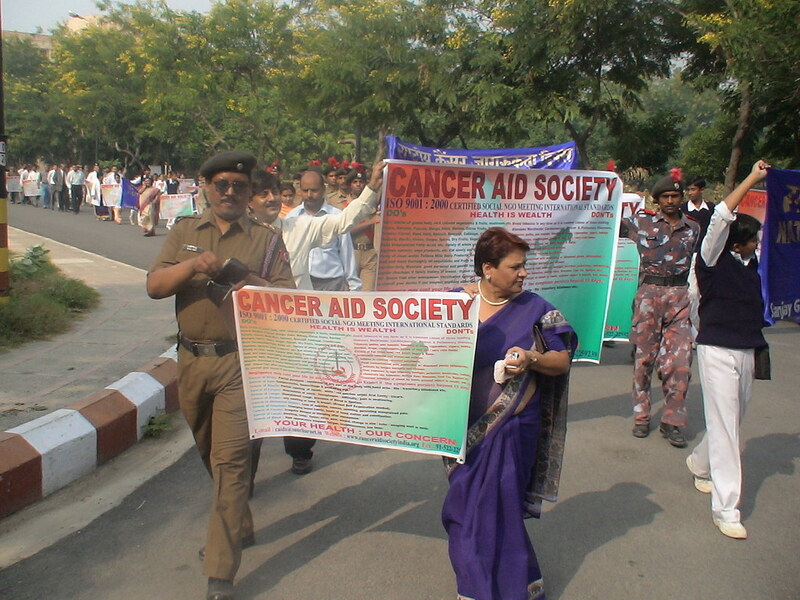 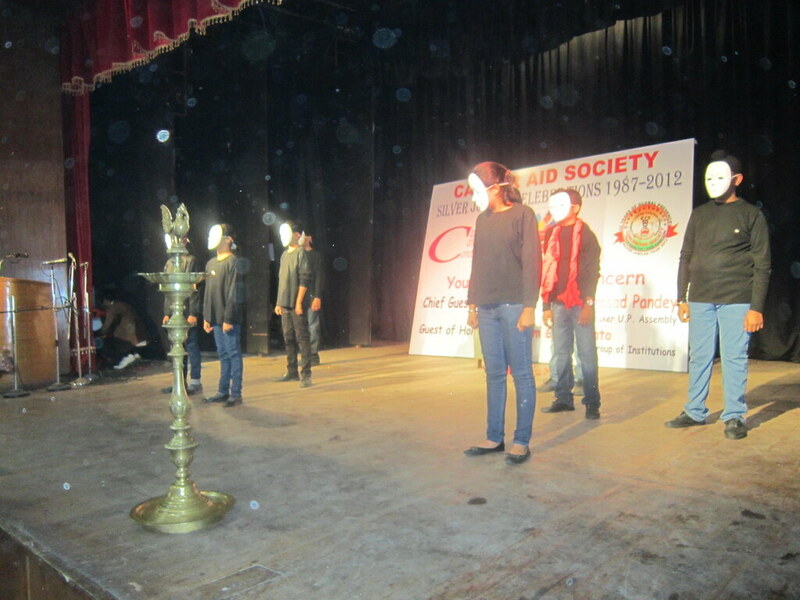 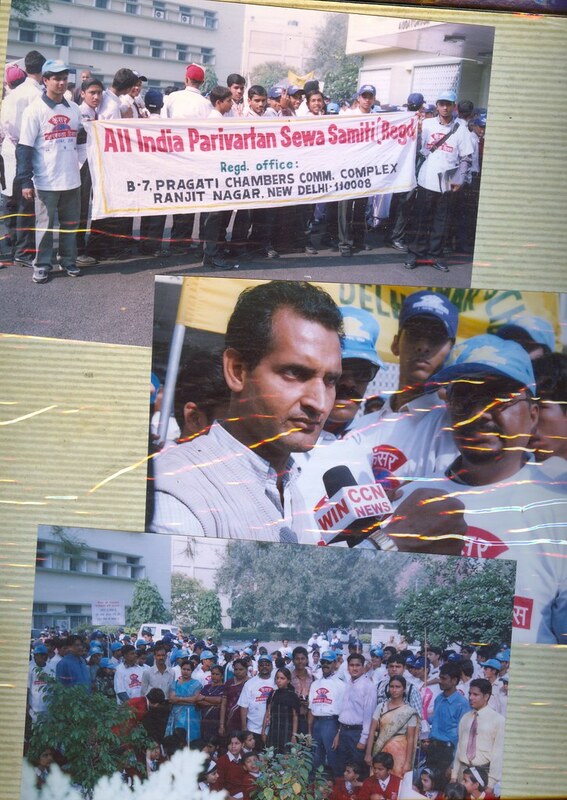 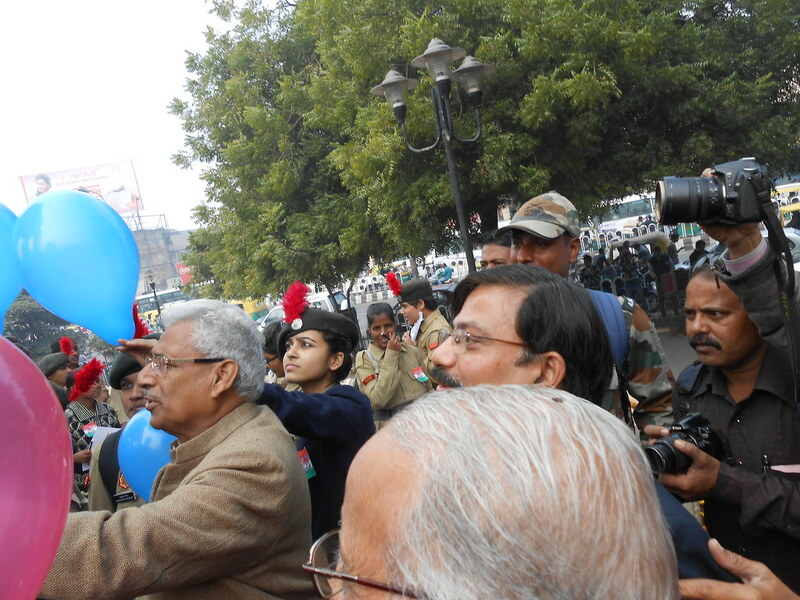 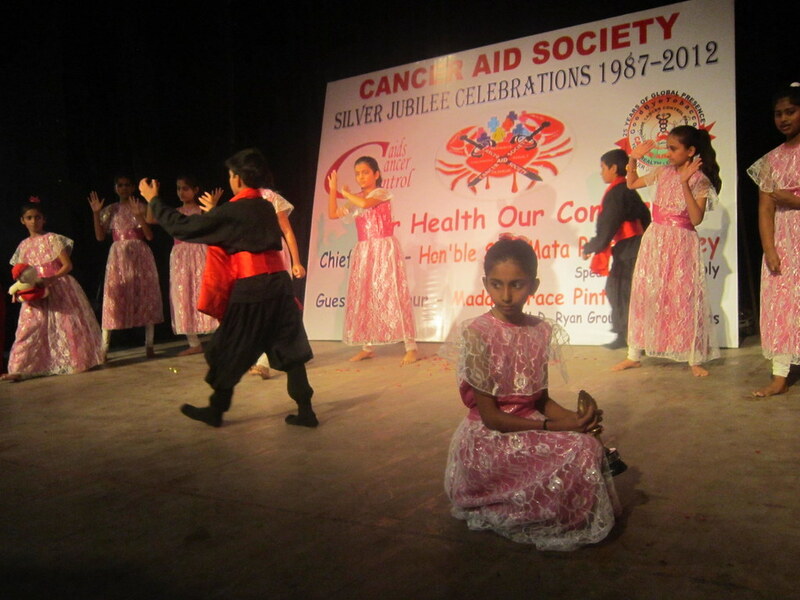 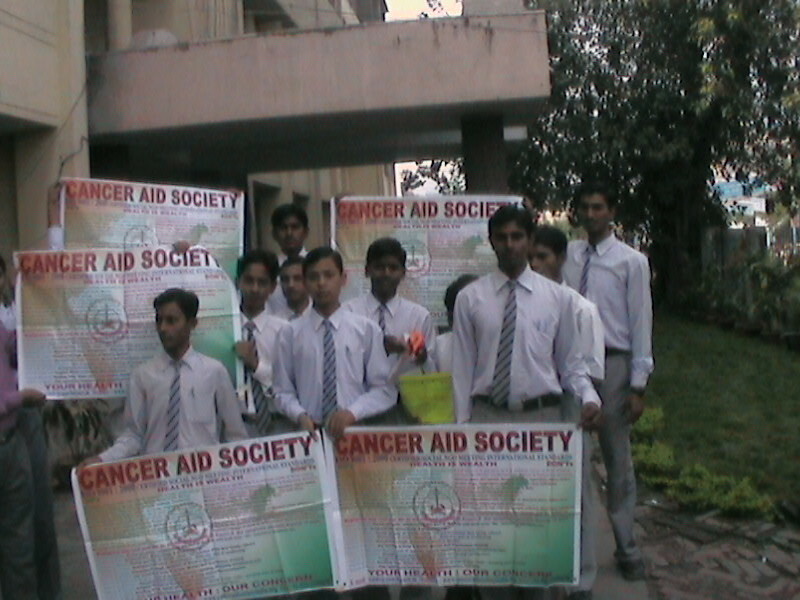 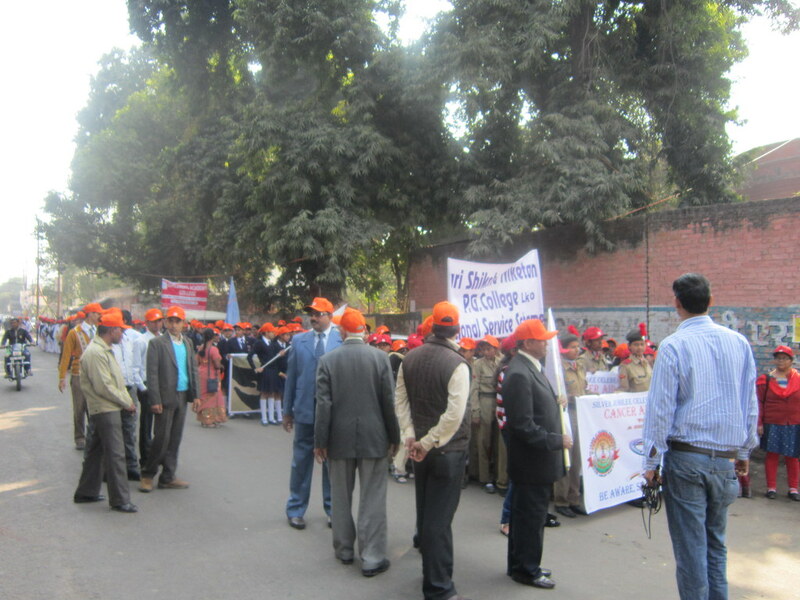 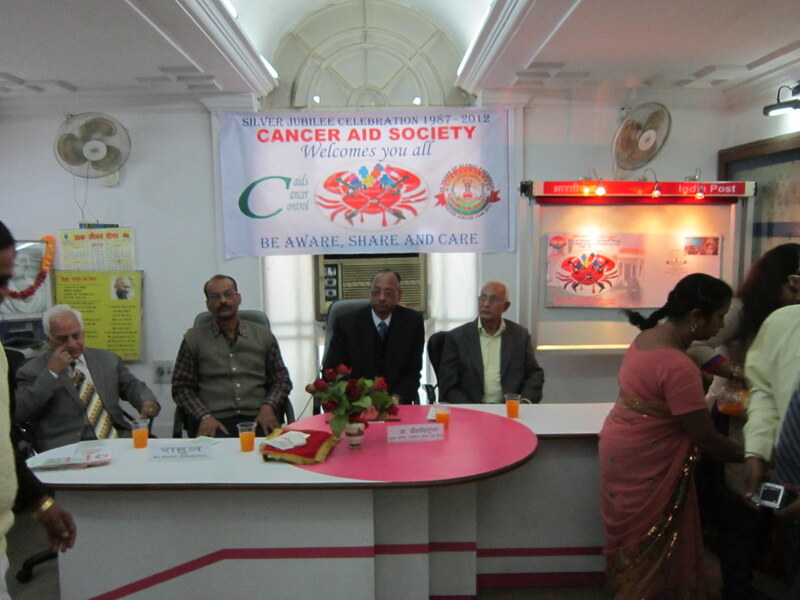 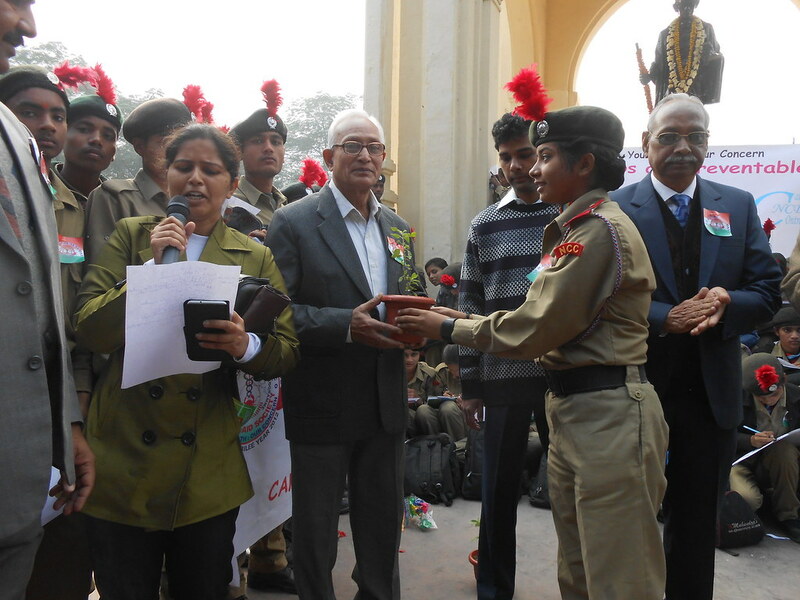 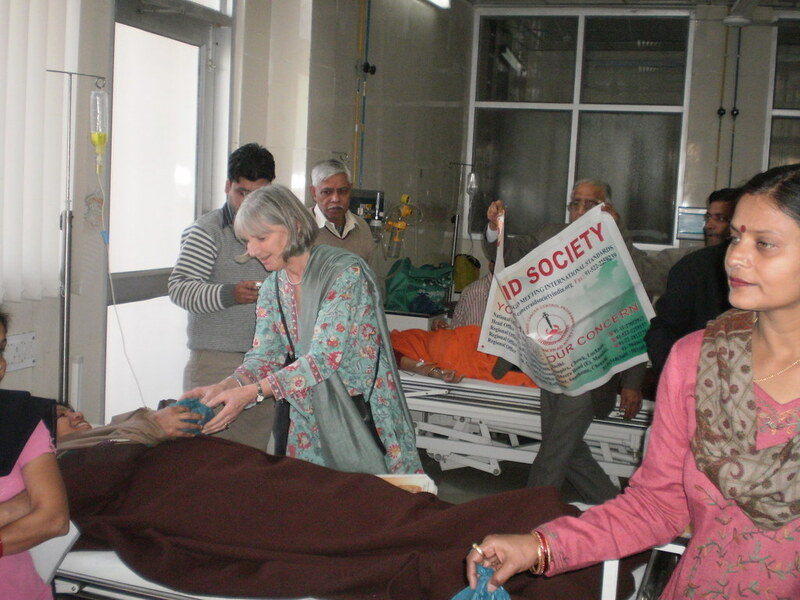 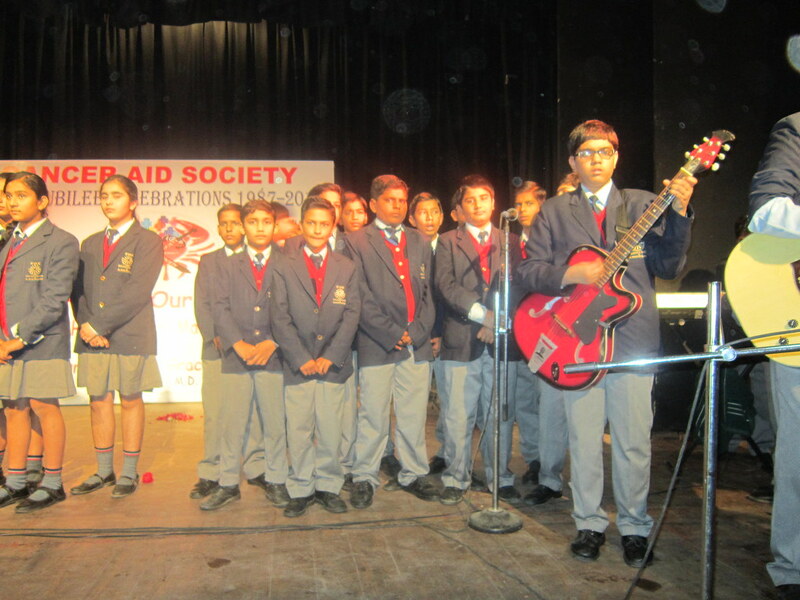 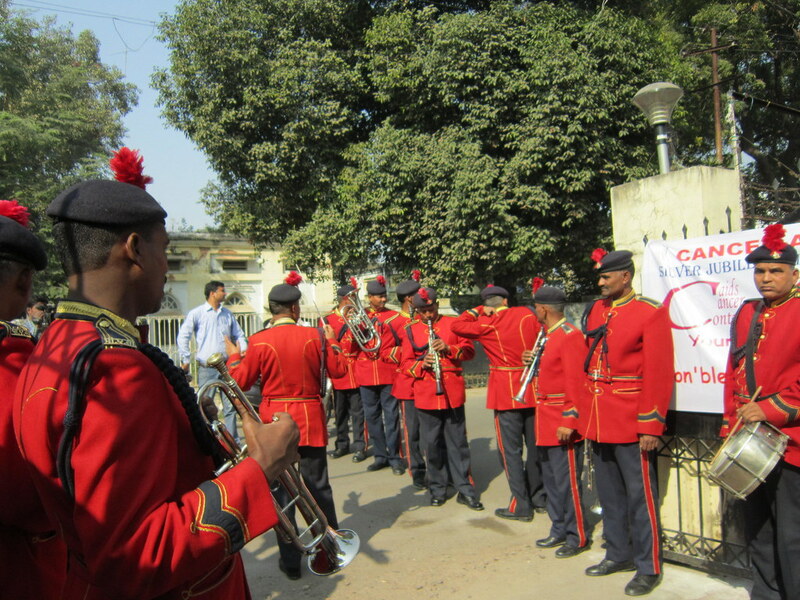 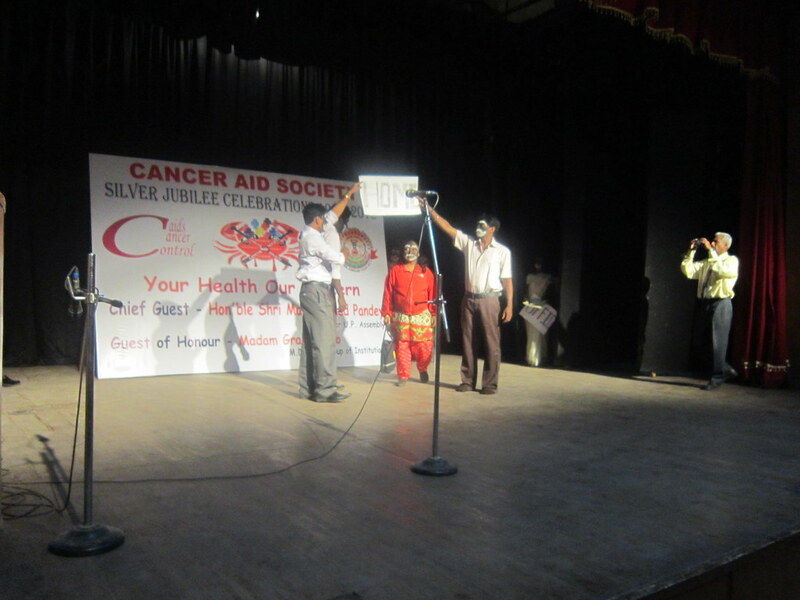 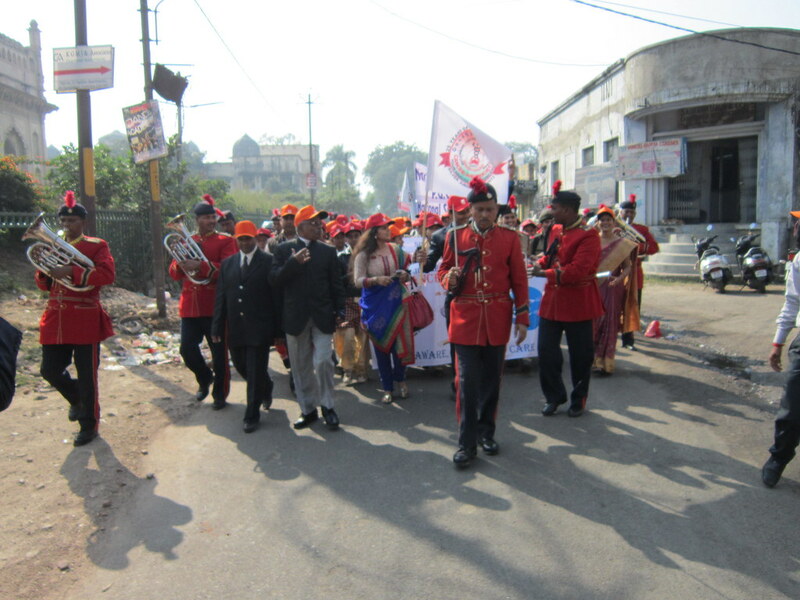 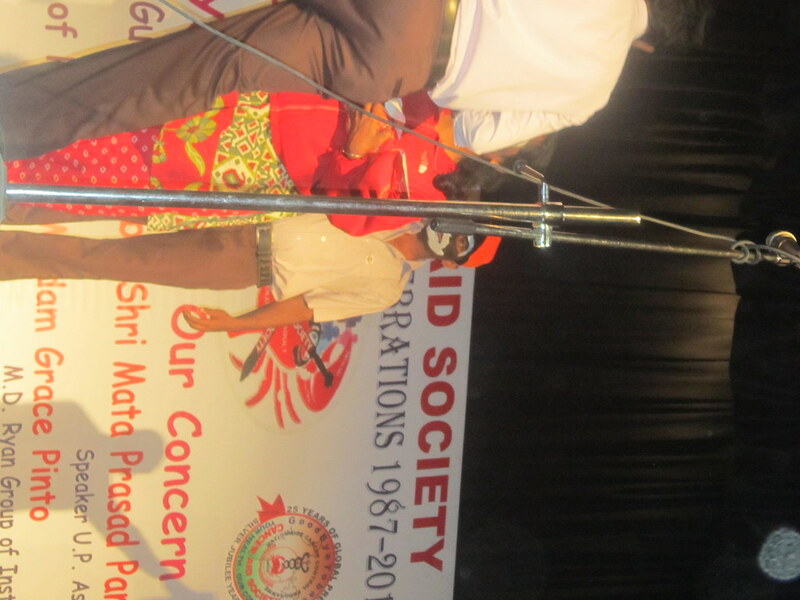 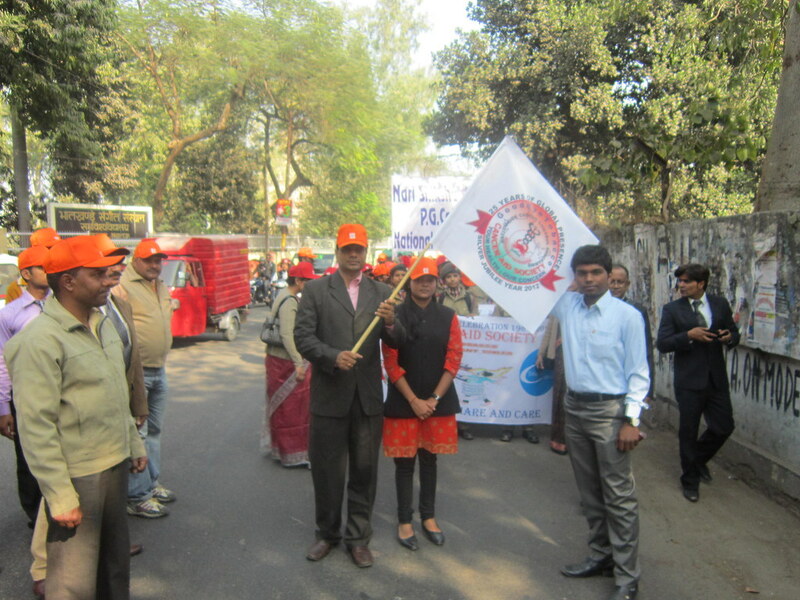 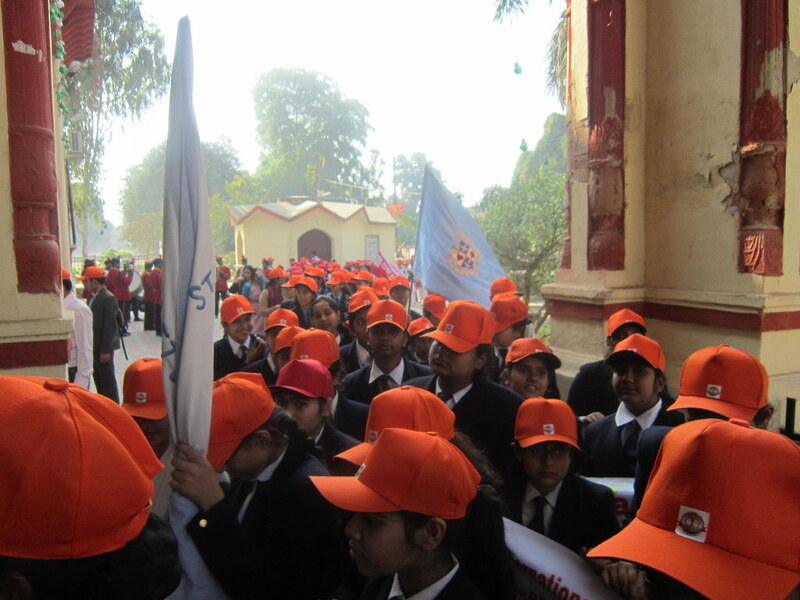 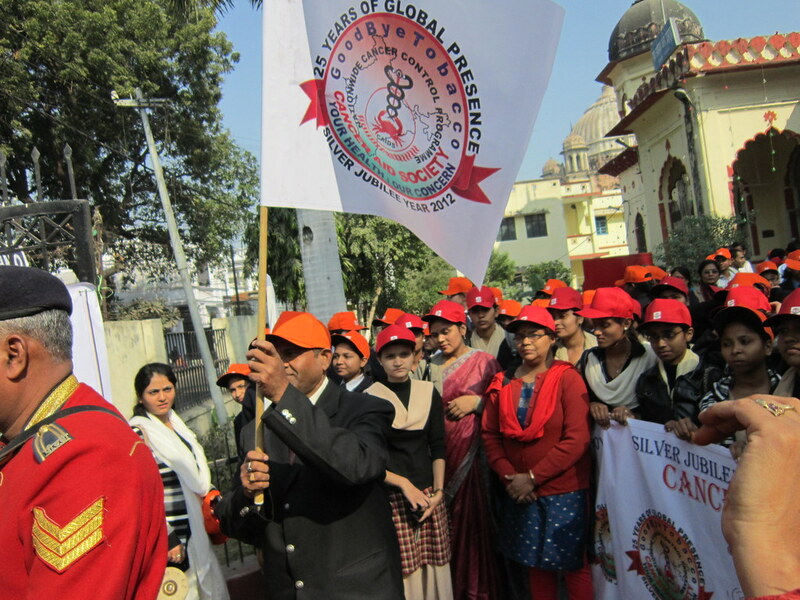 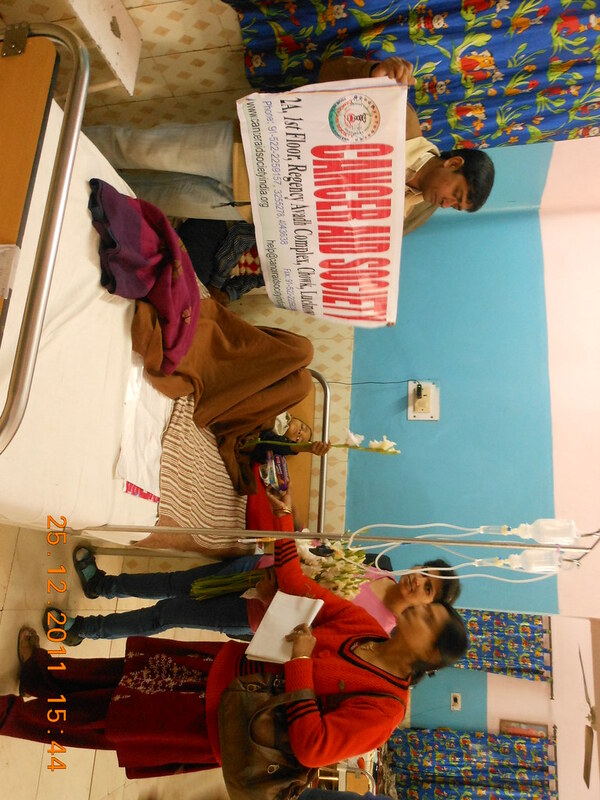 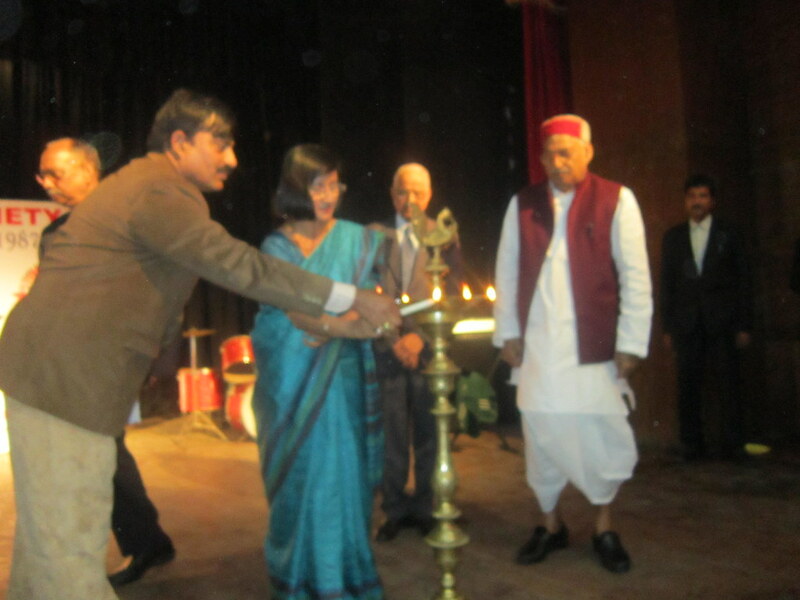 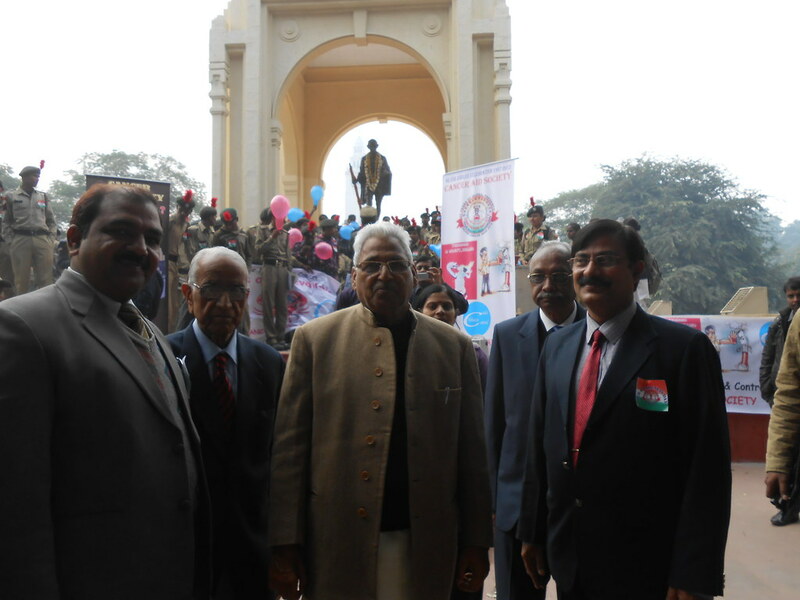 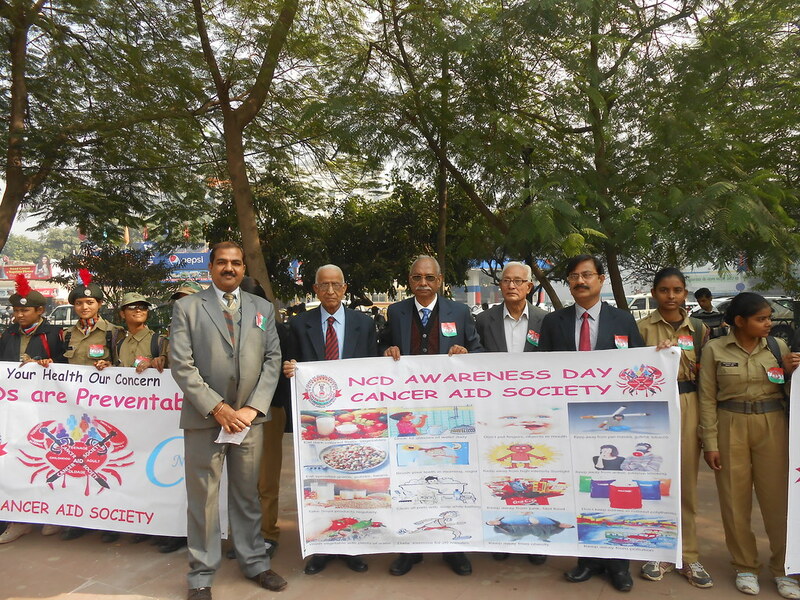 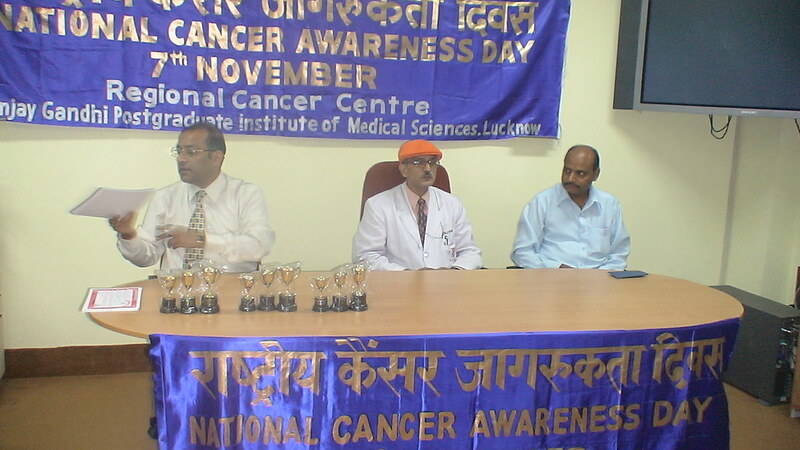 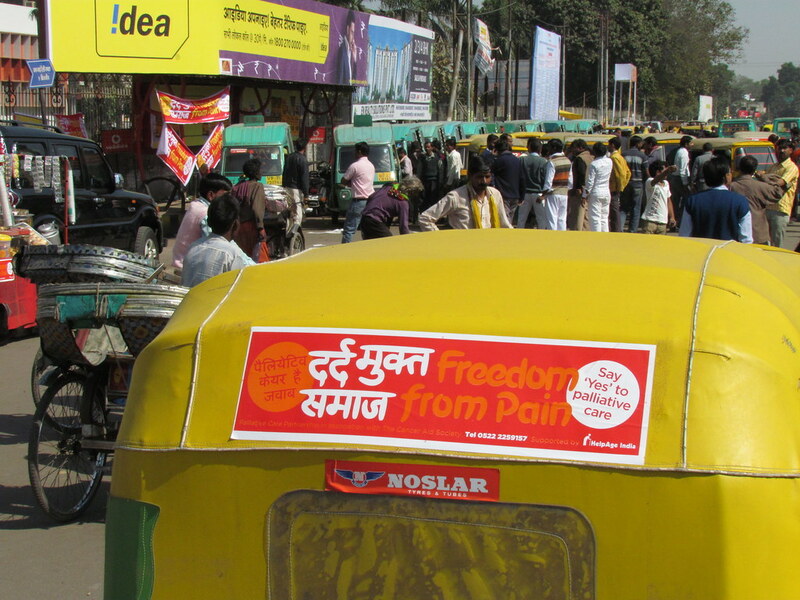 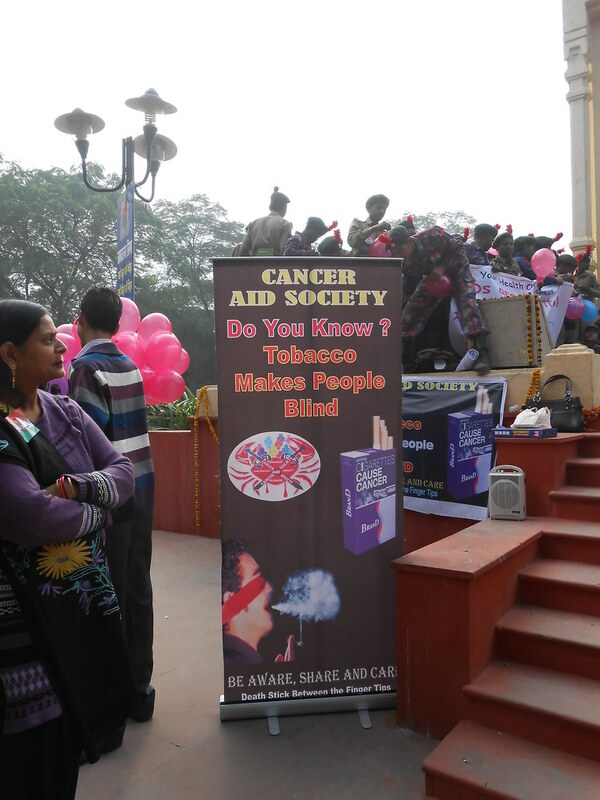 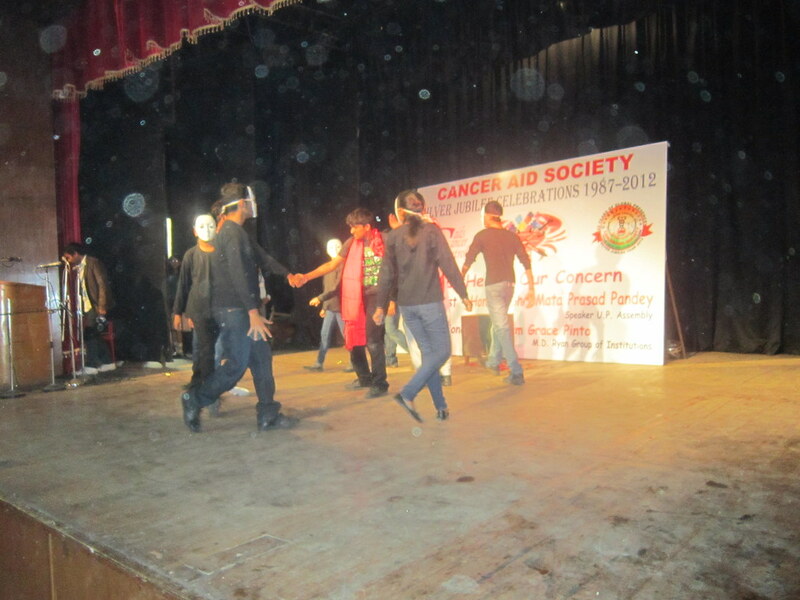 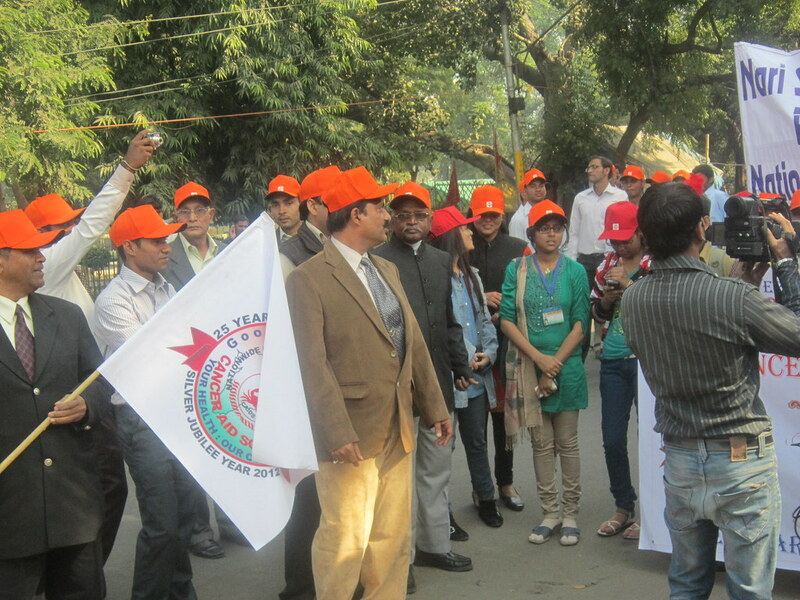 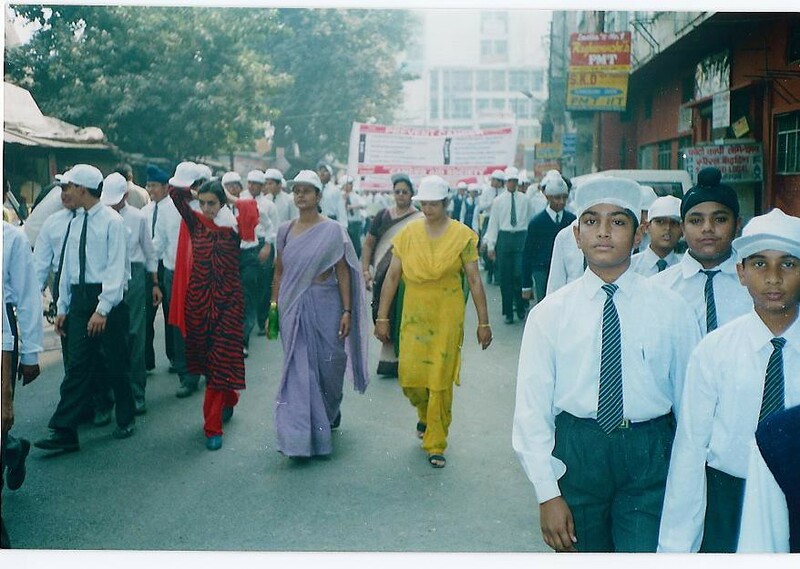 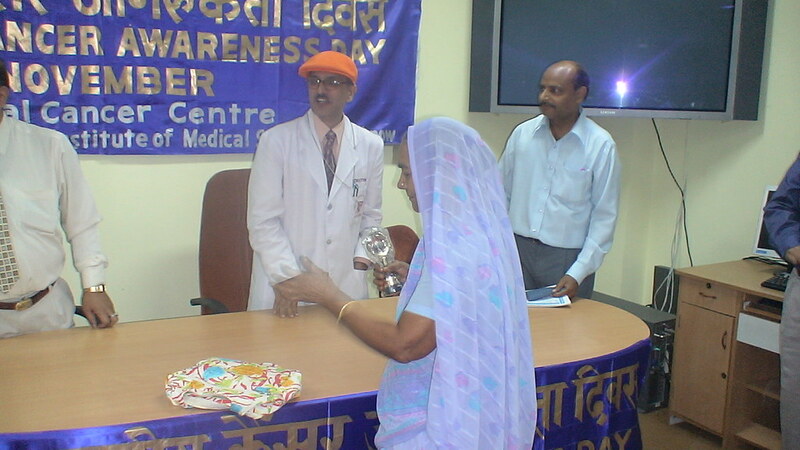 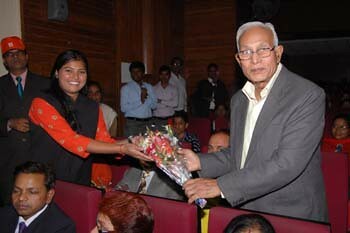 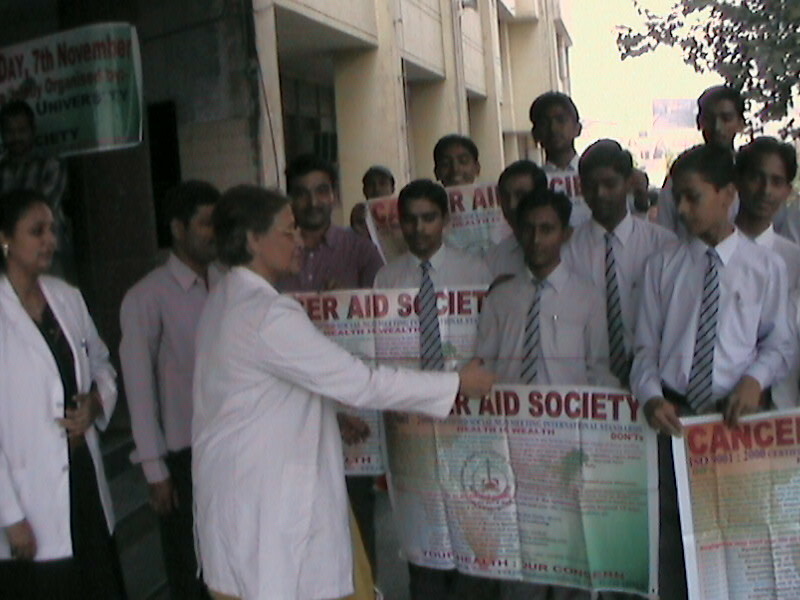 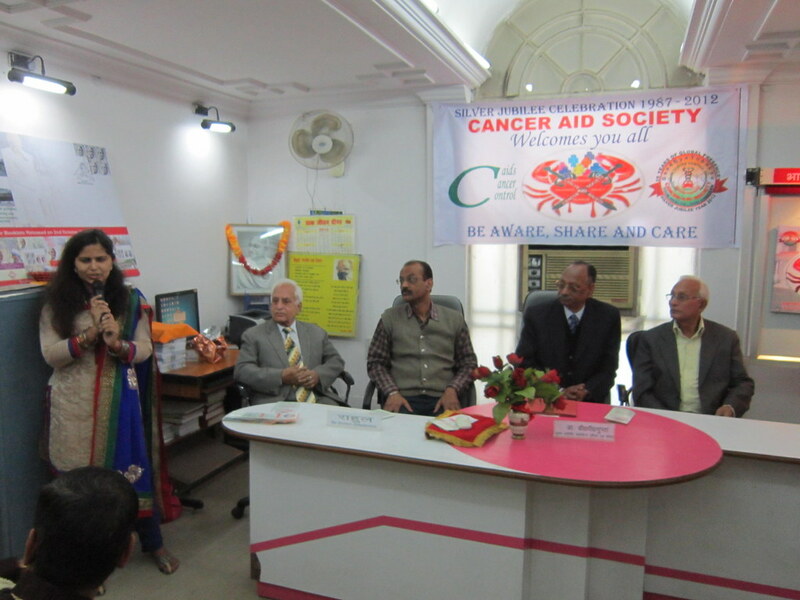 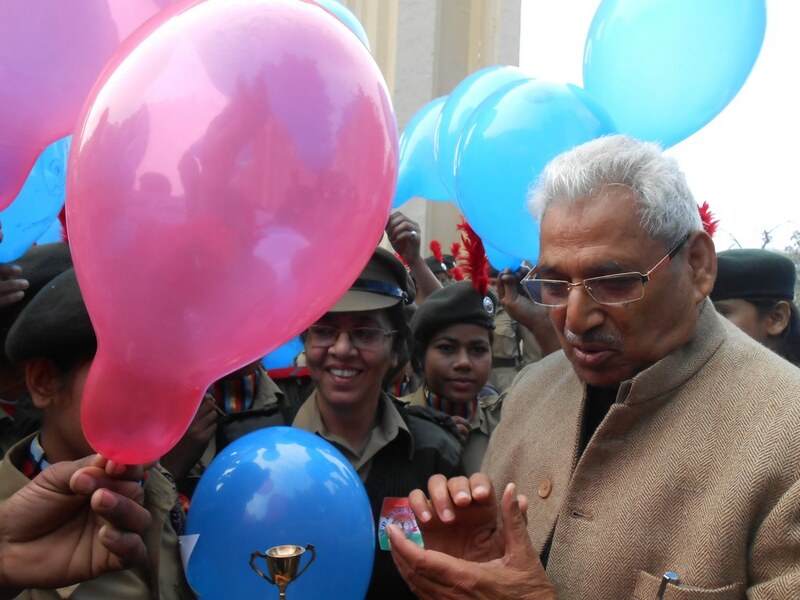 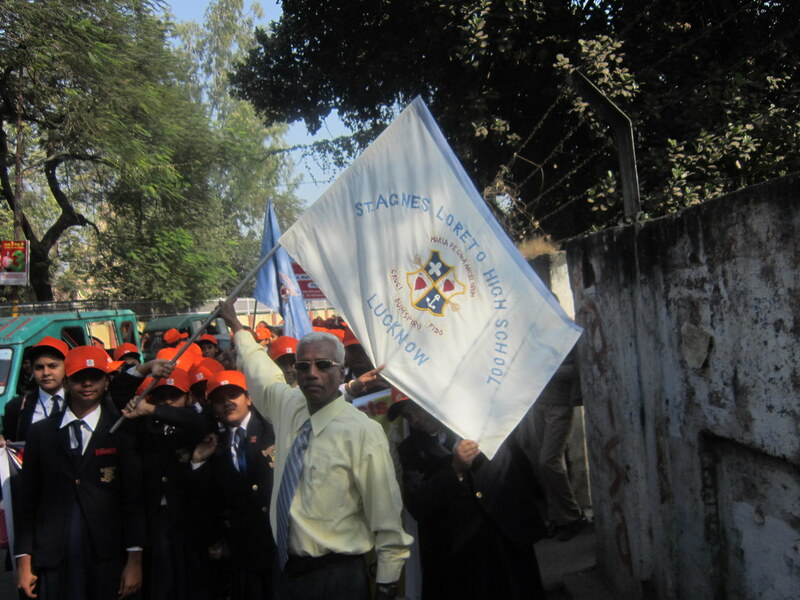 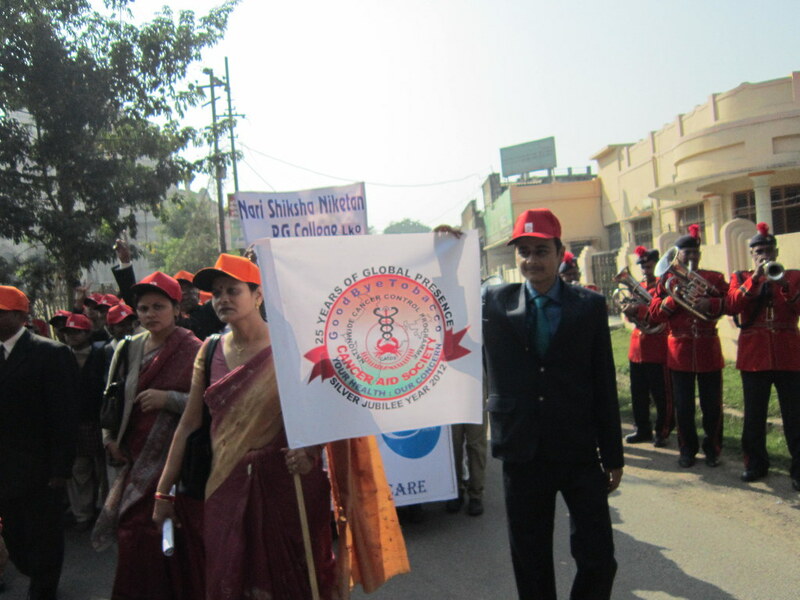 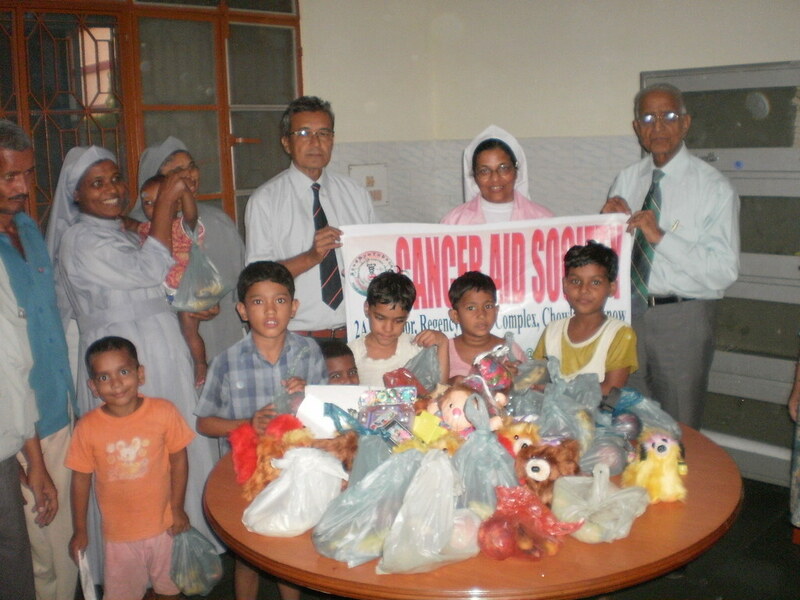 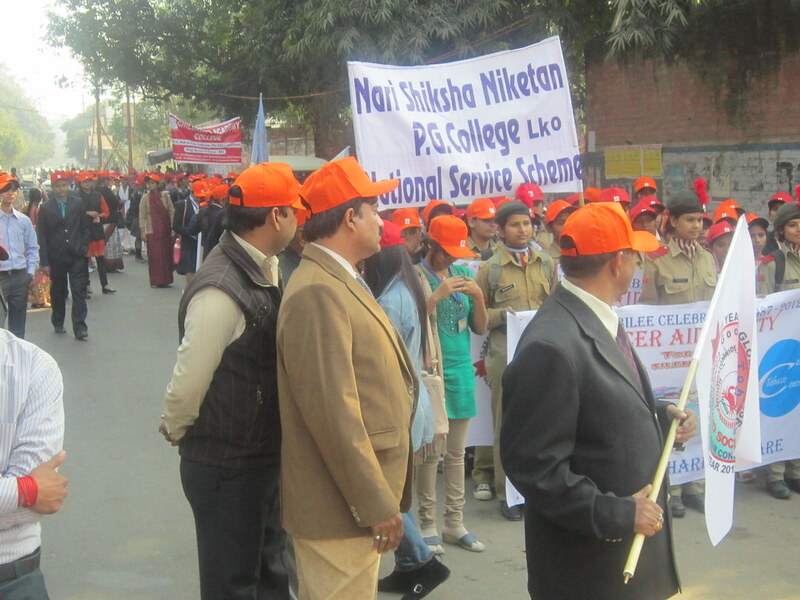 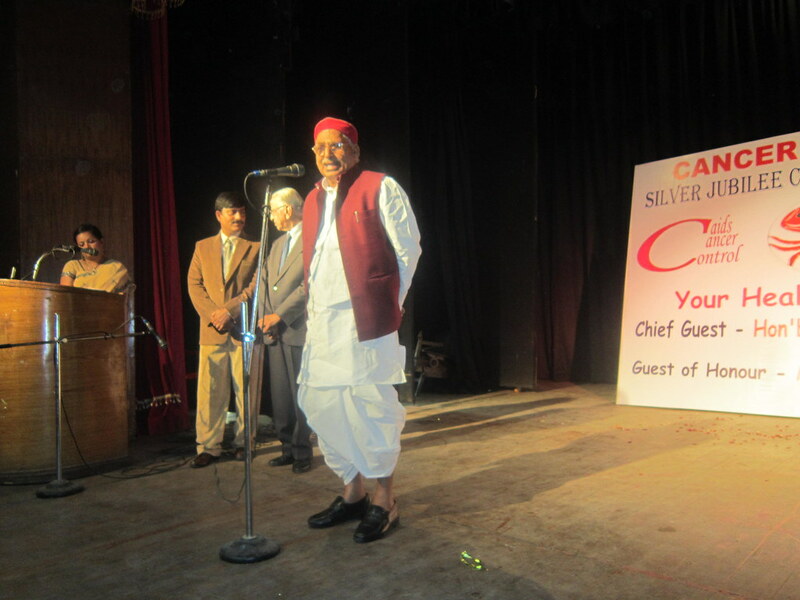 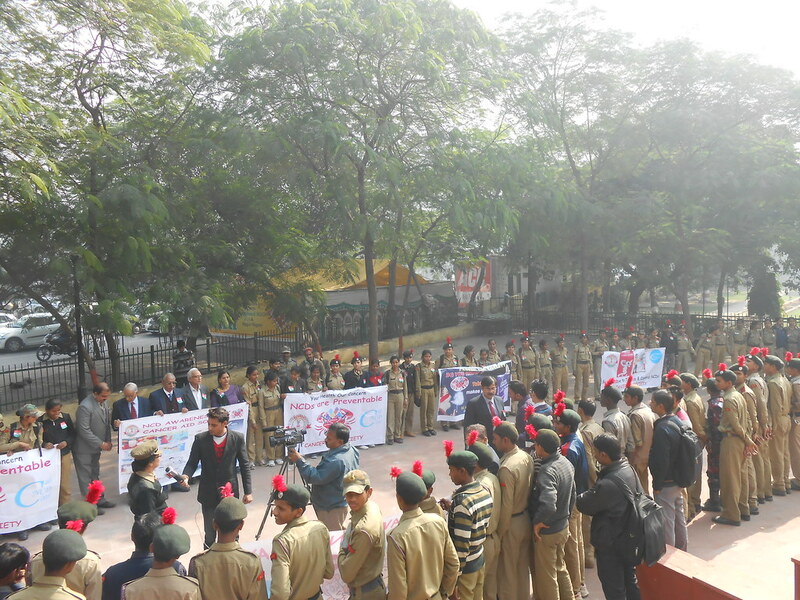 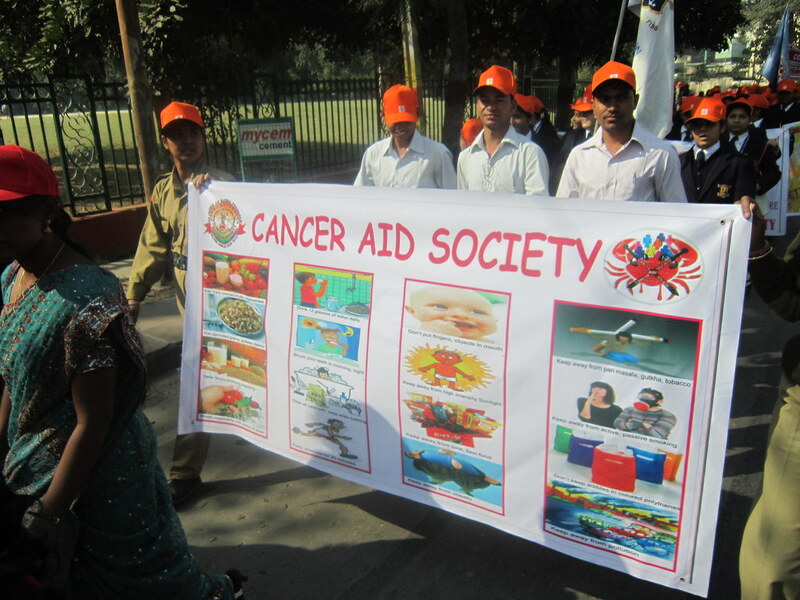 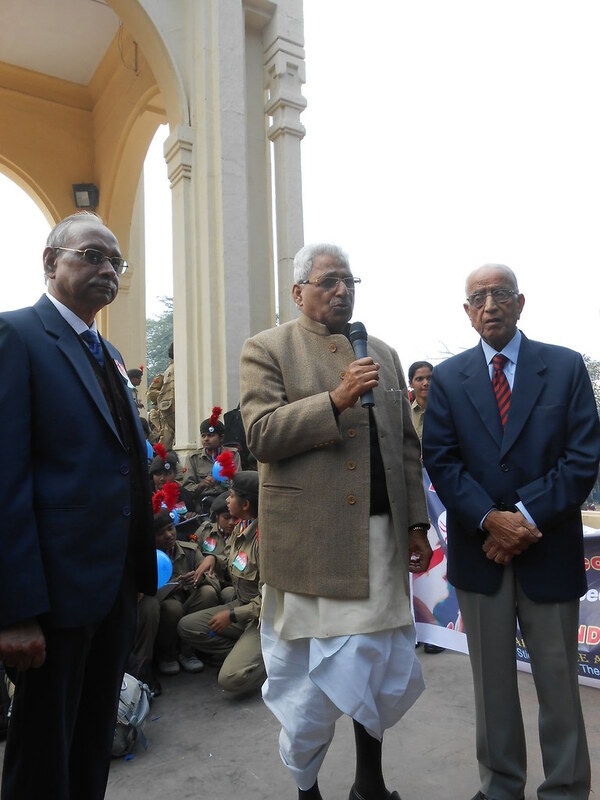 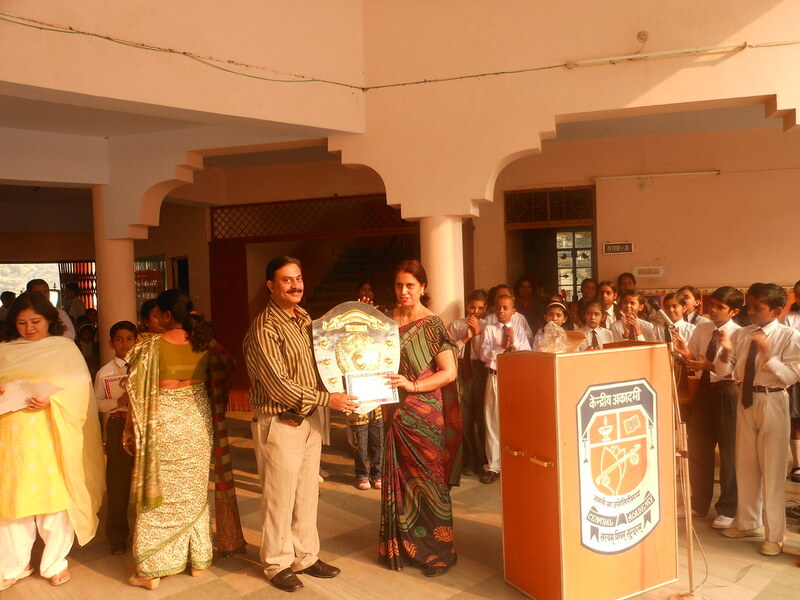 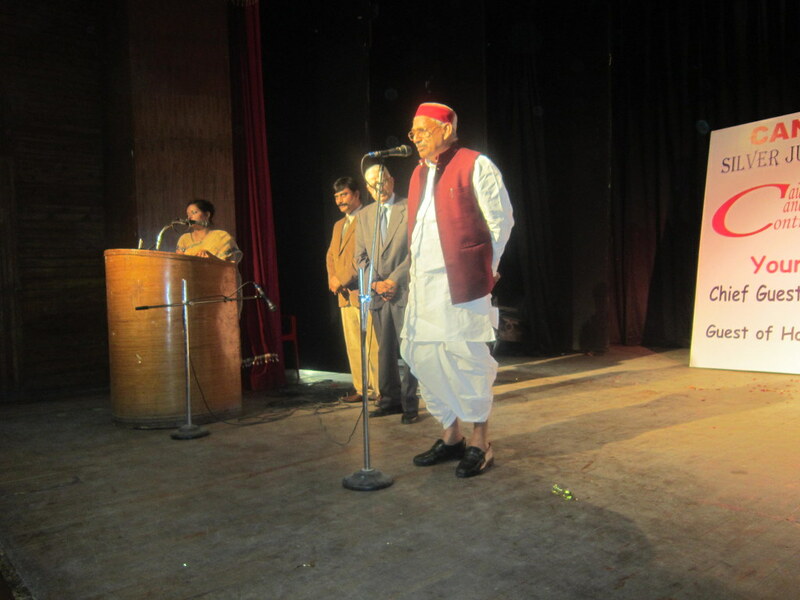 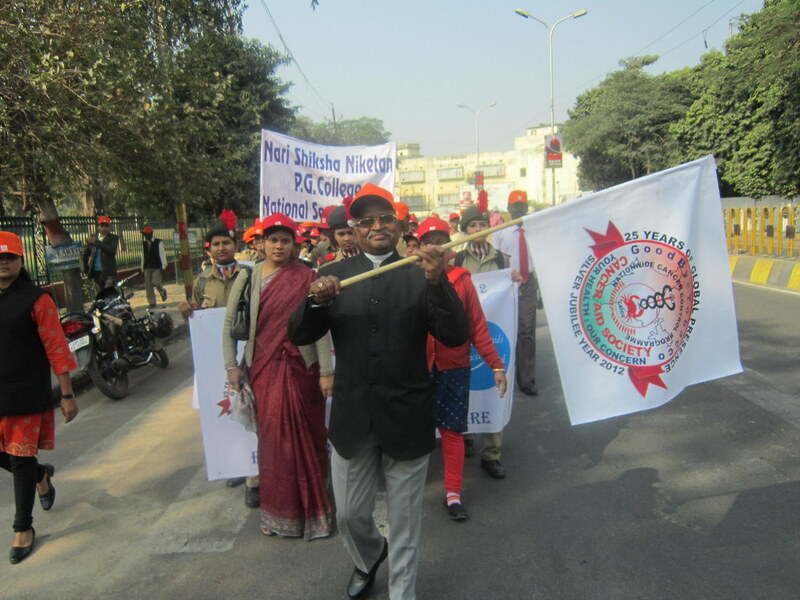 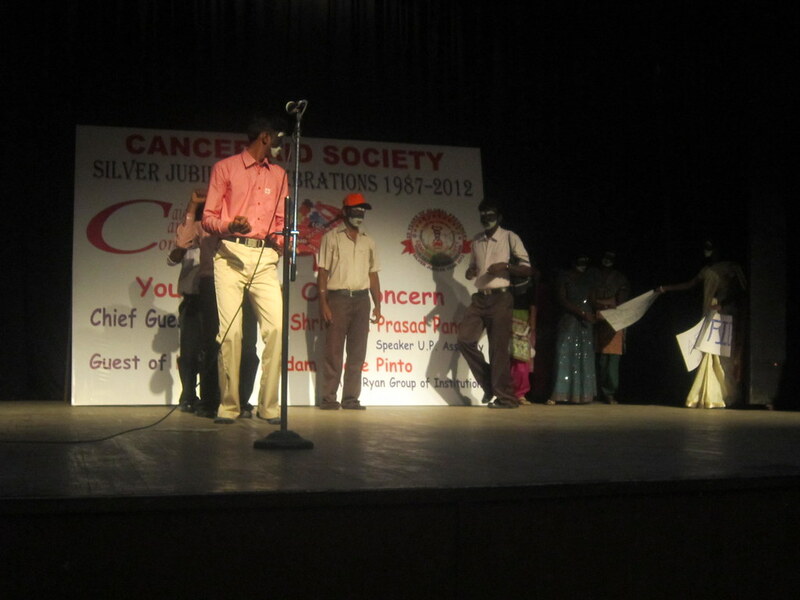 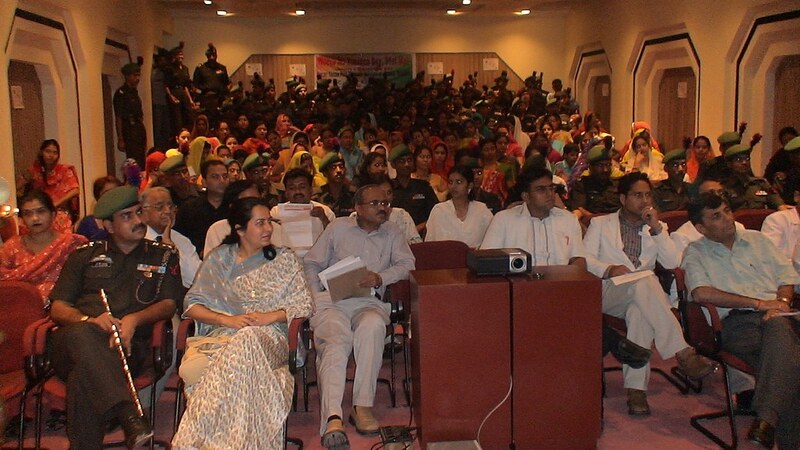 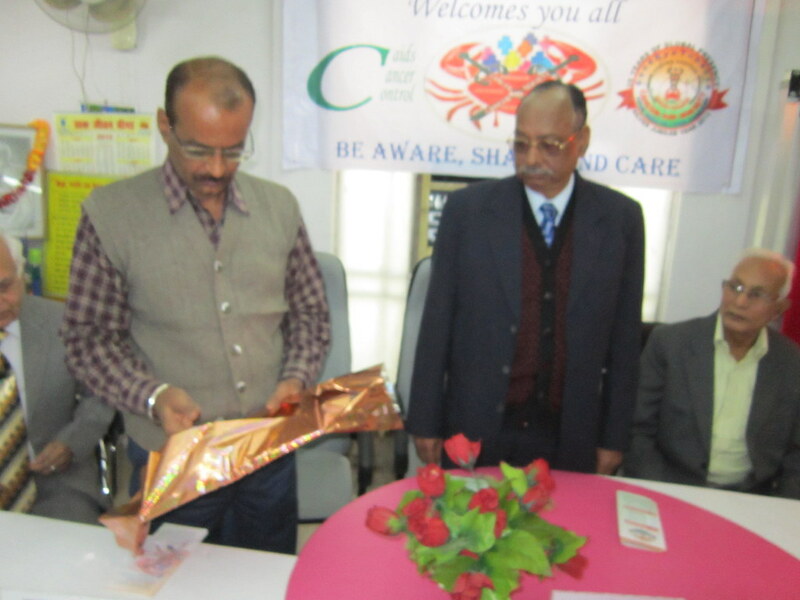 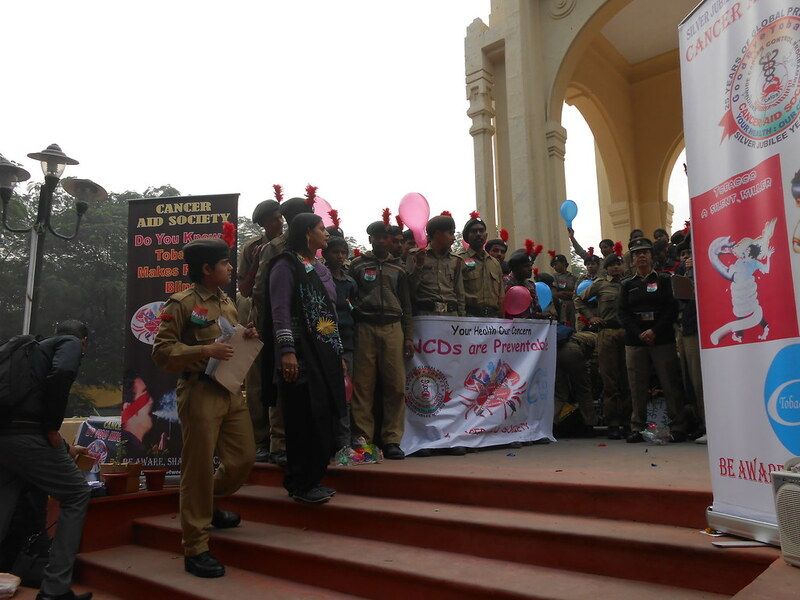 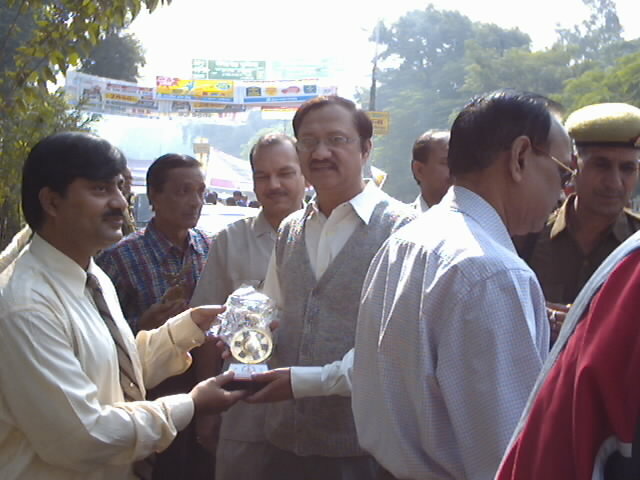 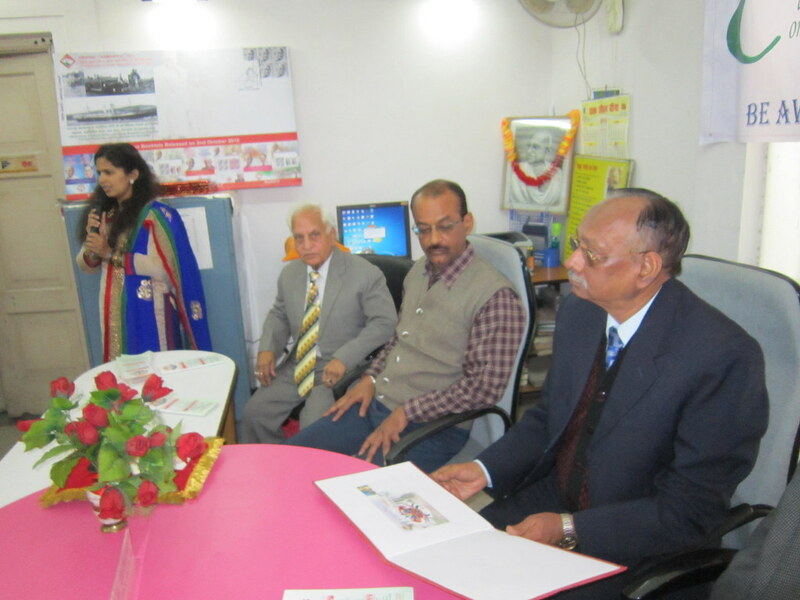 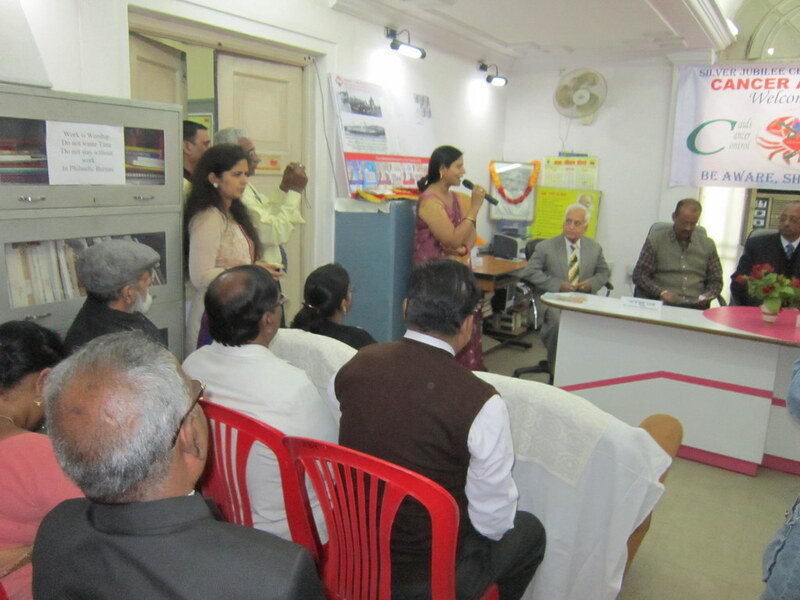 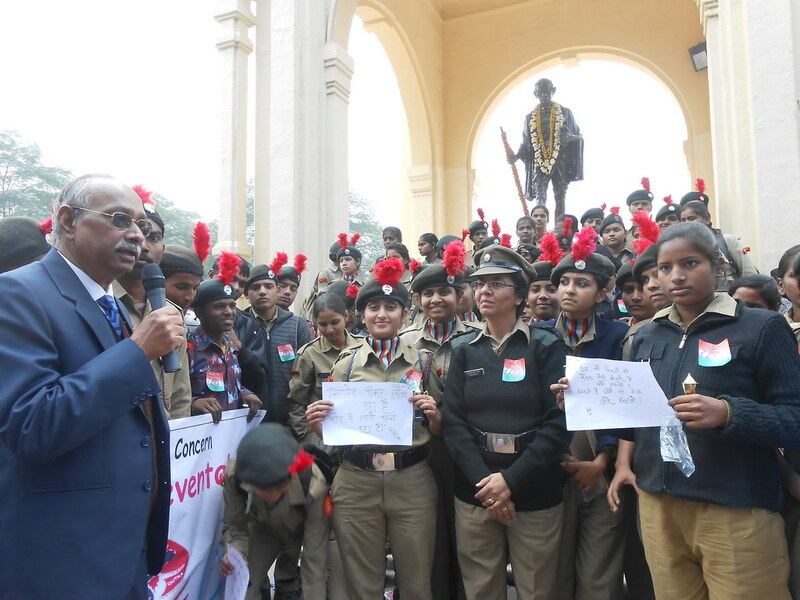 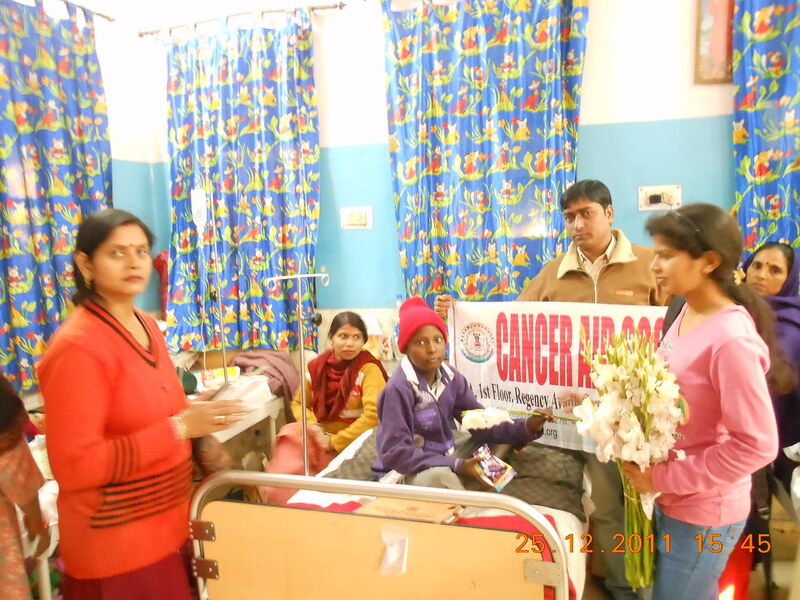 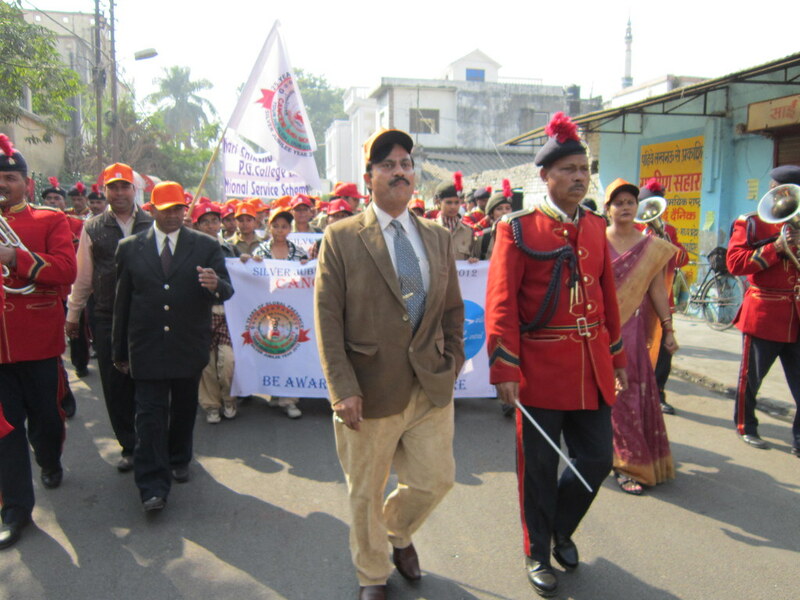 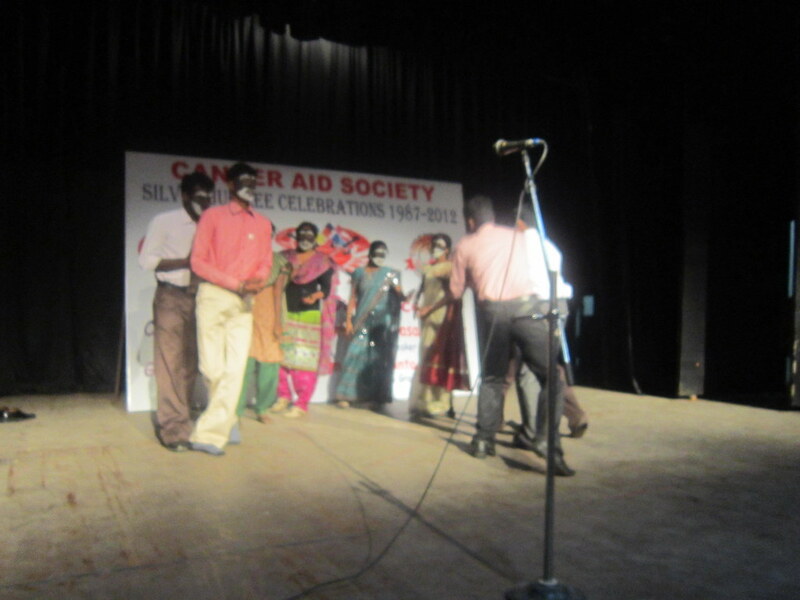 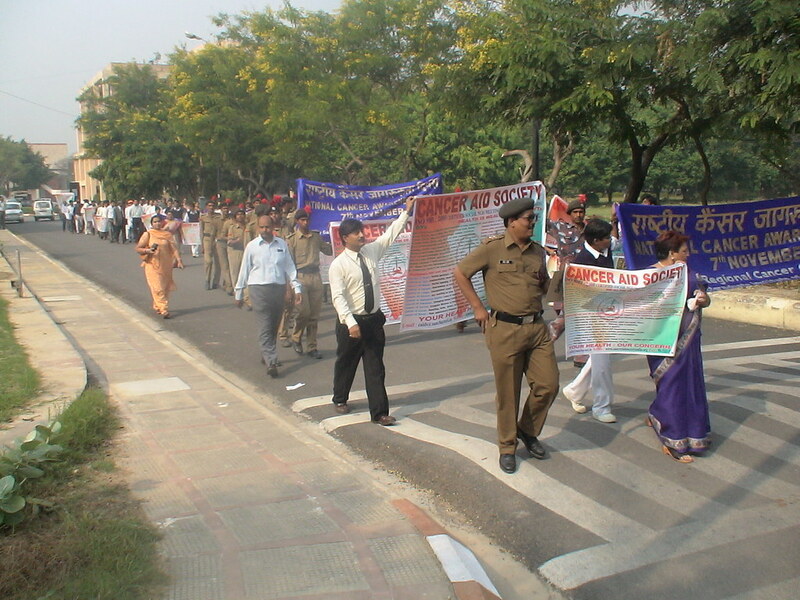 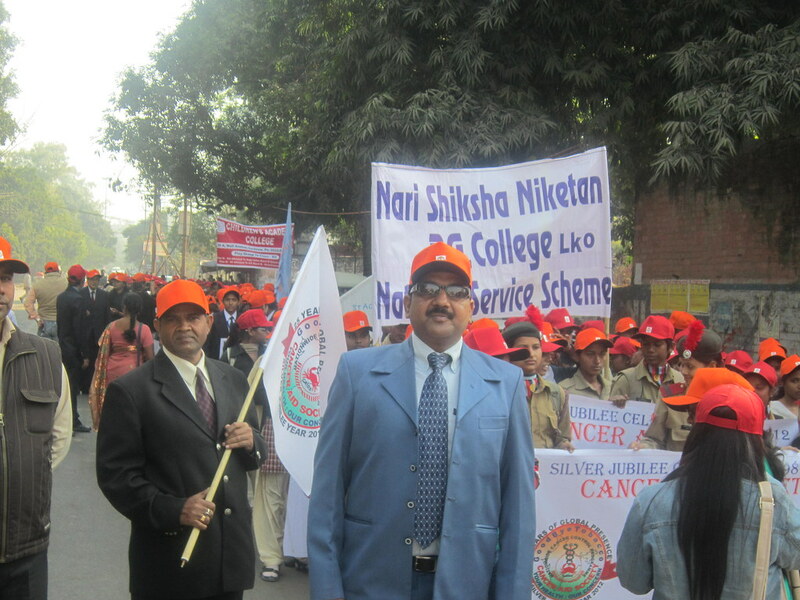 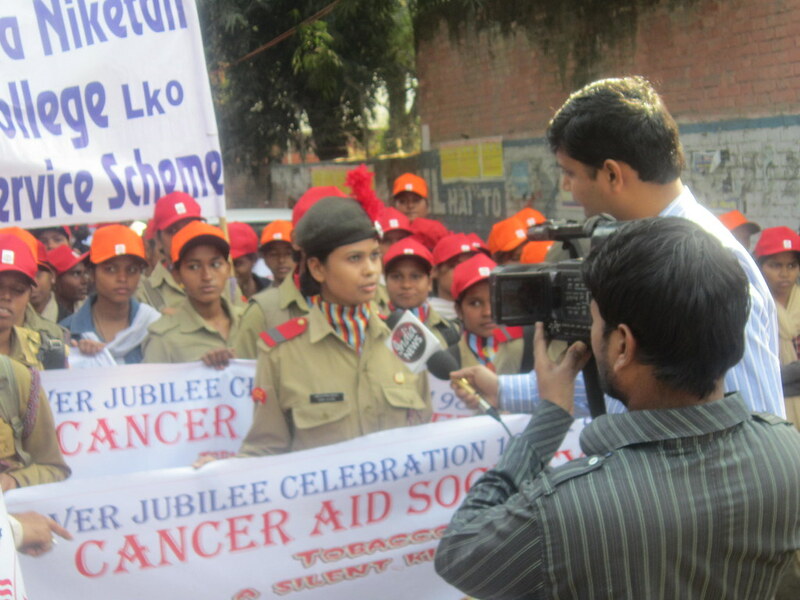 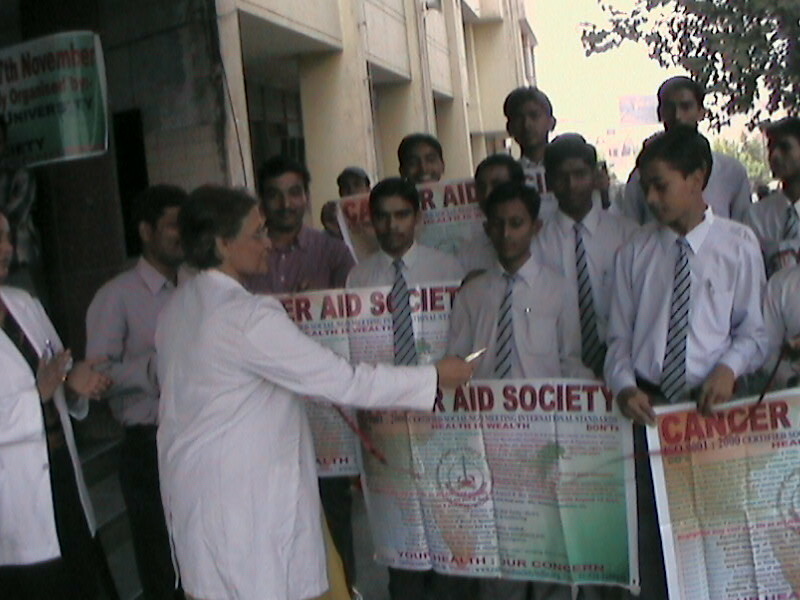 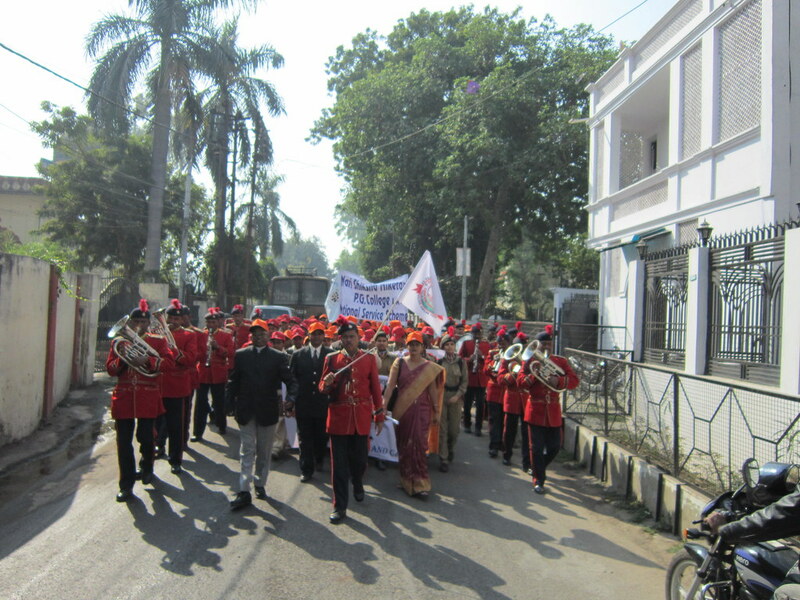 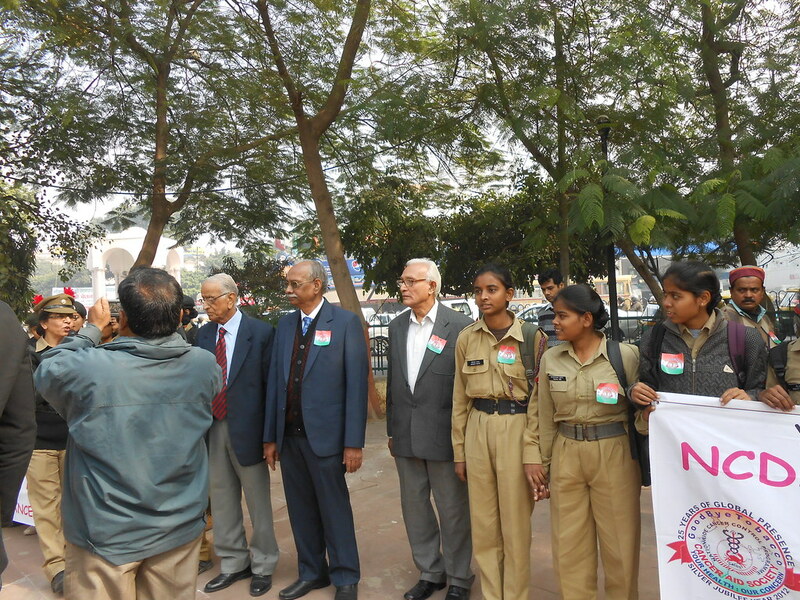 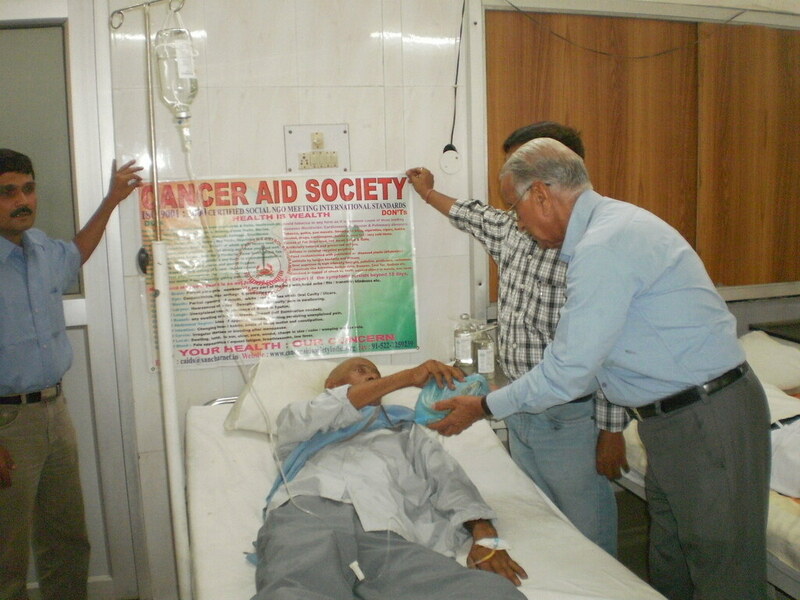 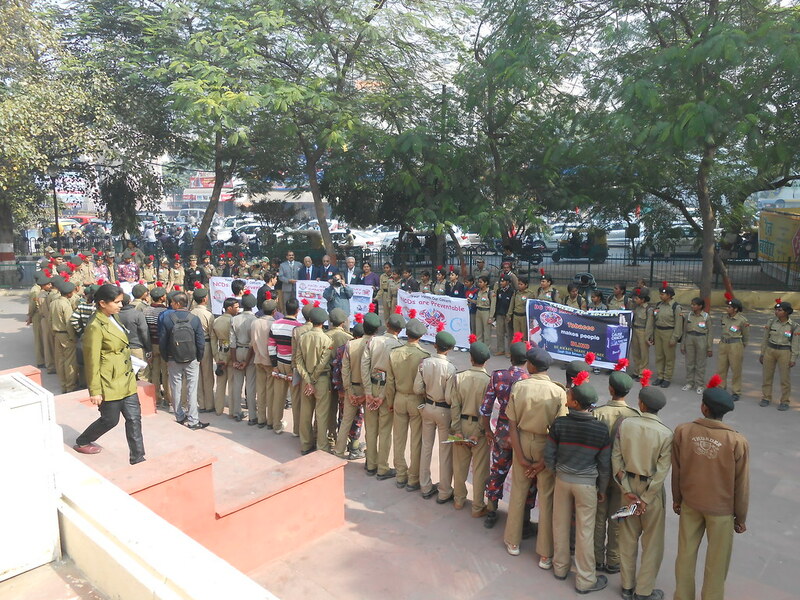 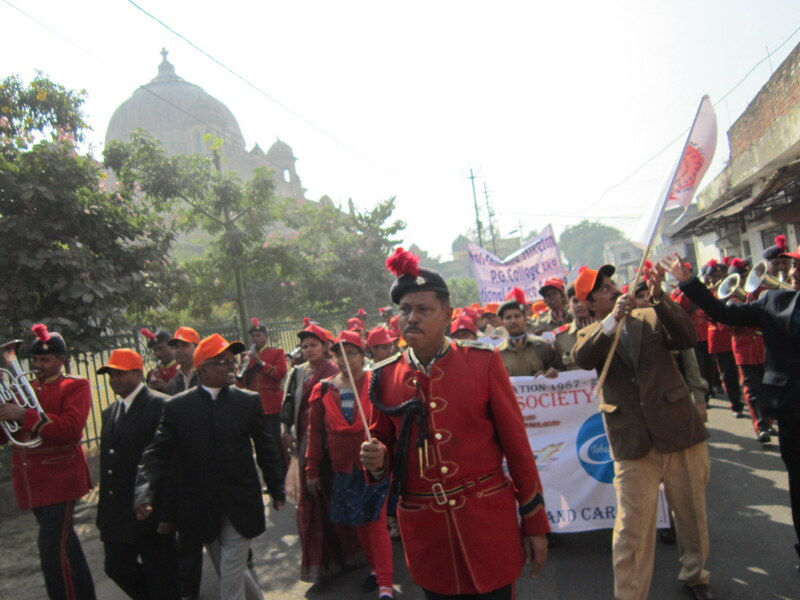 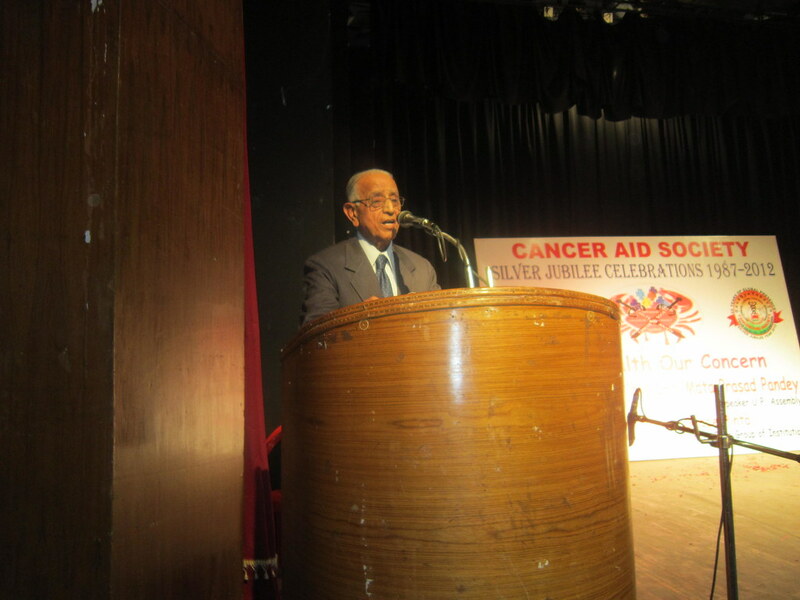 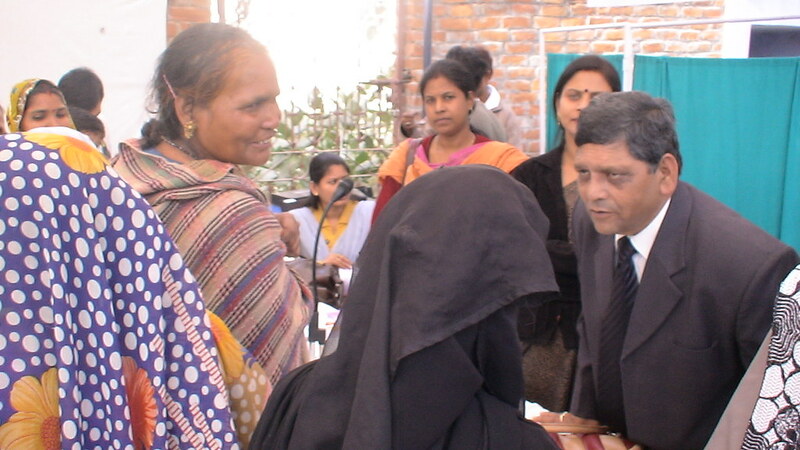 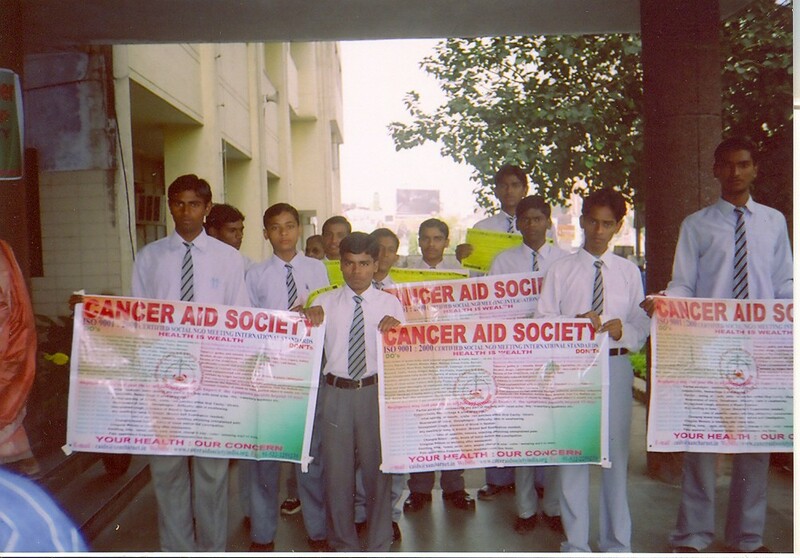 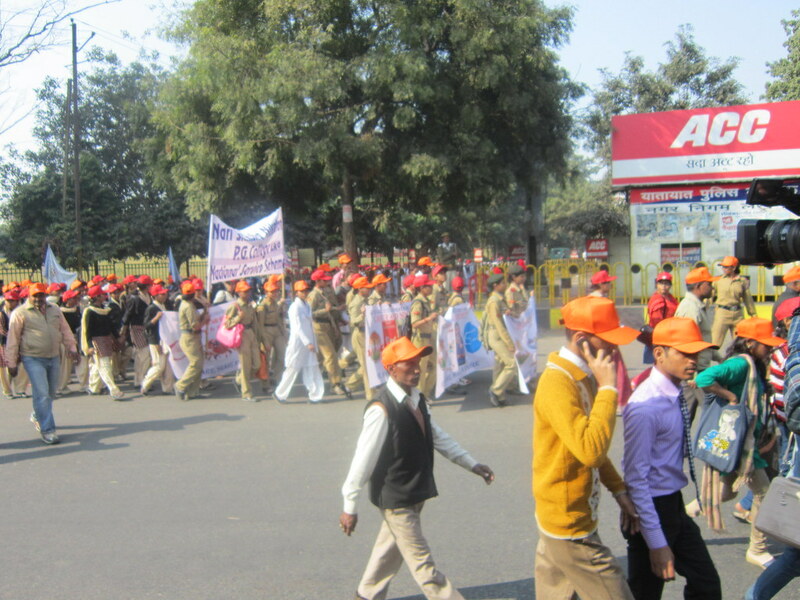 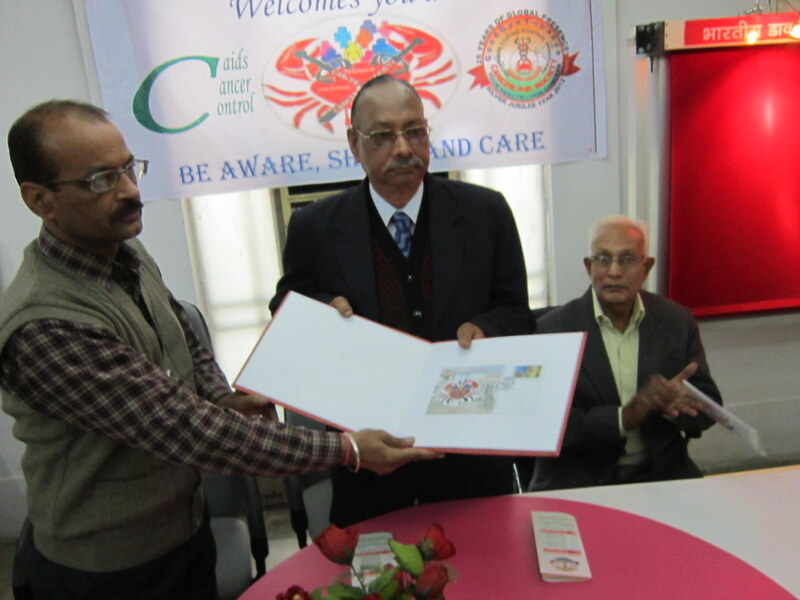 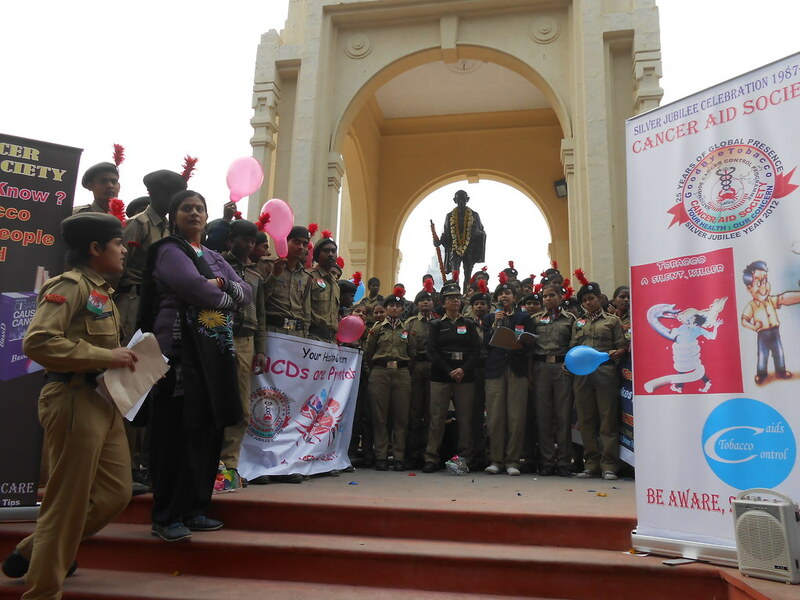 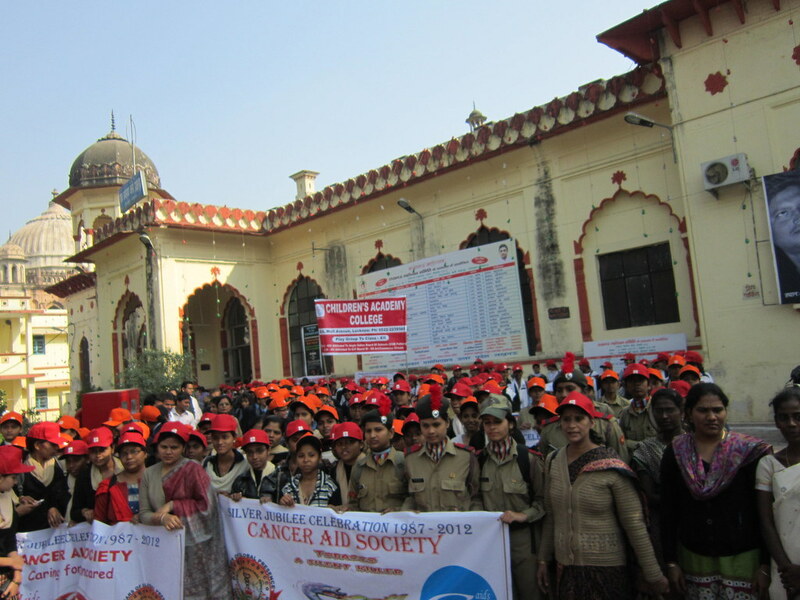 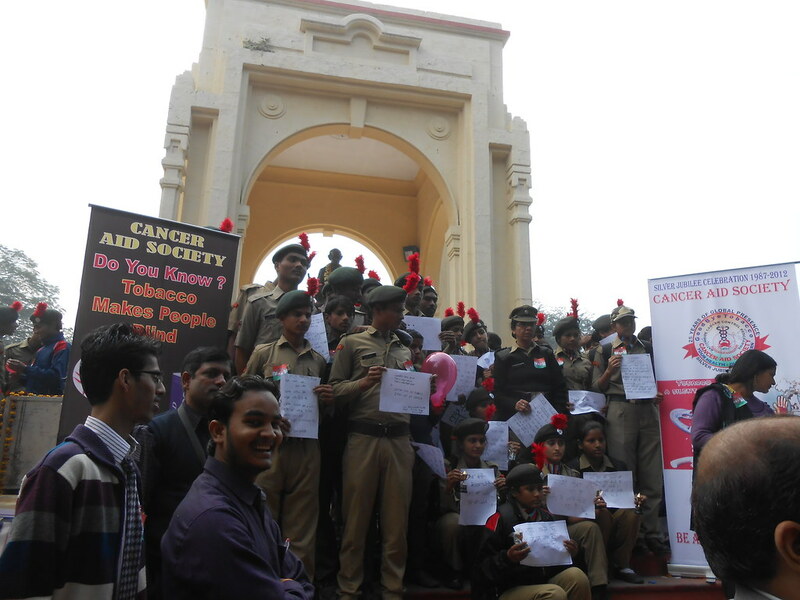 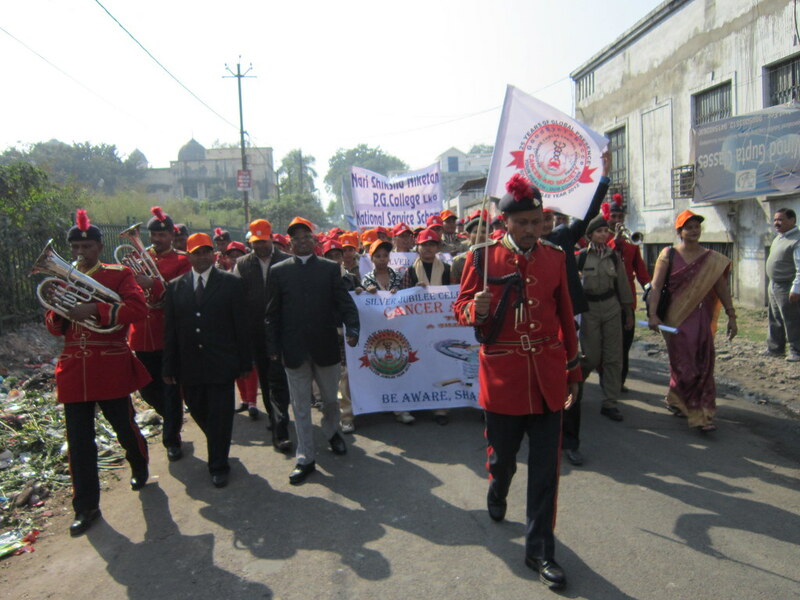 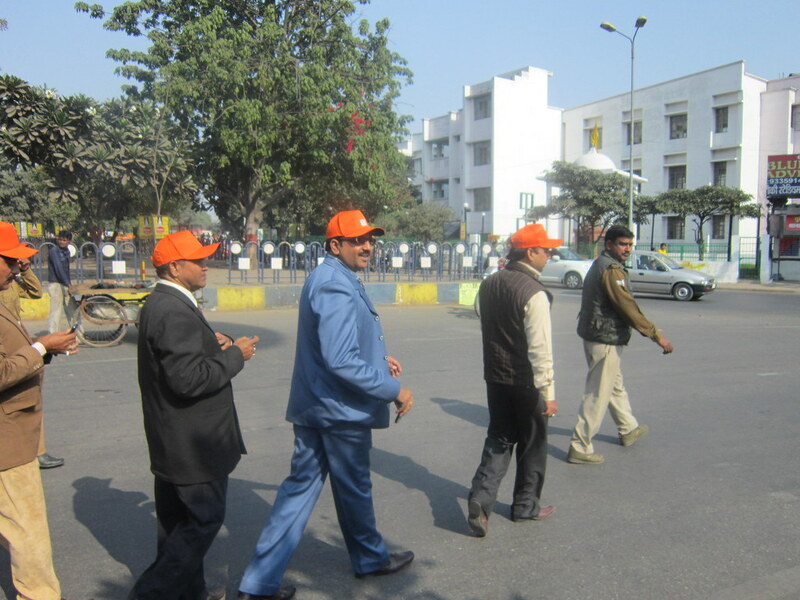 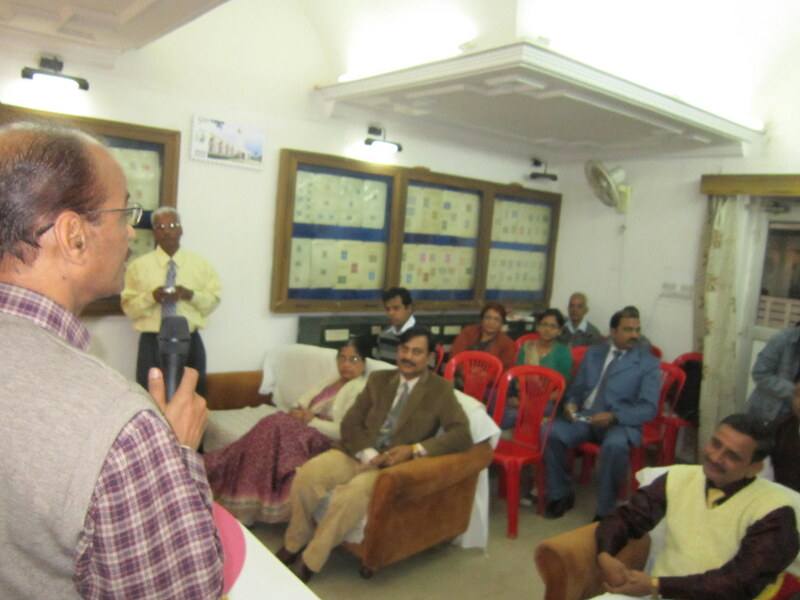 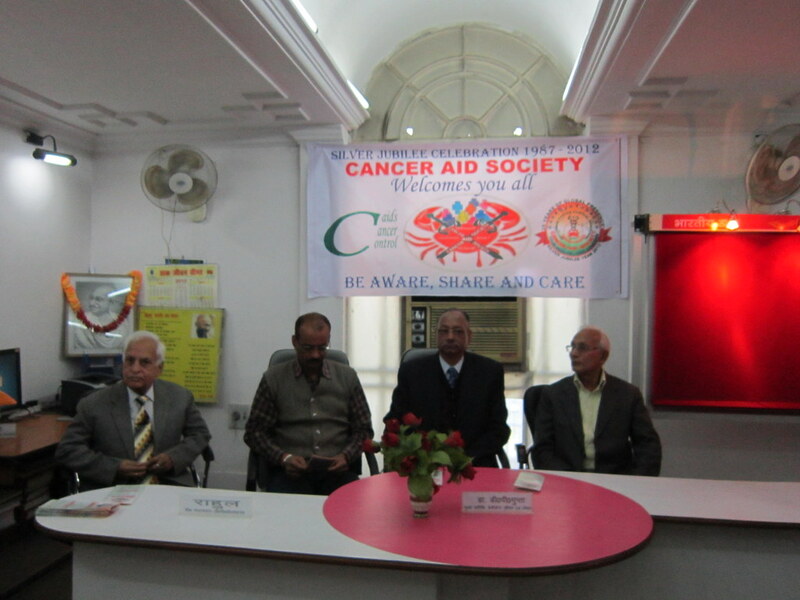 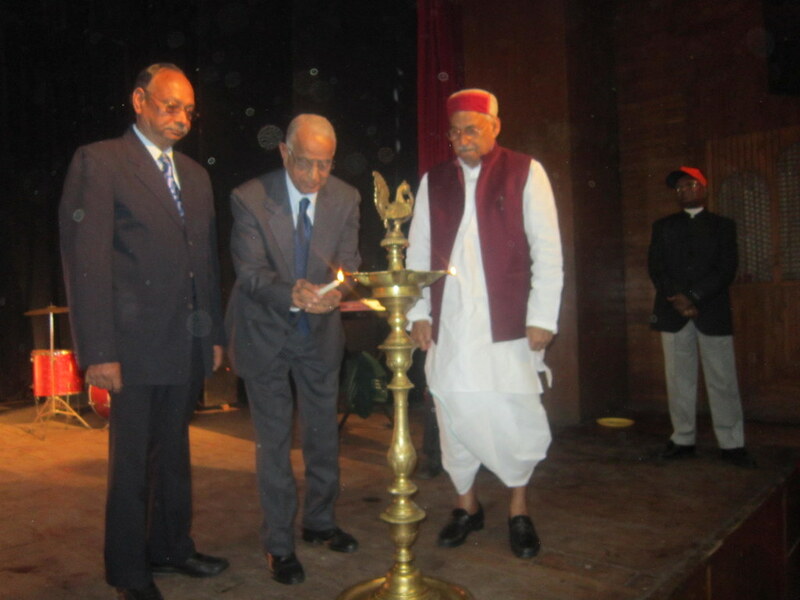 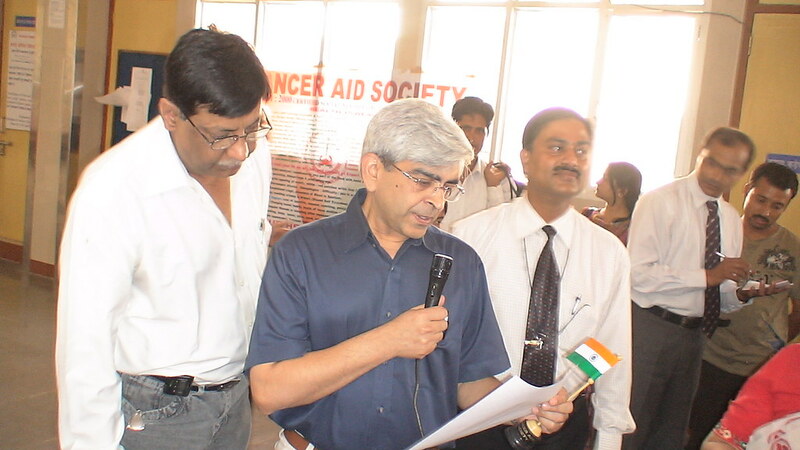 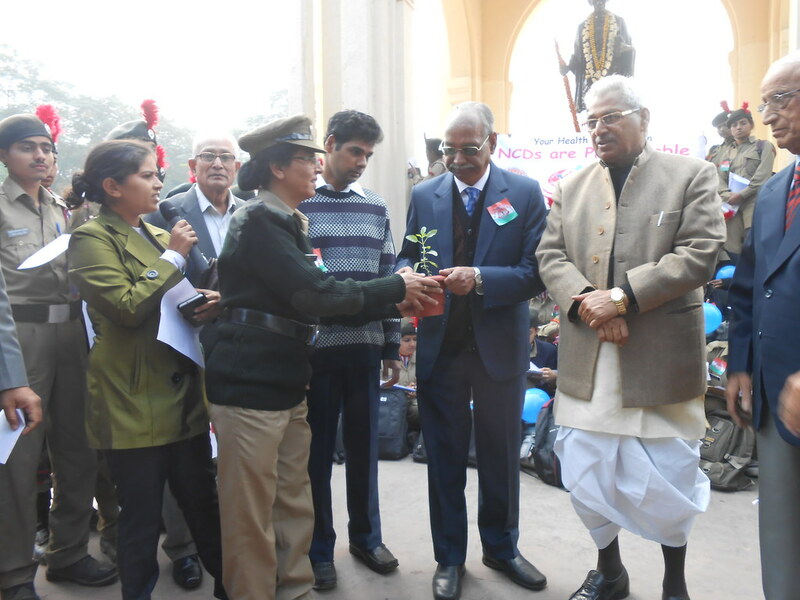 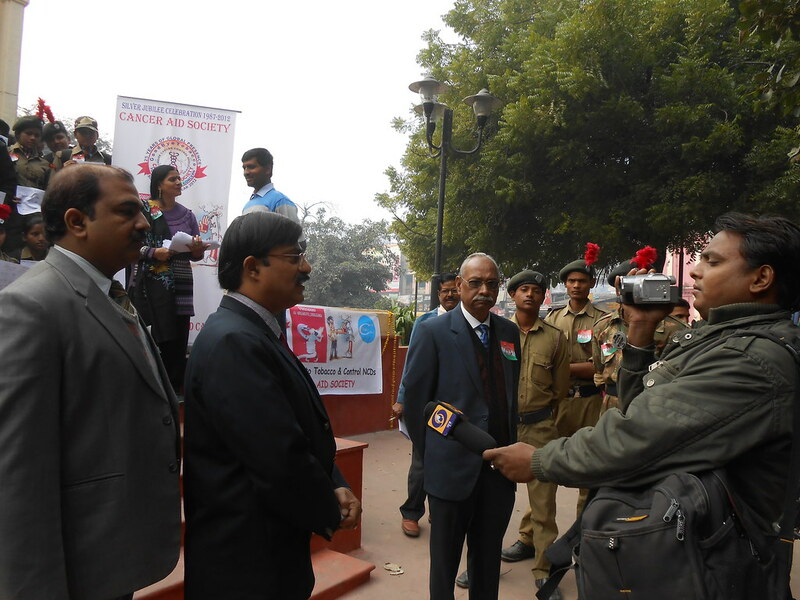 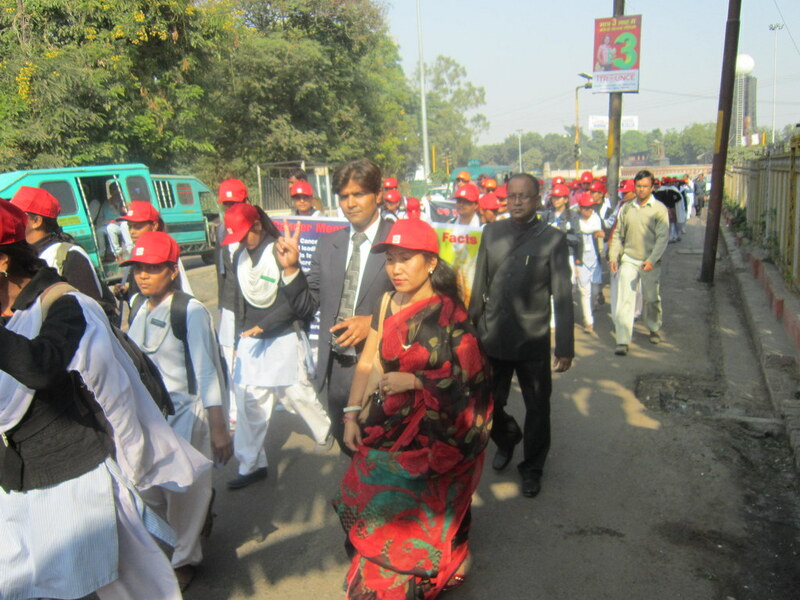 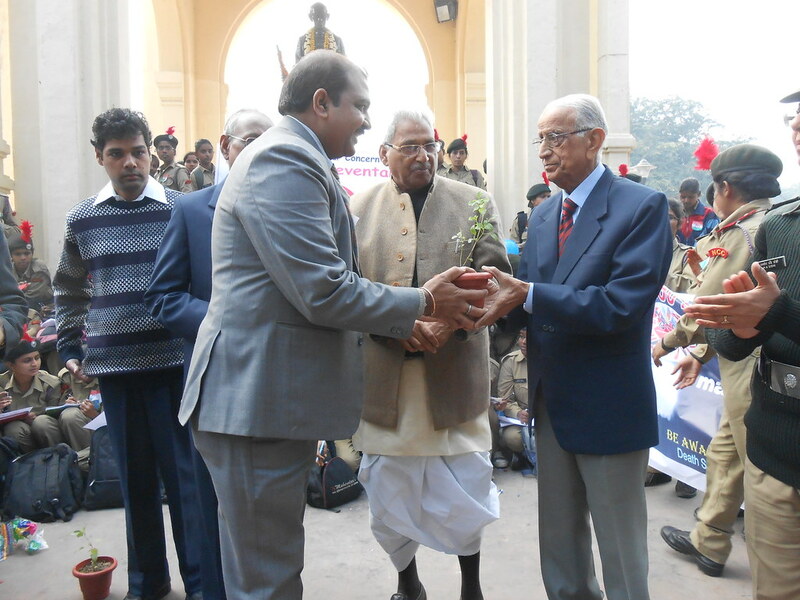 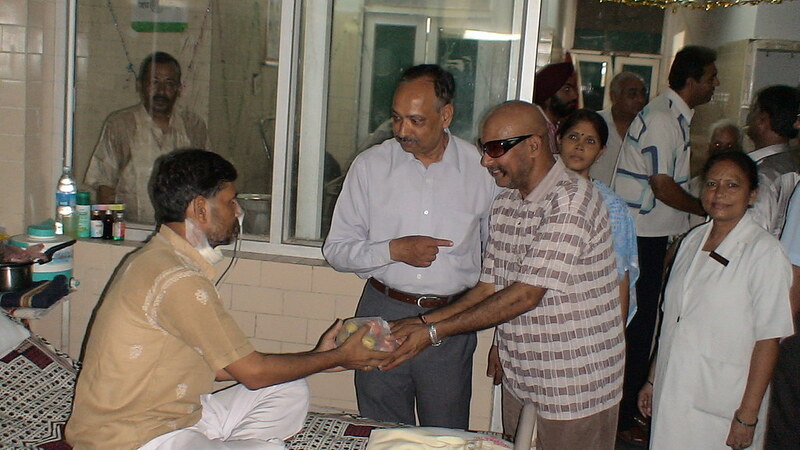 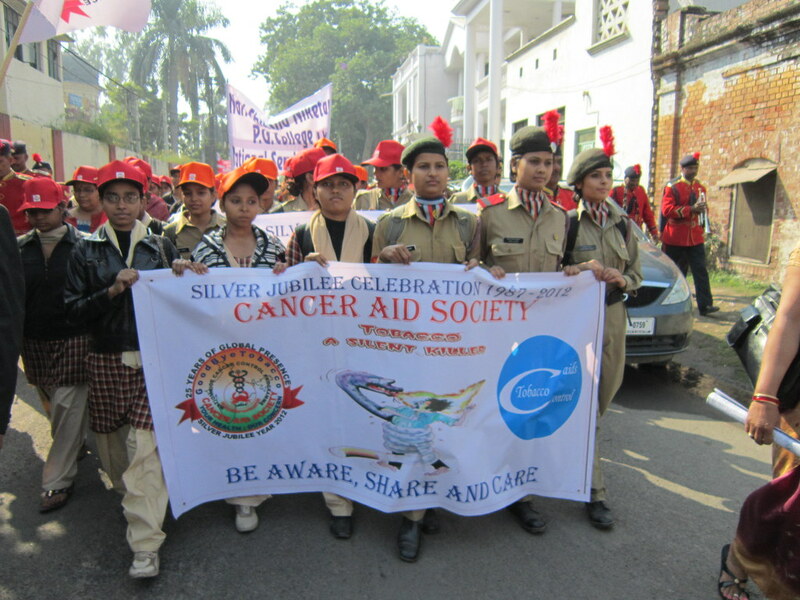 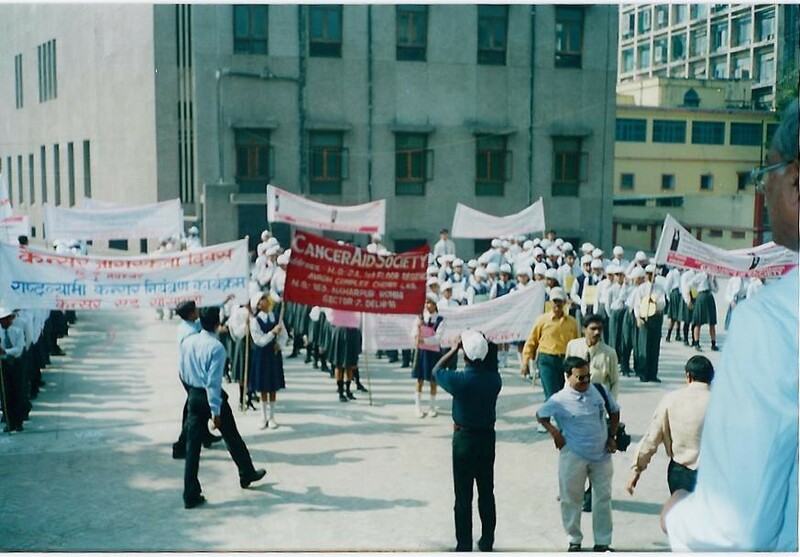 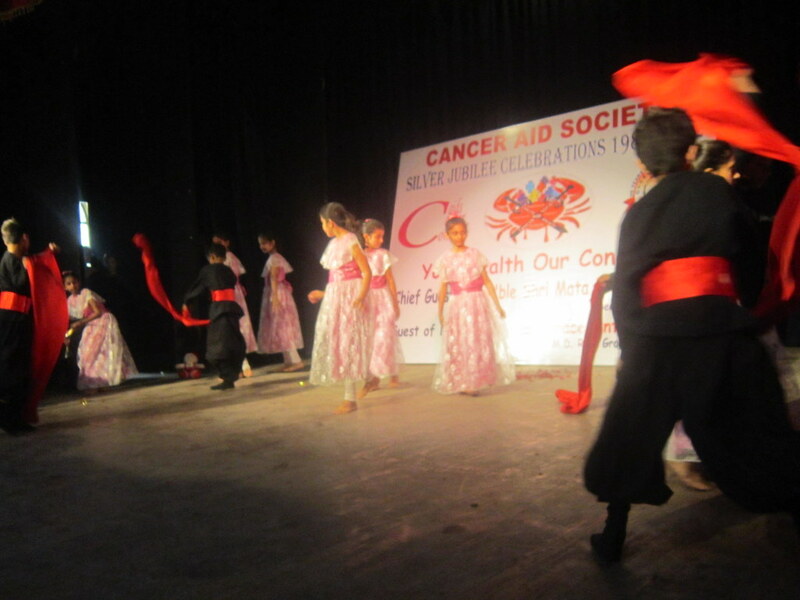 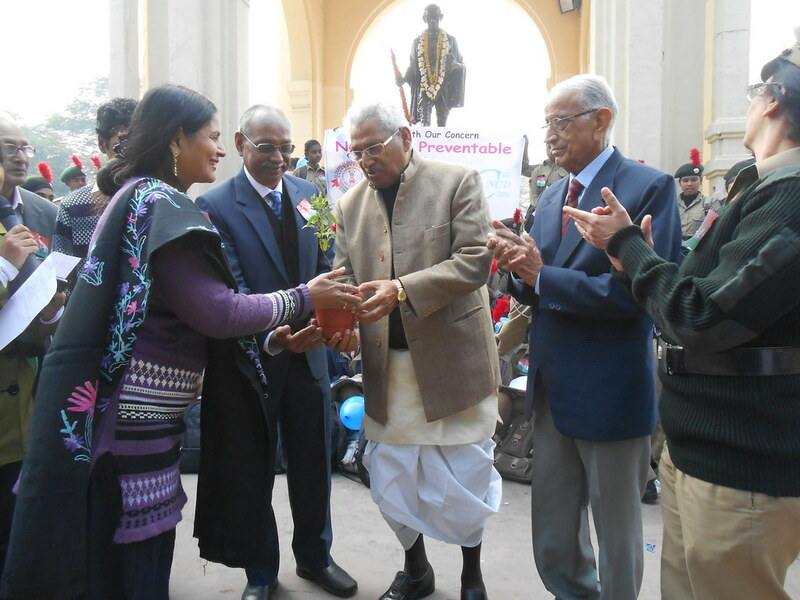 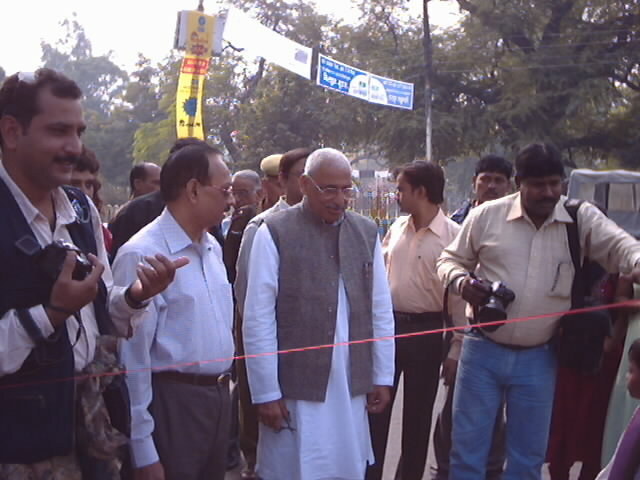 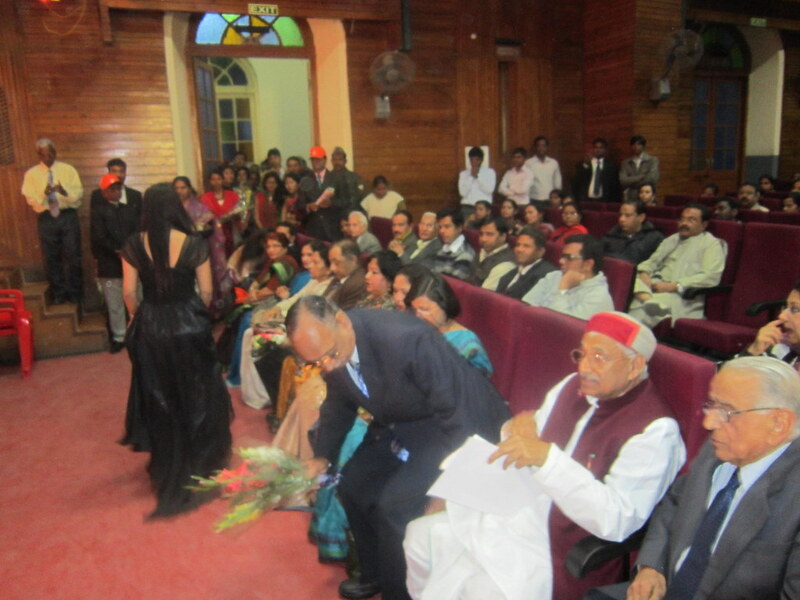 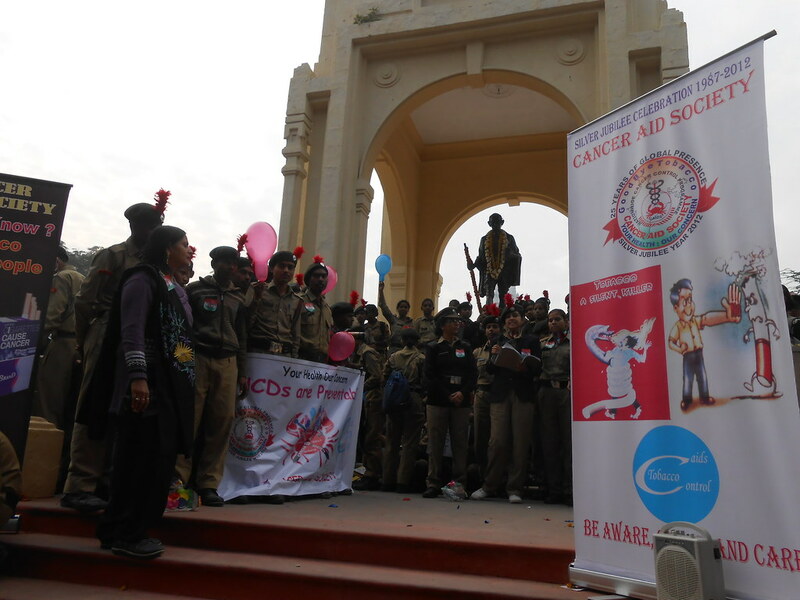 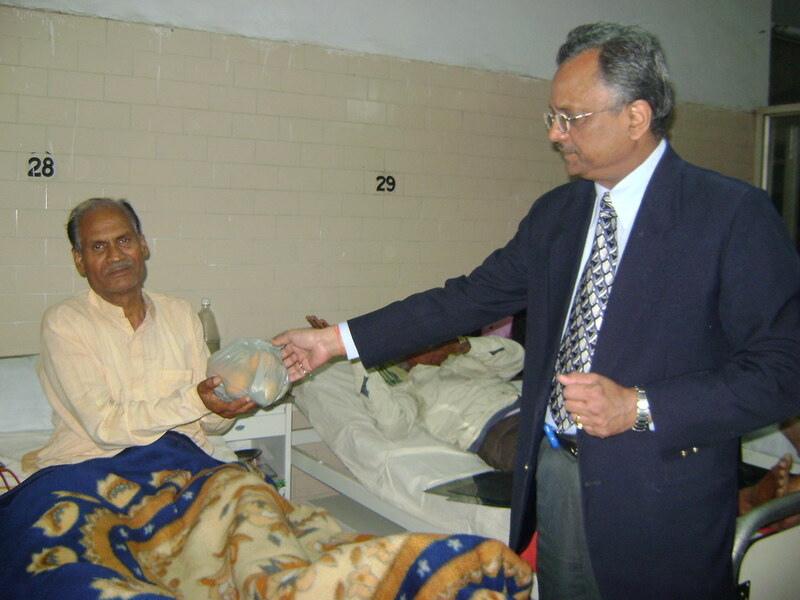 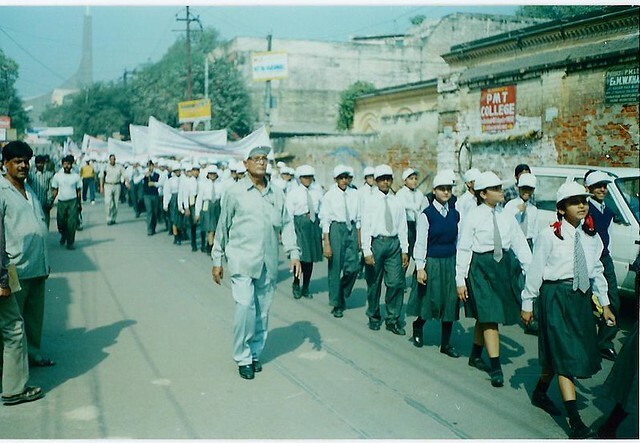 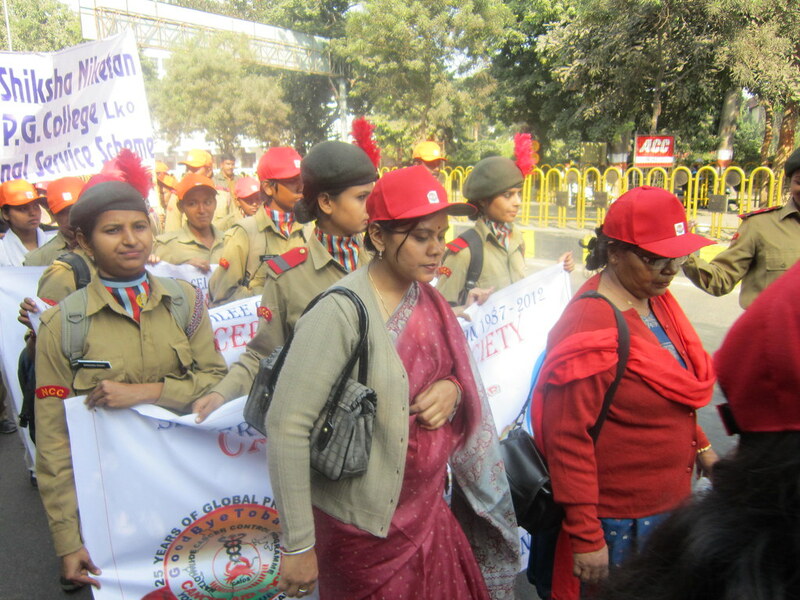 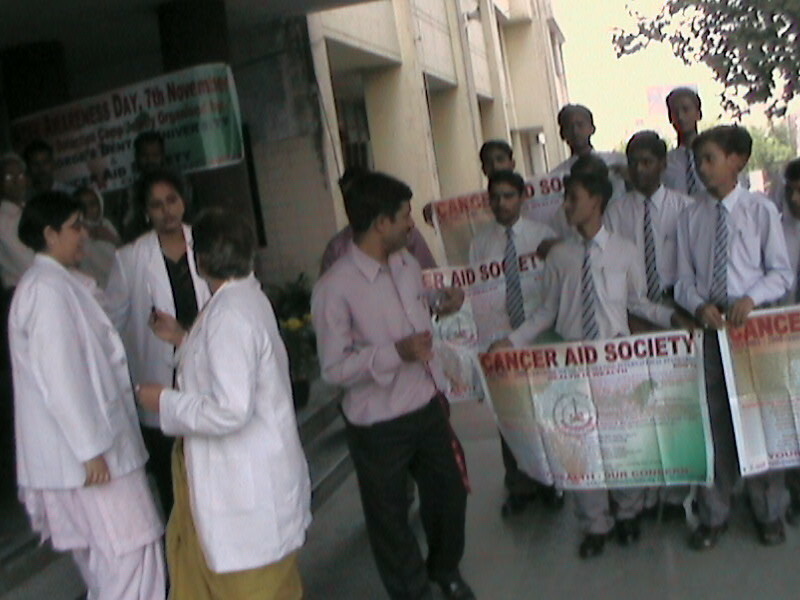 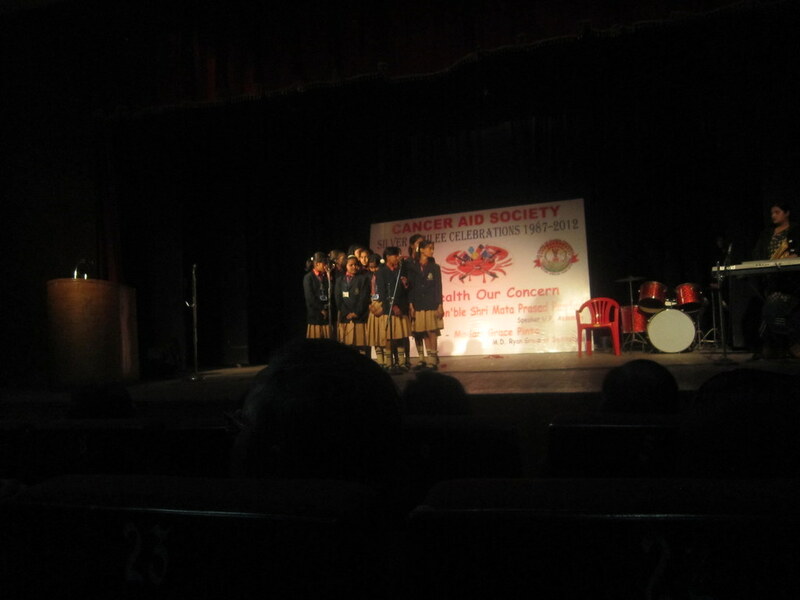 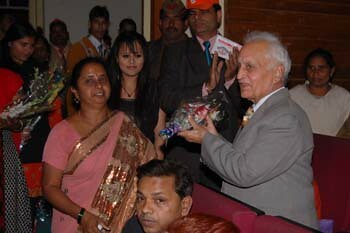 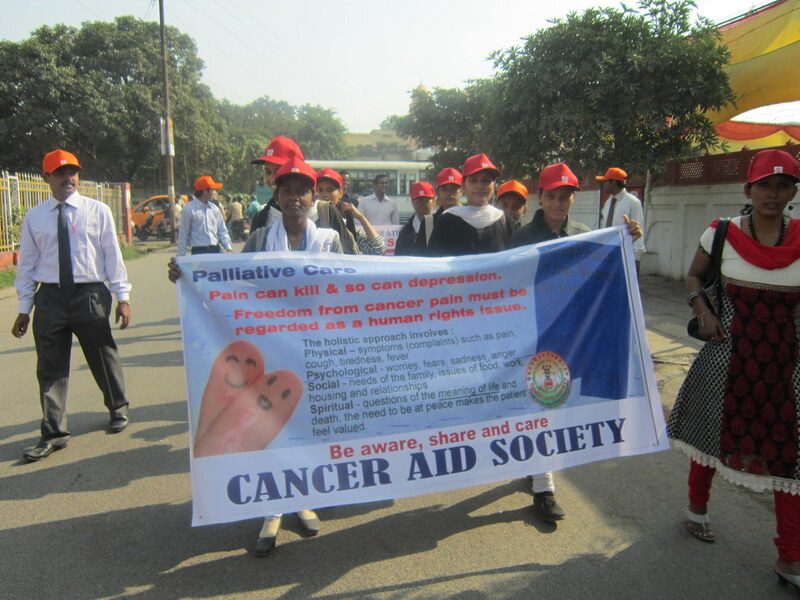 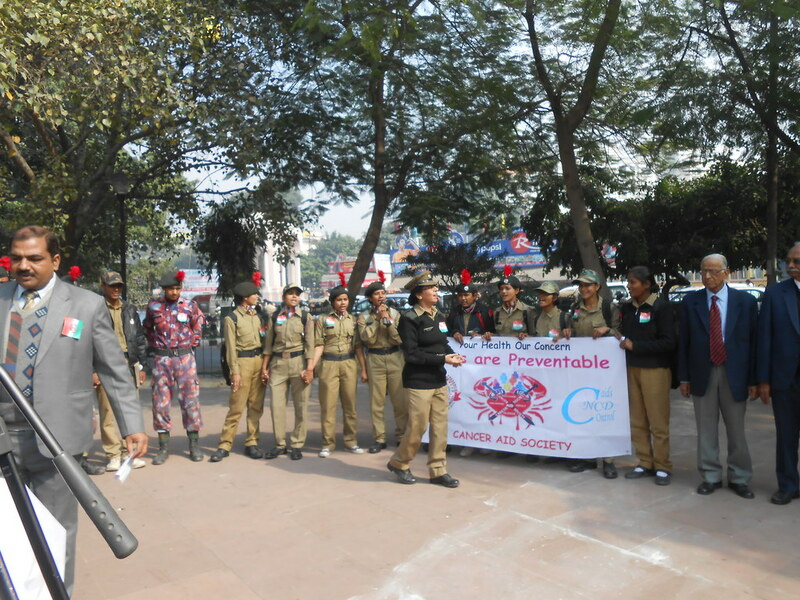 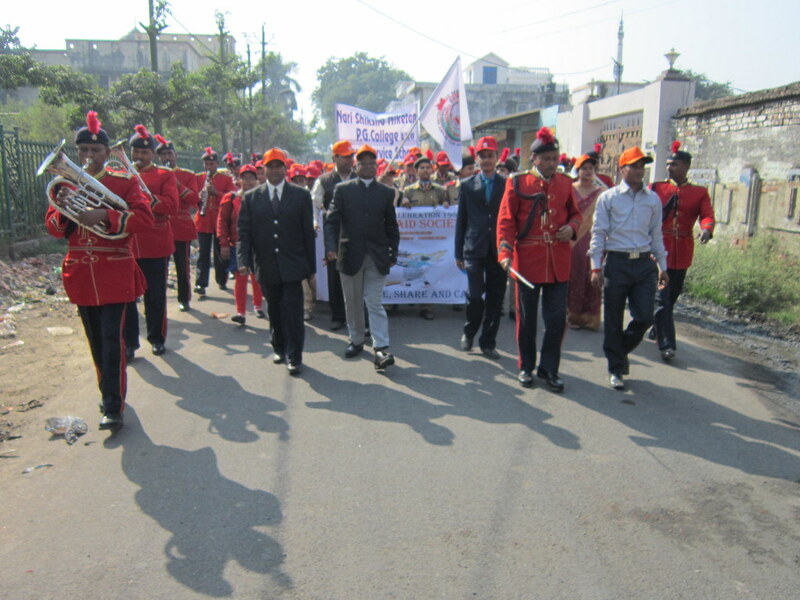 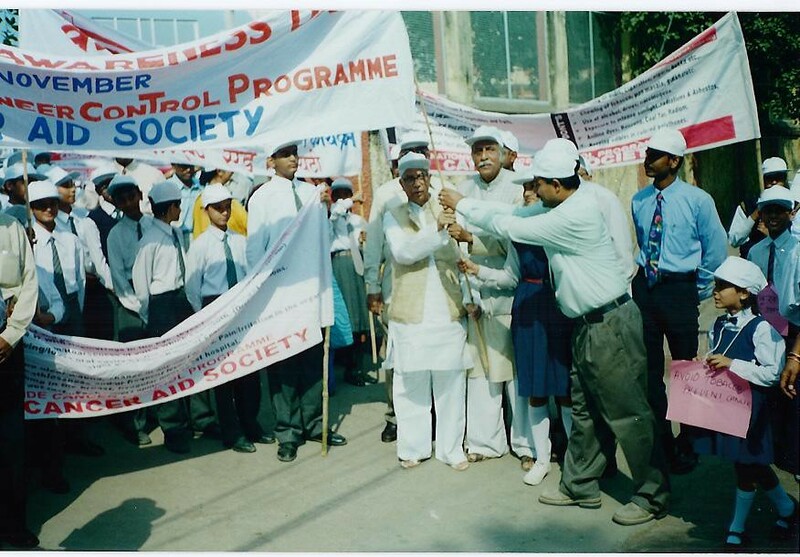 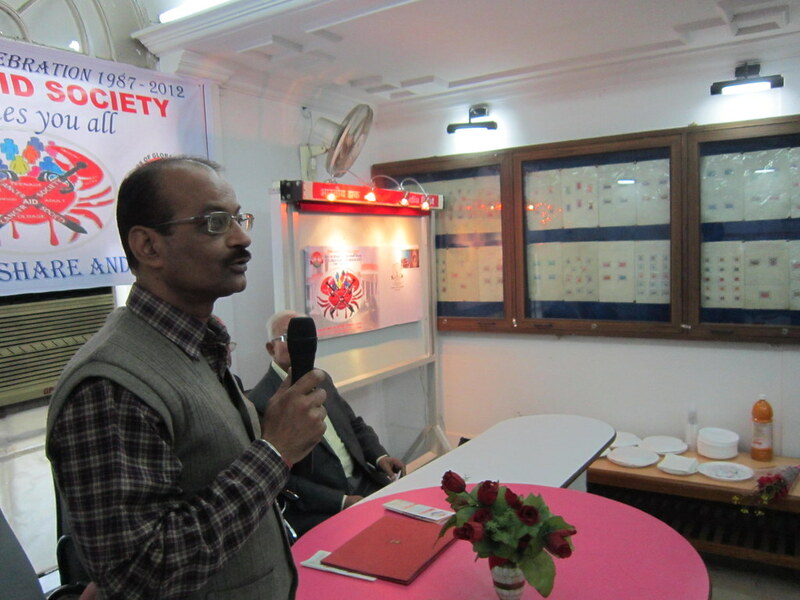 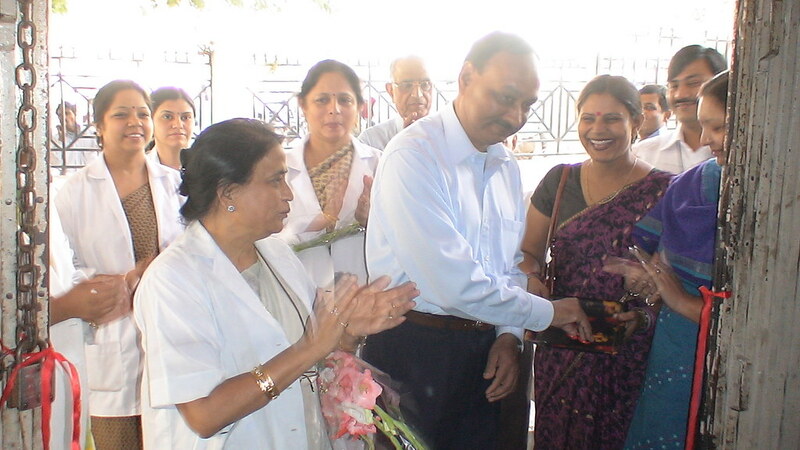 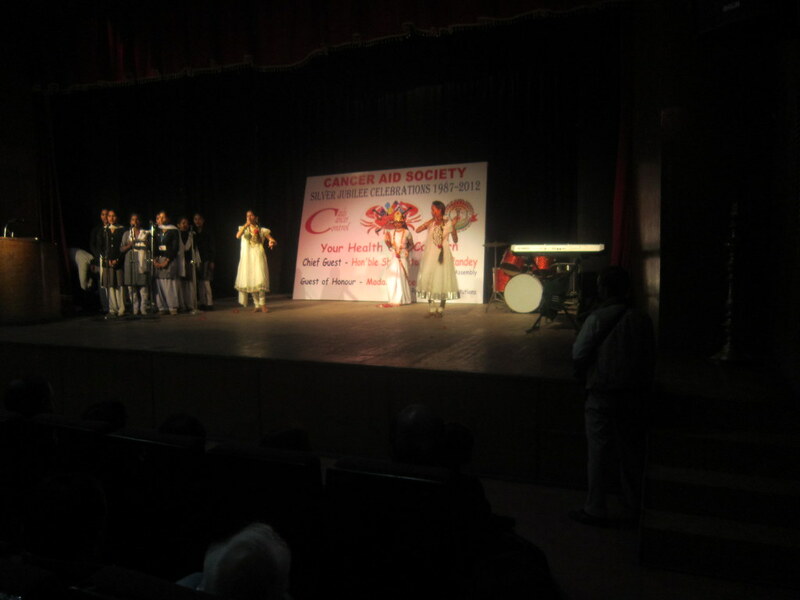 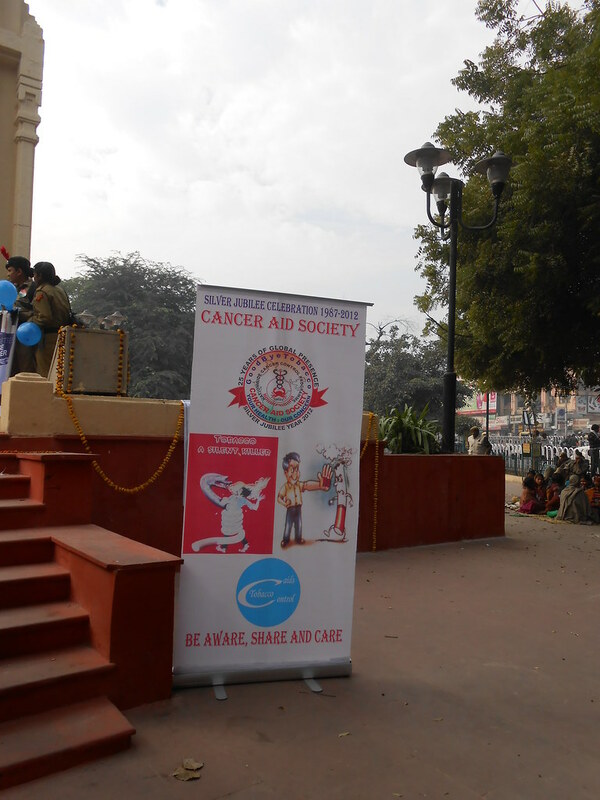 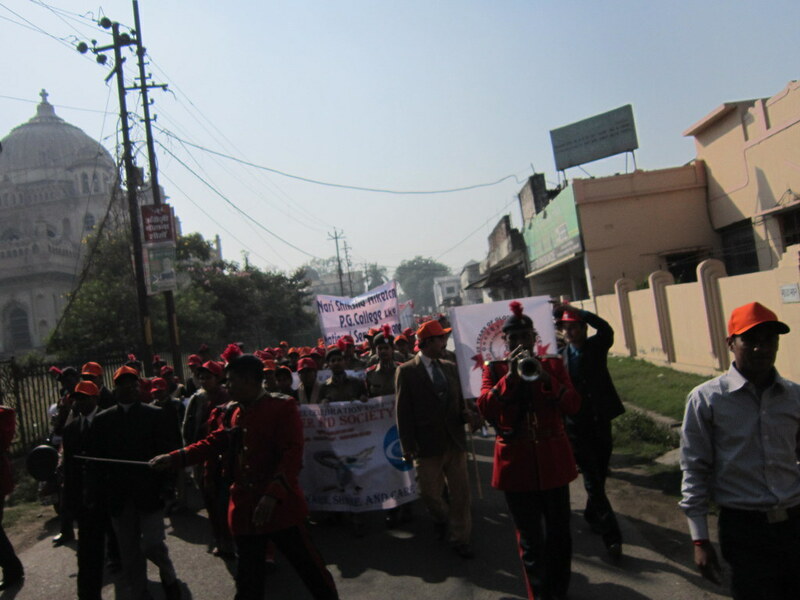 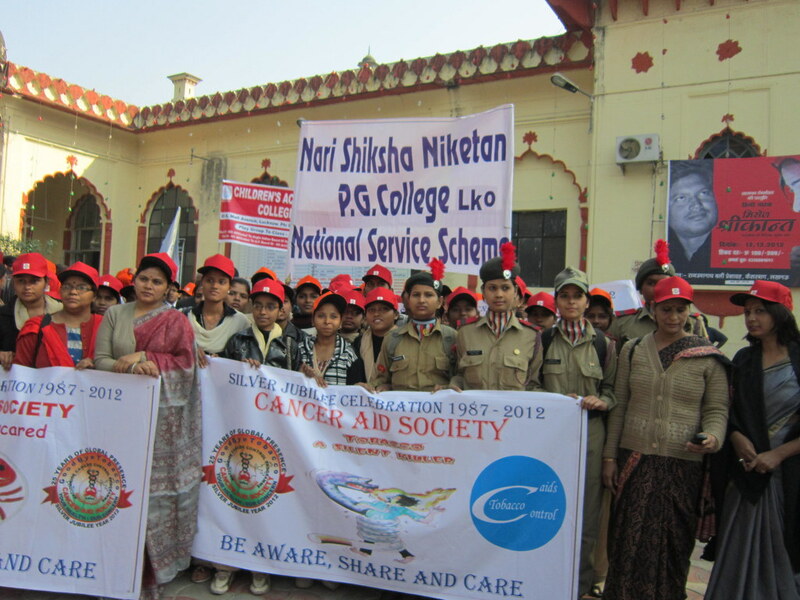 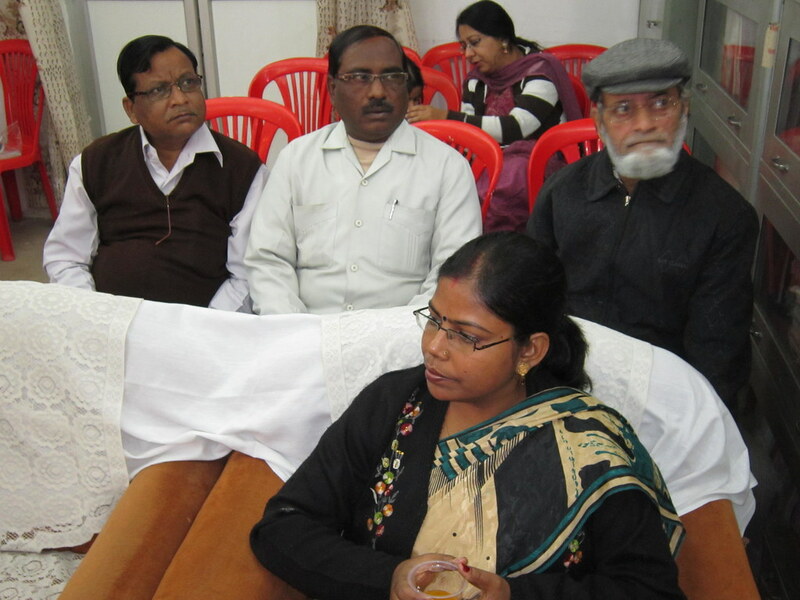 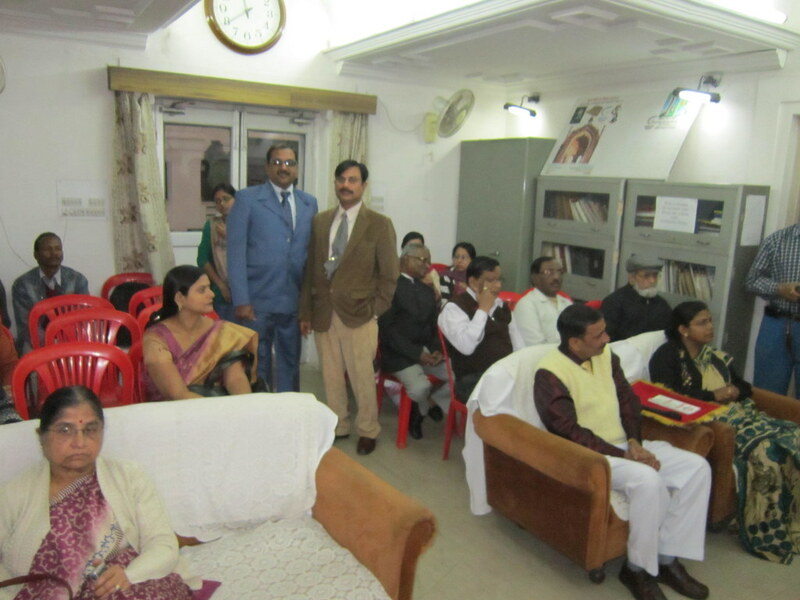 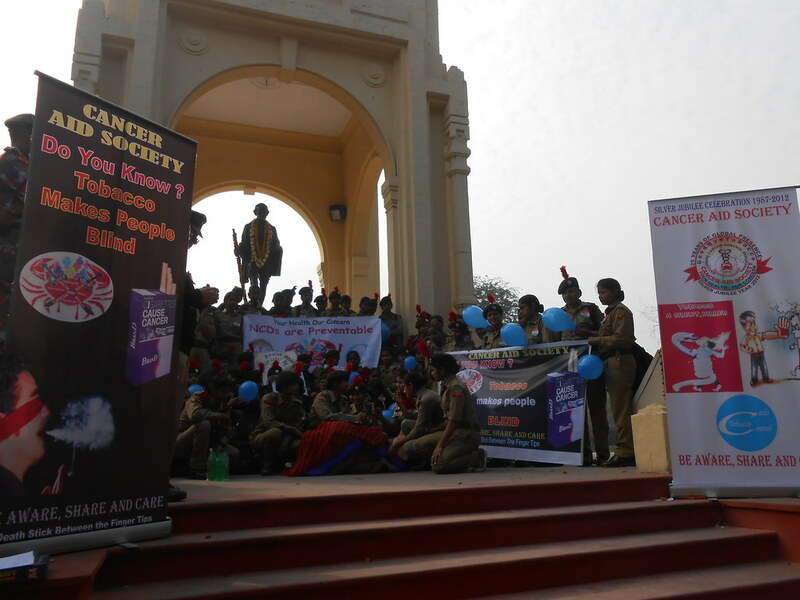 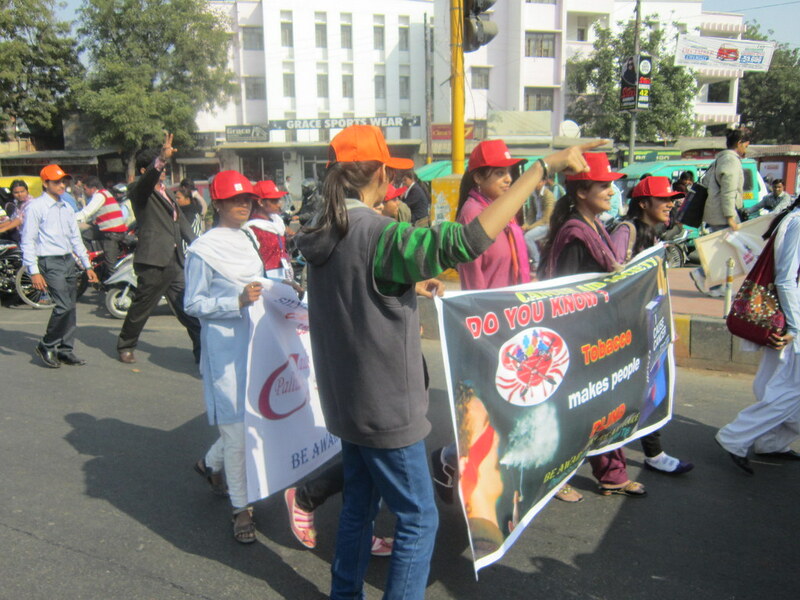 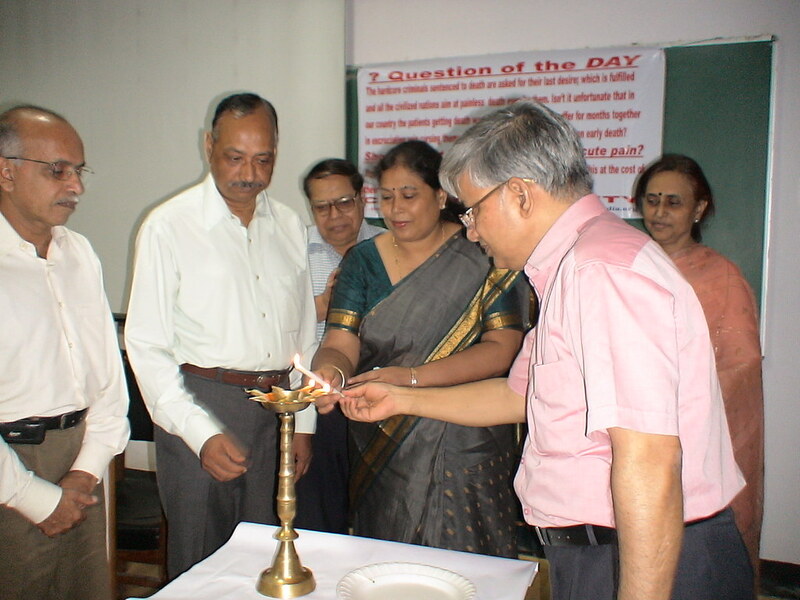 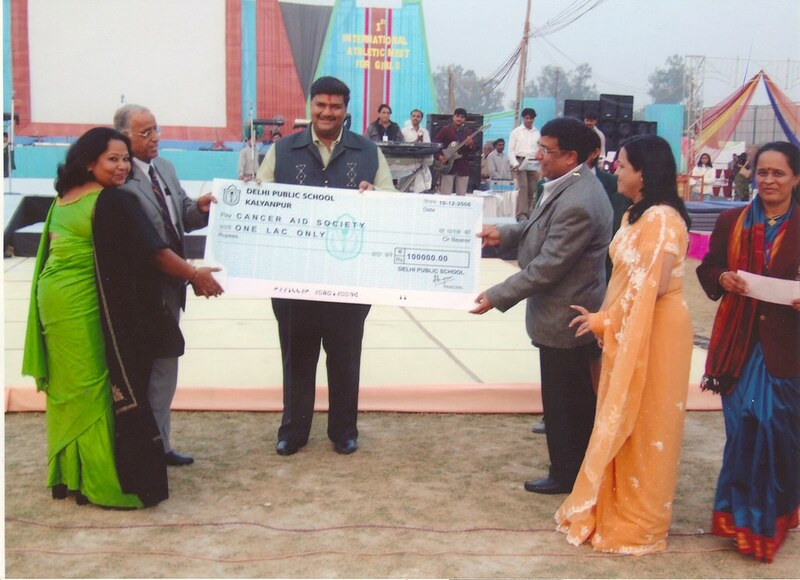 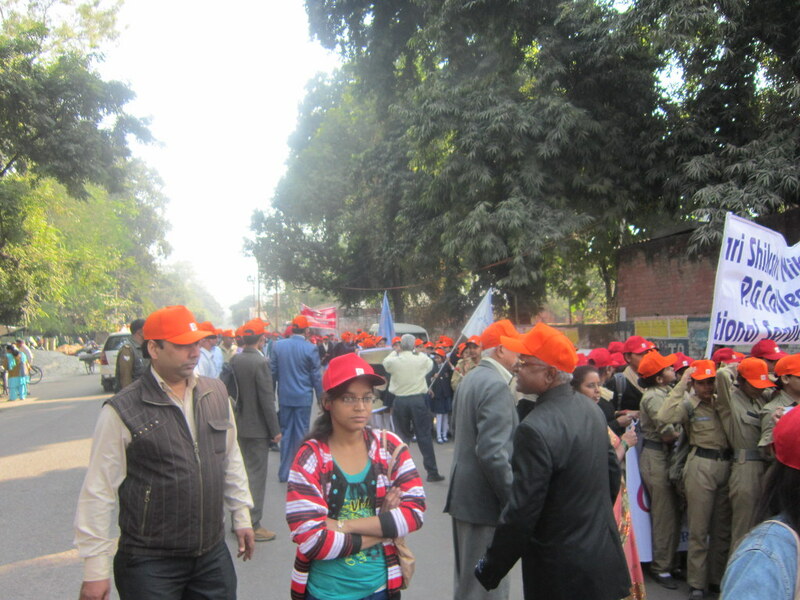 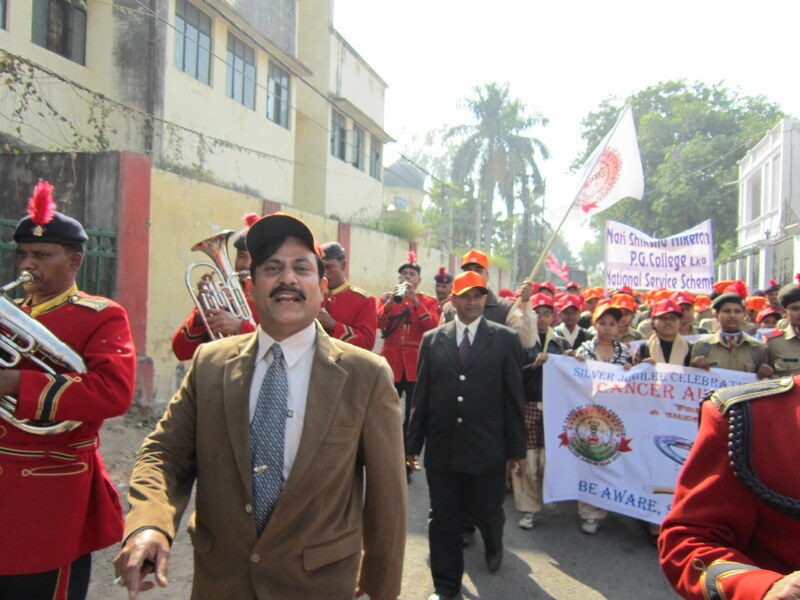 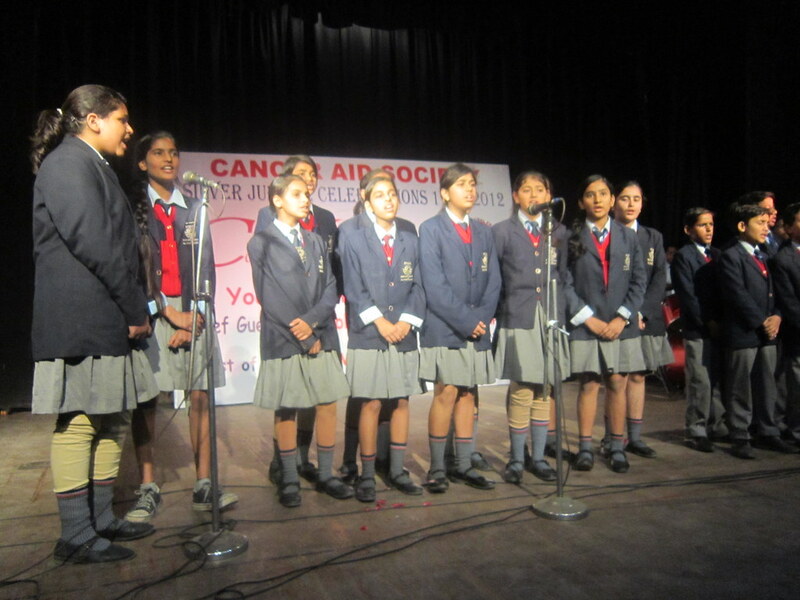 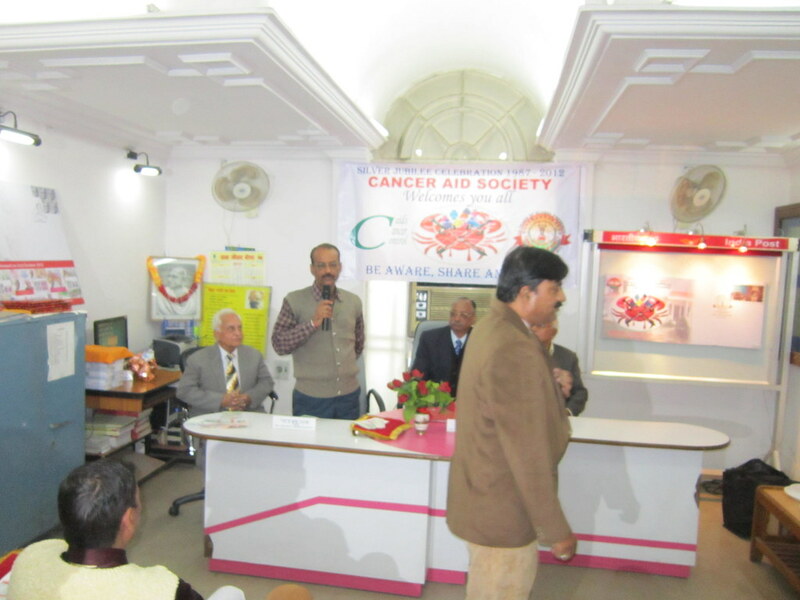 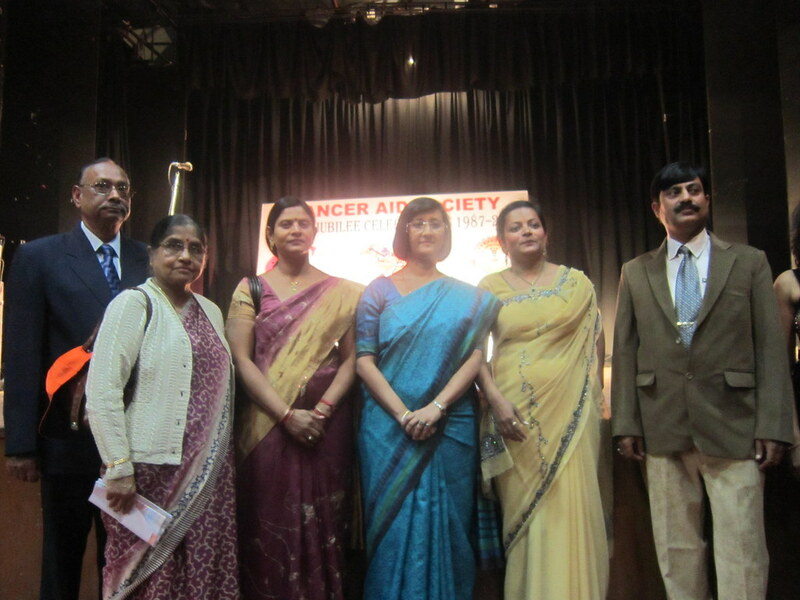 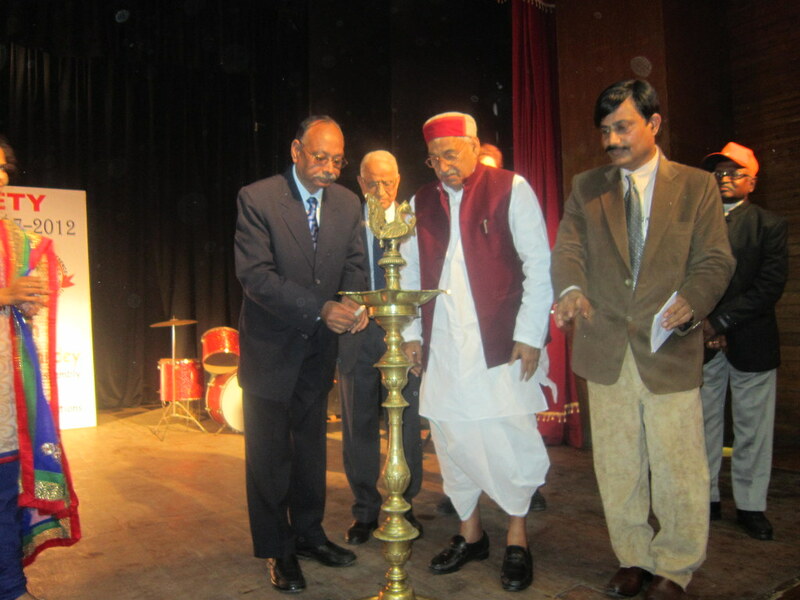 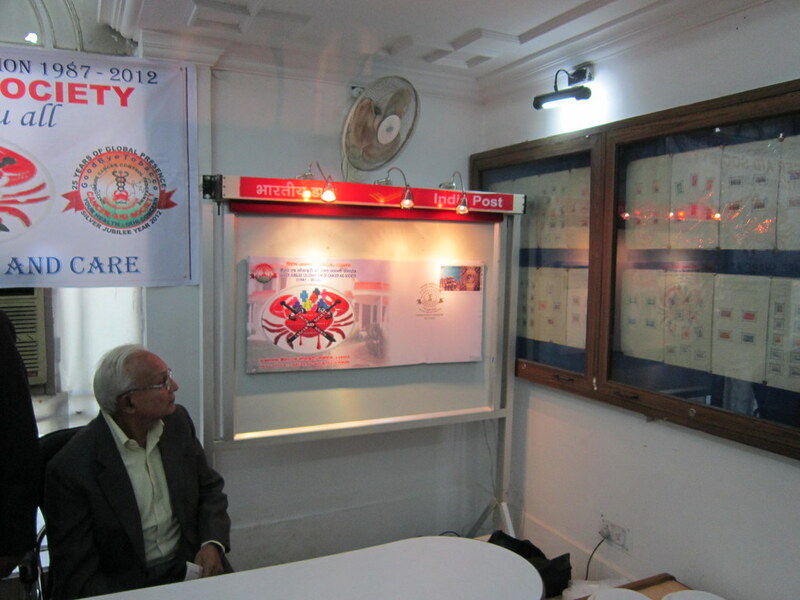 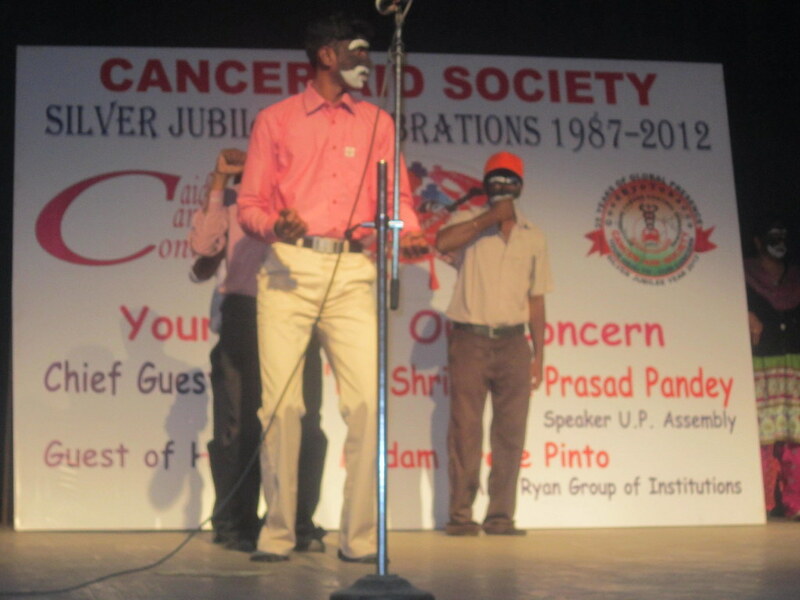 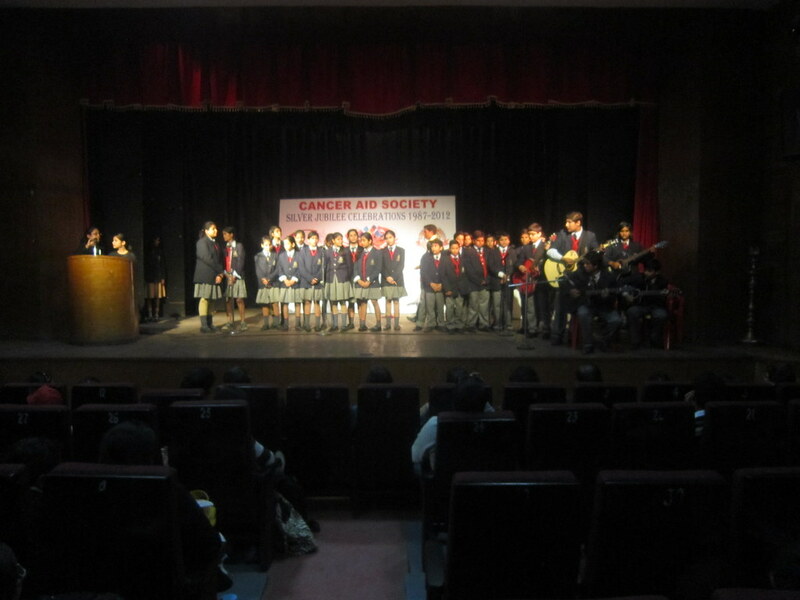 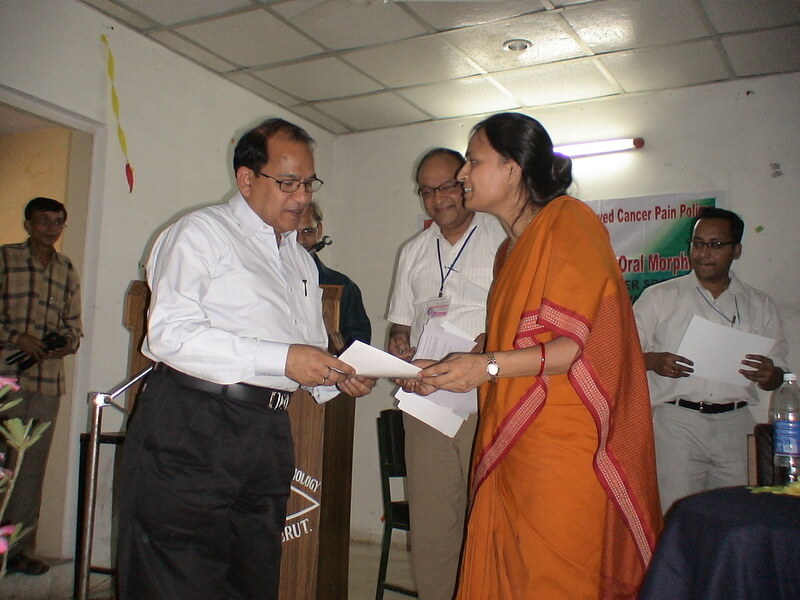 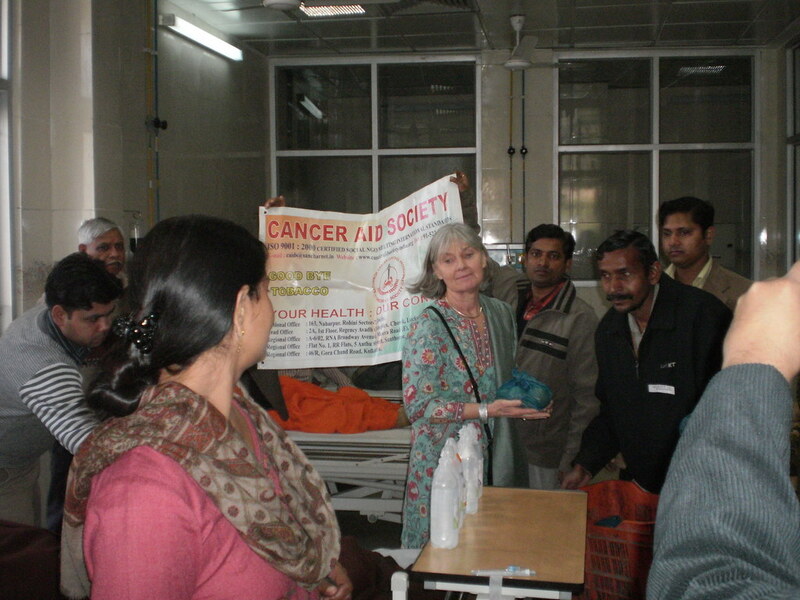 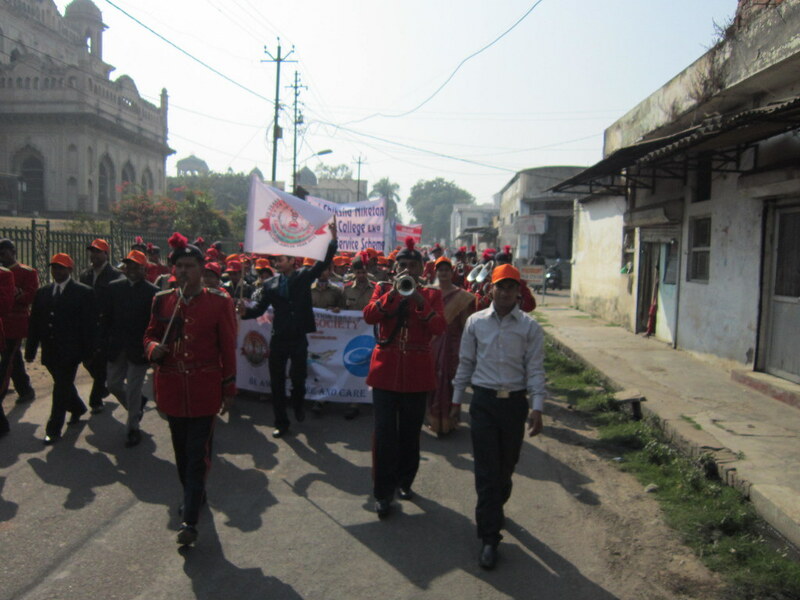 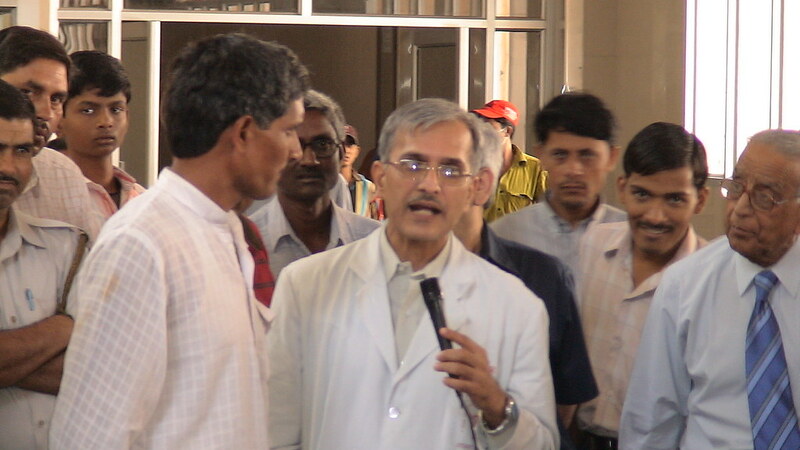 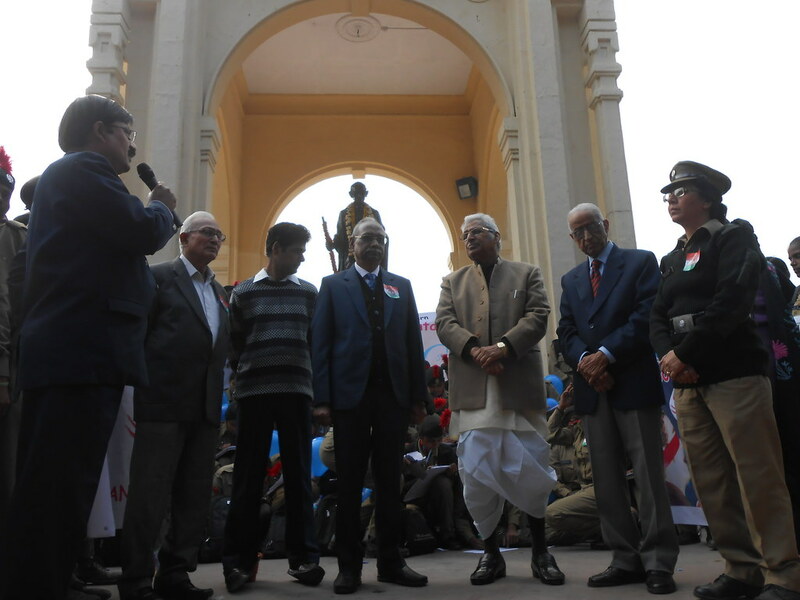 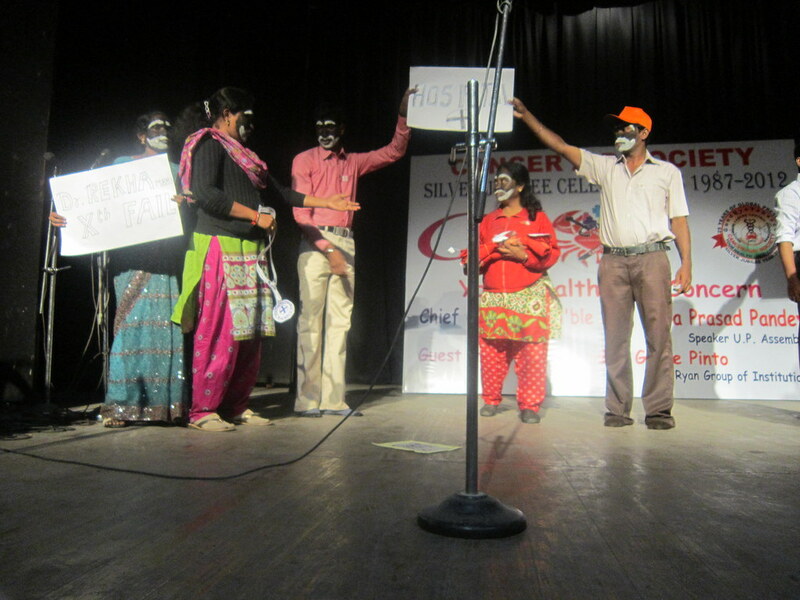 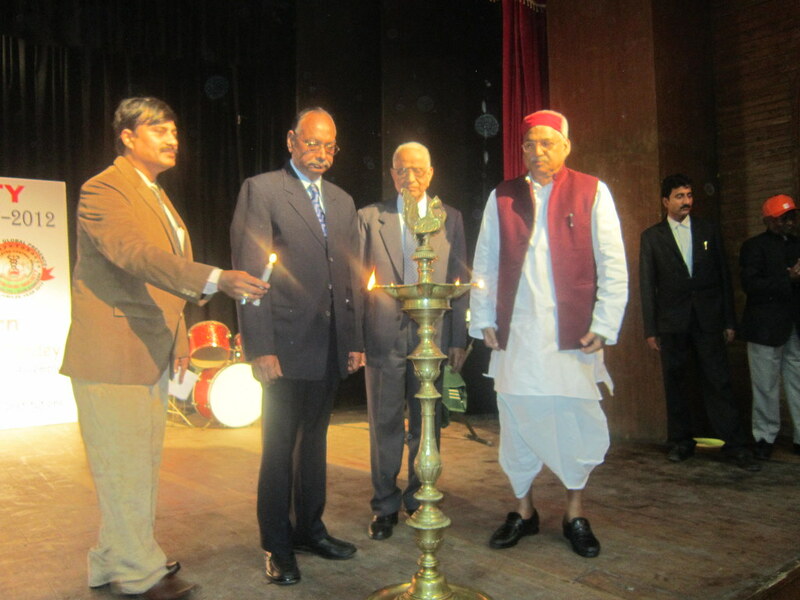 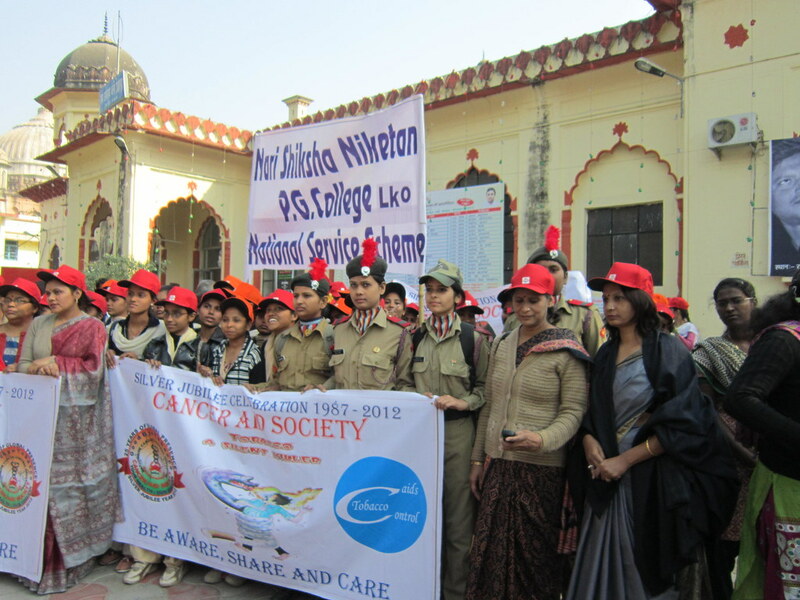 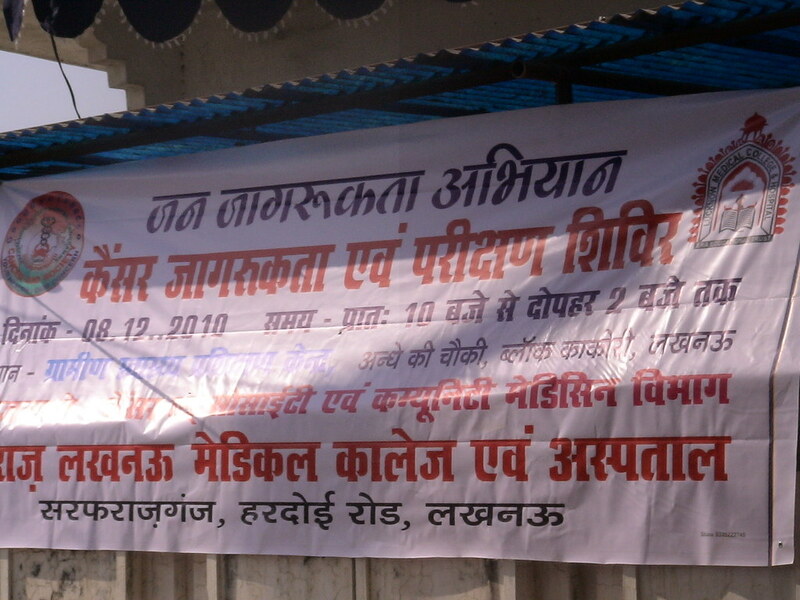 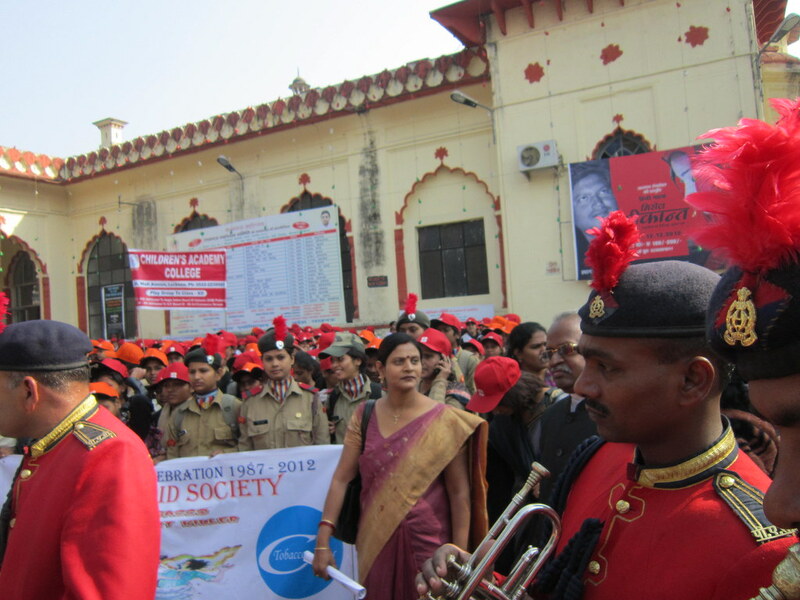 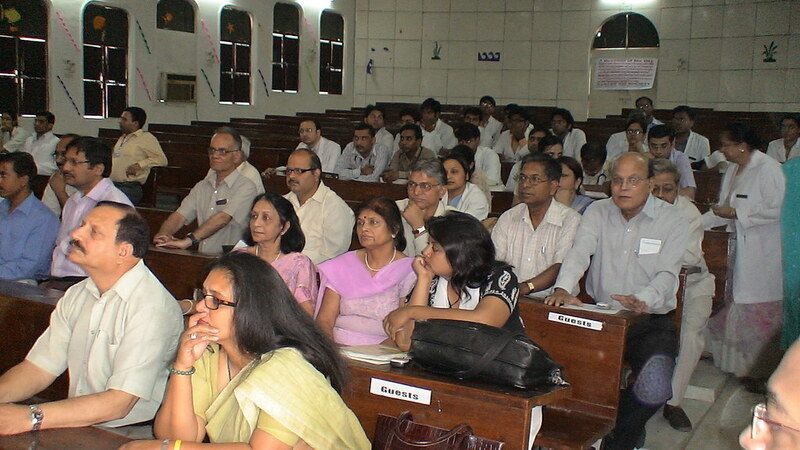 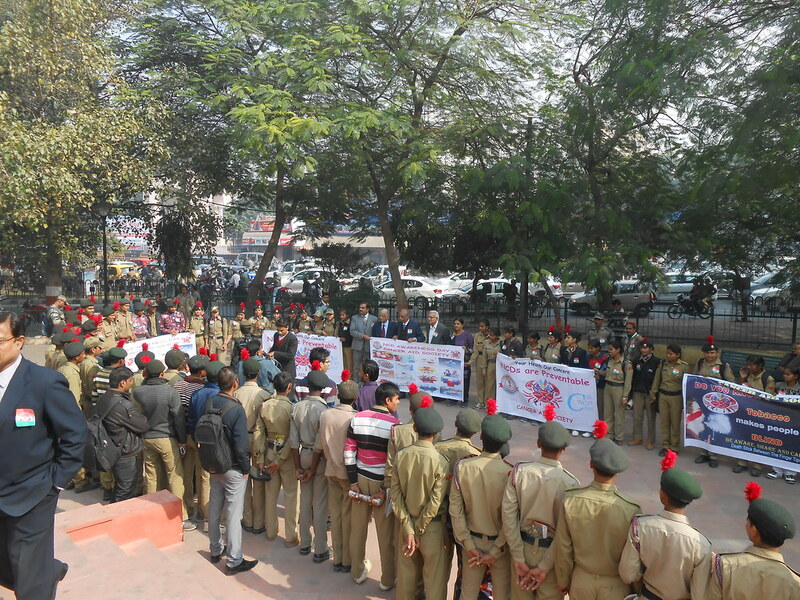 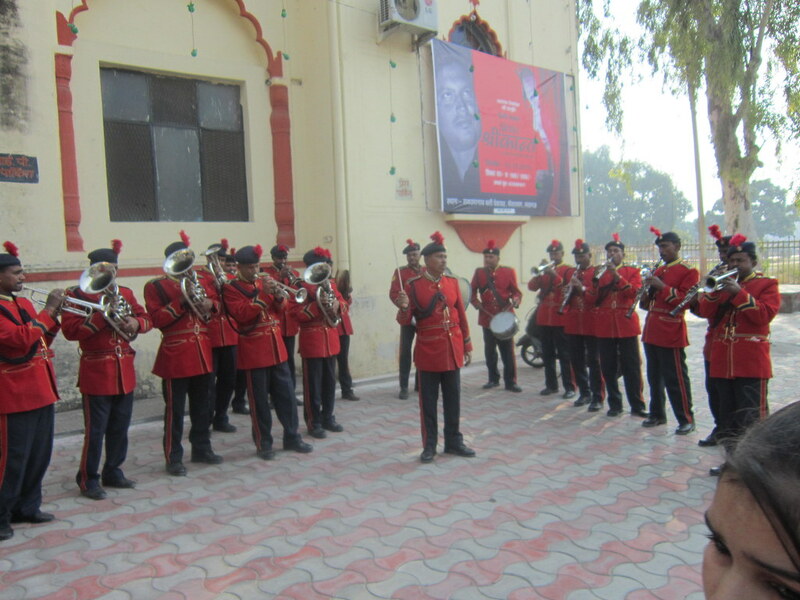 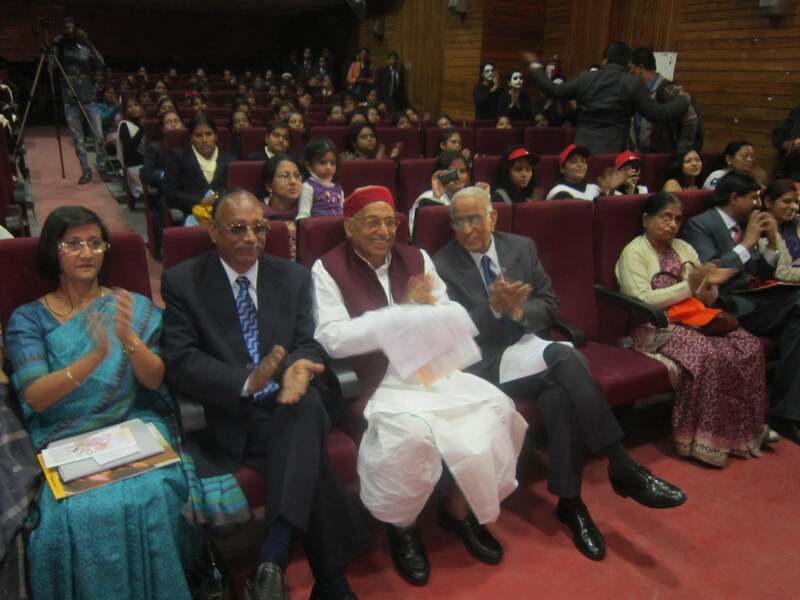 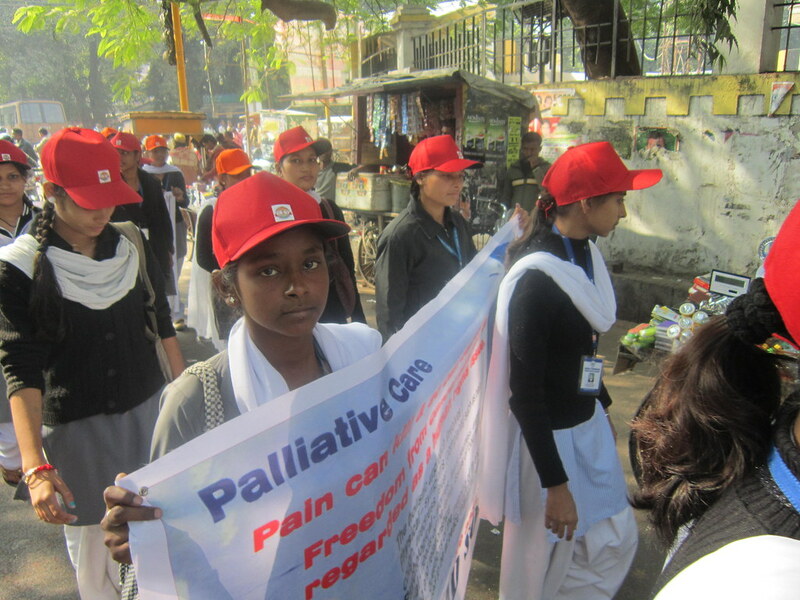 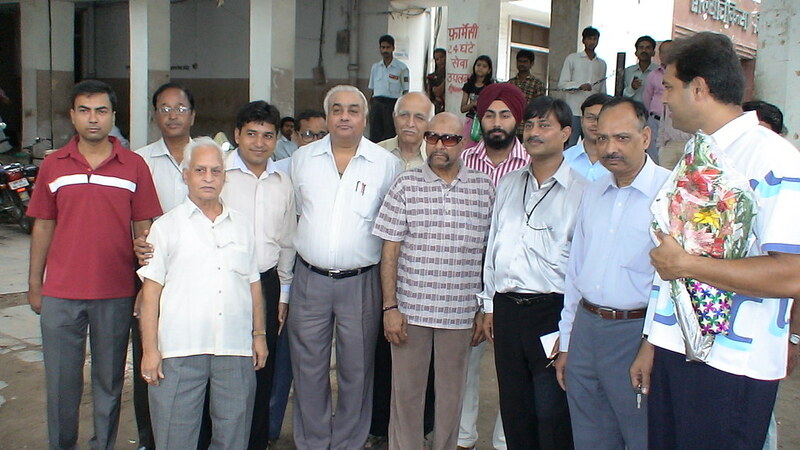 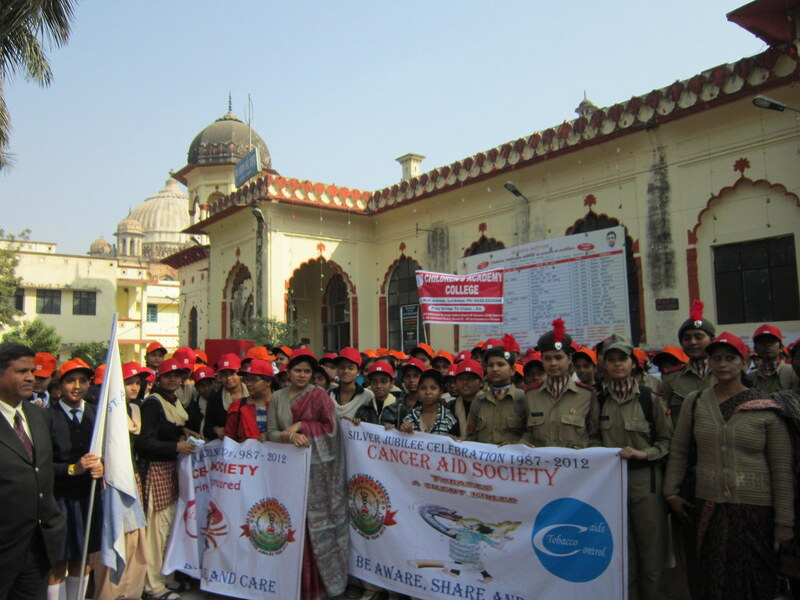 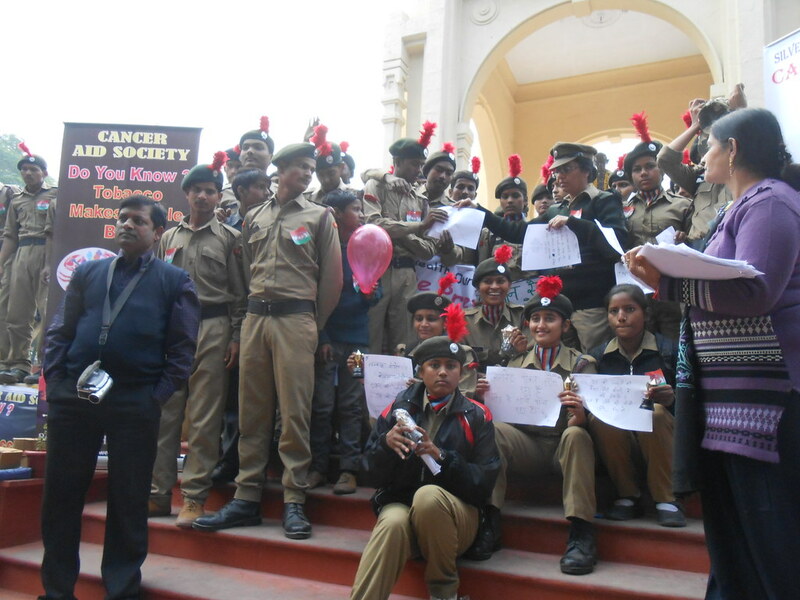 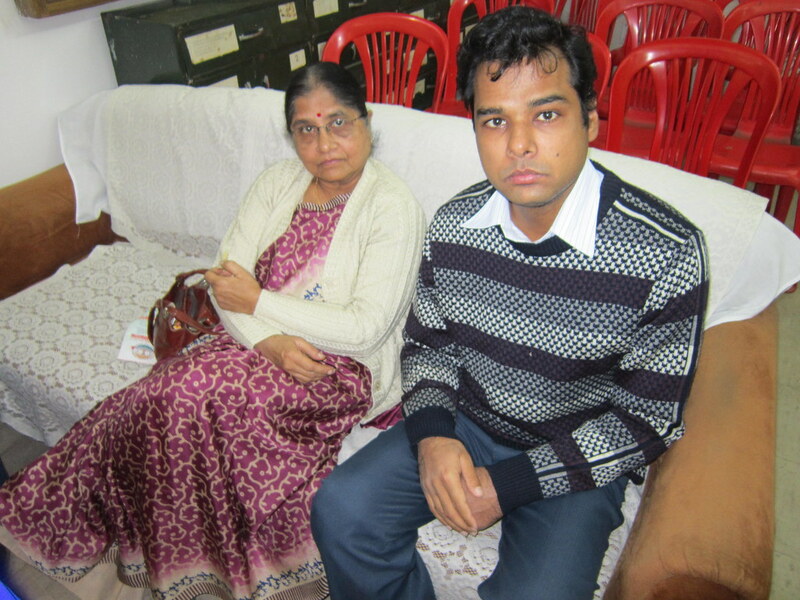 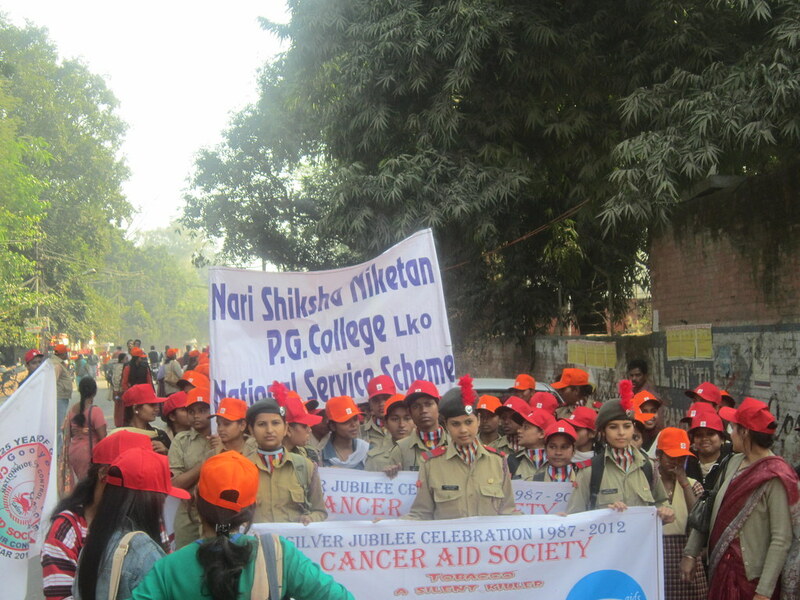 Since inception of Cancer Aid Society in 1987 at Lucknow, it followed the strategy of self reliance on Cancer & NCD Control by organizing awareness campaigns free of cost within the Community and mobilizing voluntary donations for the cause. 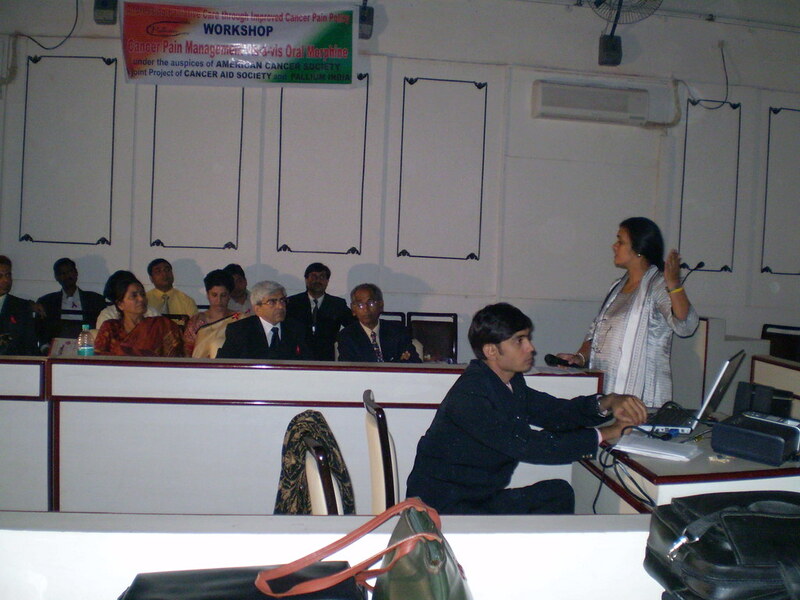 Our Model on Community awareness is unmatched globally in absence of funding and has been scaled up from Local to Regional Level through replicability and local adaptability in regional languages. 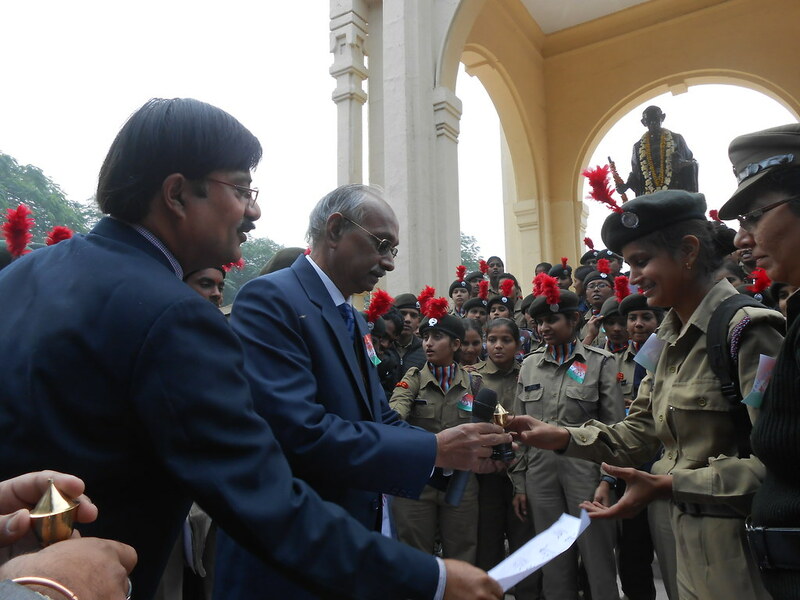 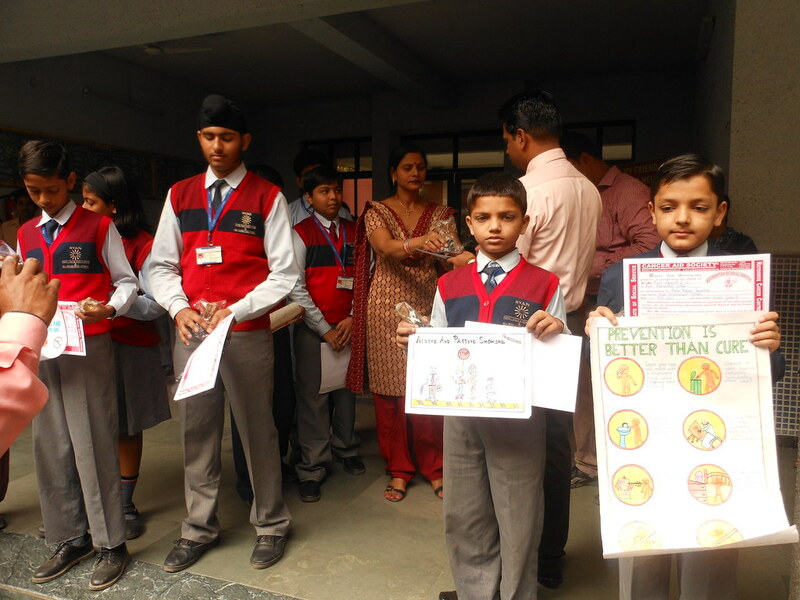 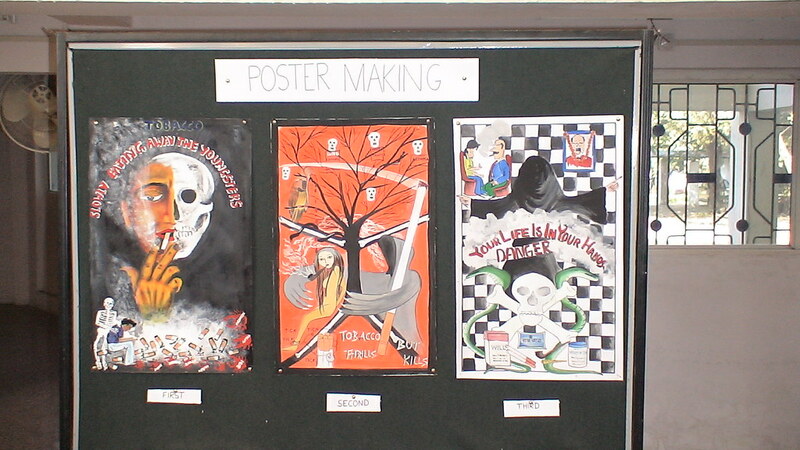 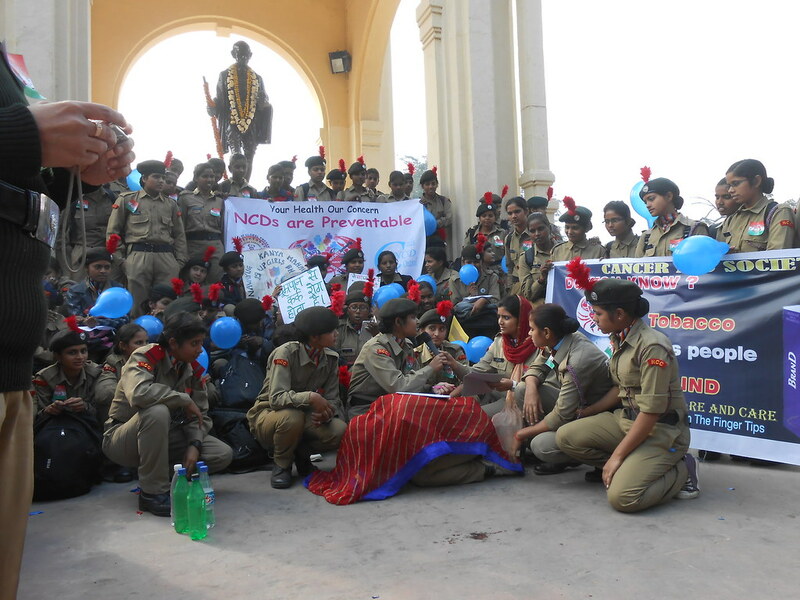 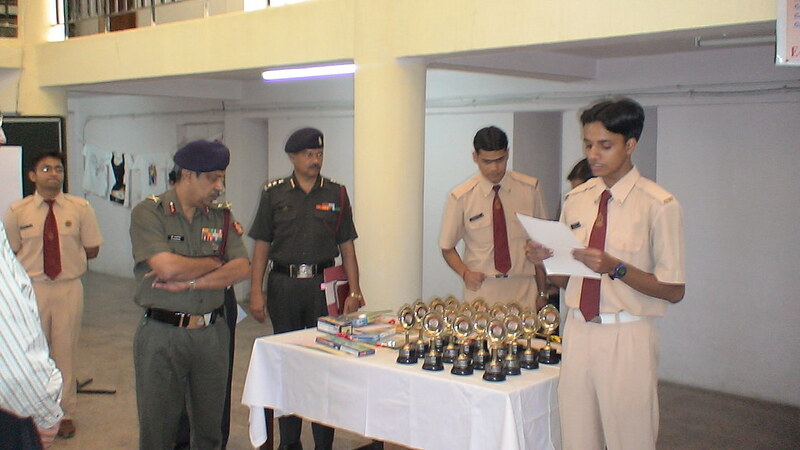 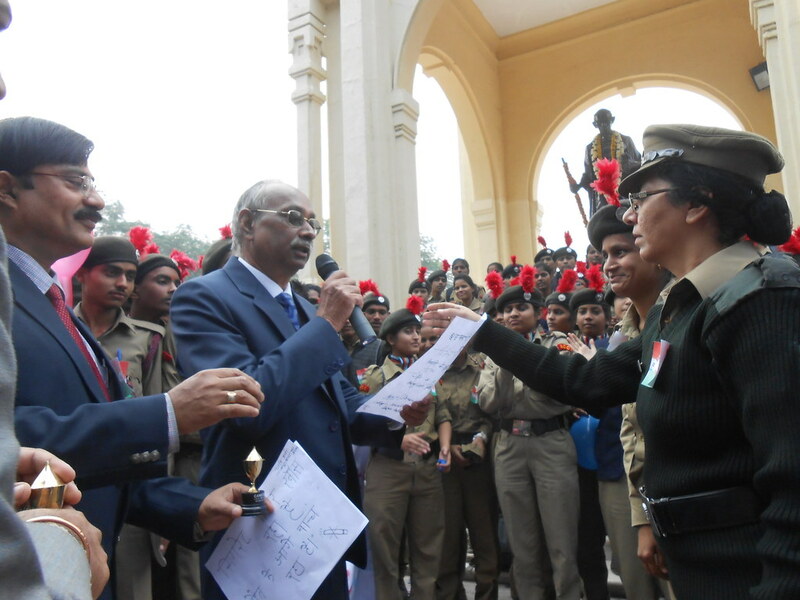 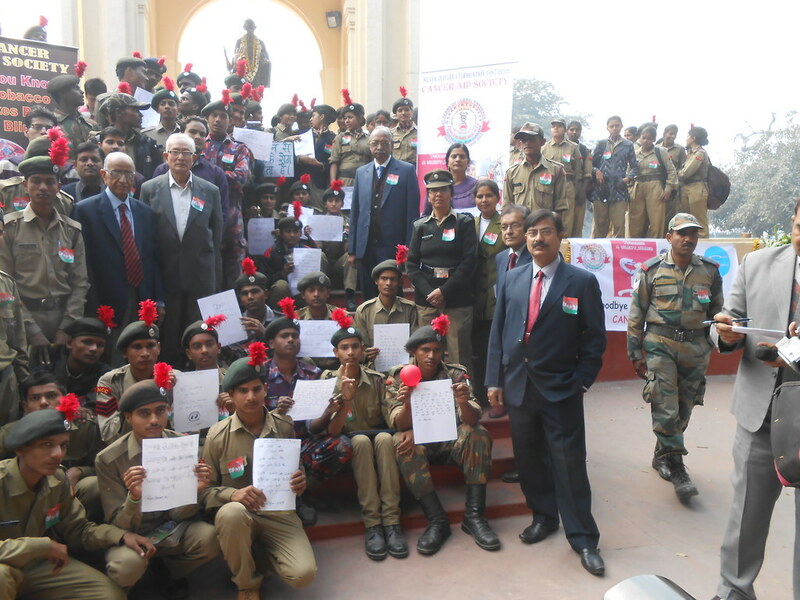 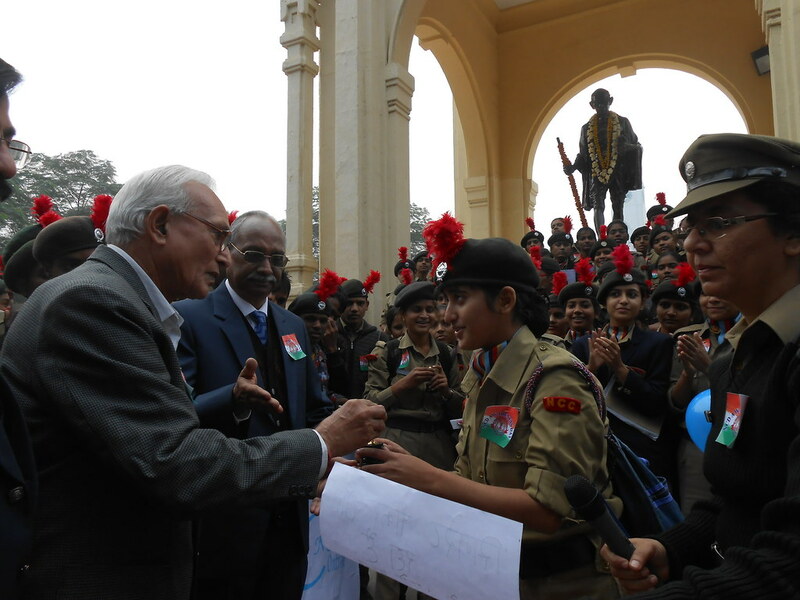 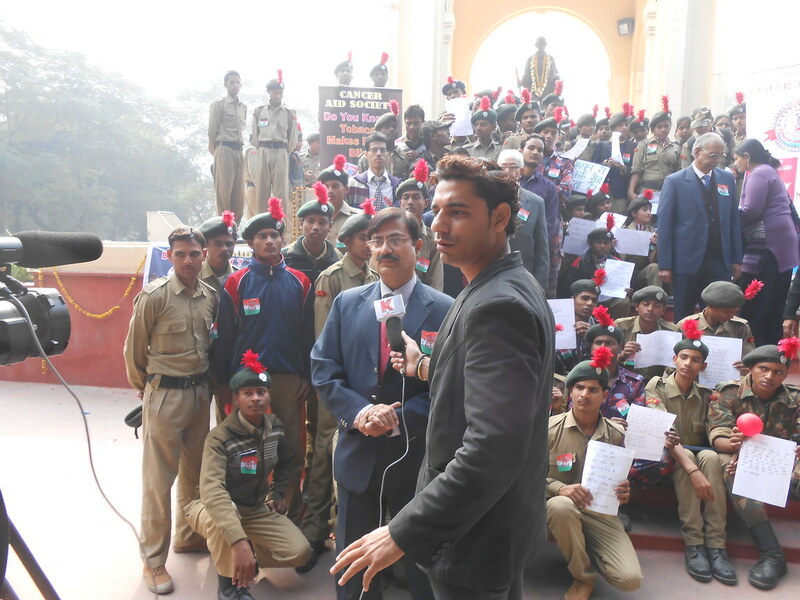 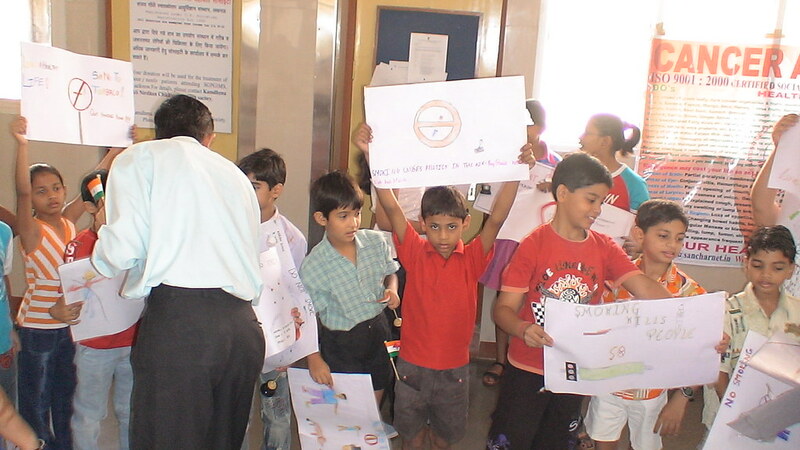 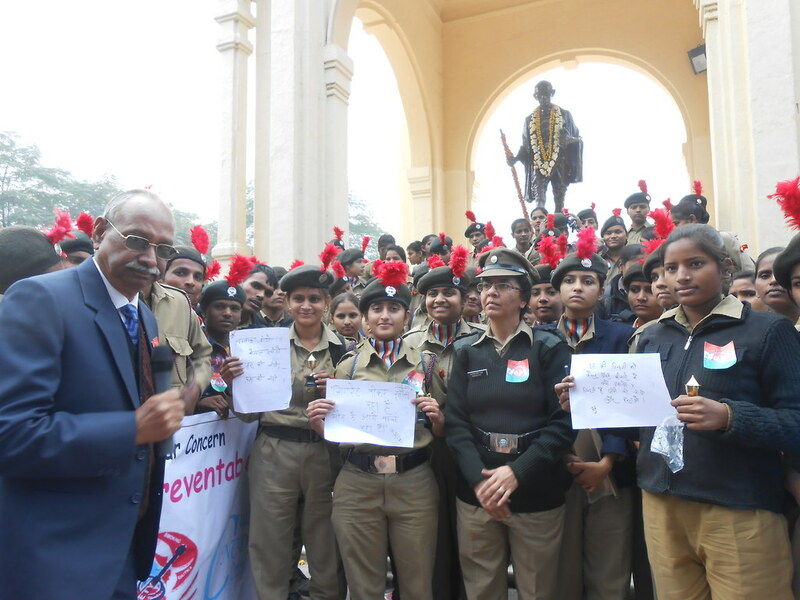 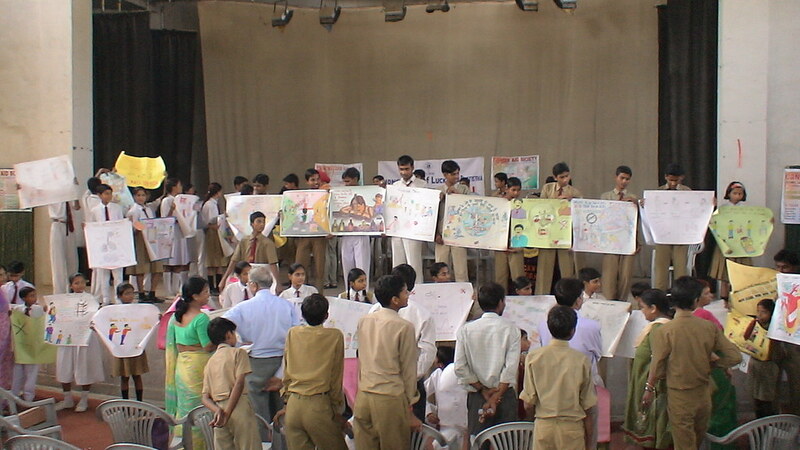 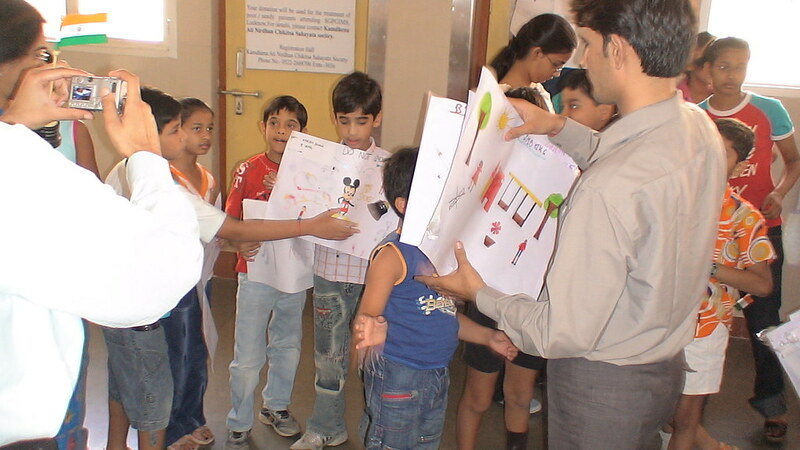 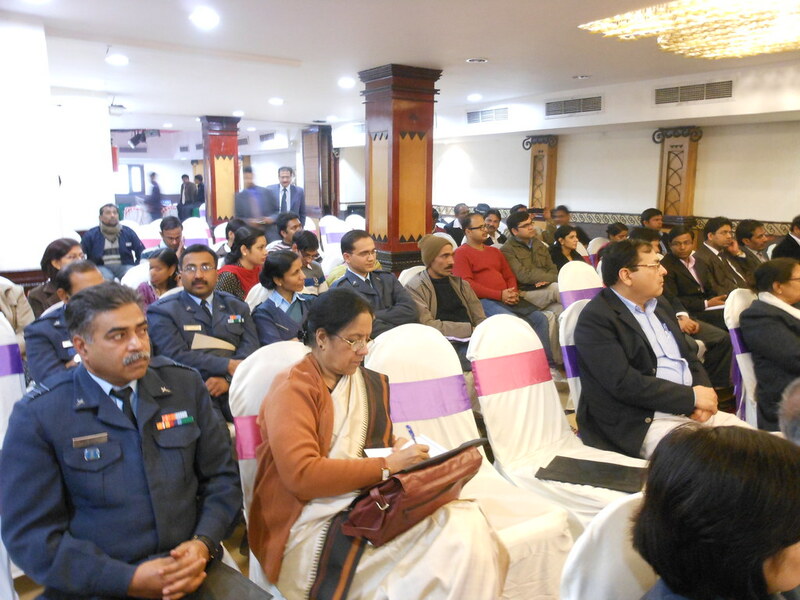 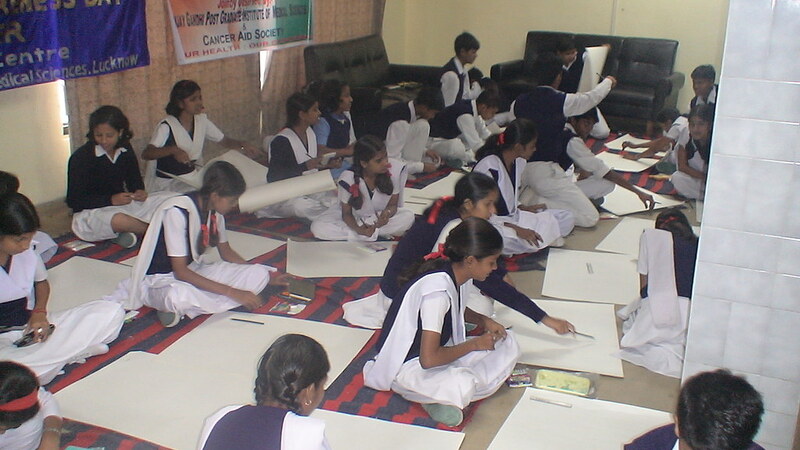 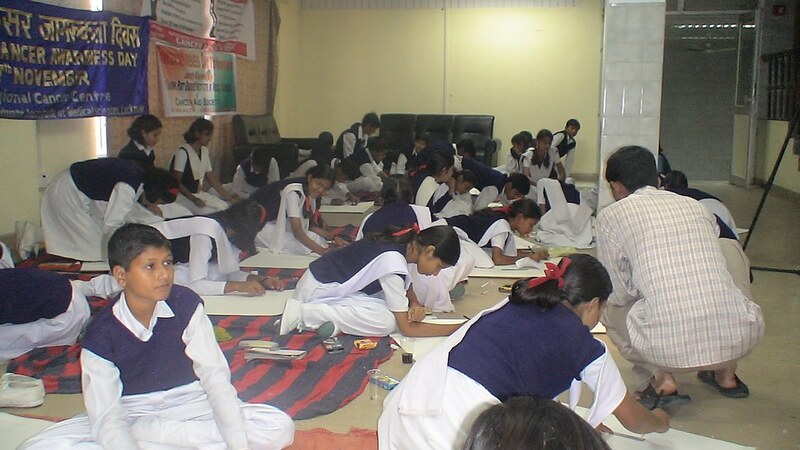 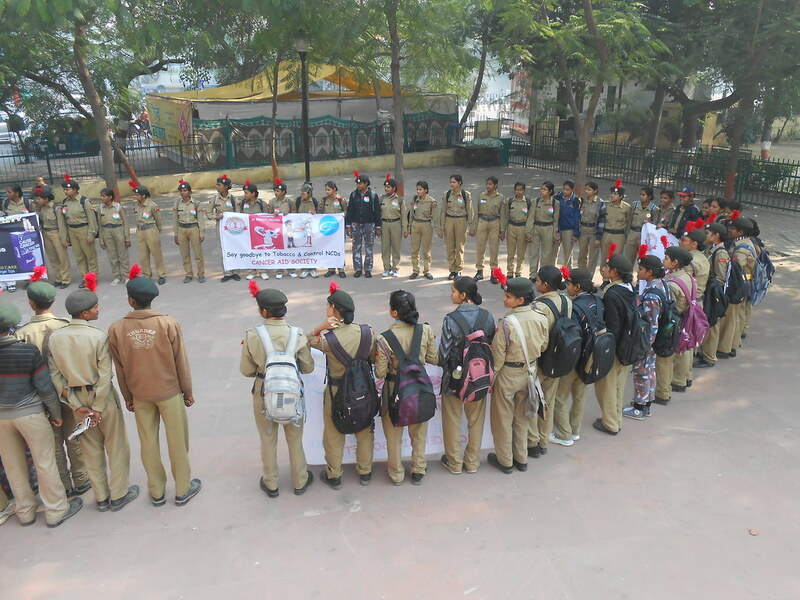 The activities were scaled up to National and International Level and efficiently addressed the problem by initiating a chain reaction multiplying the awareness manifold.